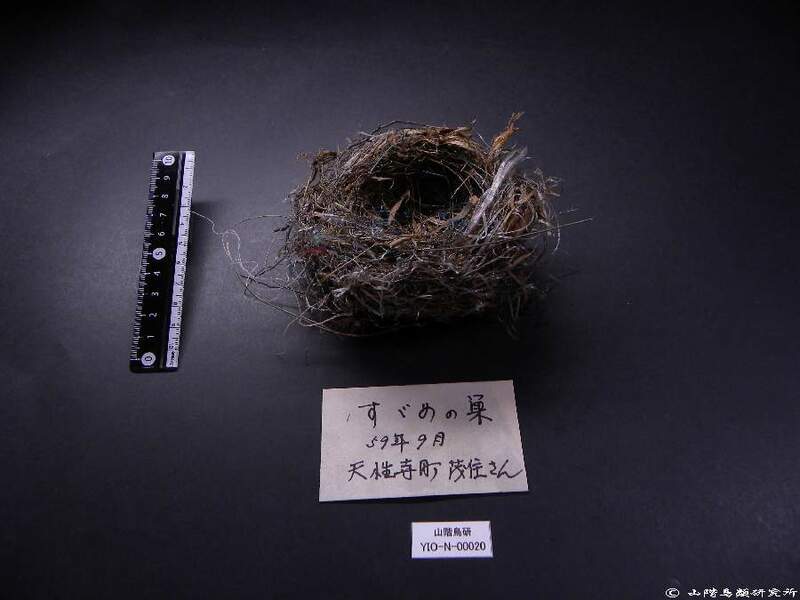 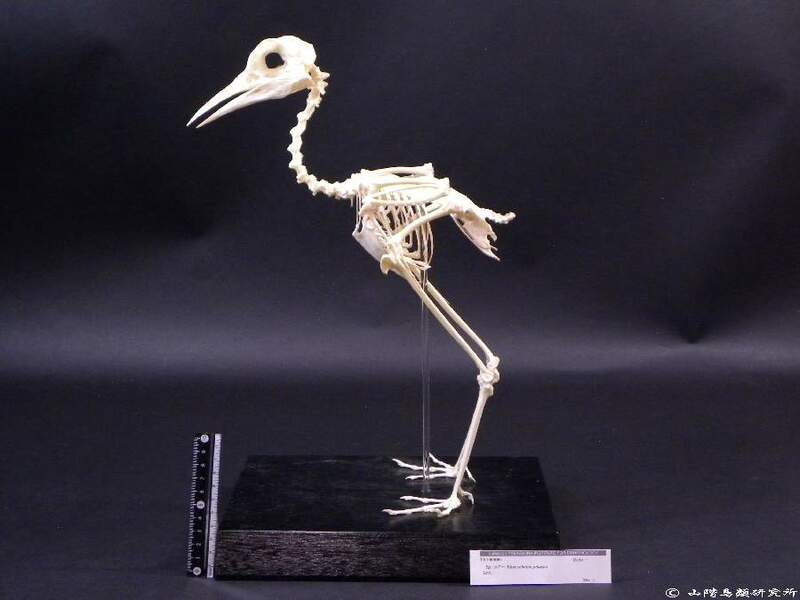 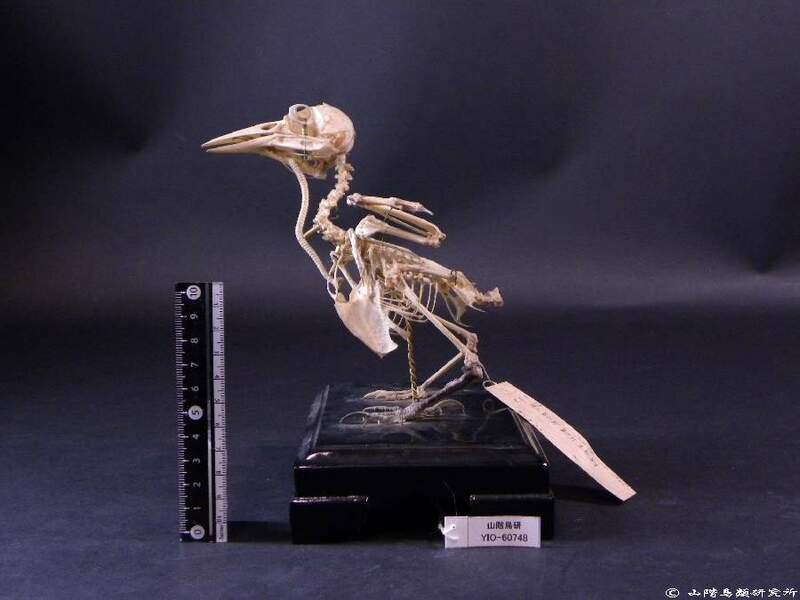 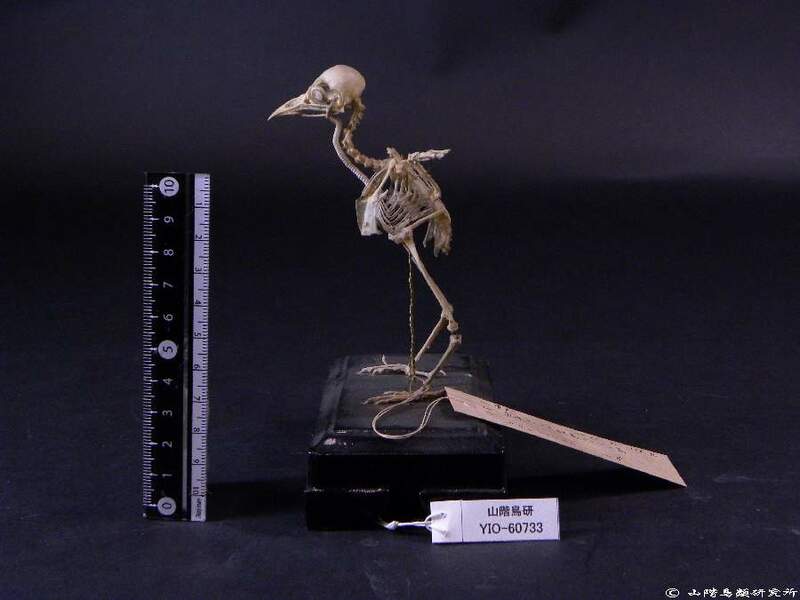 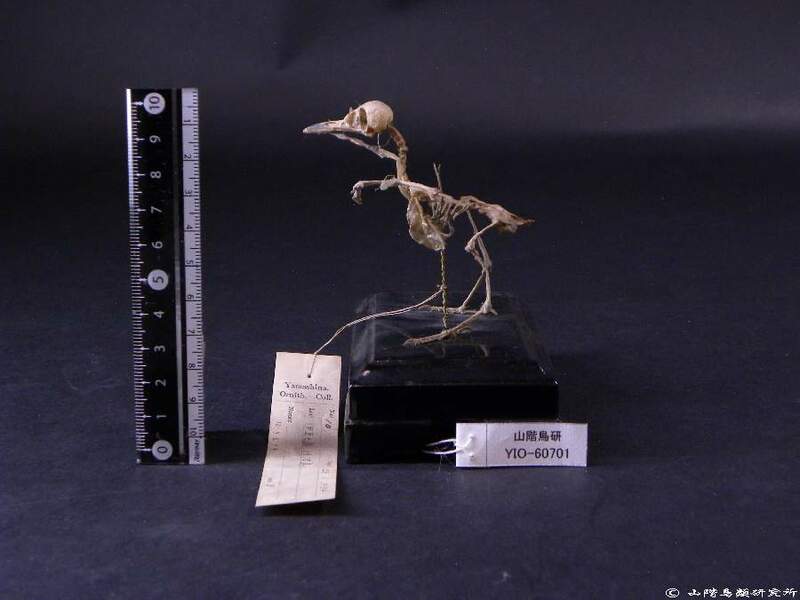 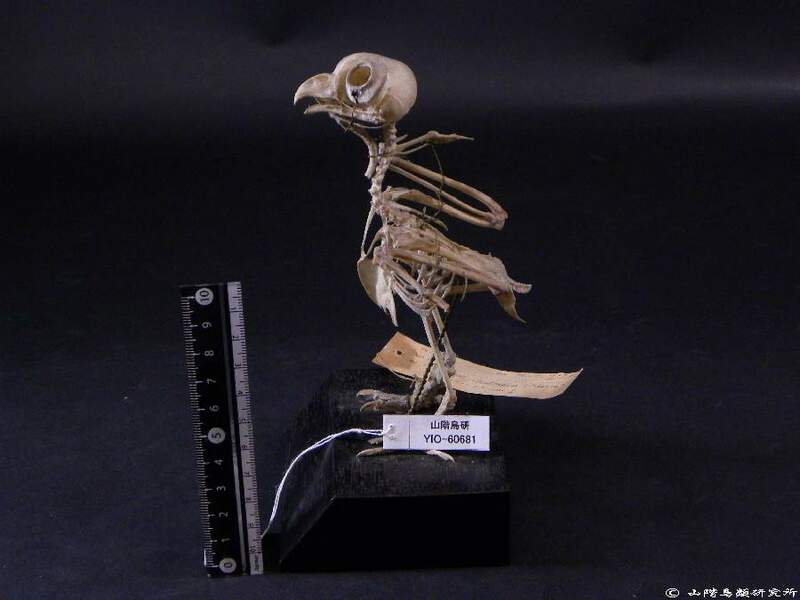 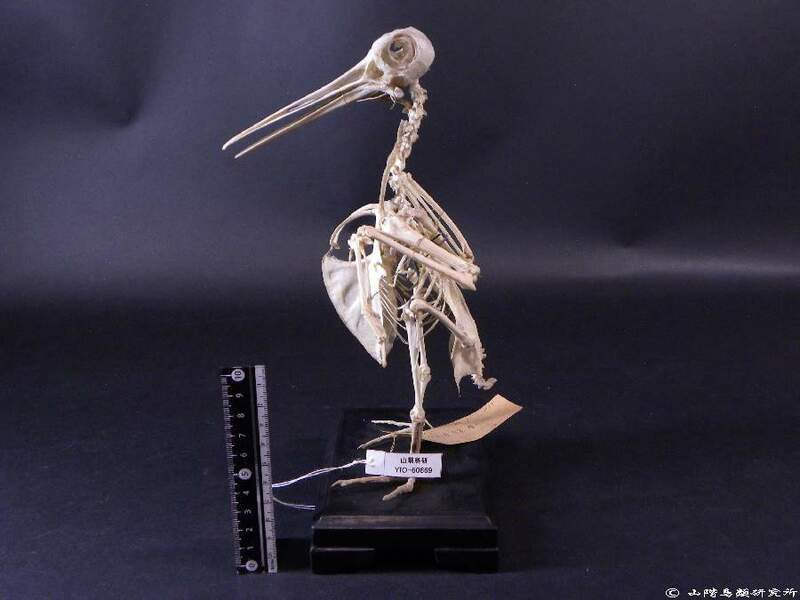 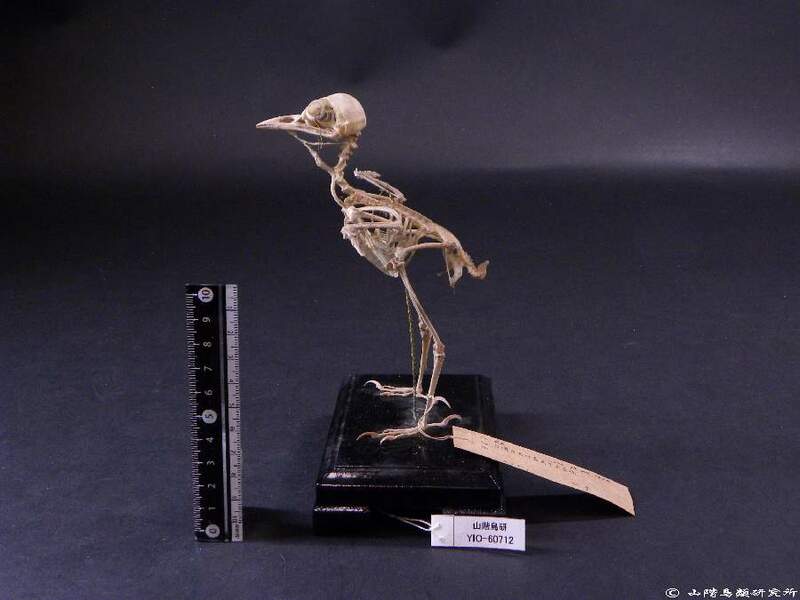 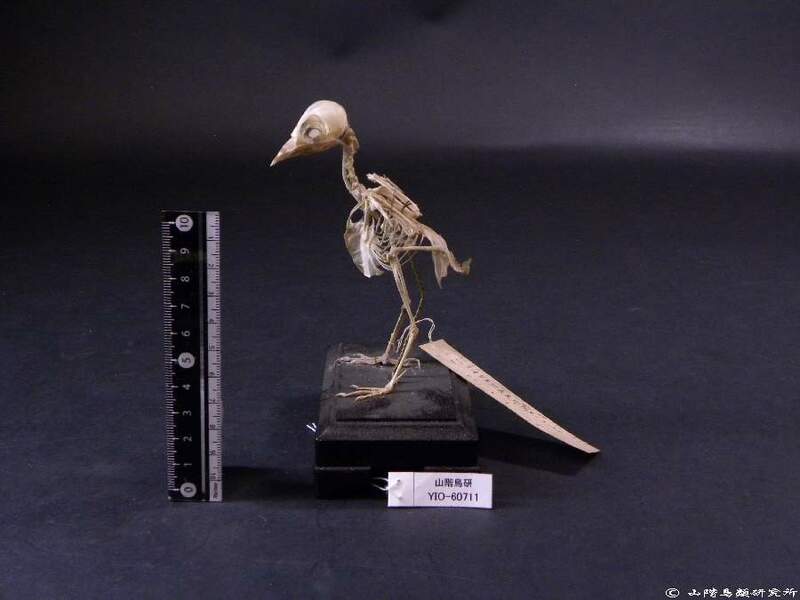 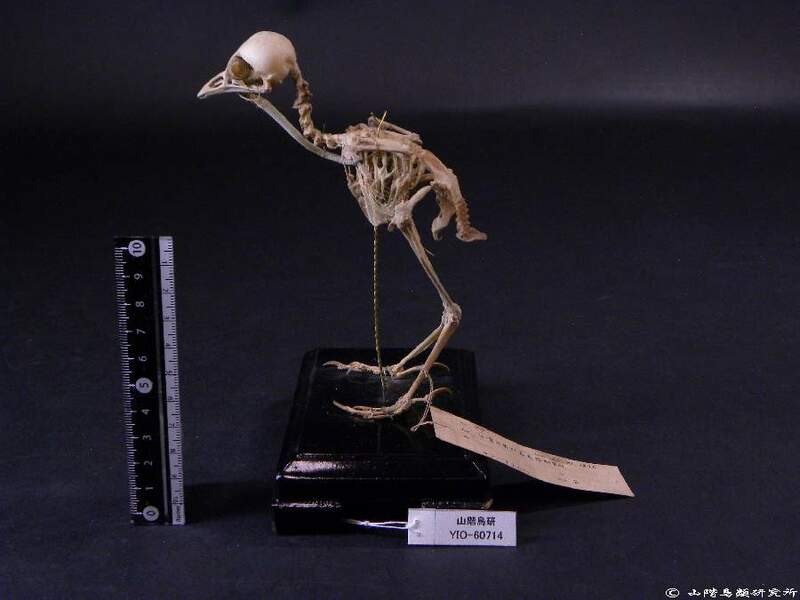 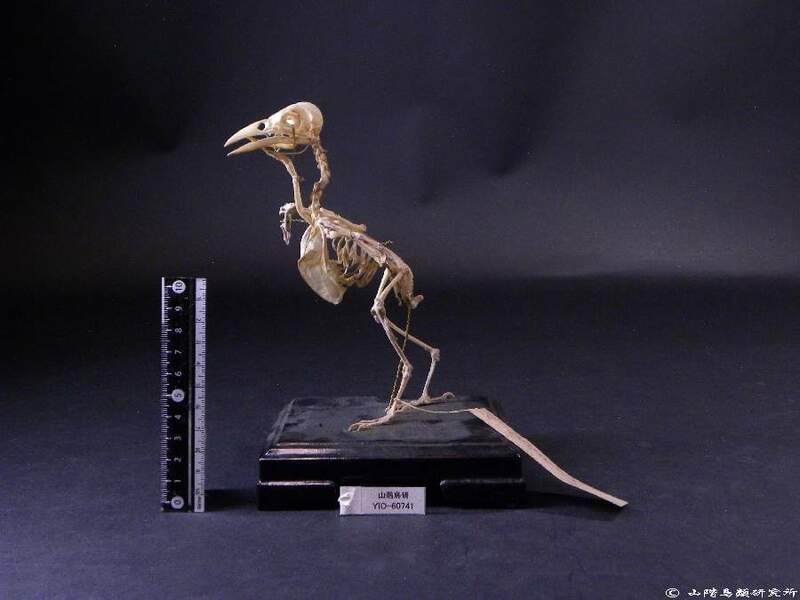 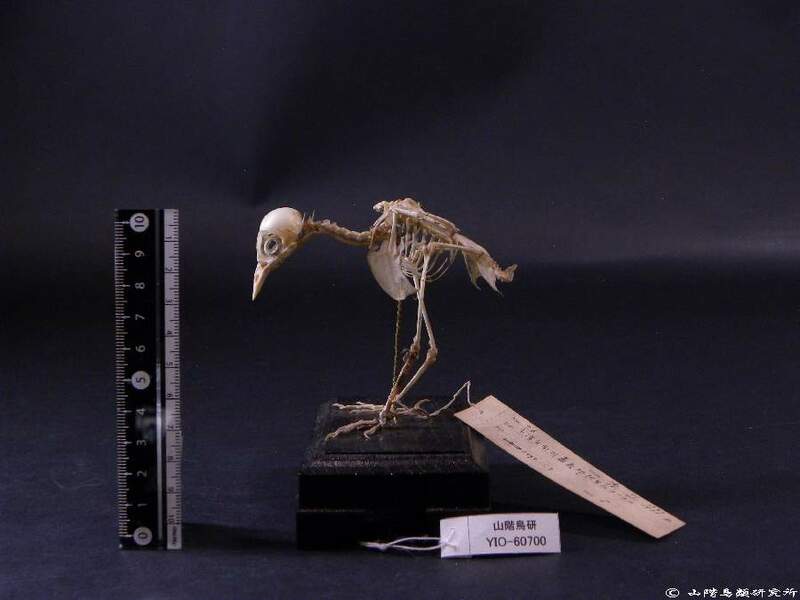 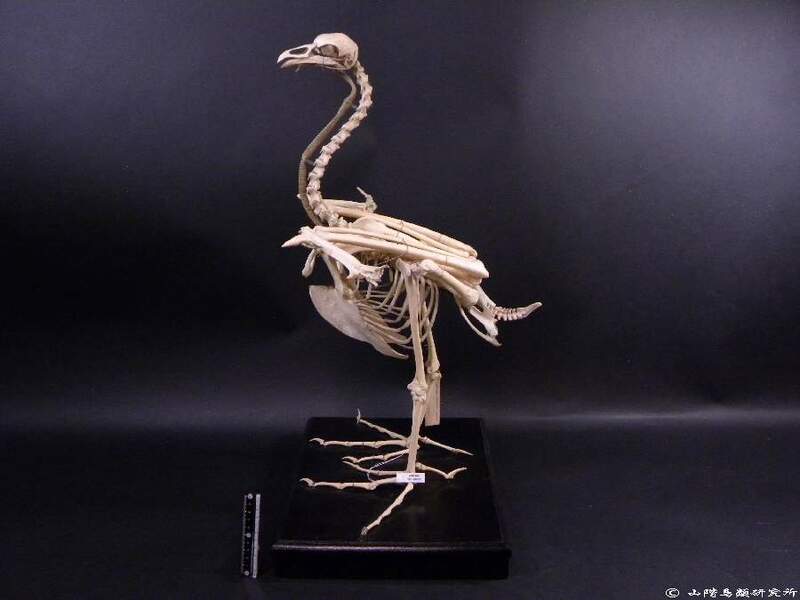 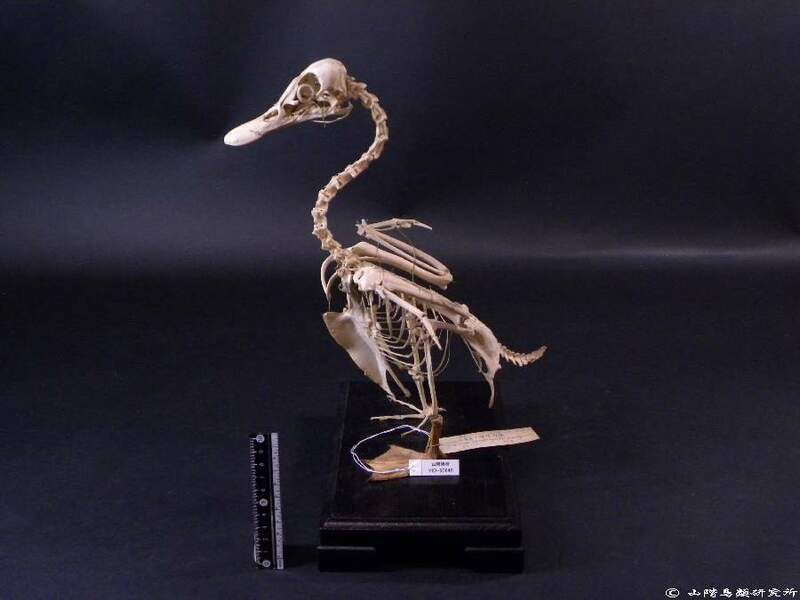 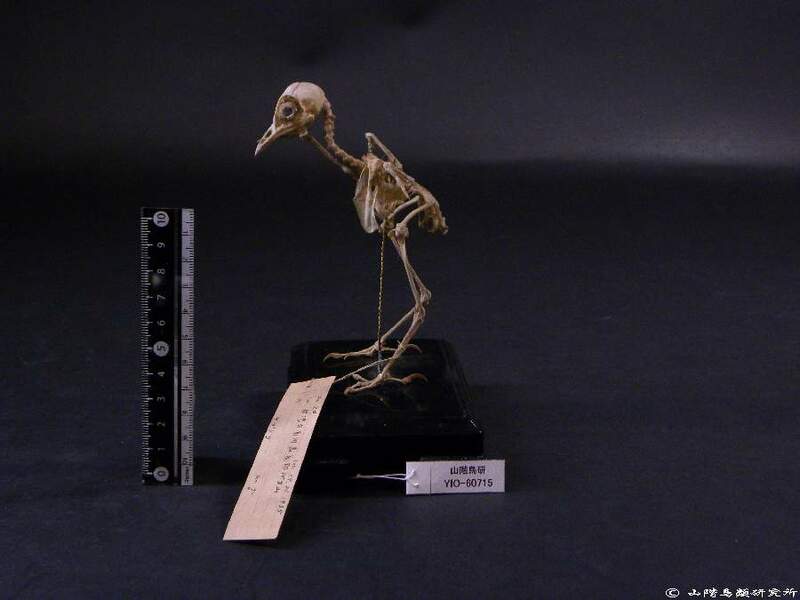 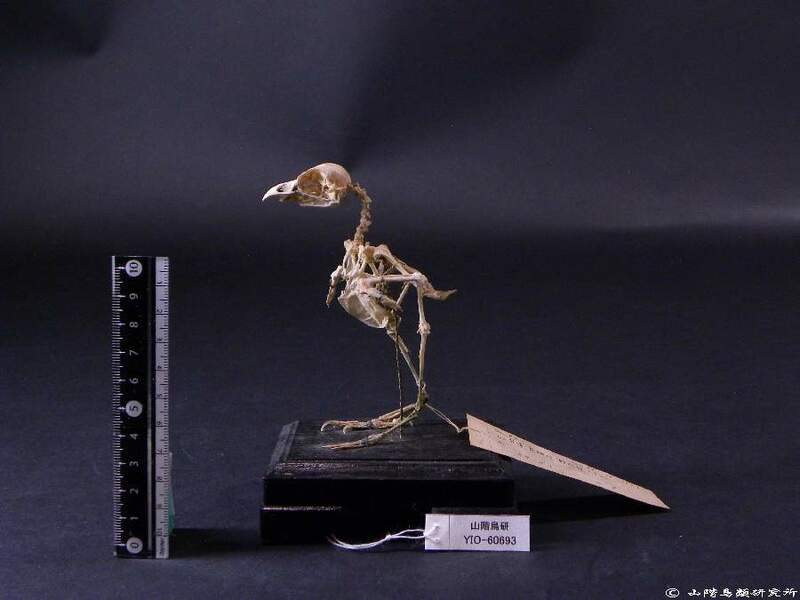 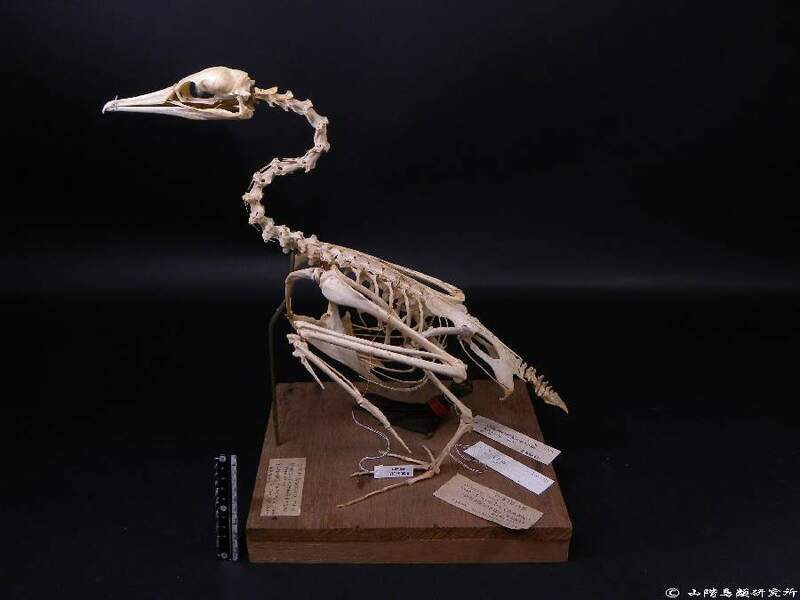 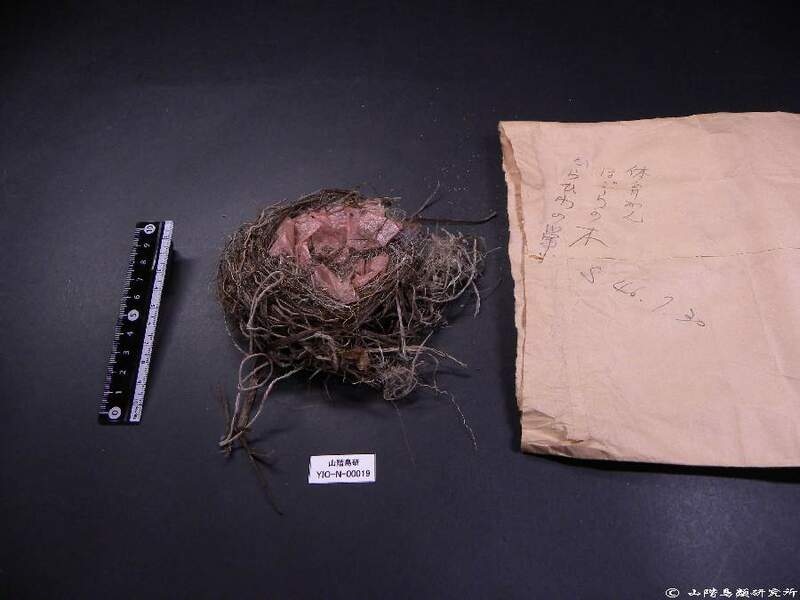 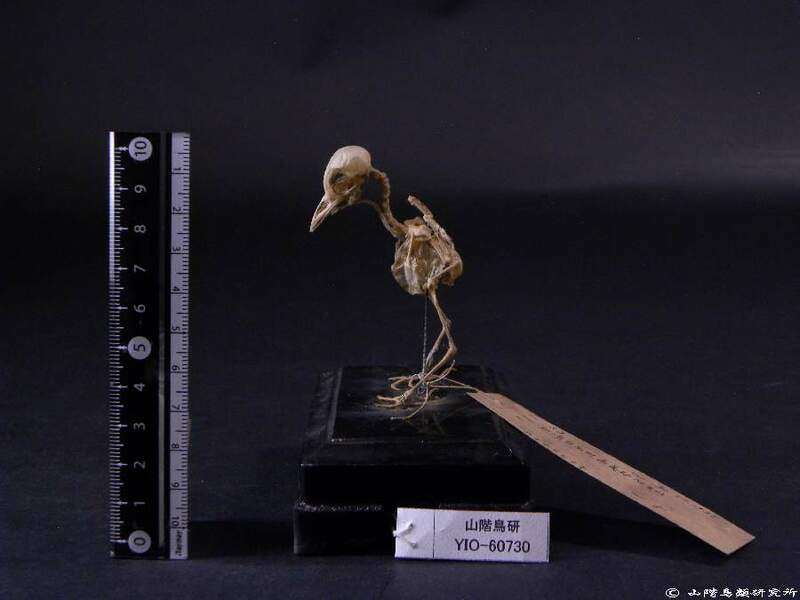 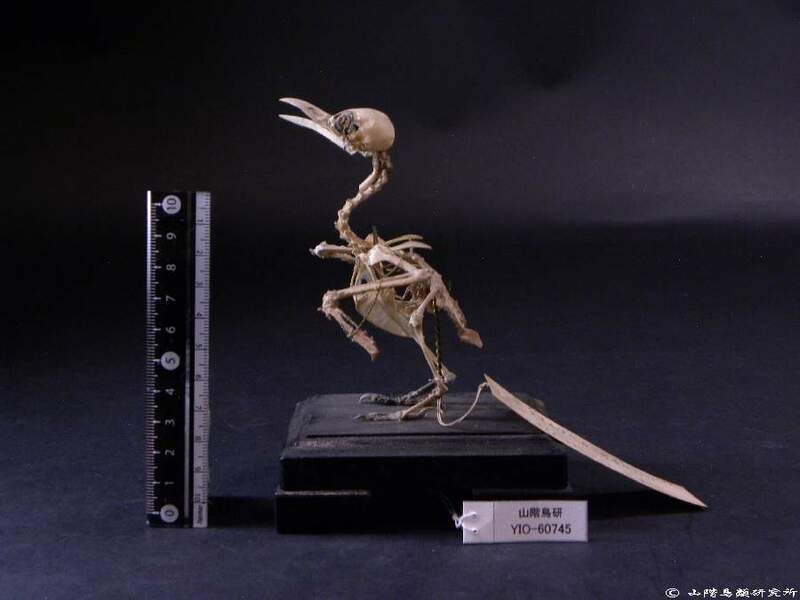 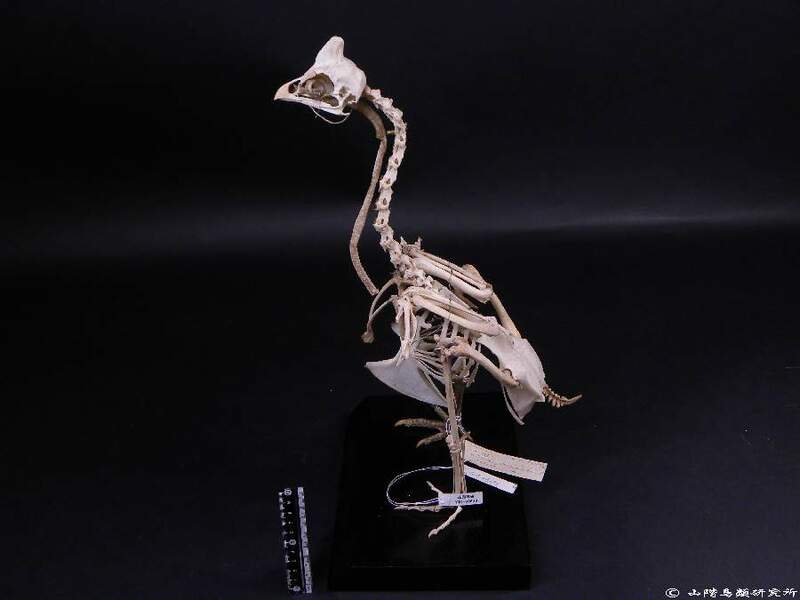 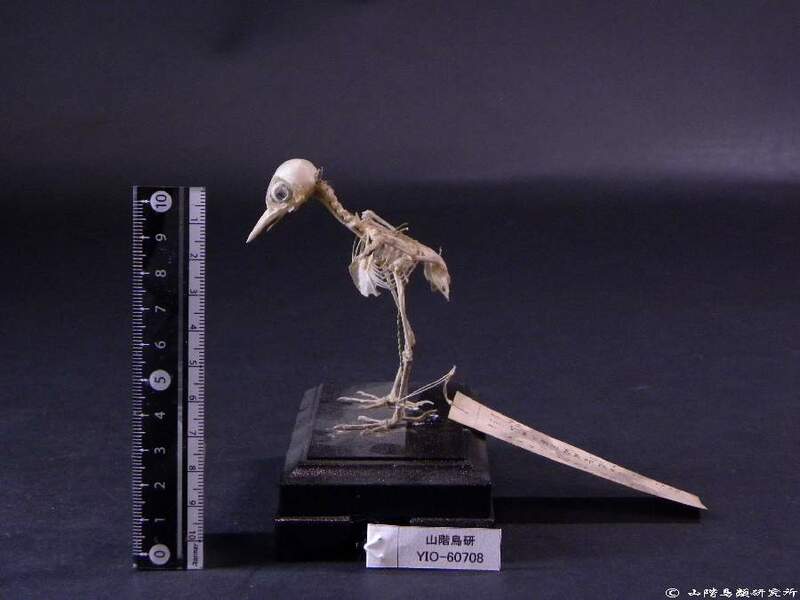 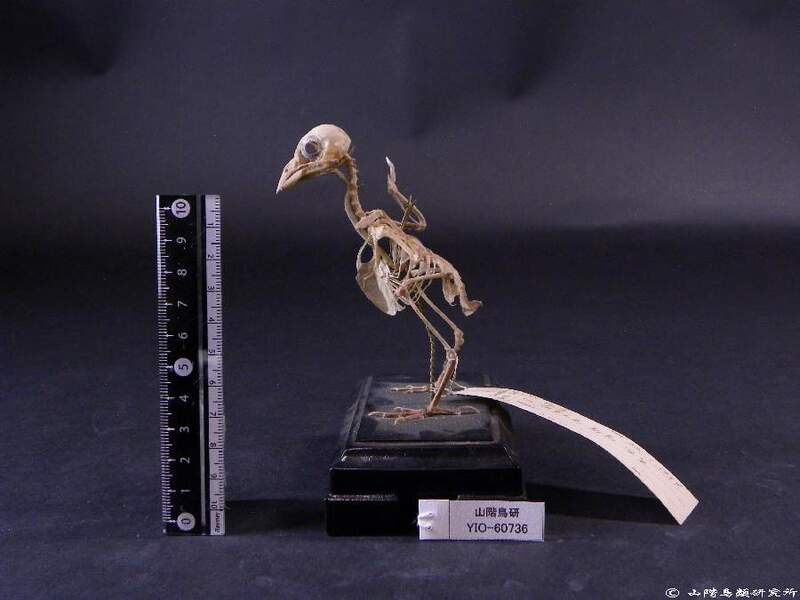 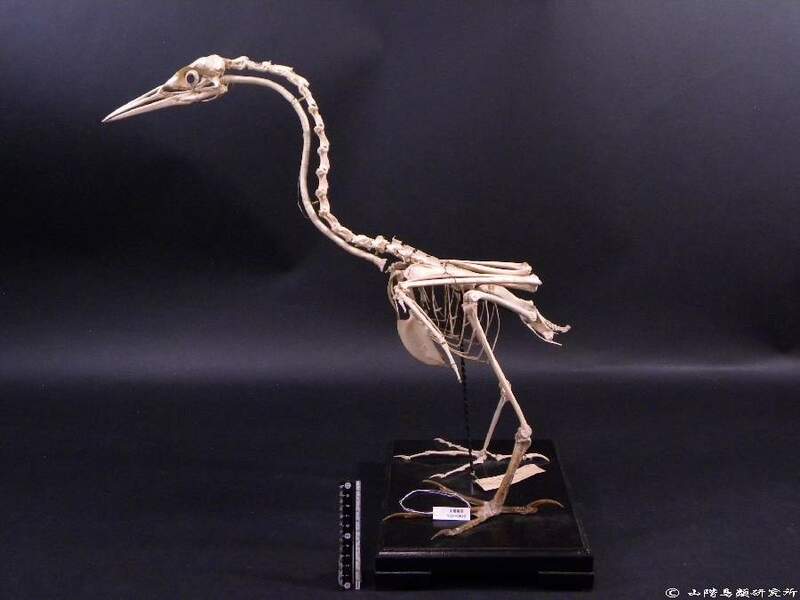 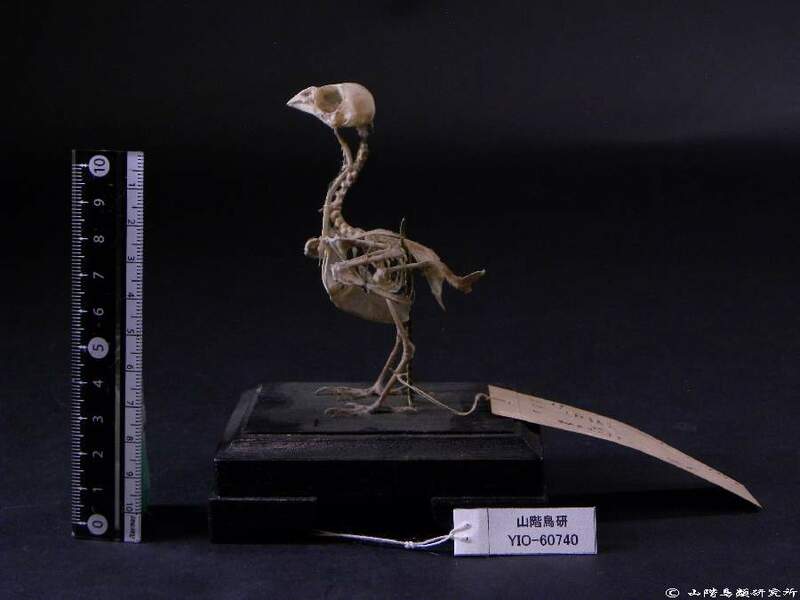 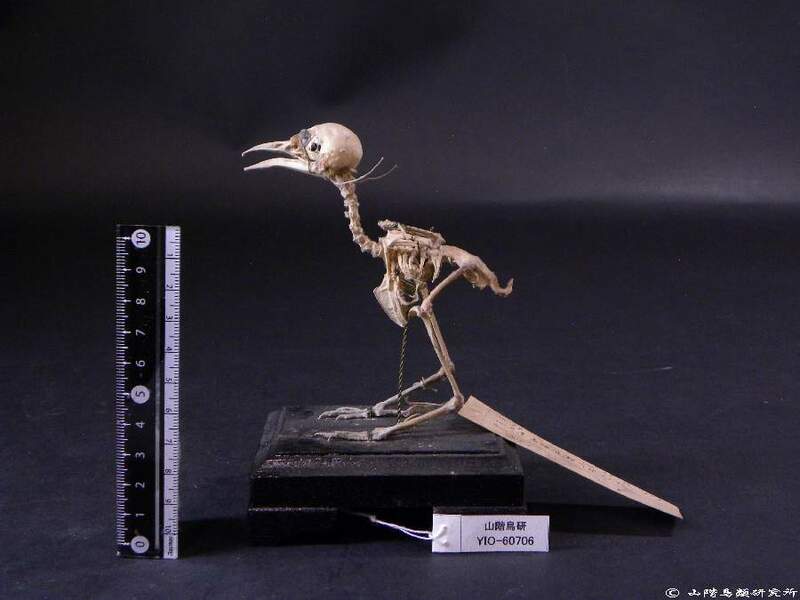 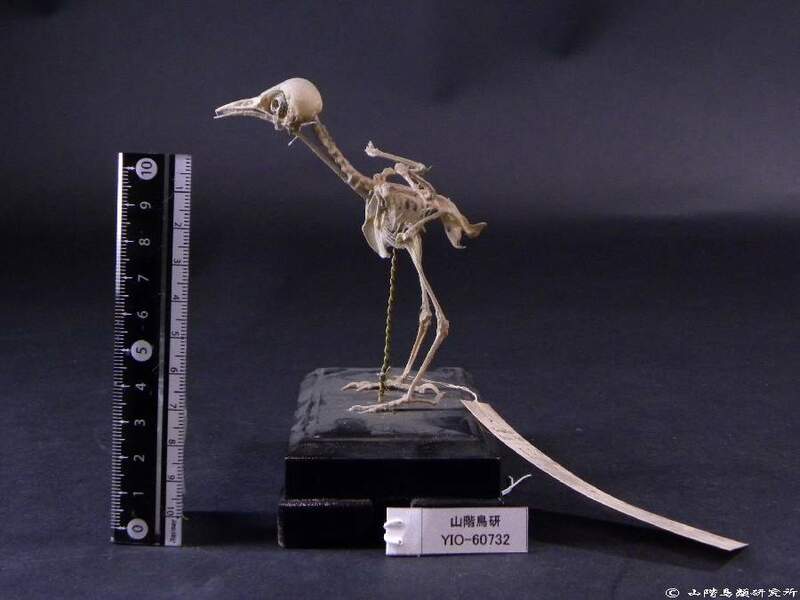 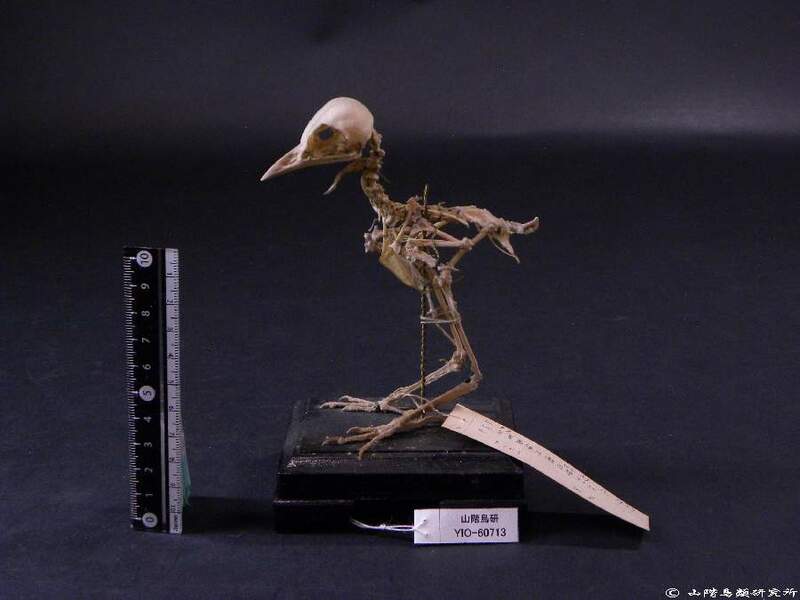 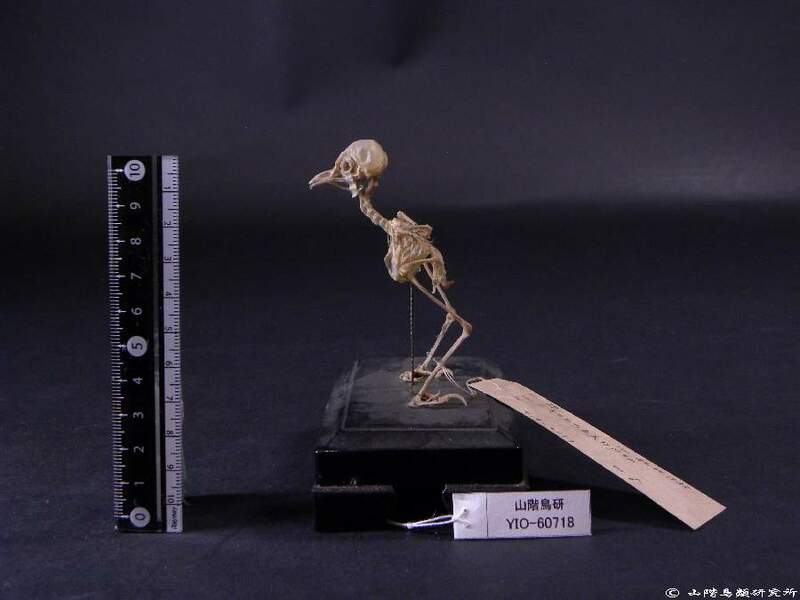 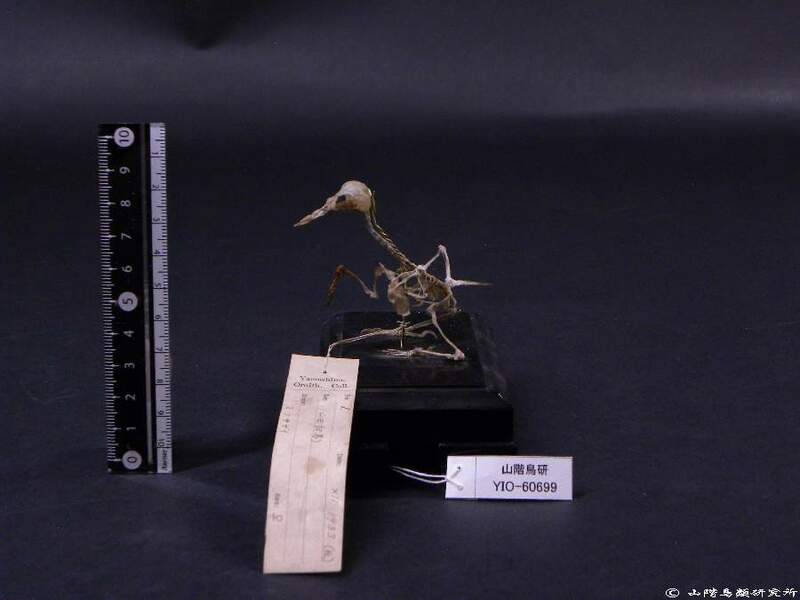 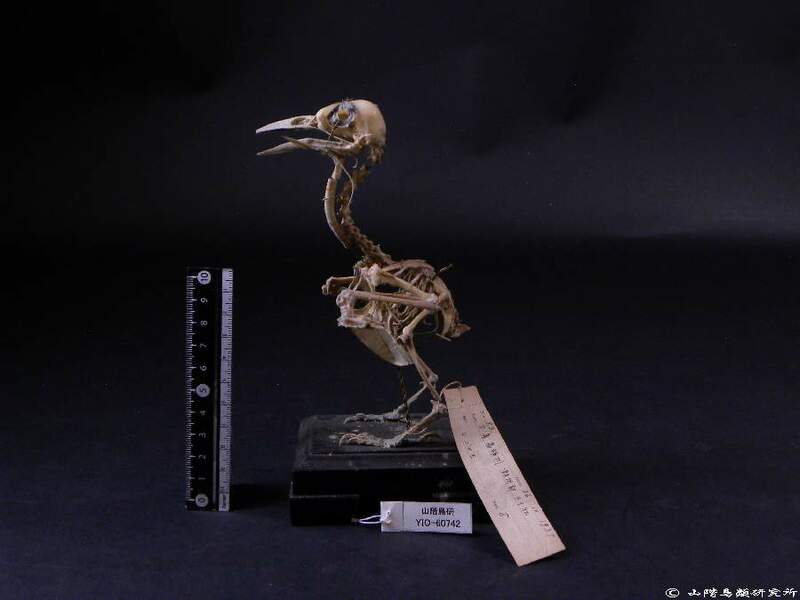 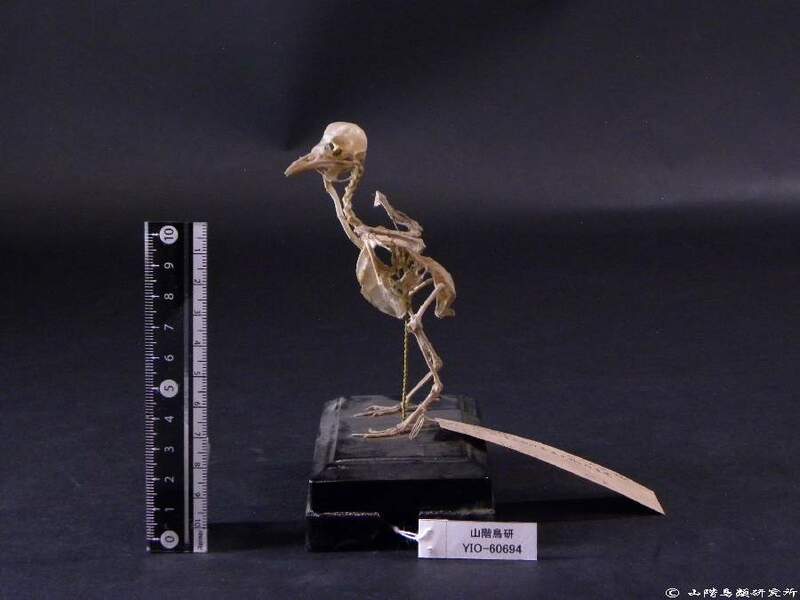 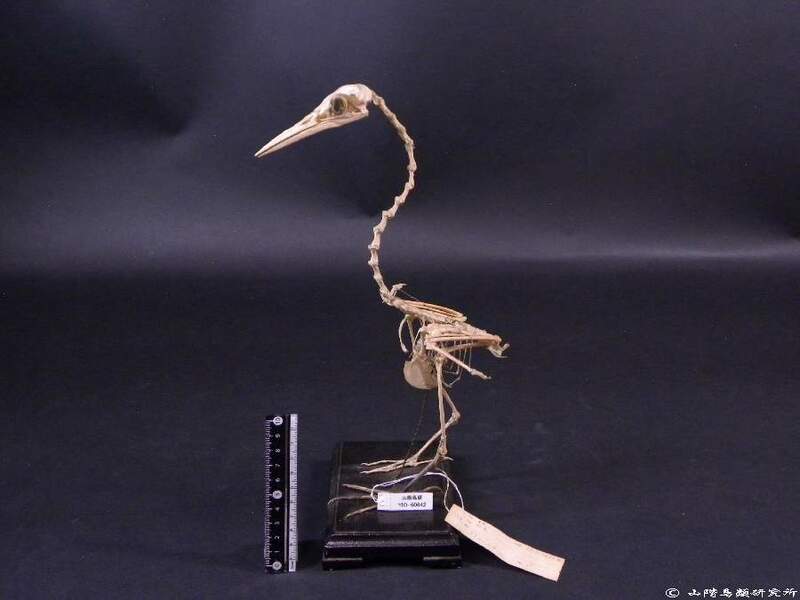 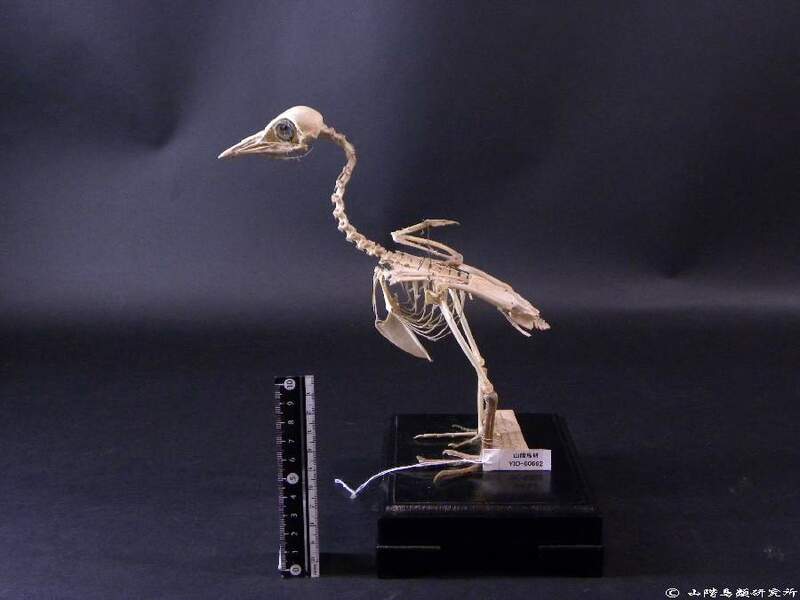 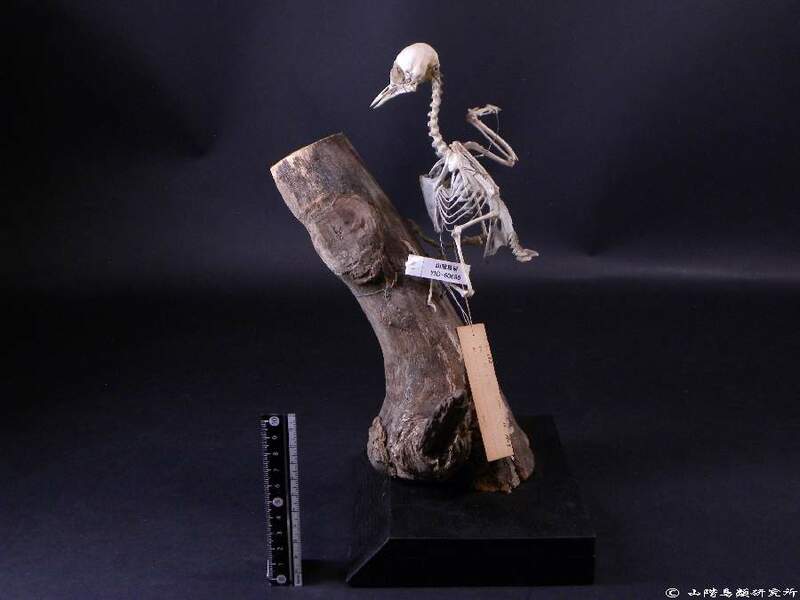 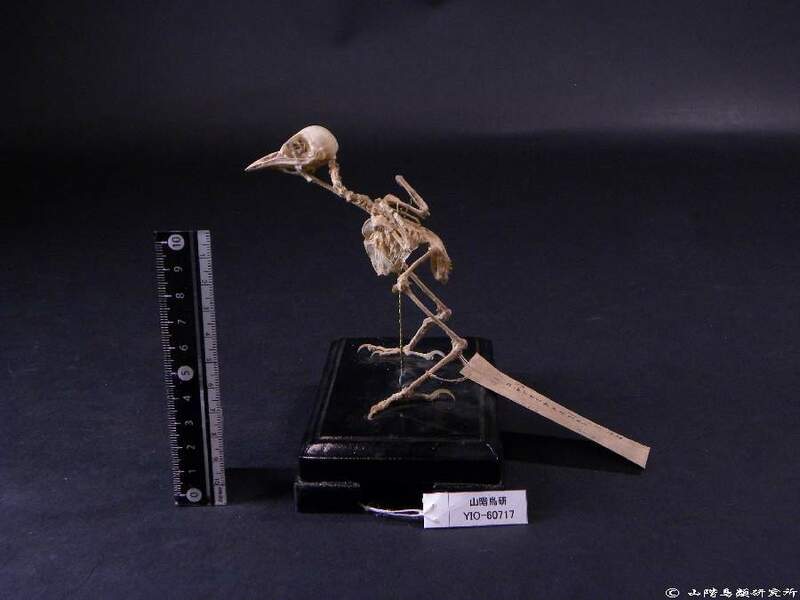 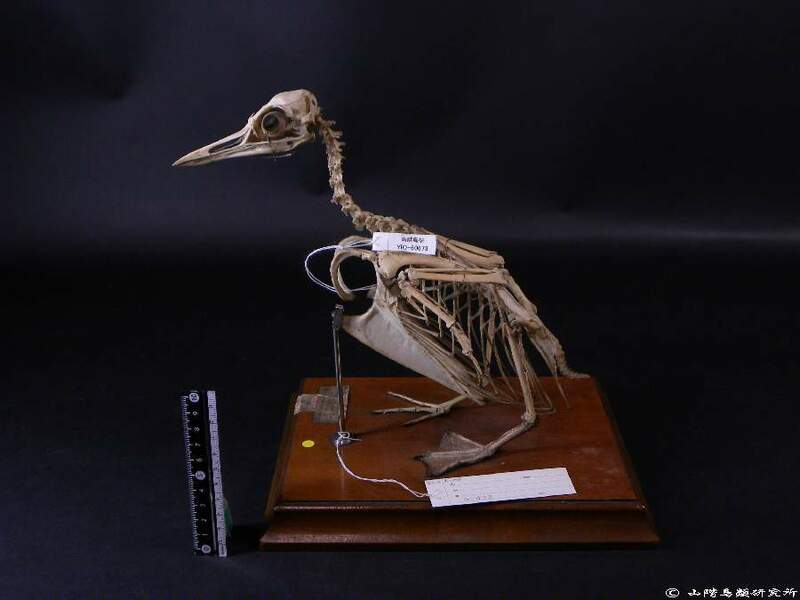 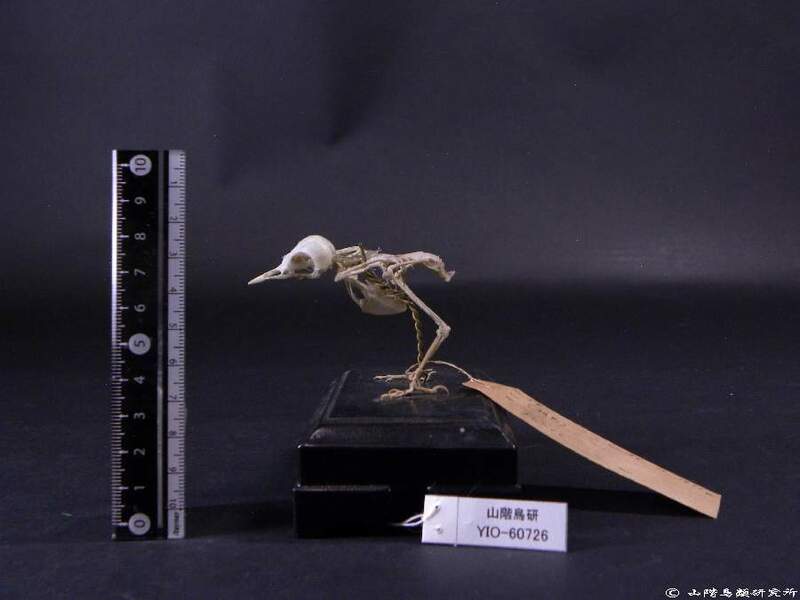 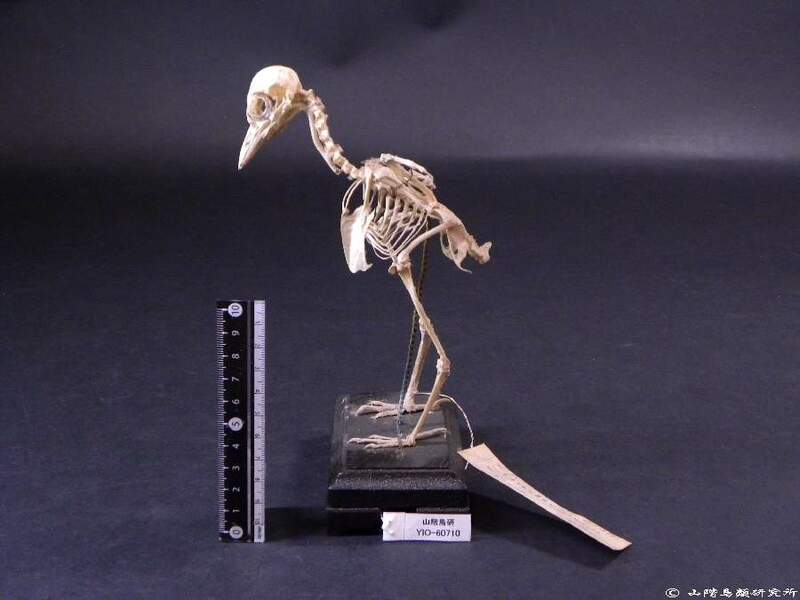 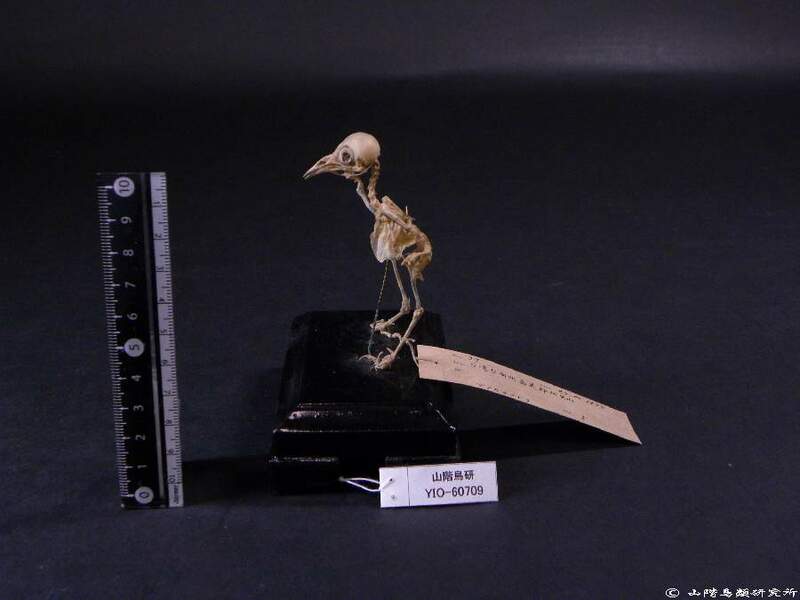 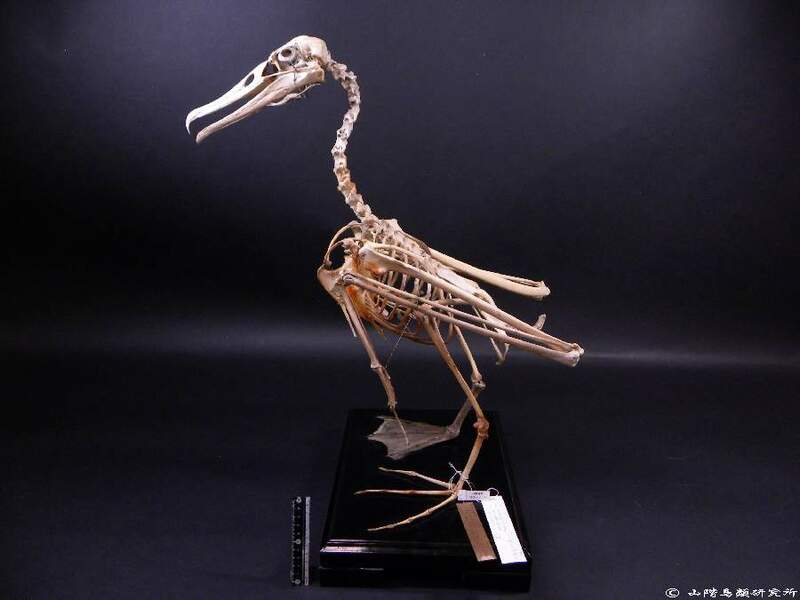 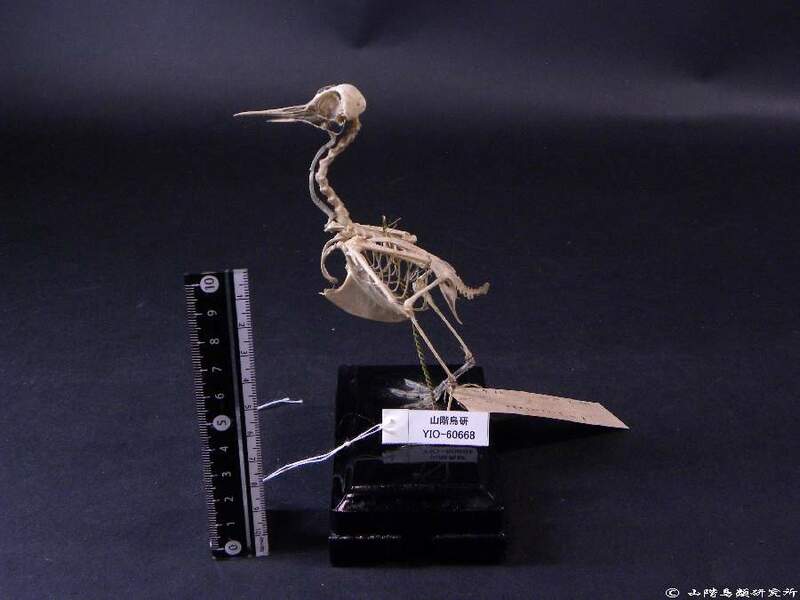 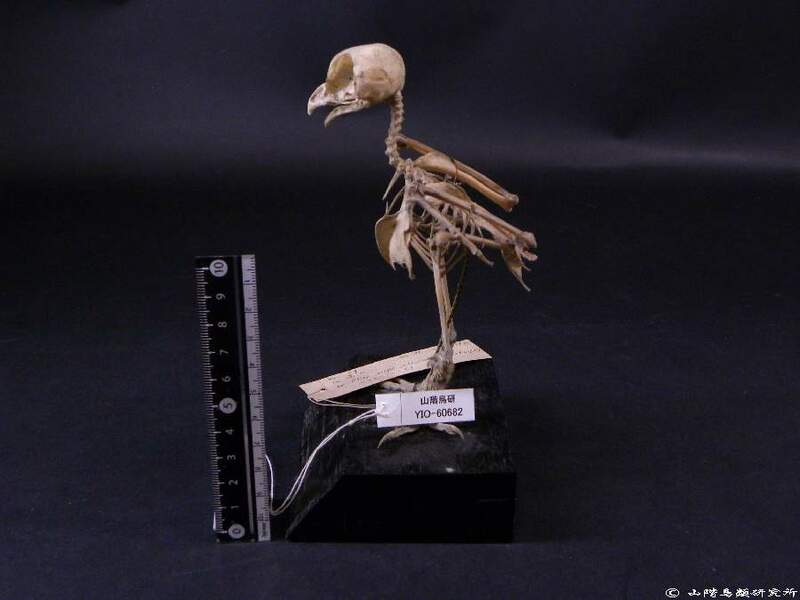 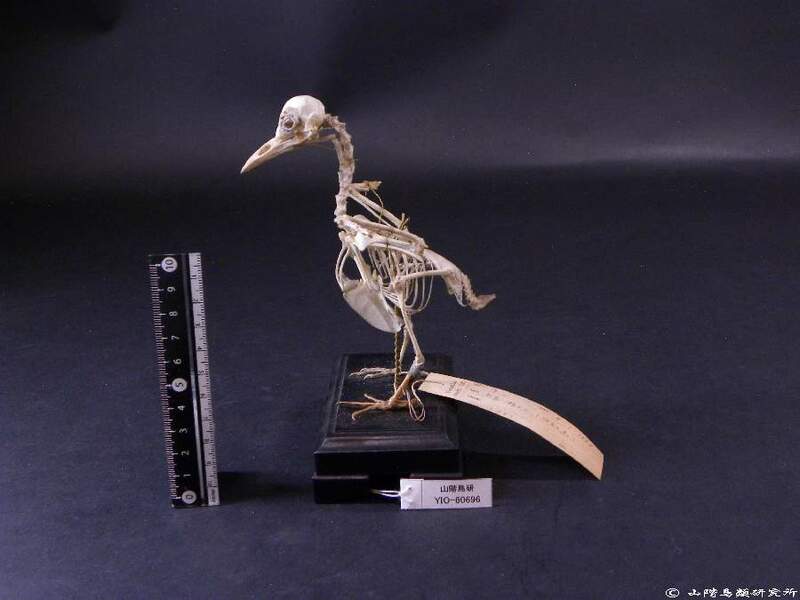 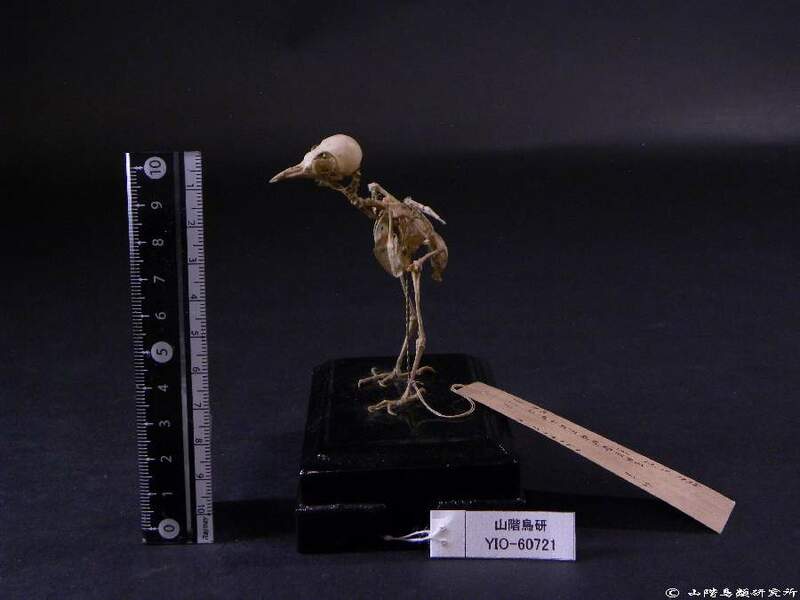 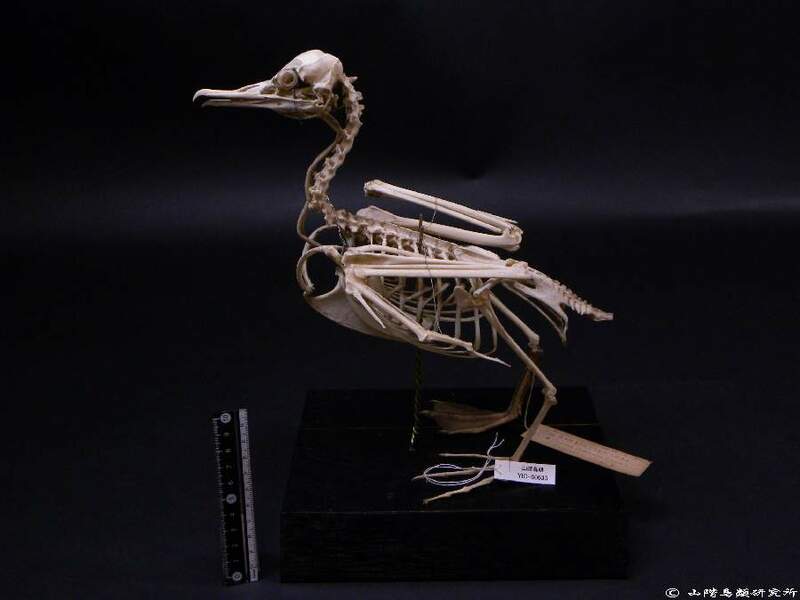 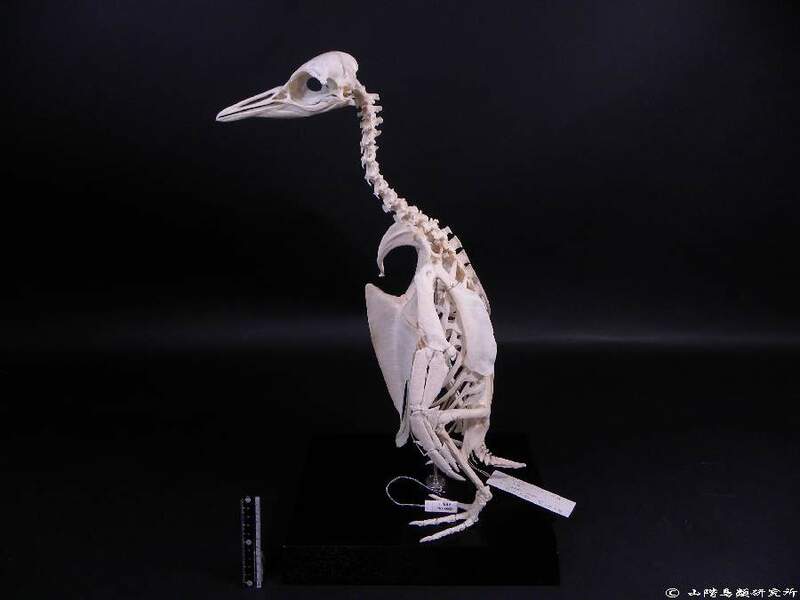 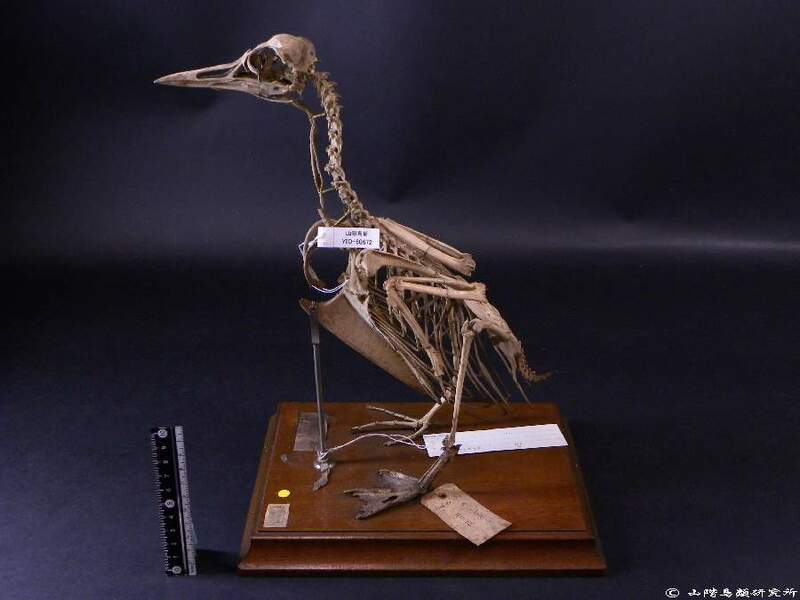 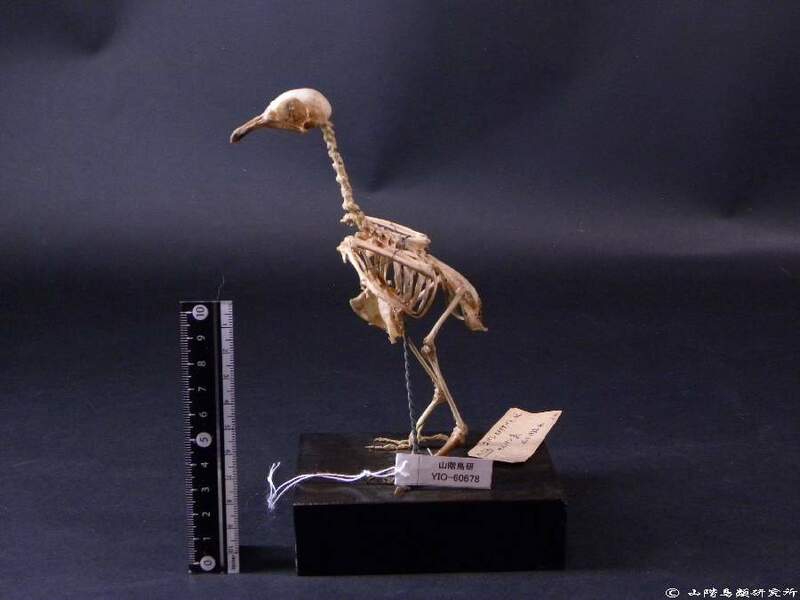 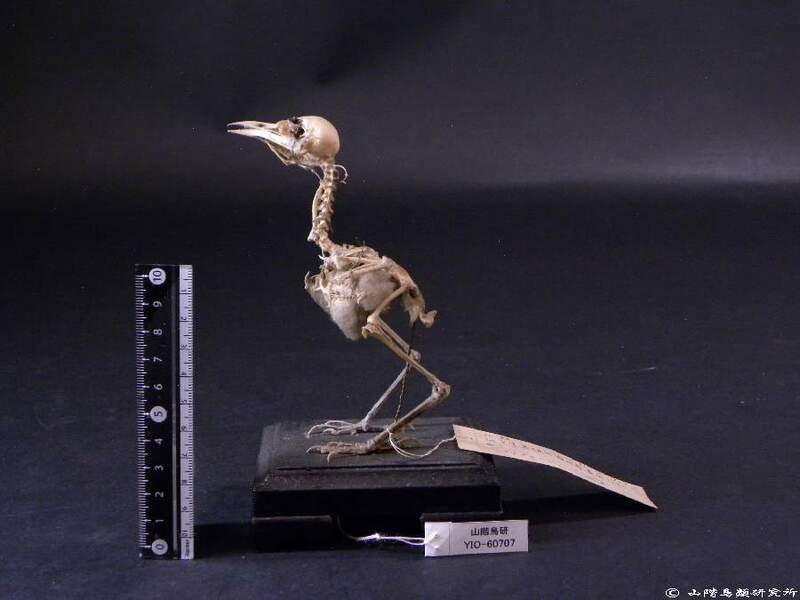 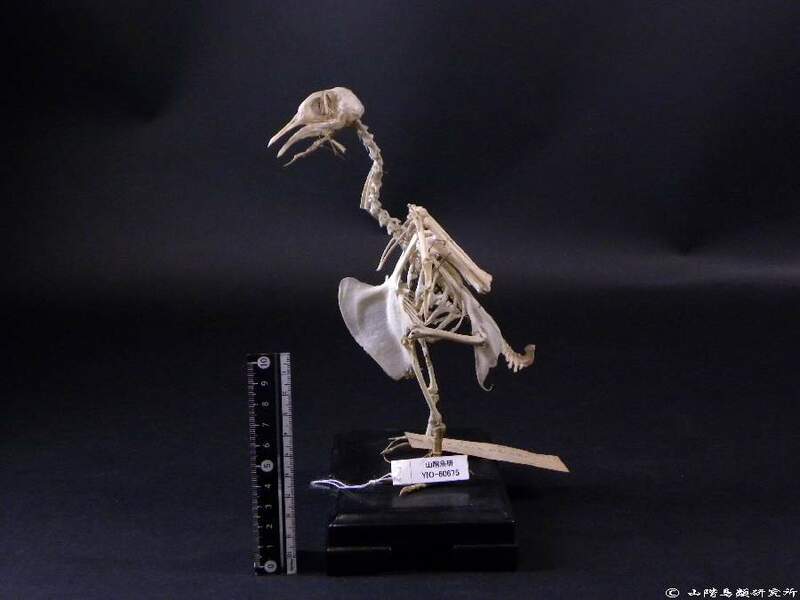 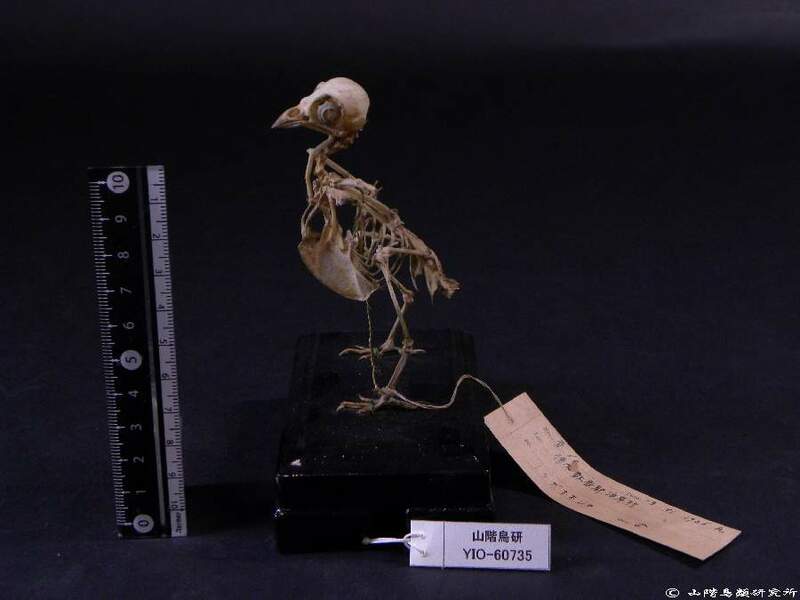 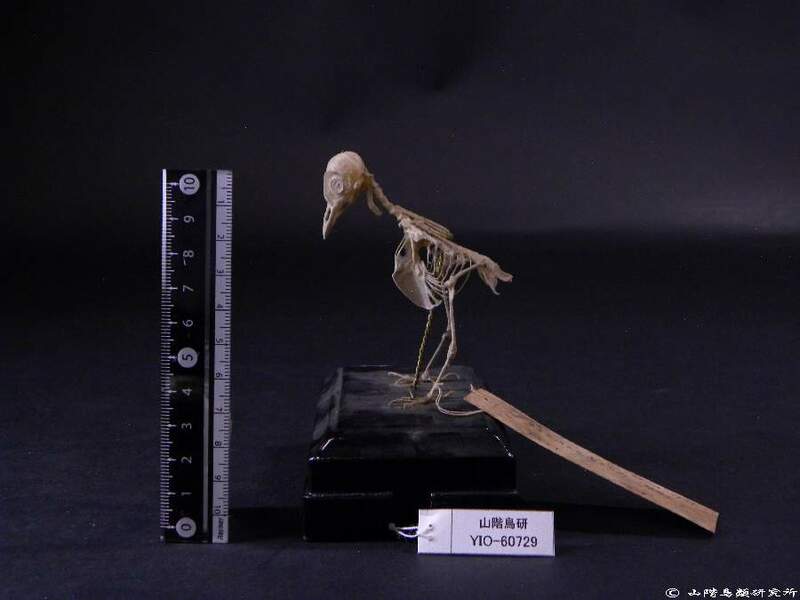 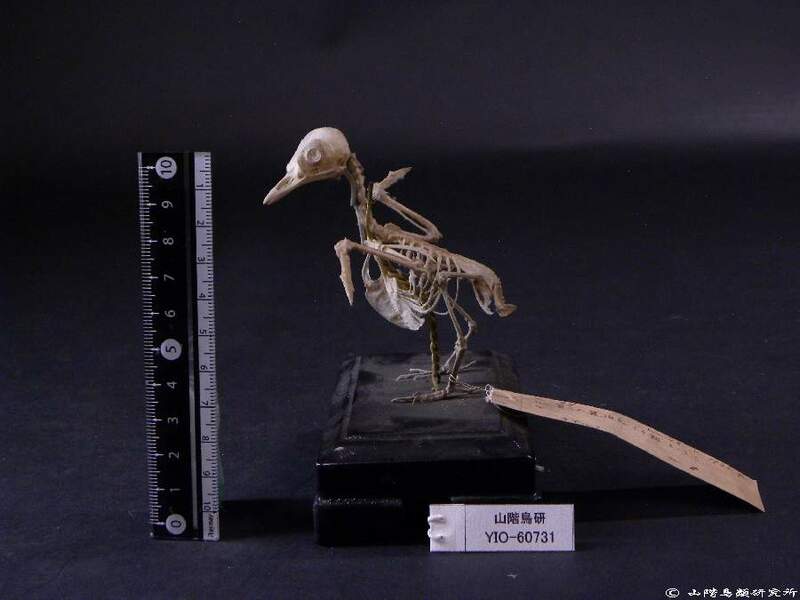 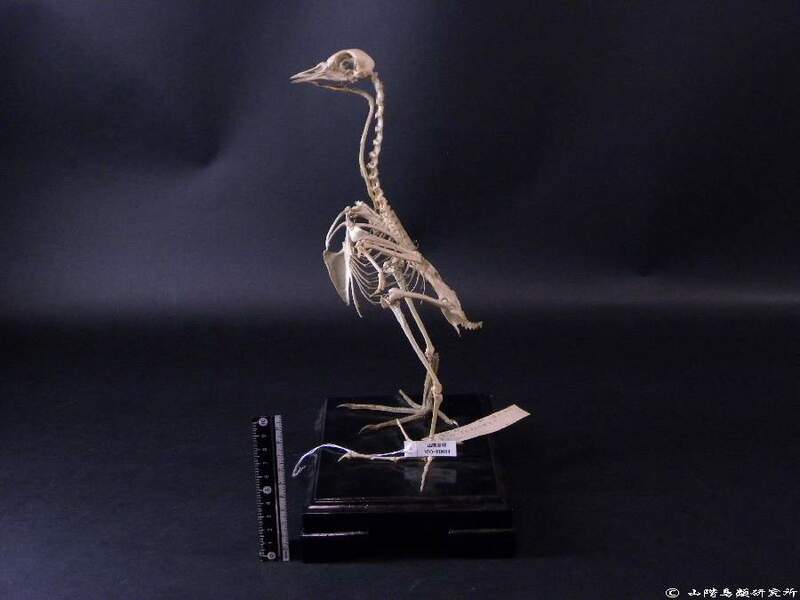 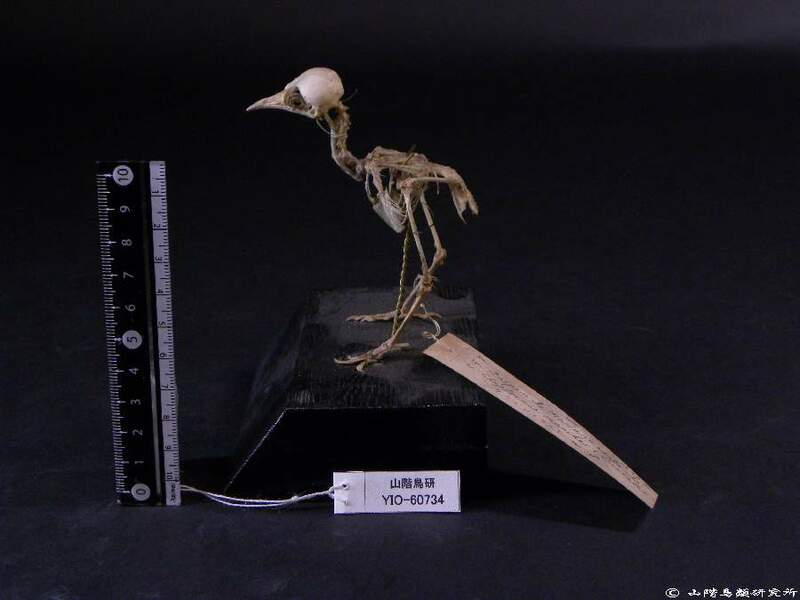 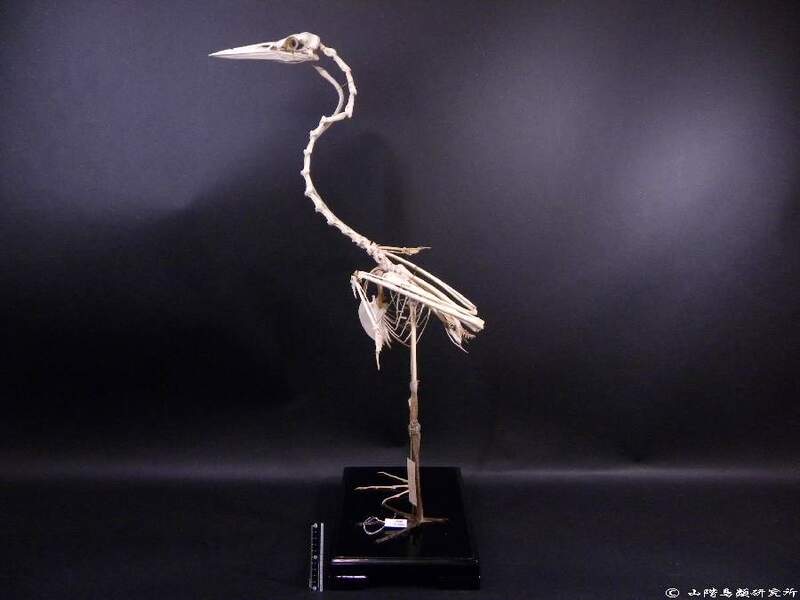 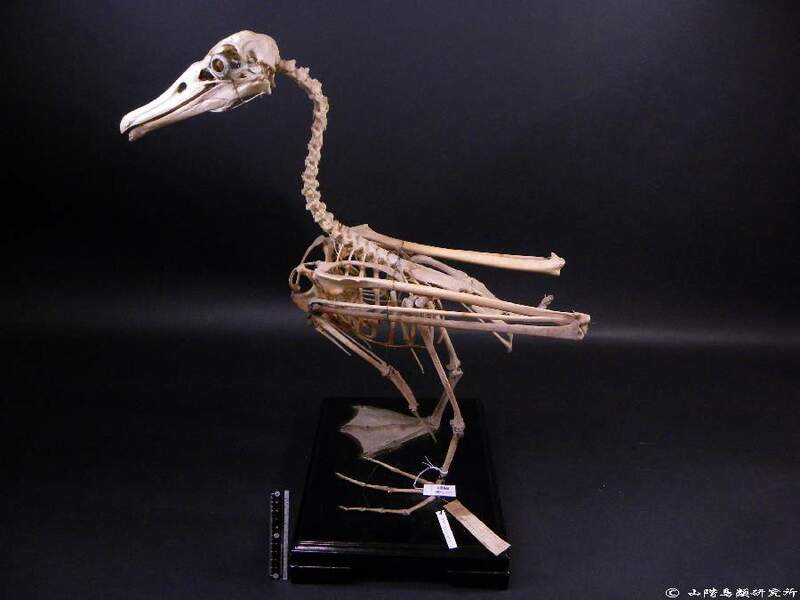 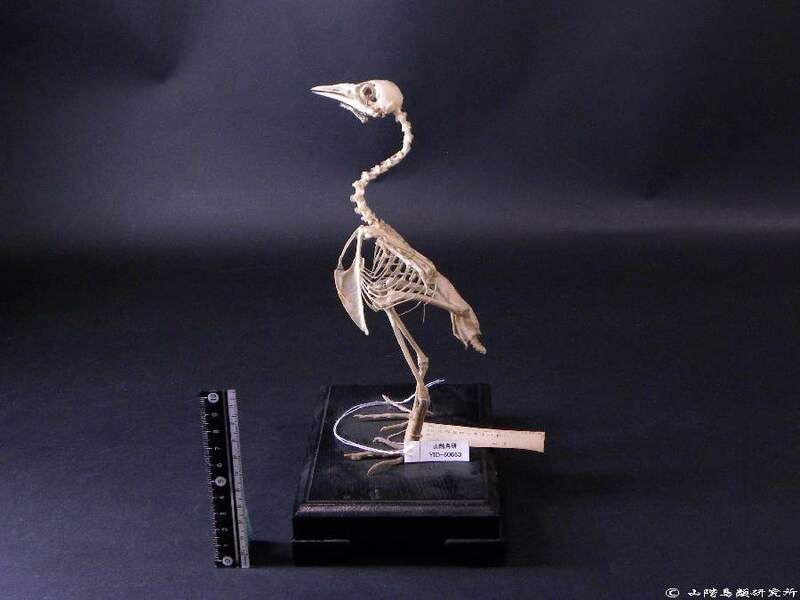 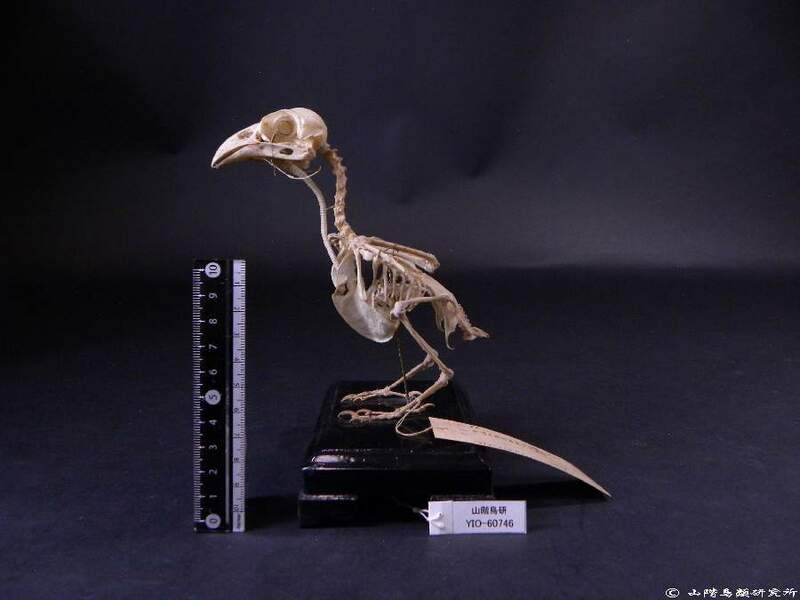 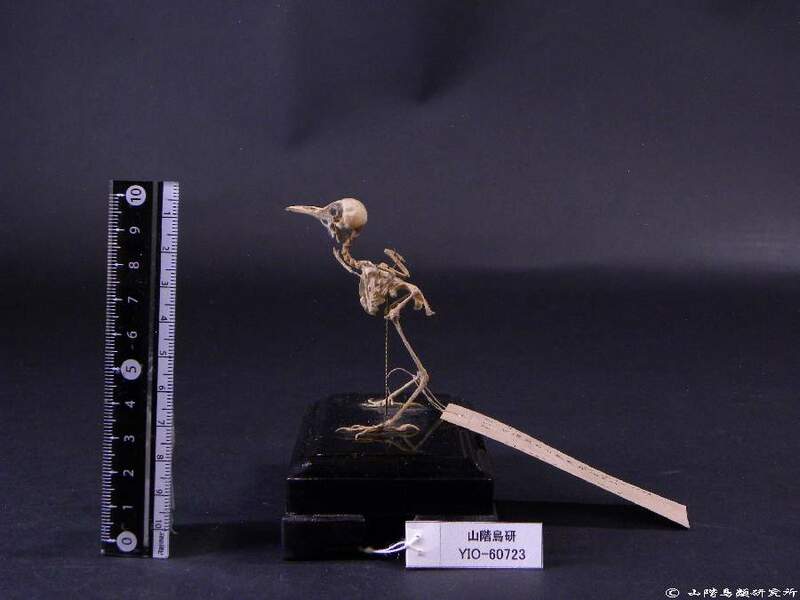 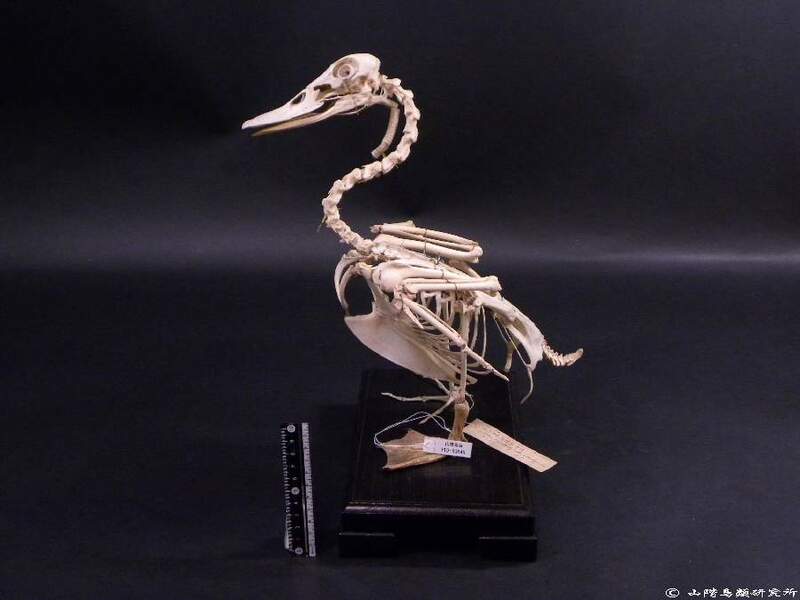 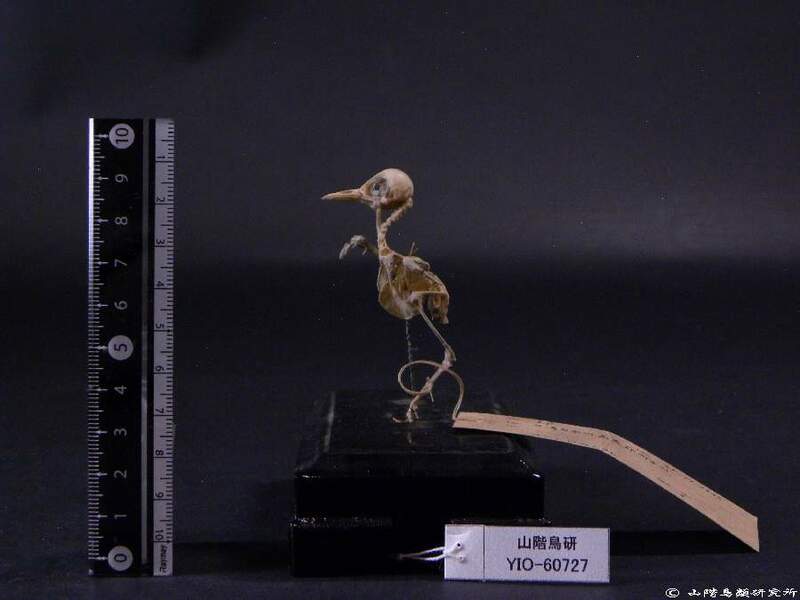 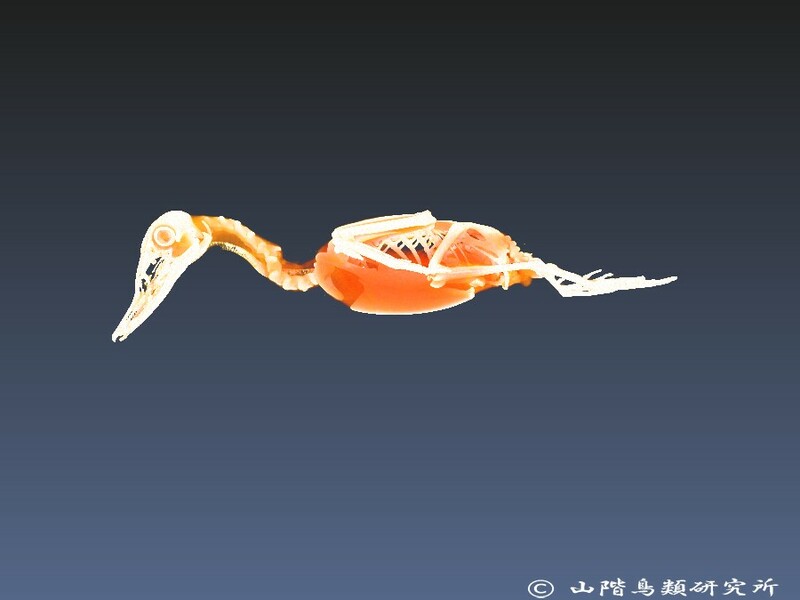 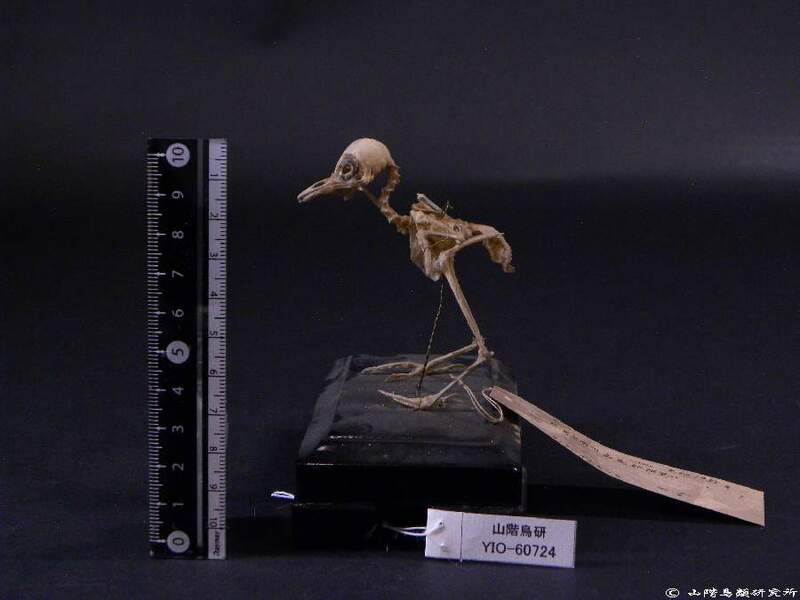 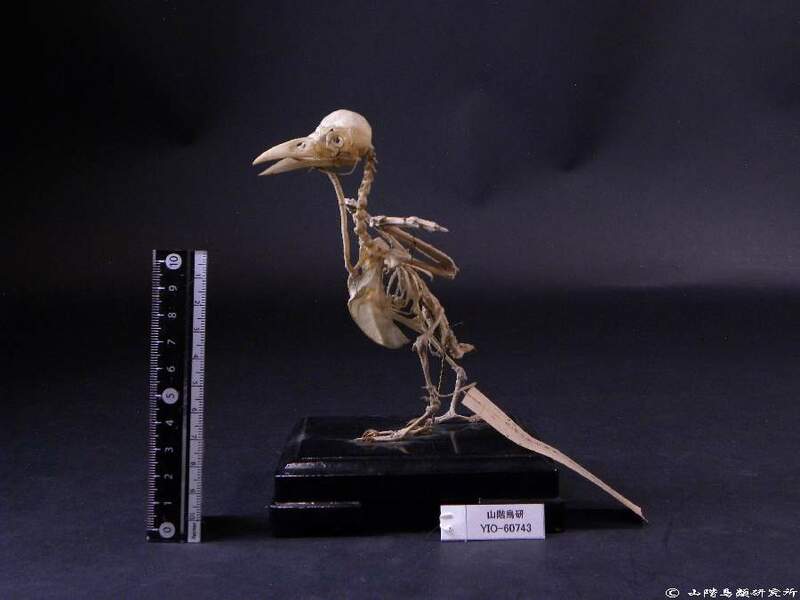 The Yamashina Institute for Ornithology (YIO) possesses approximately 69,000 bird specimens —the greatest number in Japan— and includes skins, spread wings, skeletal specimens, spirit specimens, eggs, and nests. 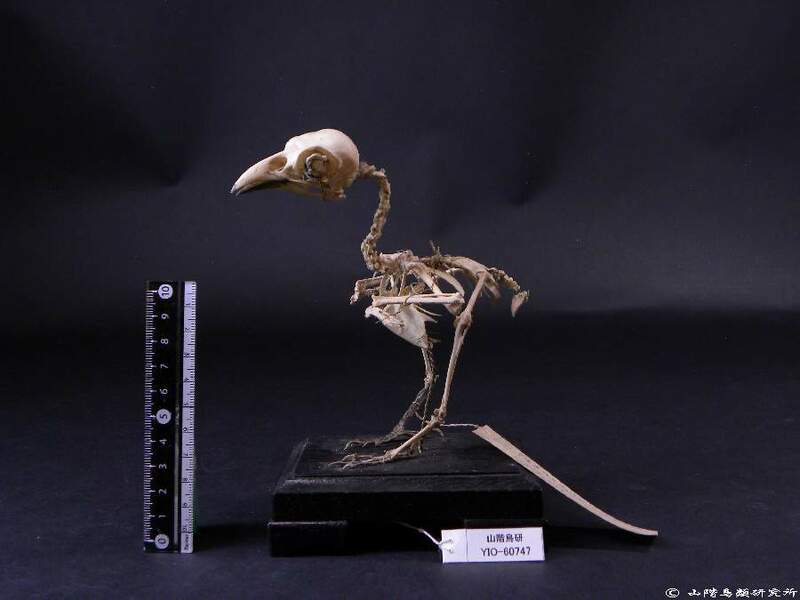 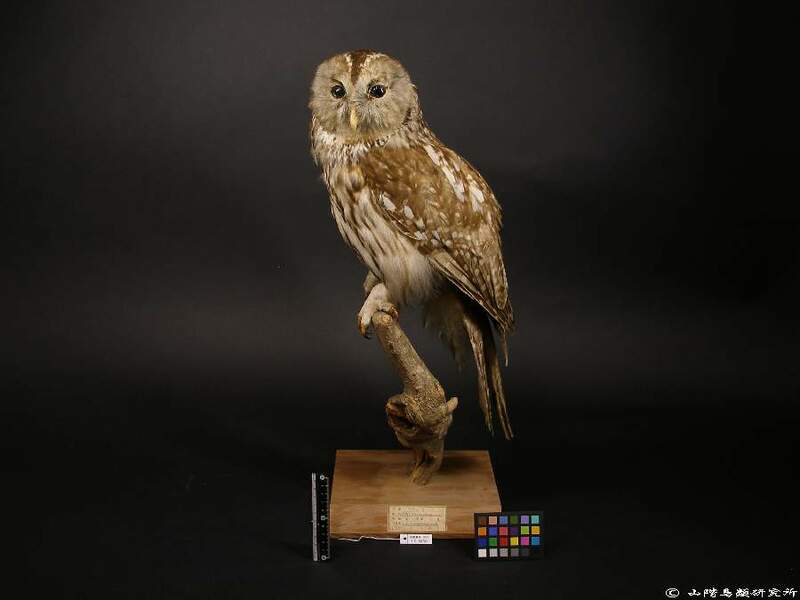 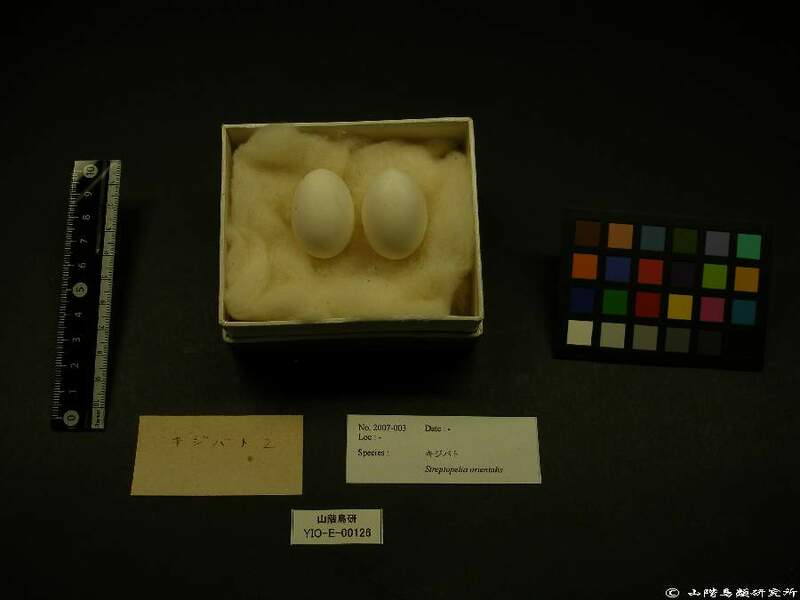 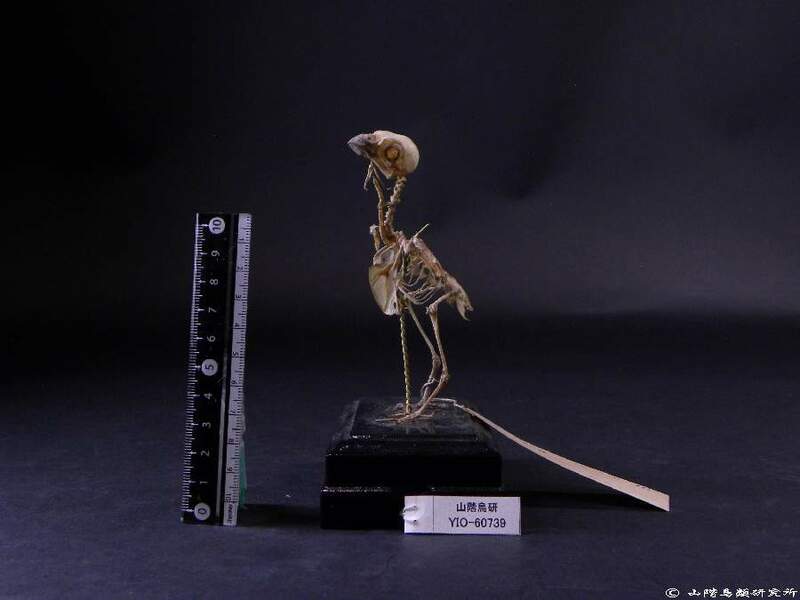 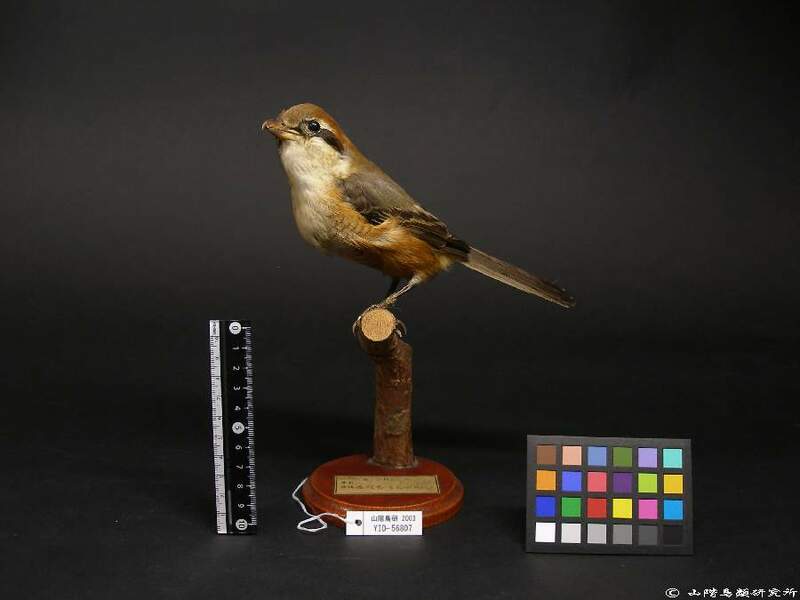 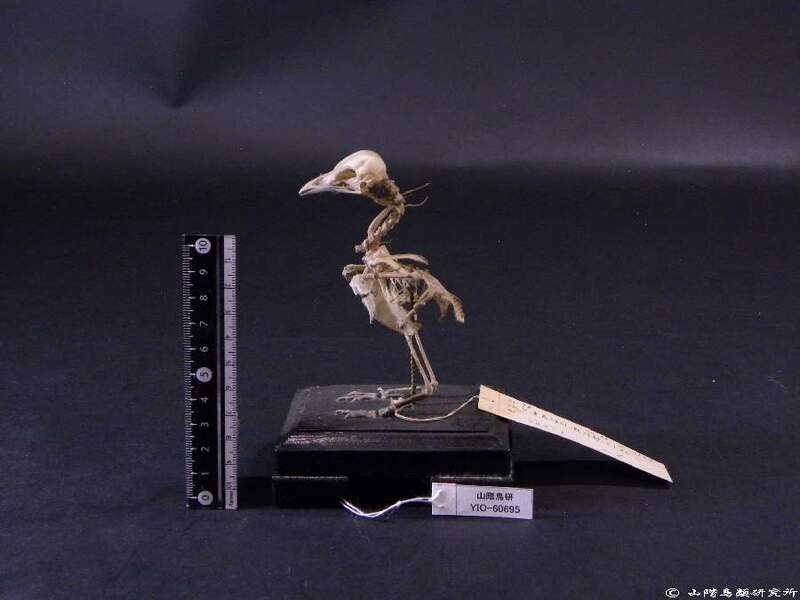 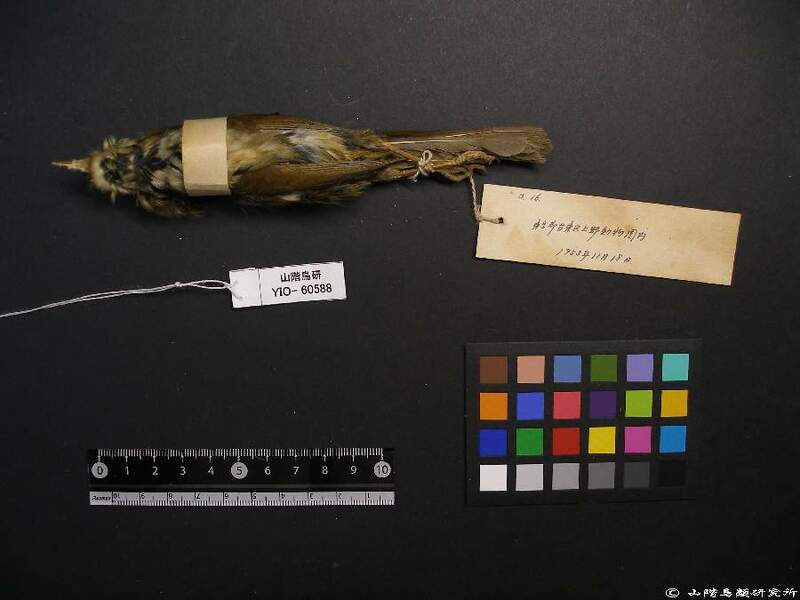 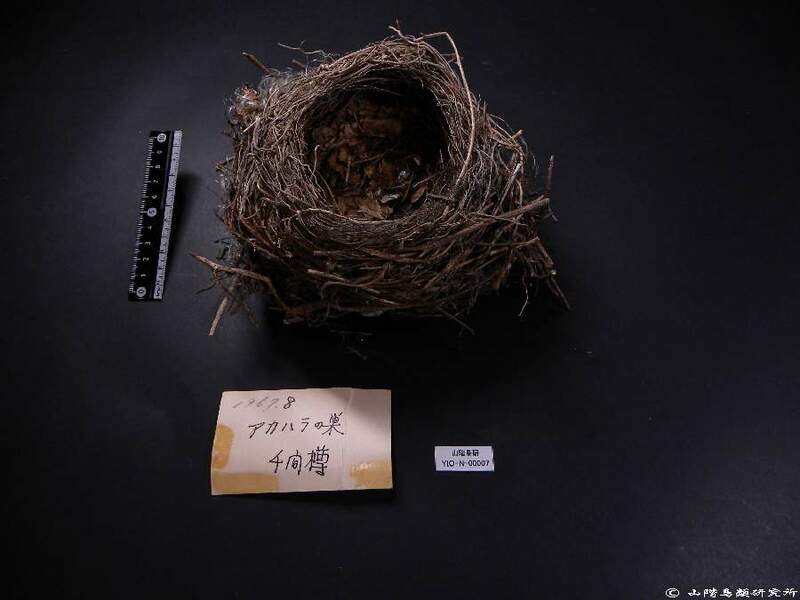 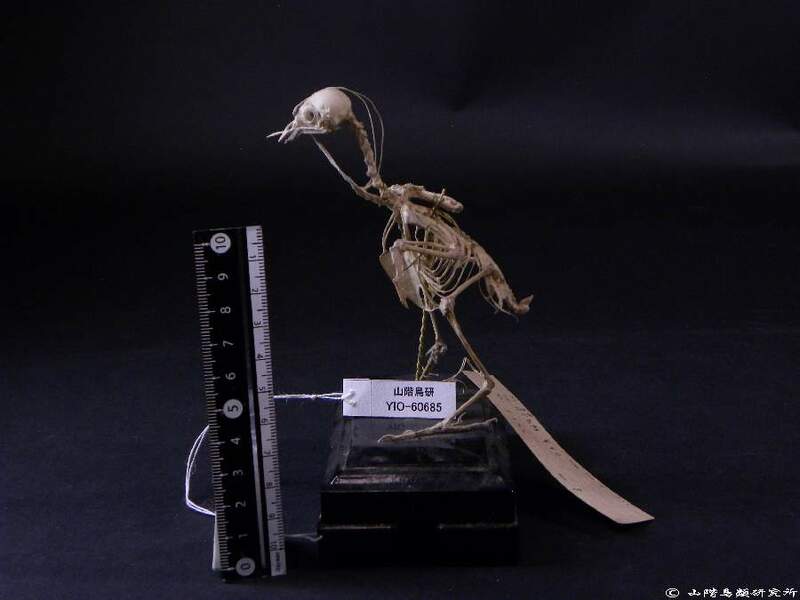 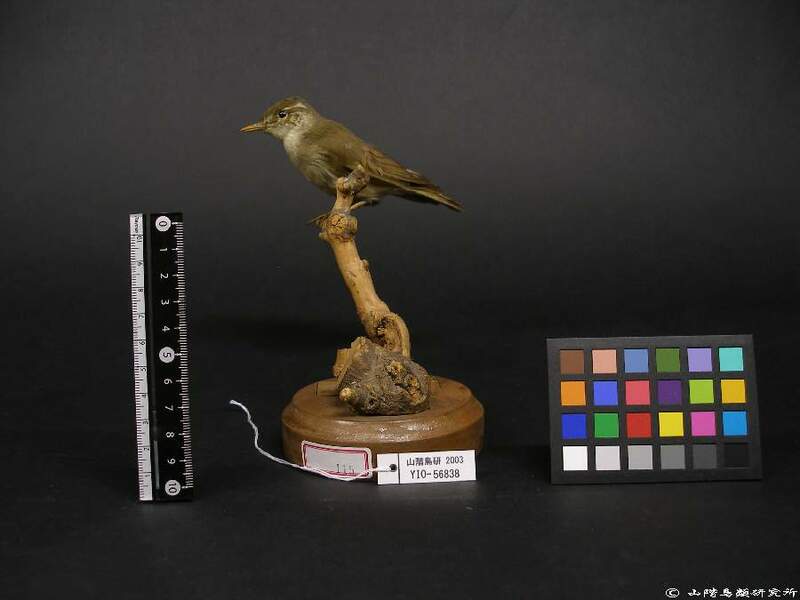 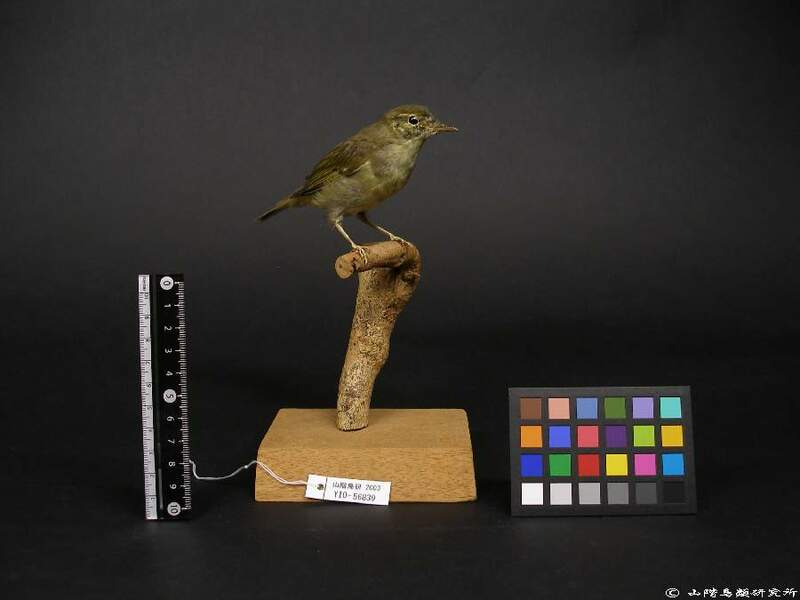 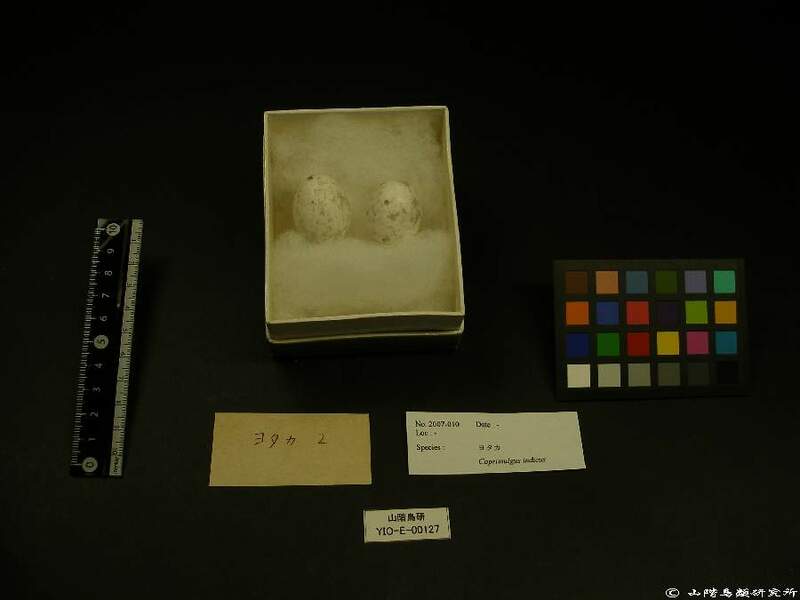 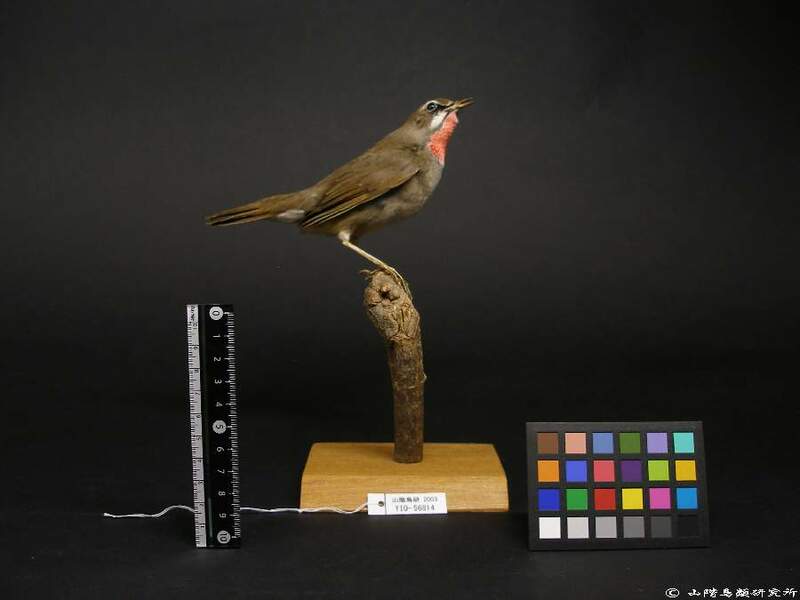 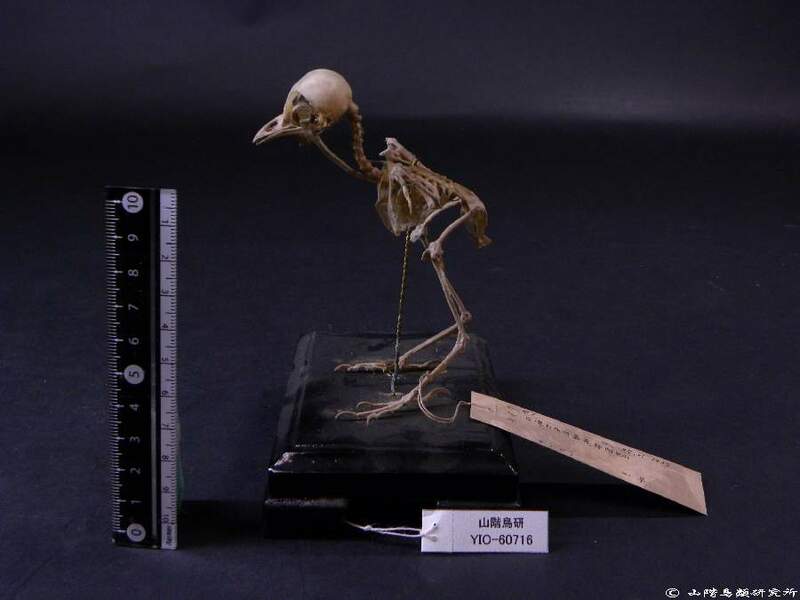 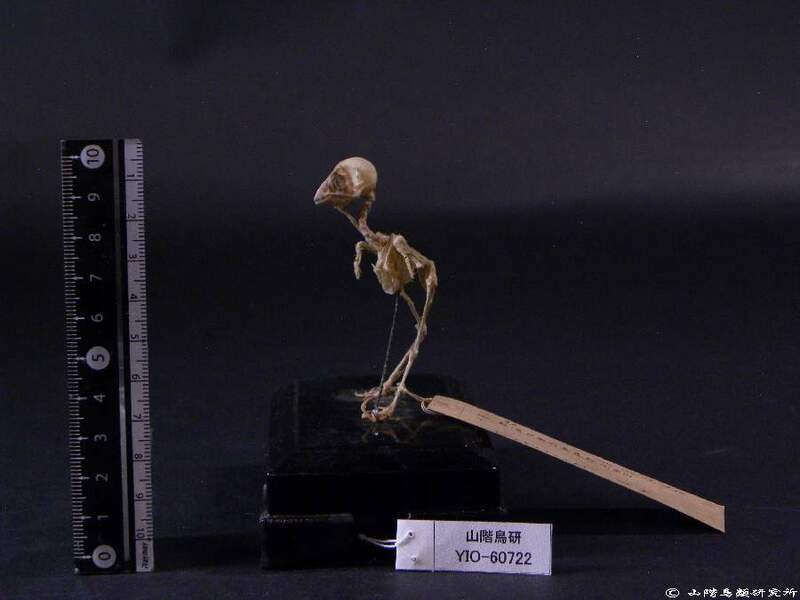 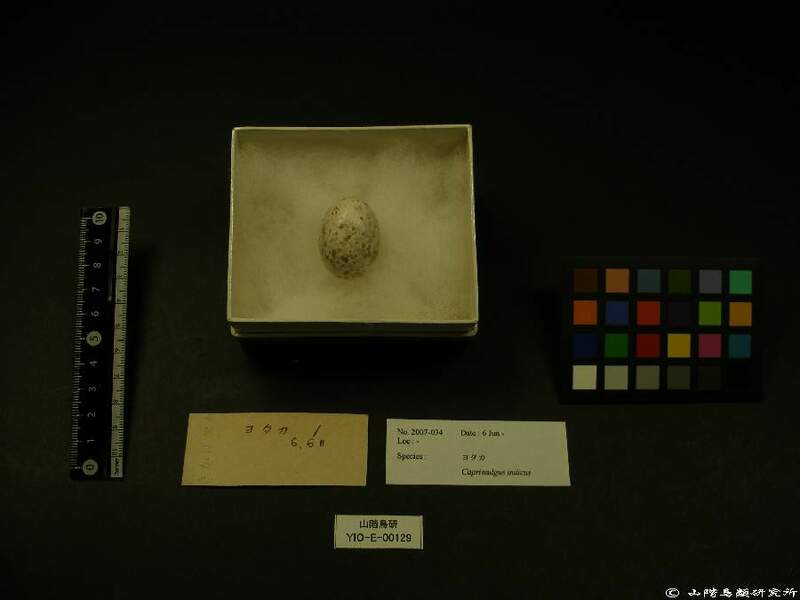 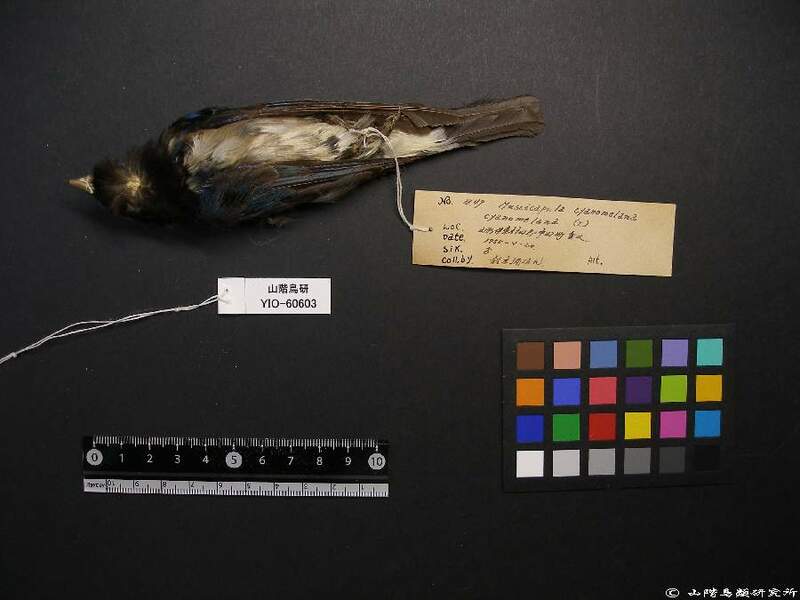 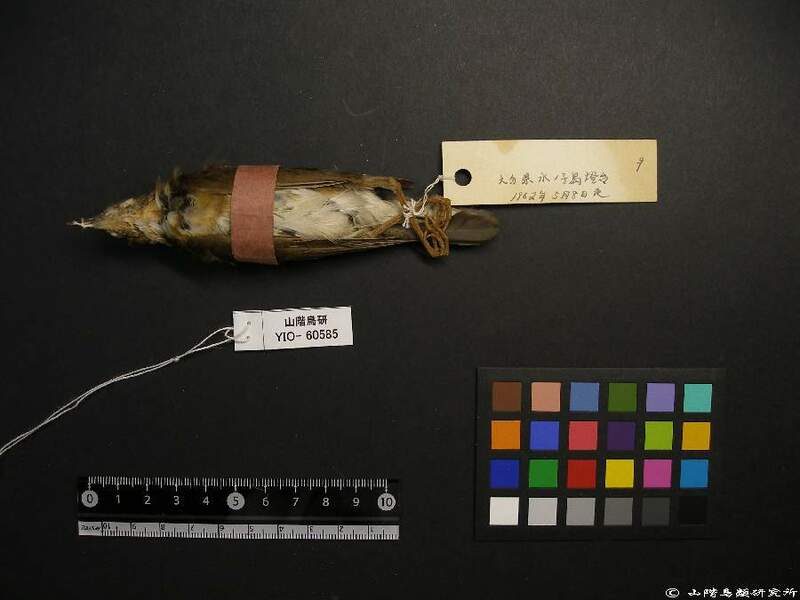 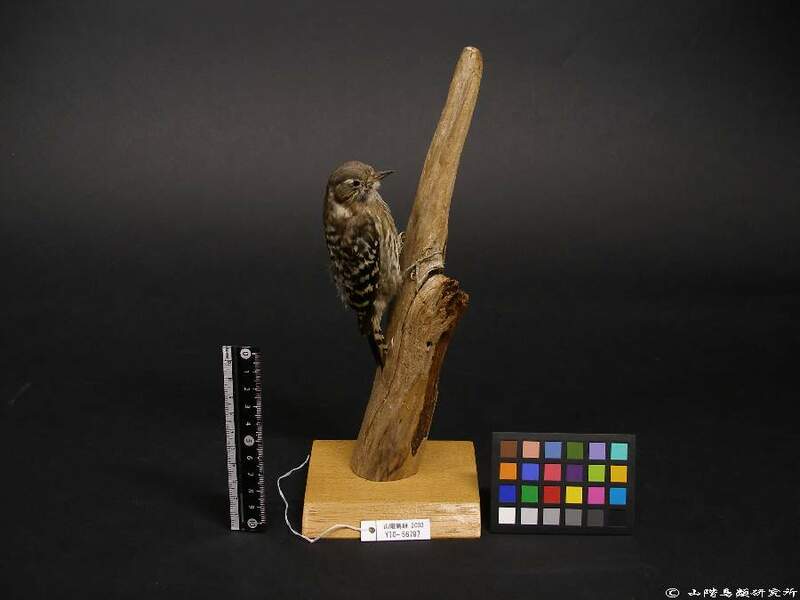 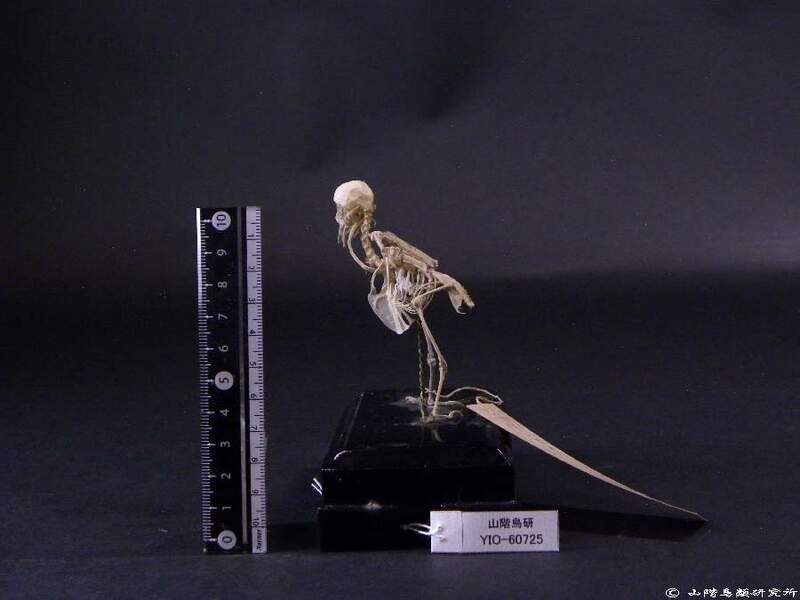 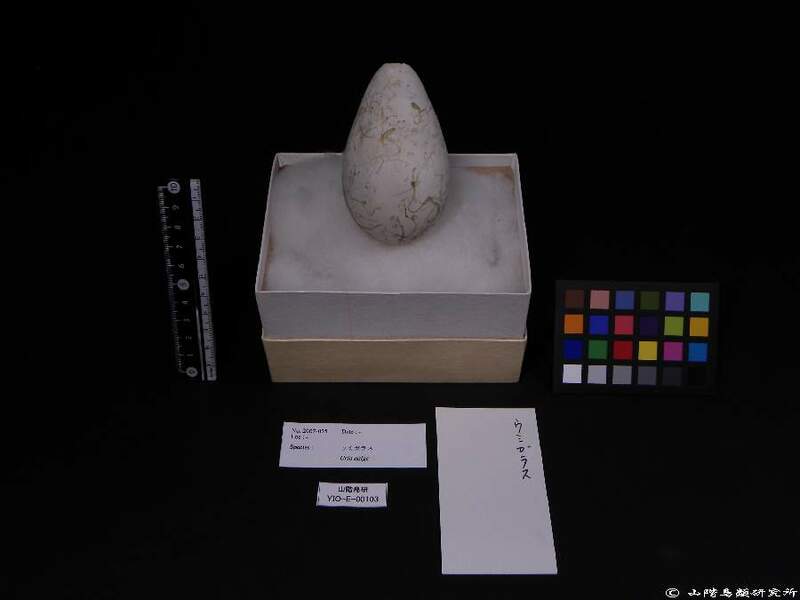 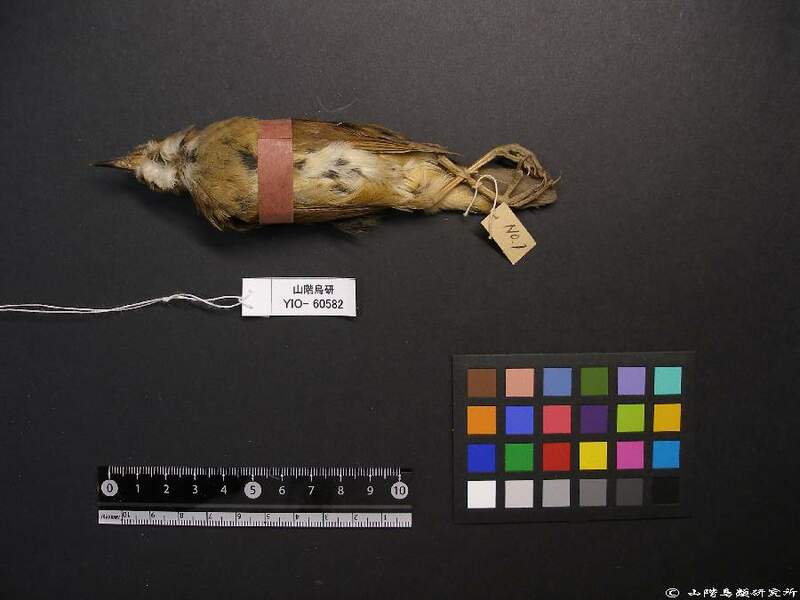 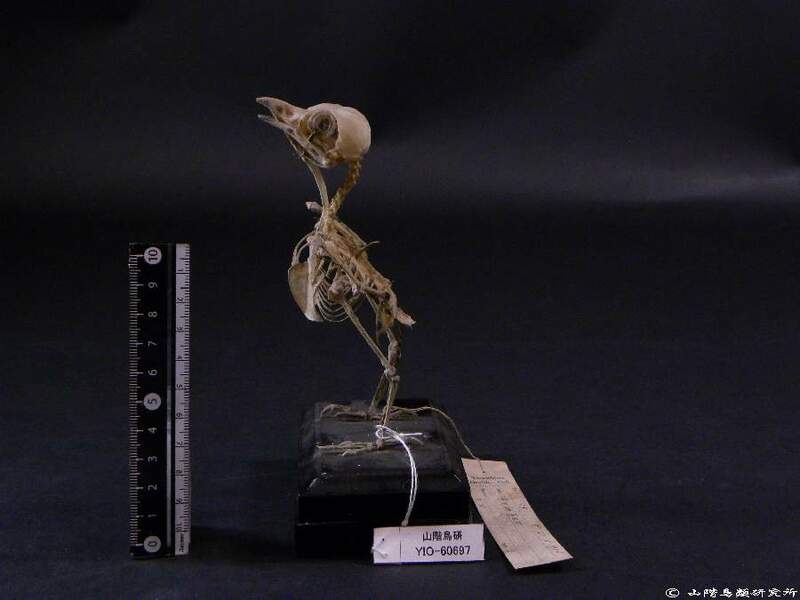 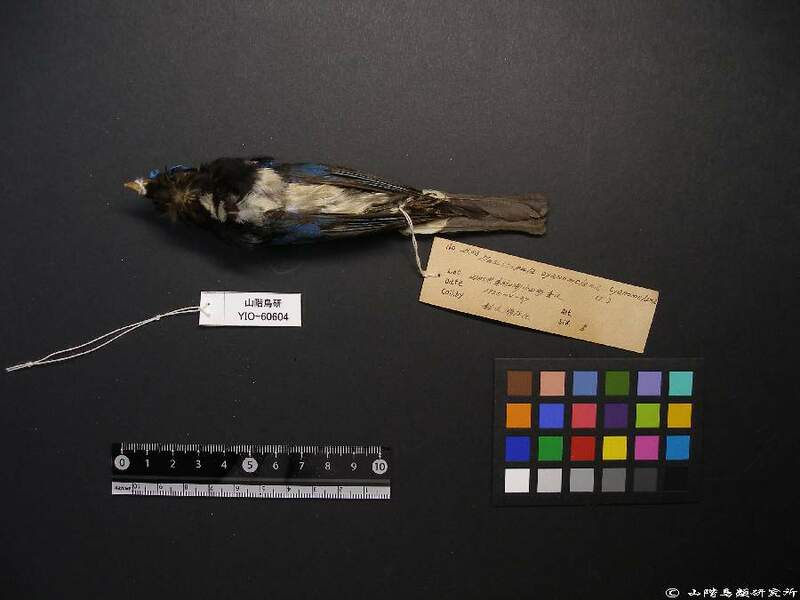 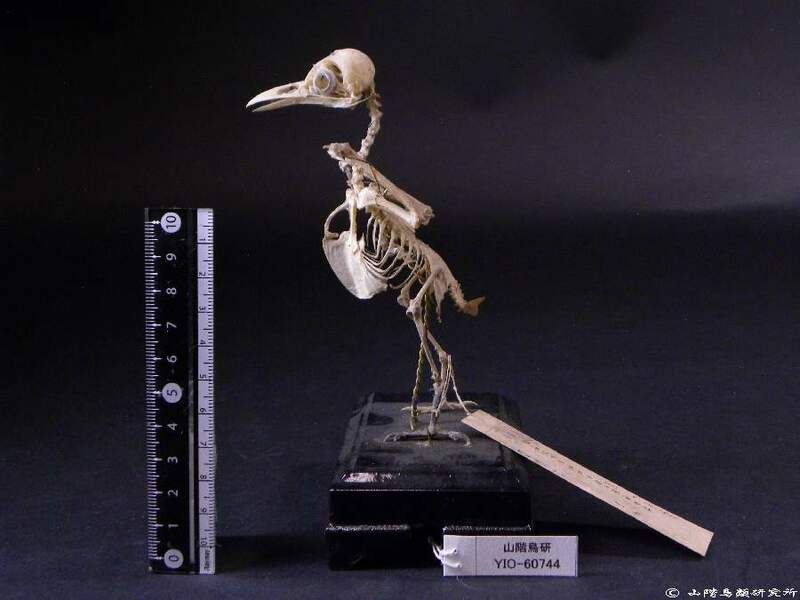 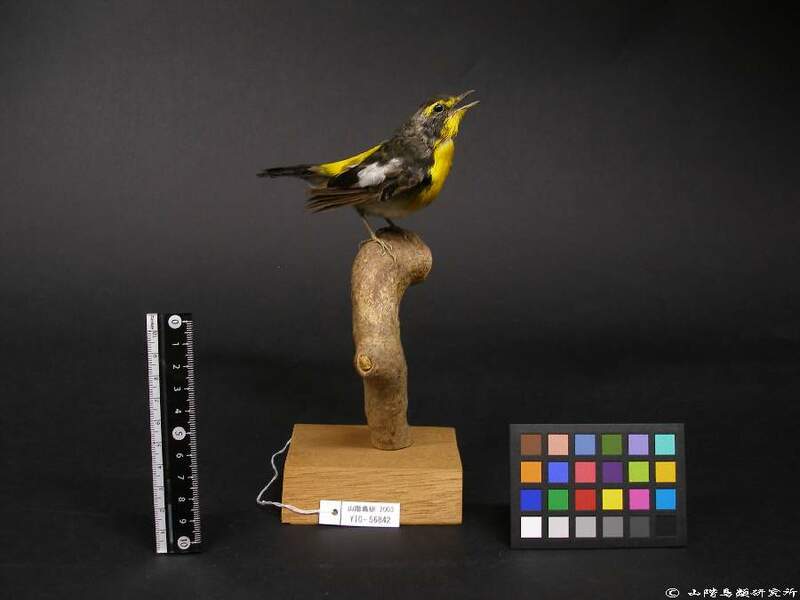 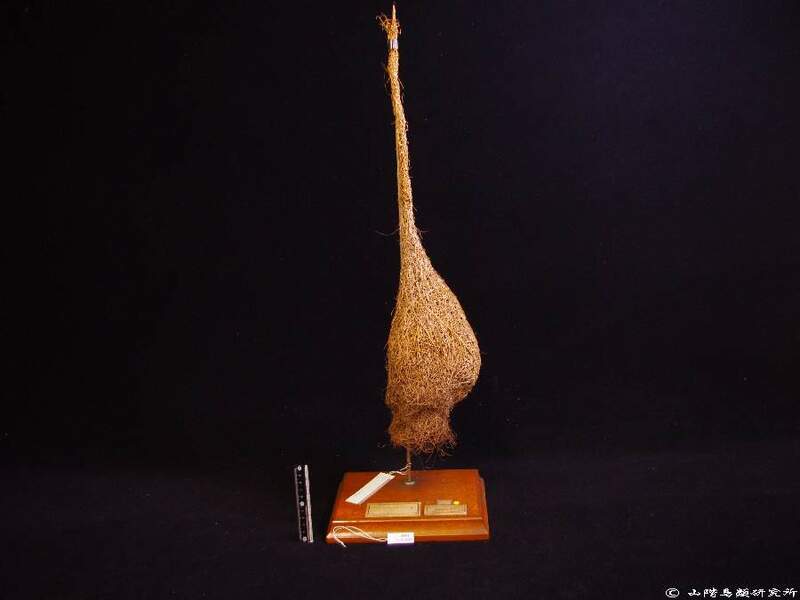 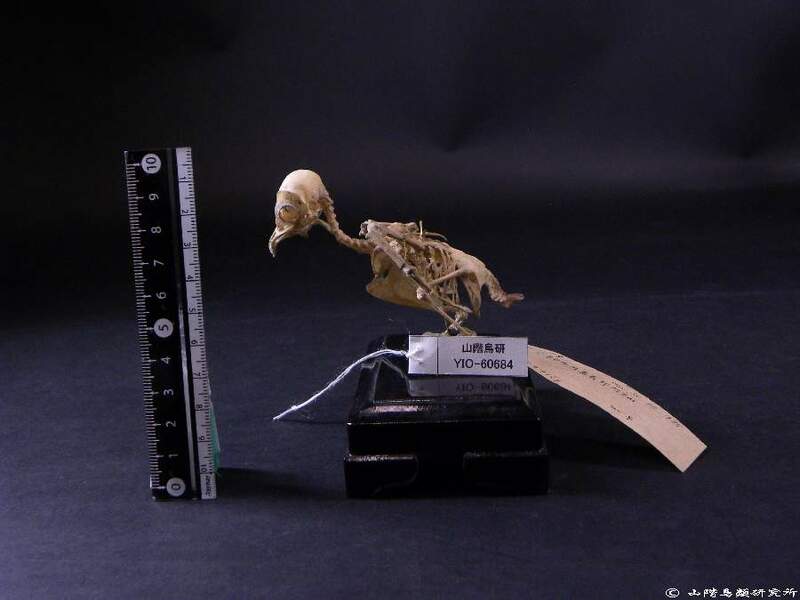 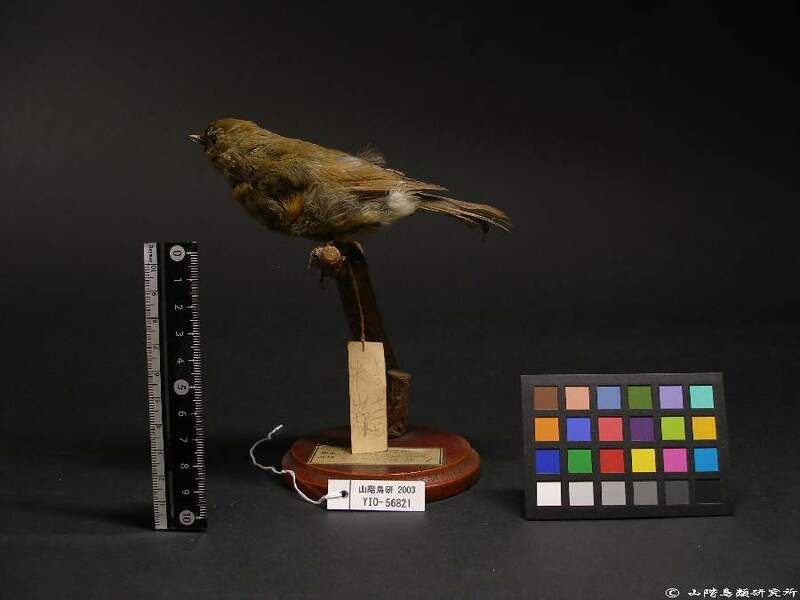 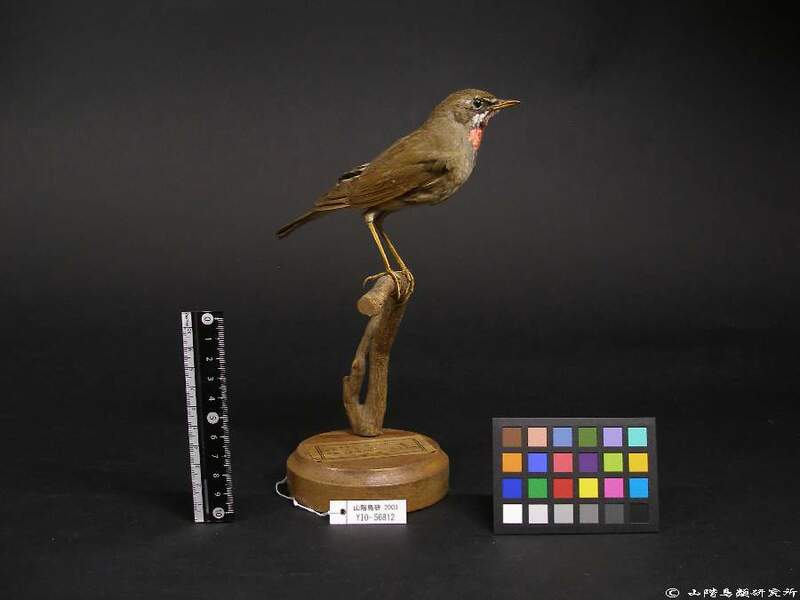 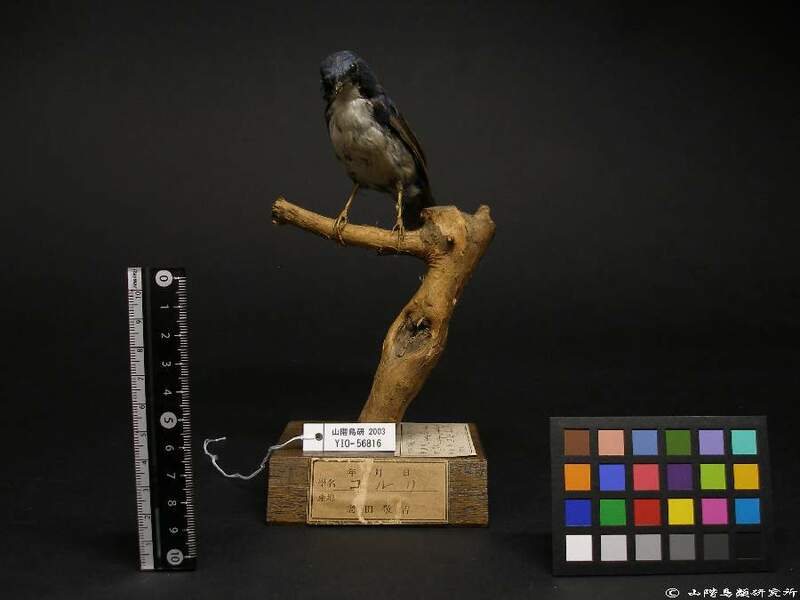 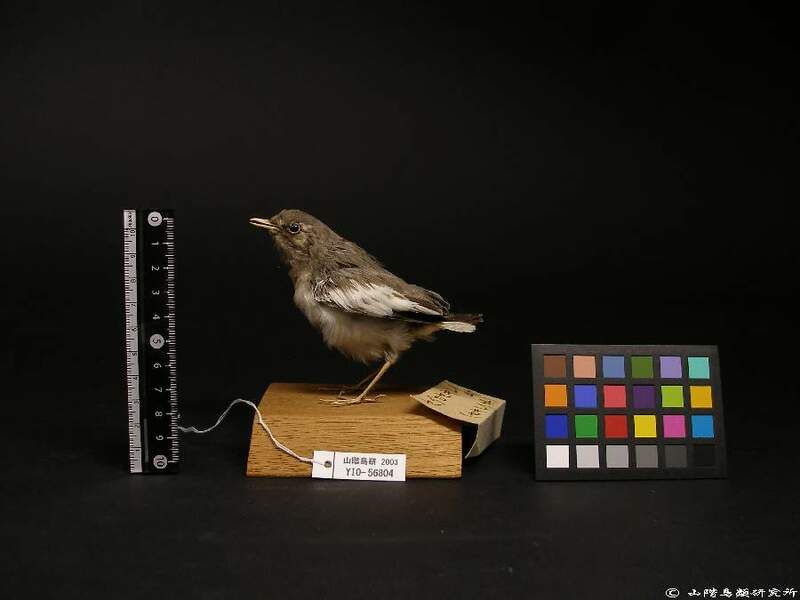 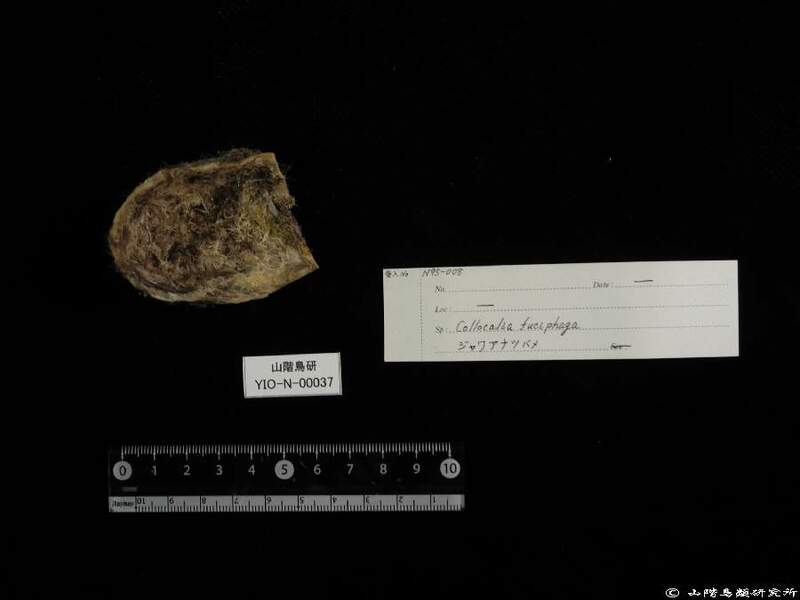 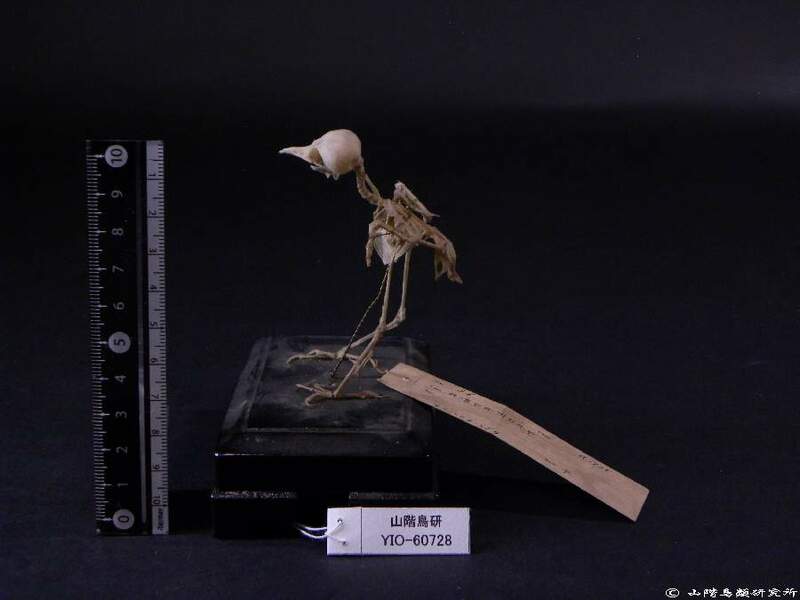 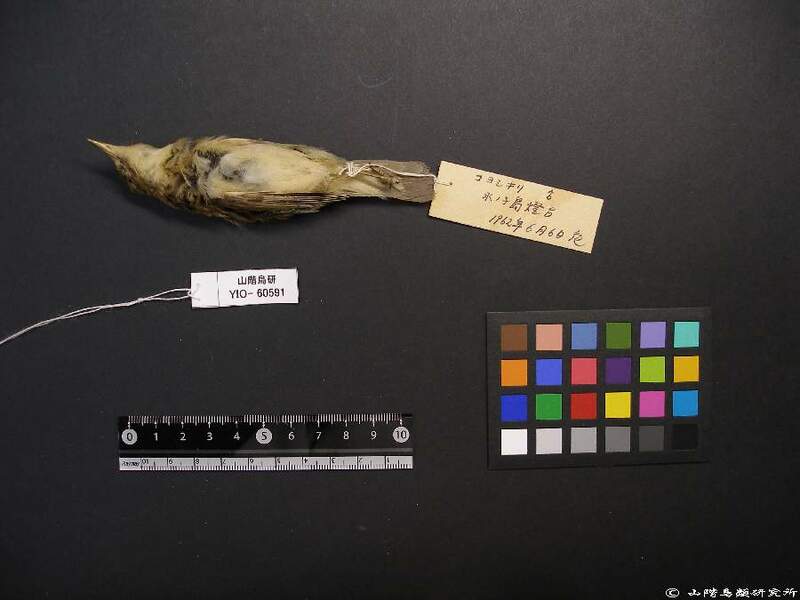 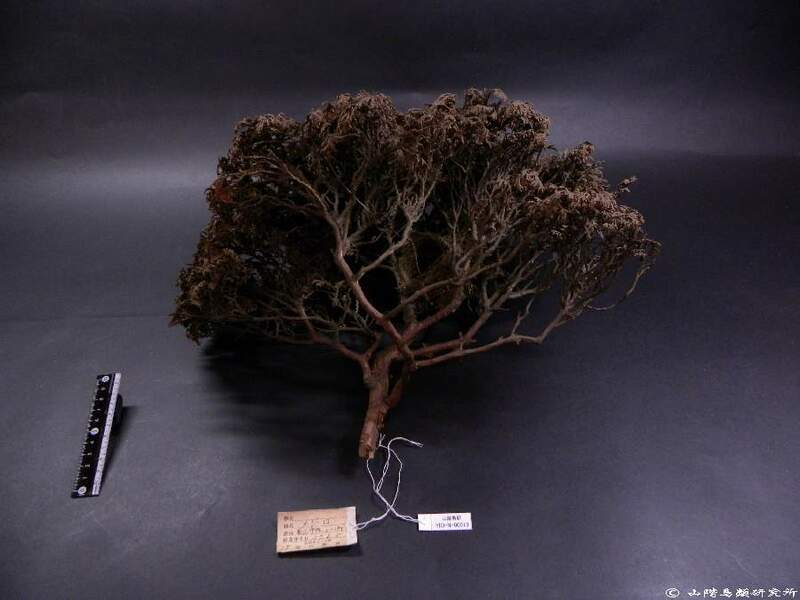 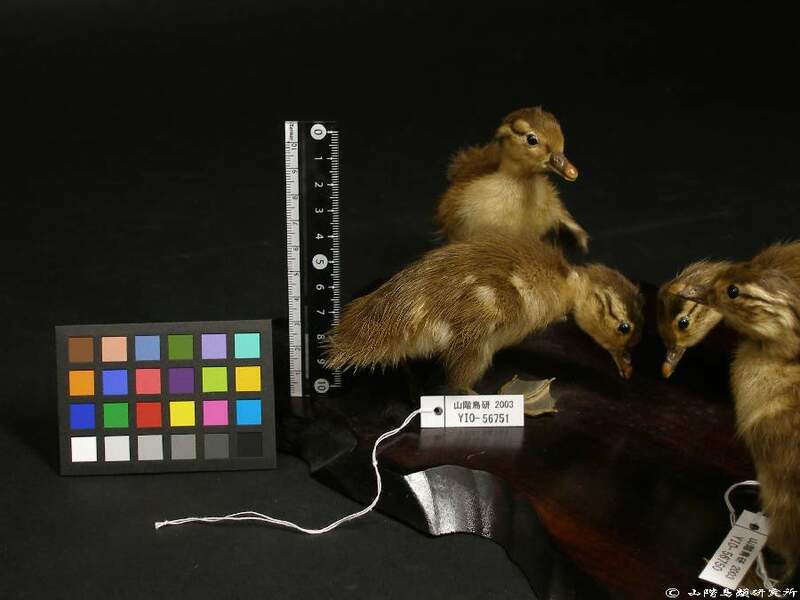 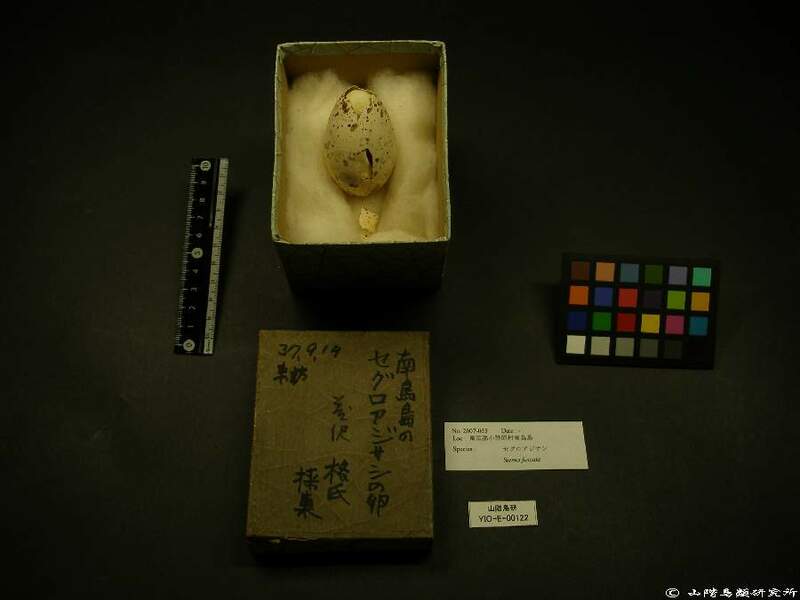 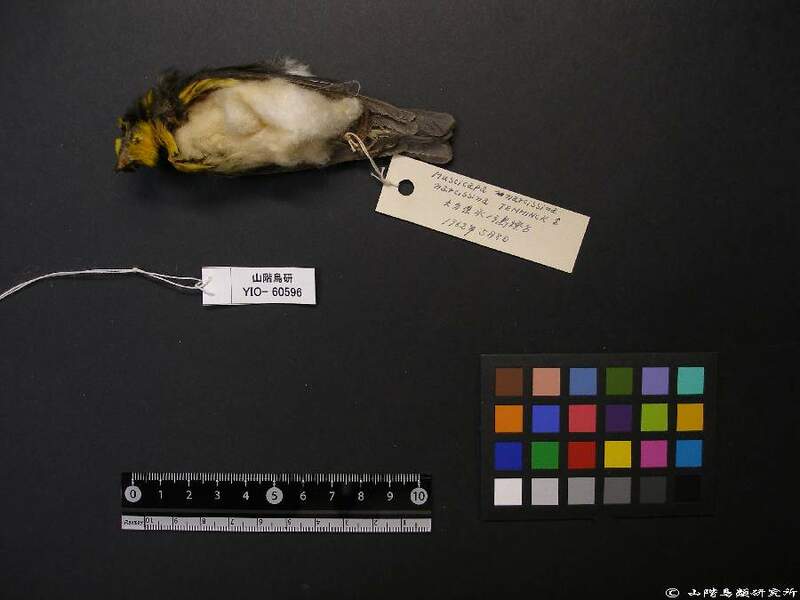 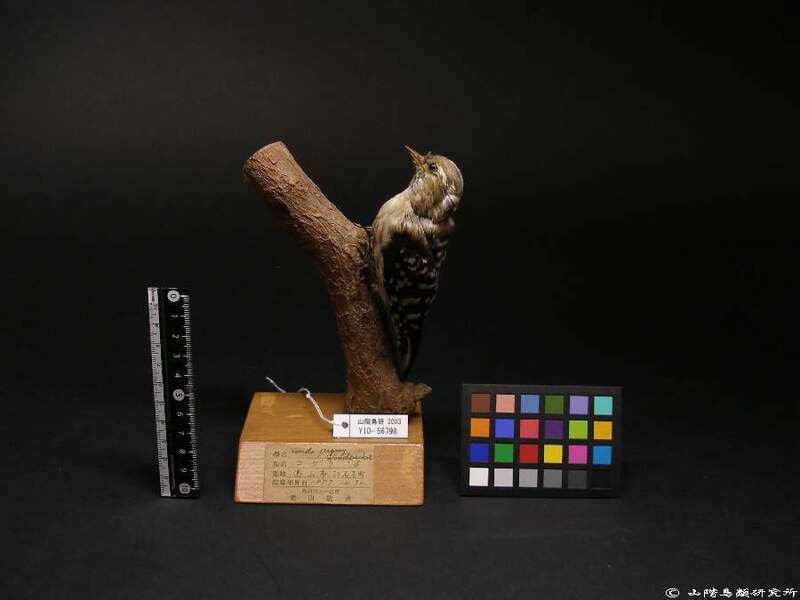 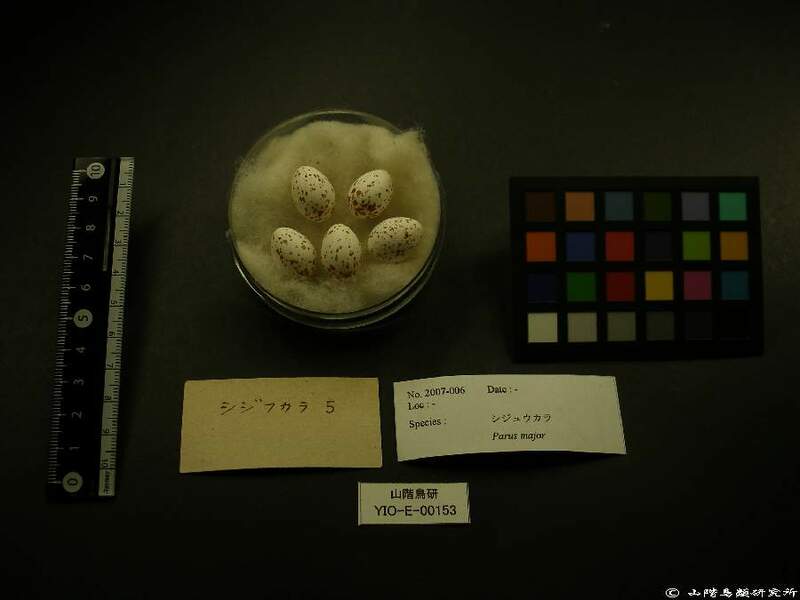 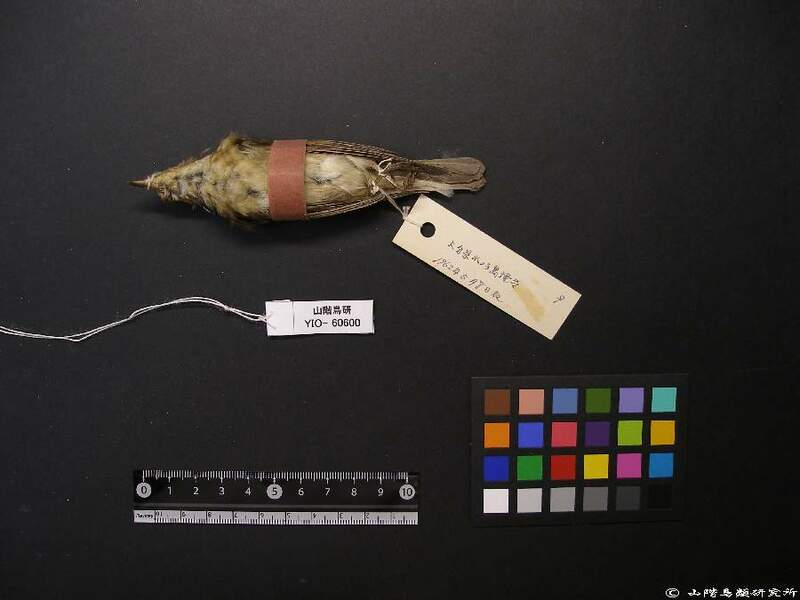 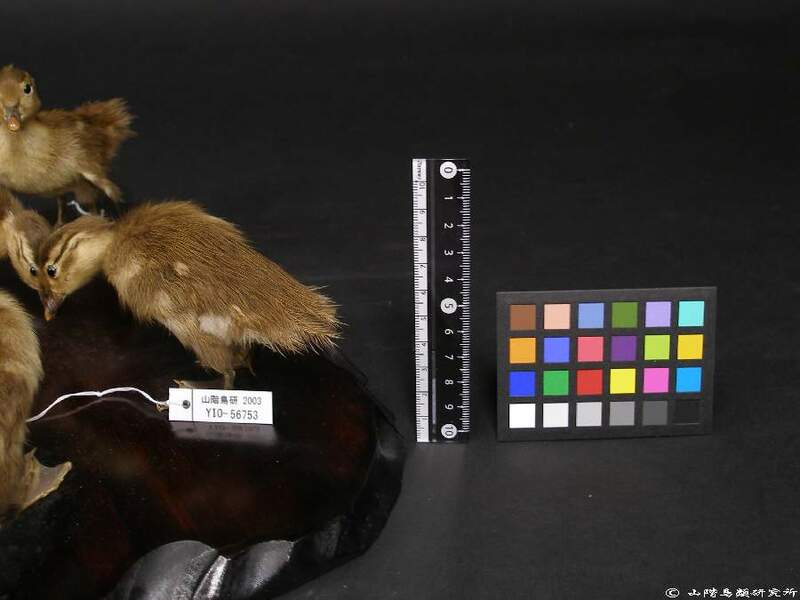 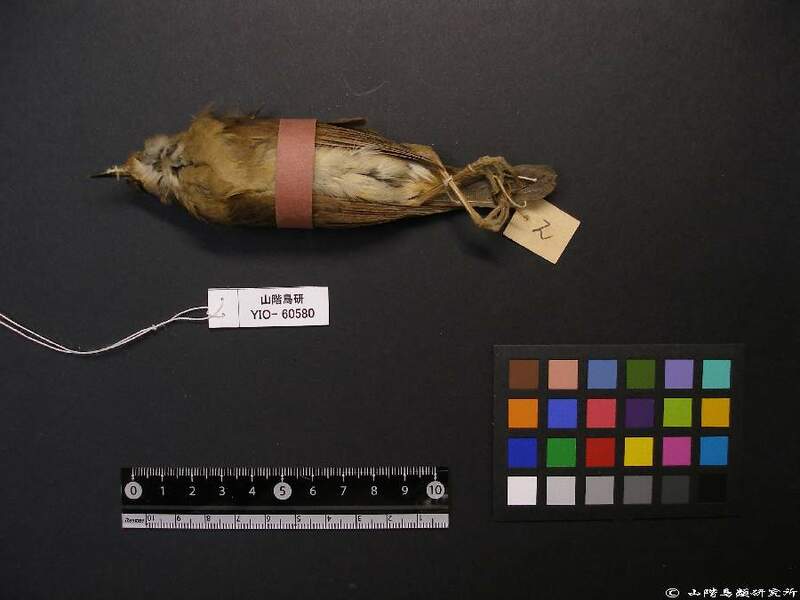 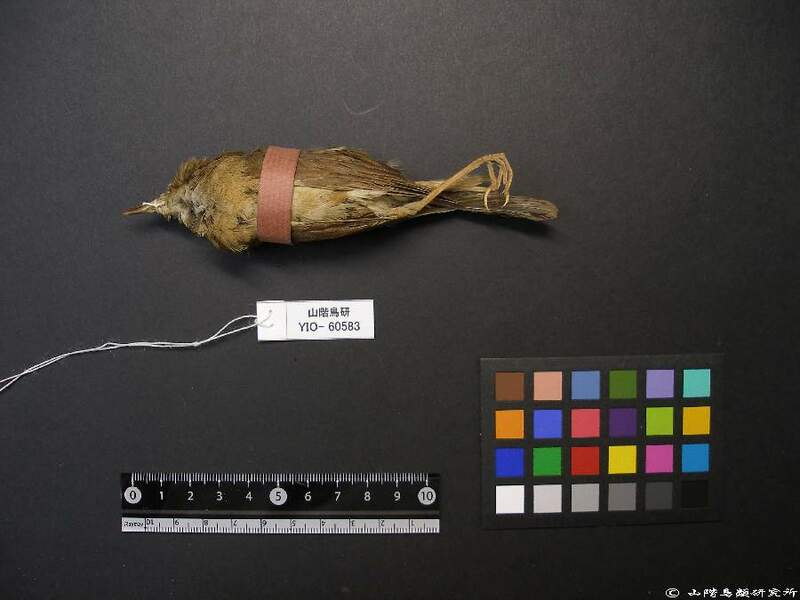 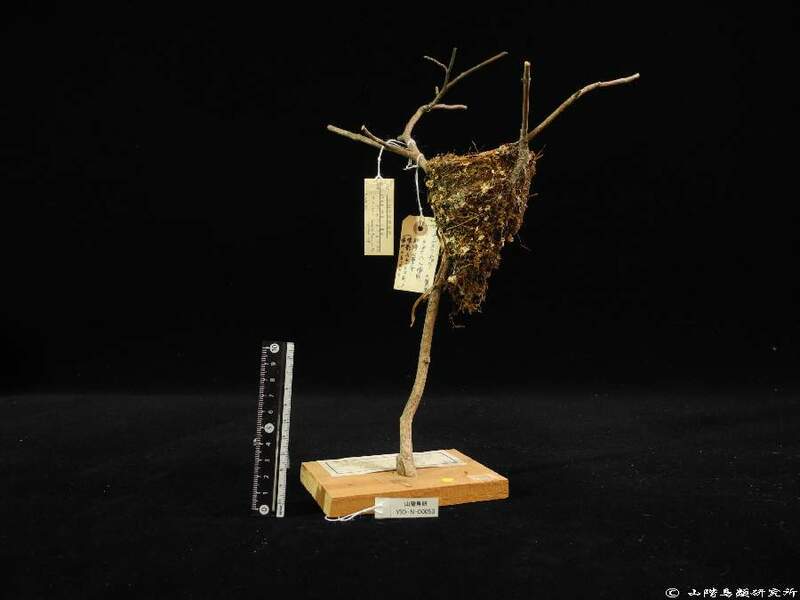 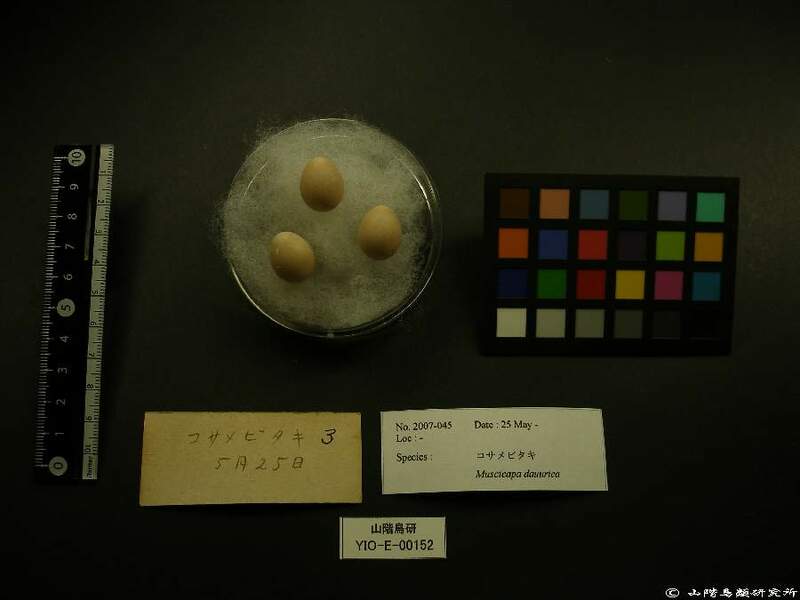 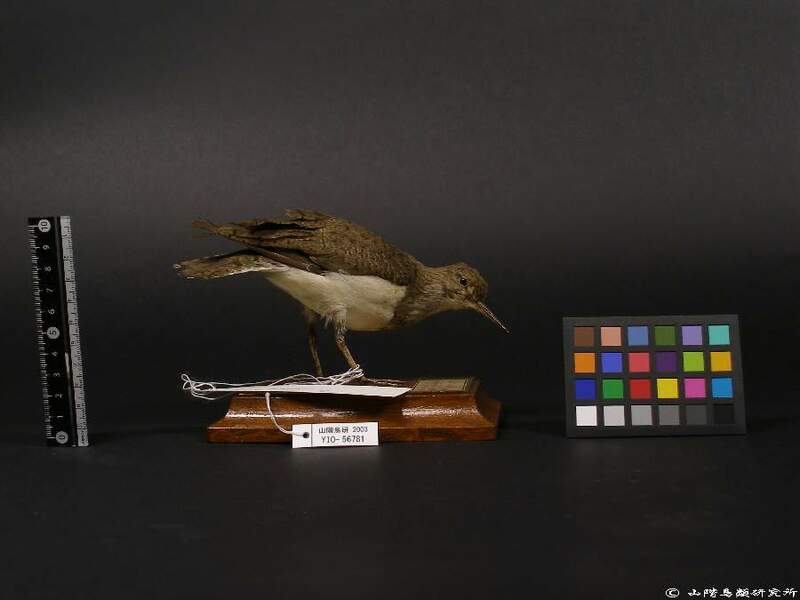 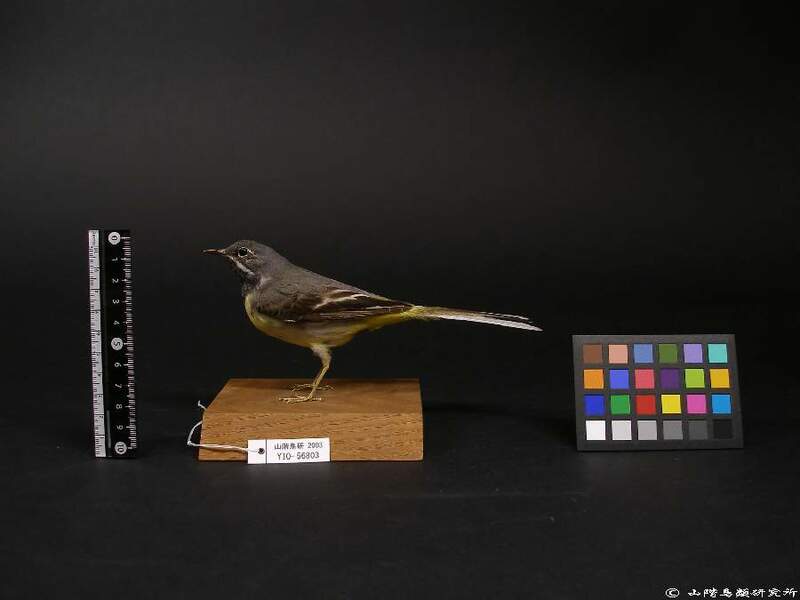 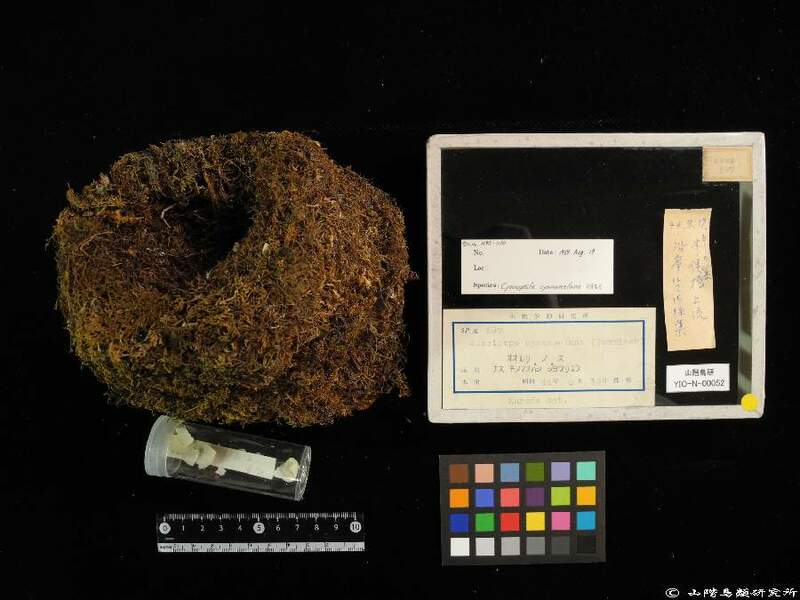 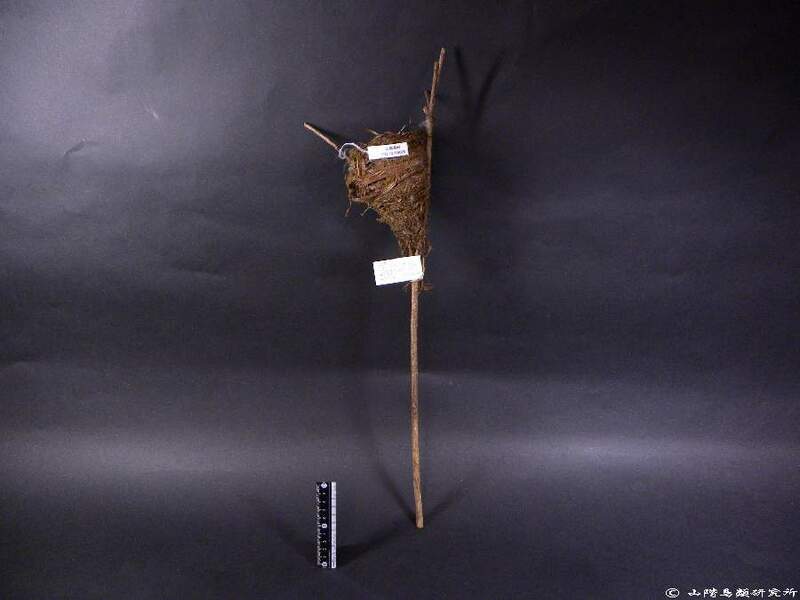 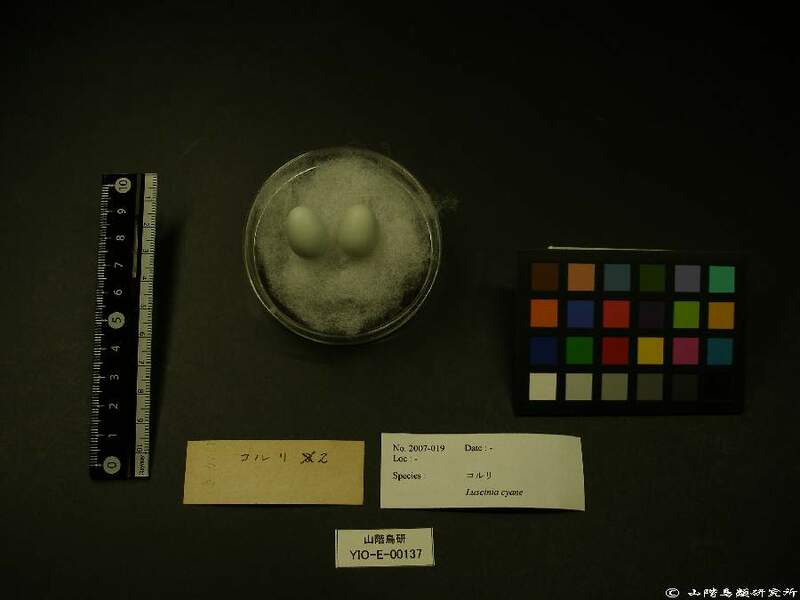 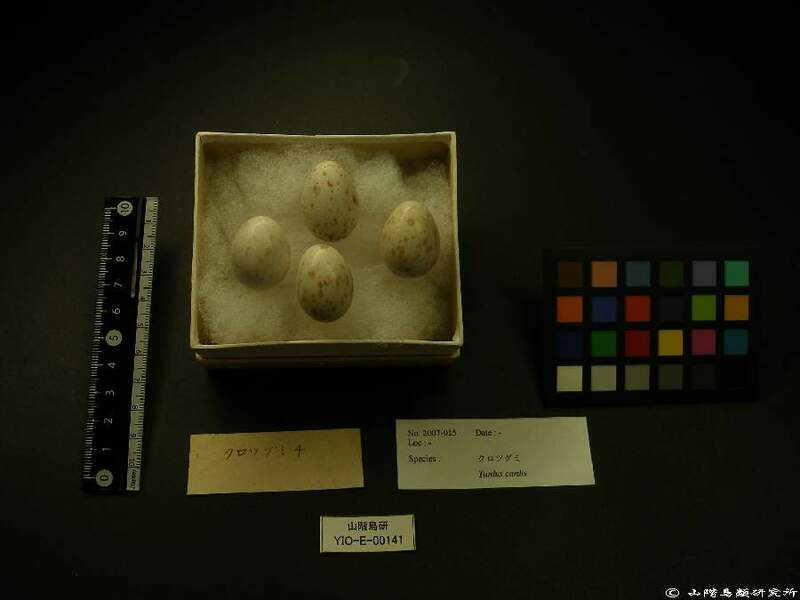 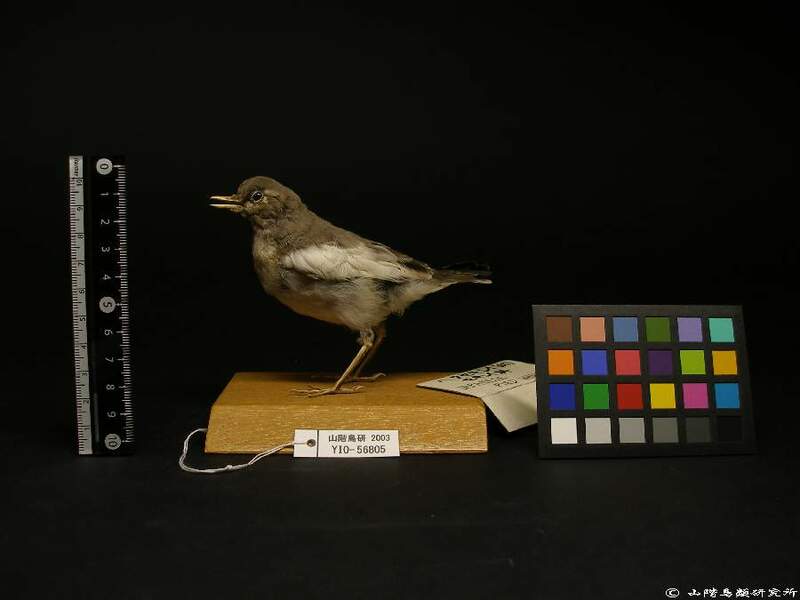 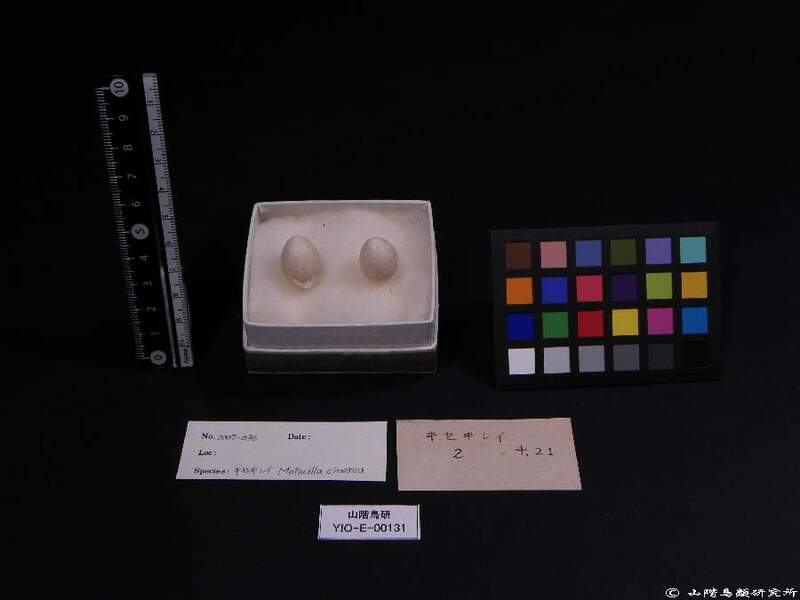 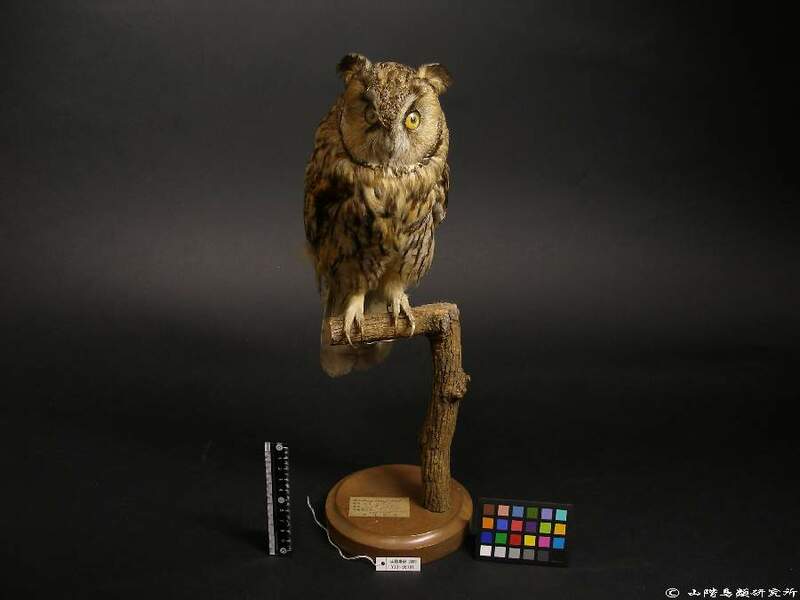 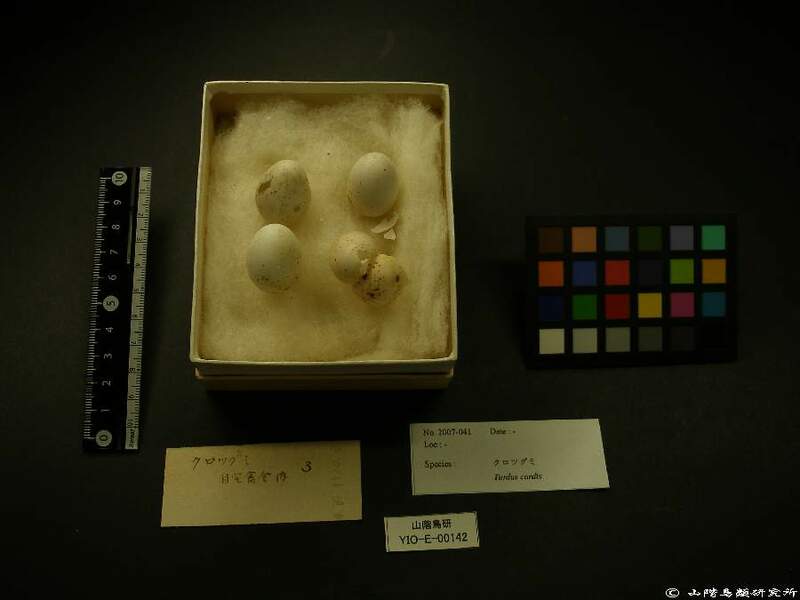 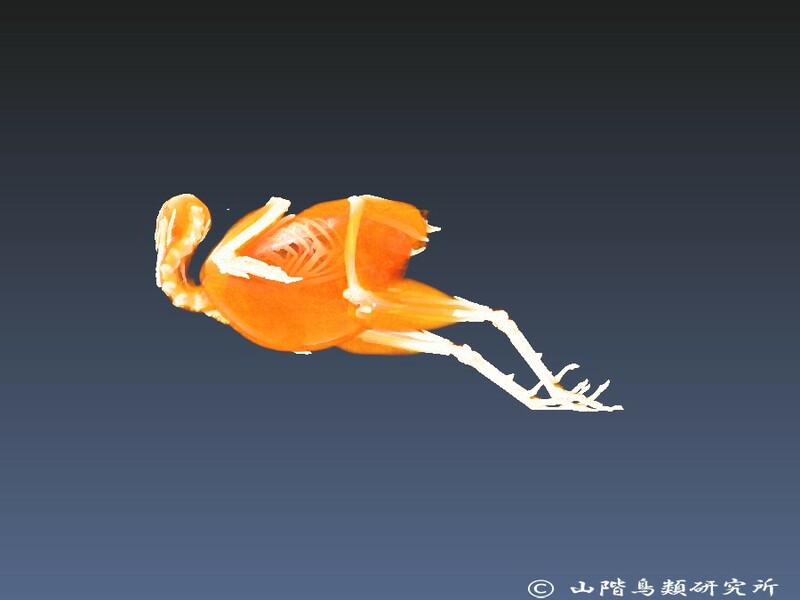 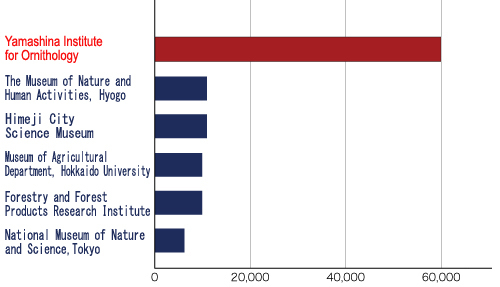 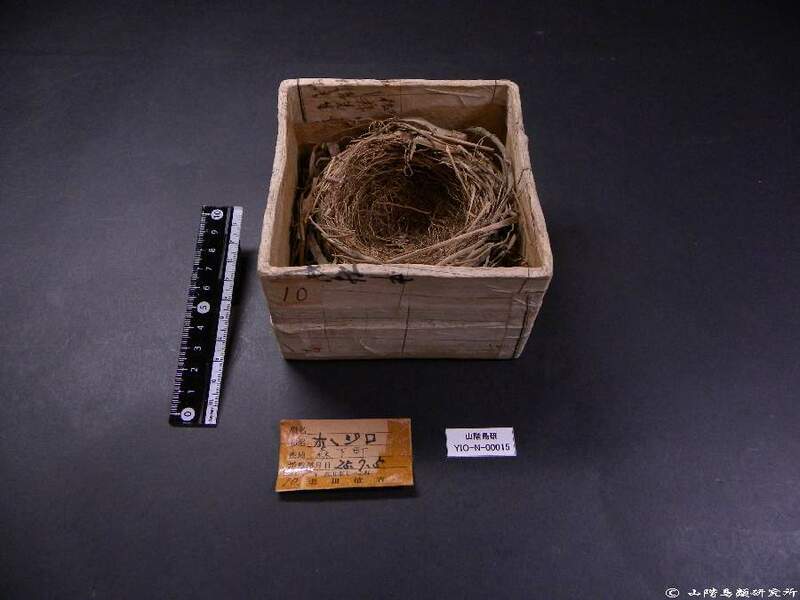 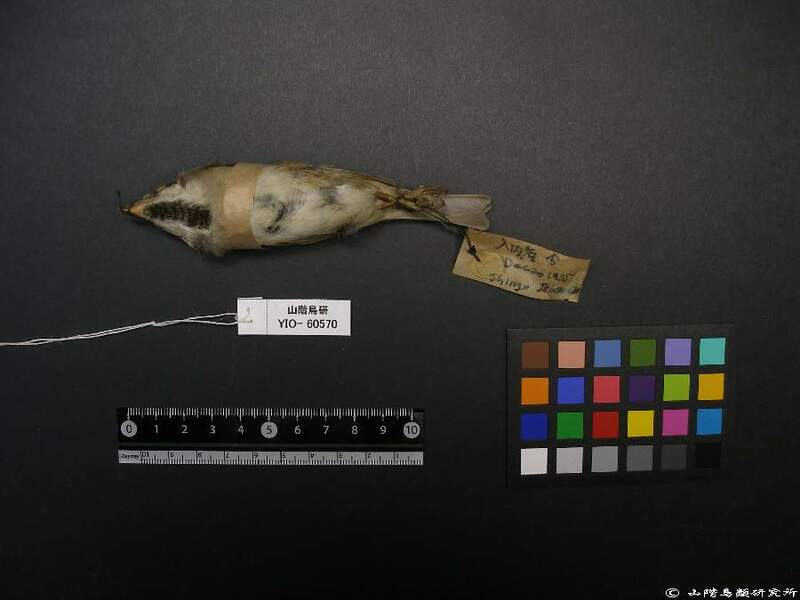 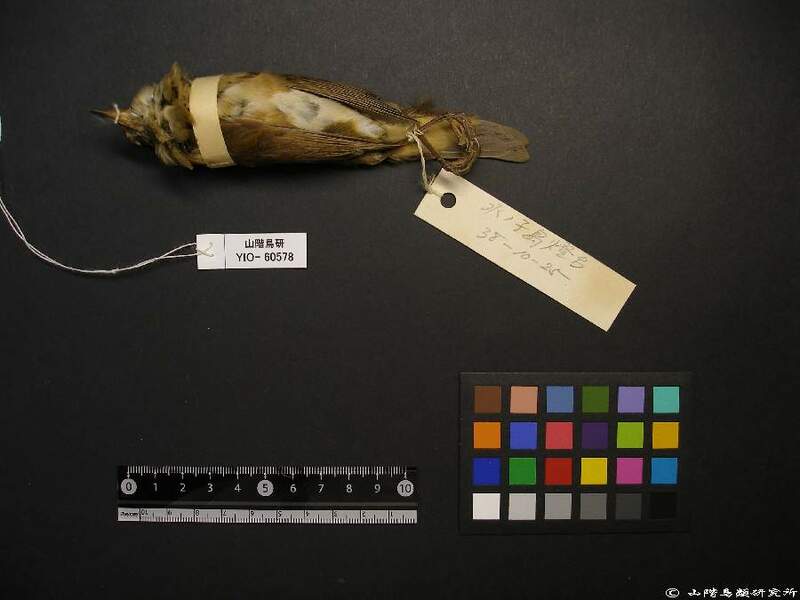 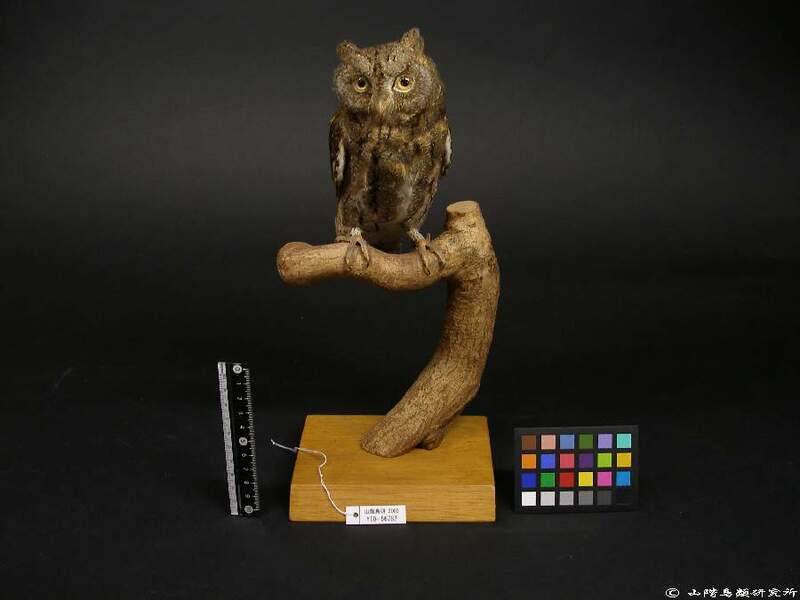 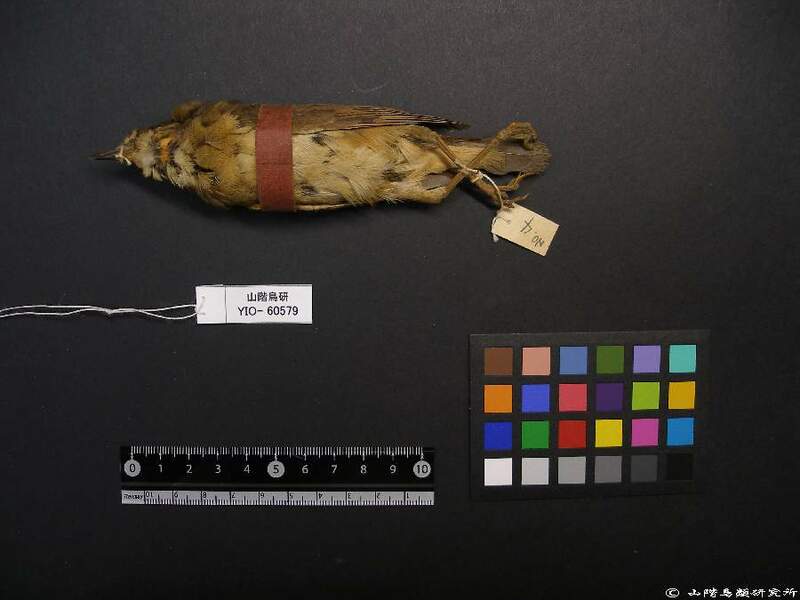 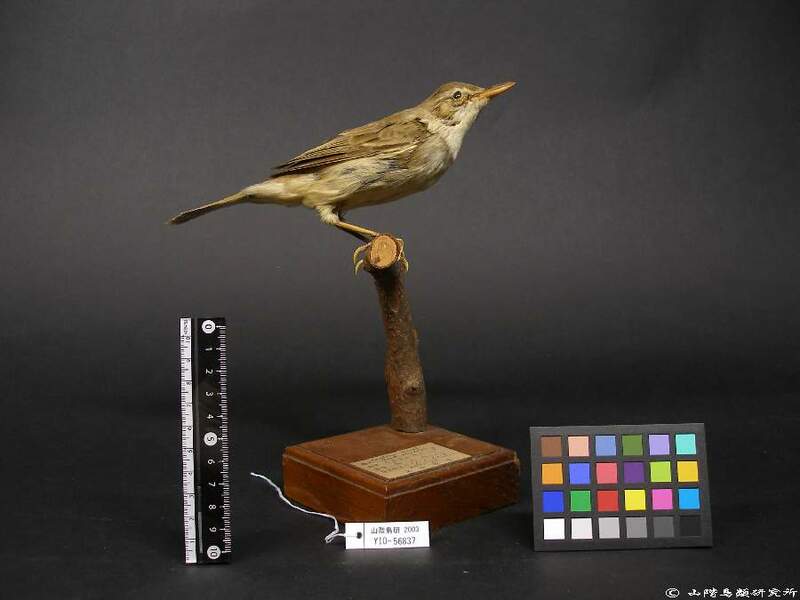 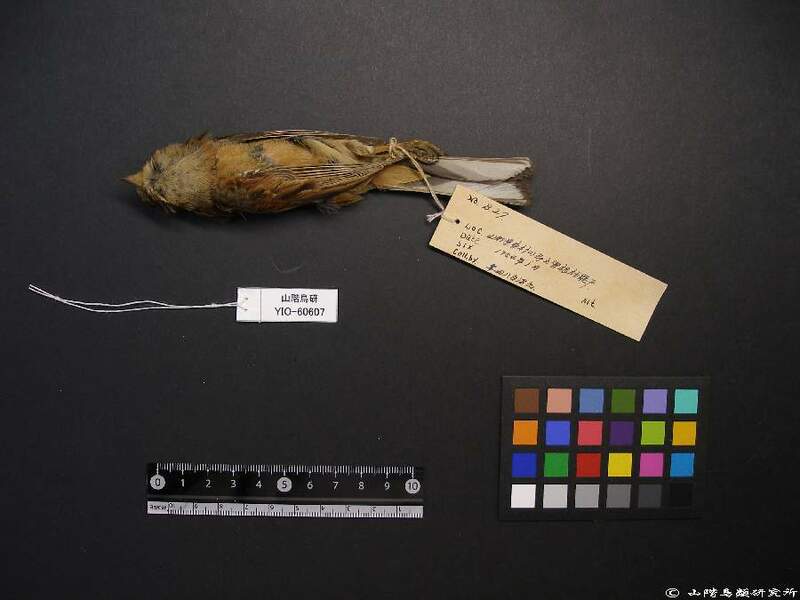 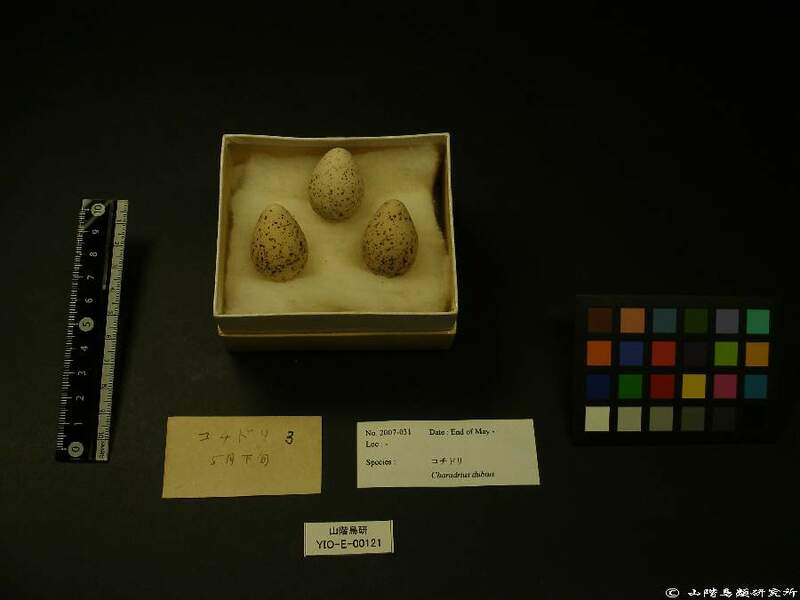 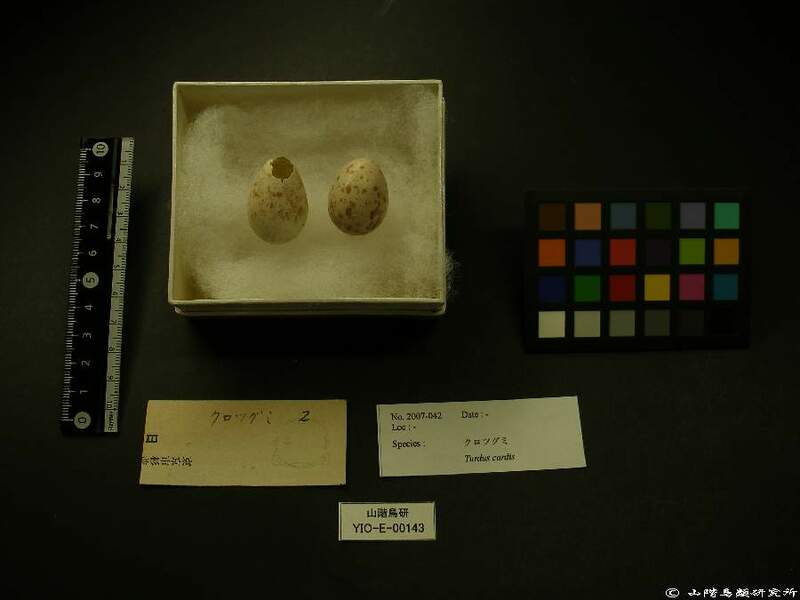 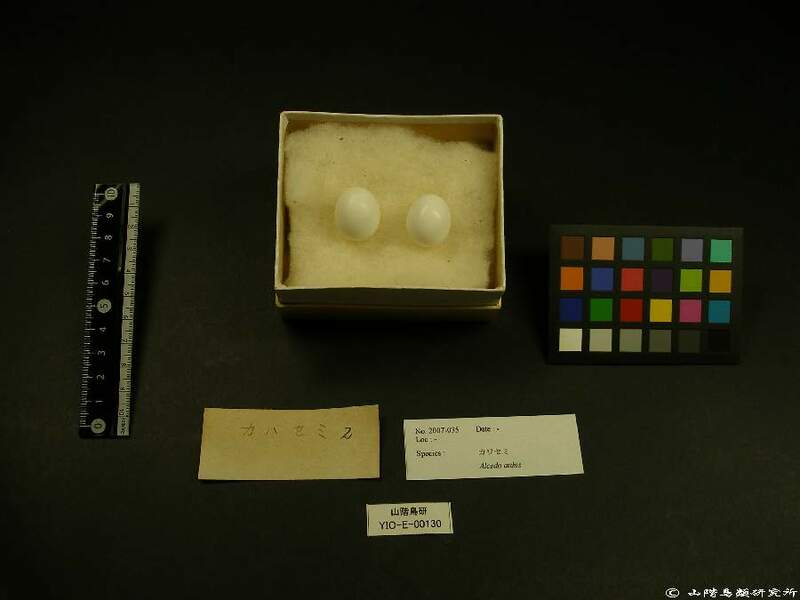 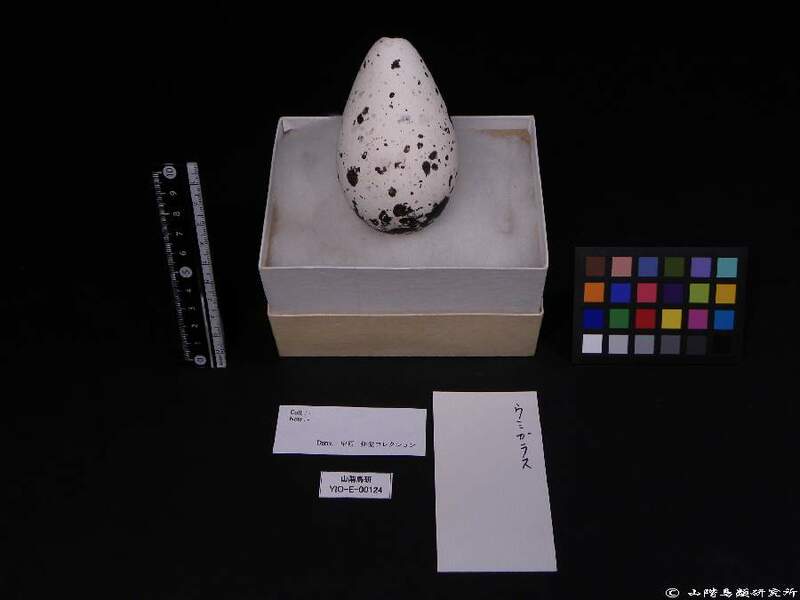 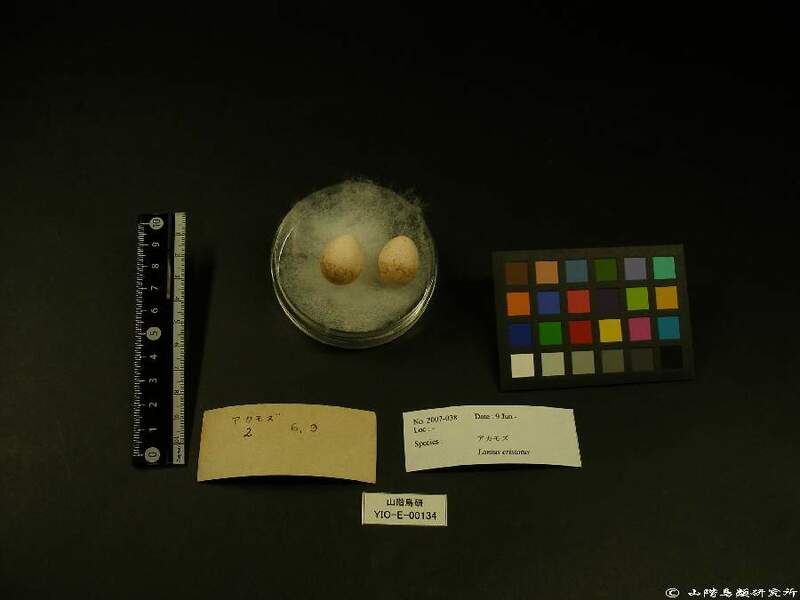 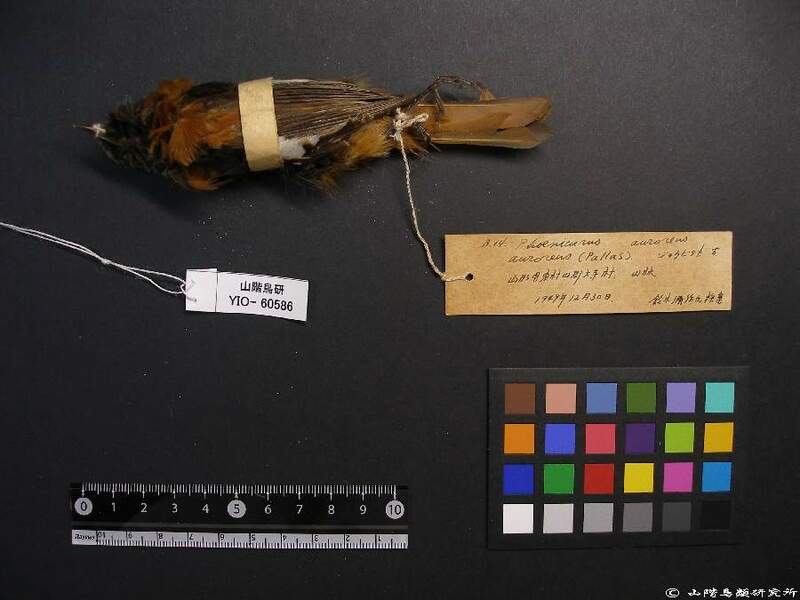 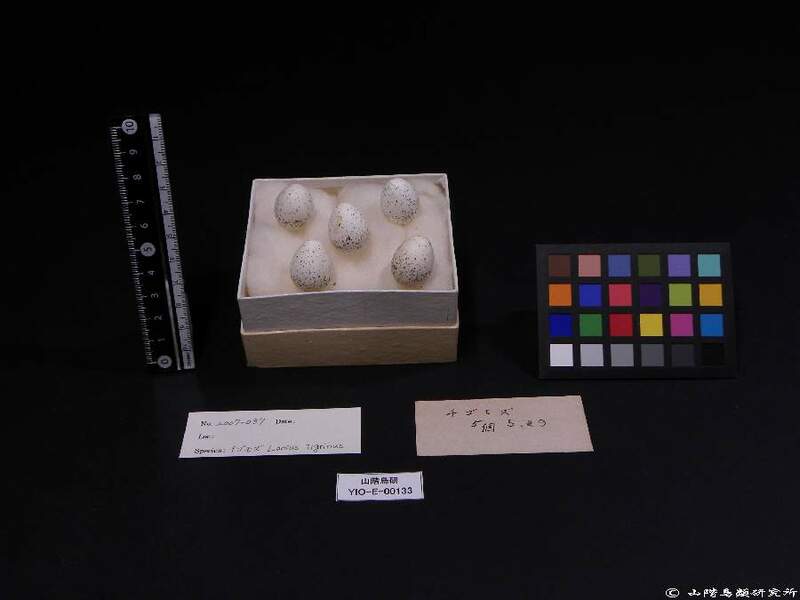 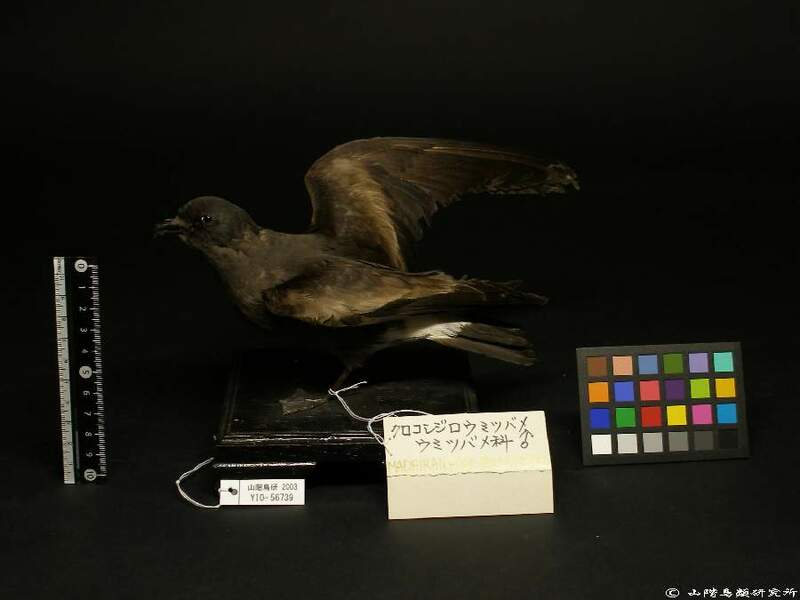 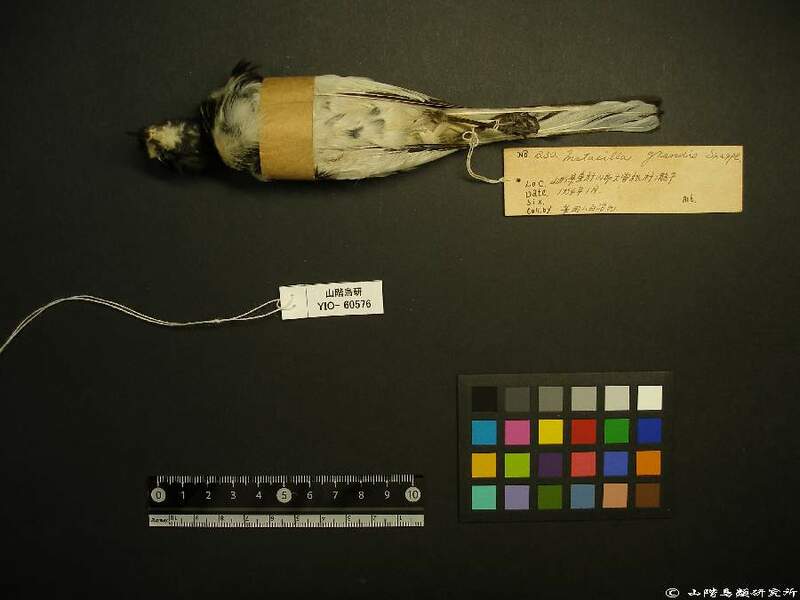 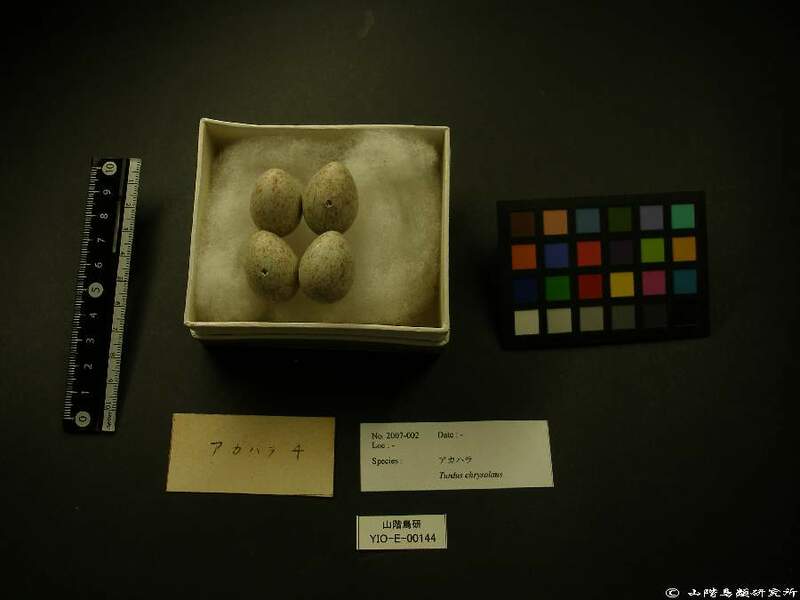 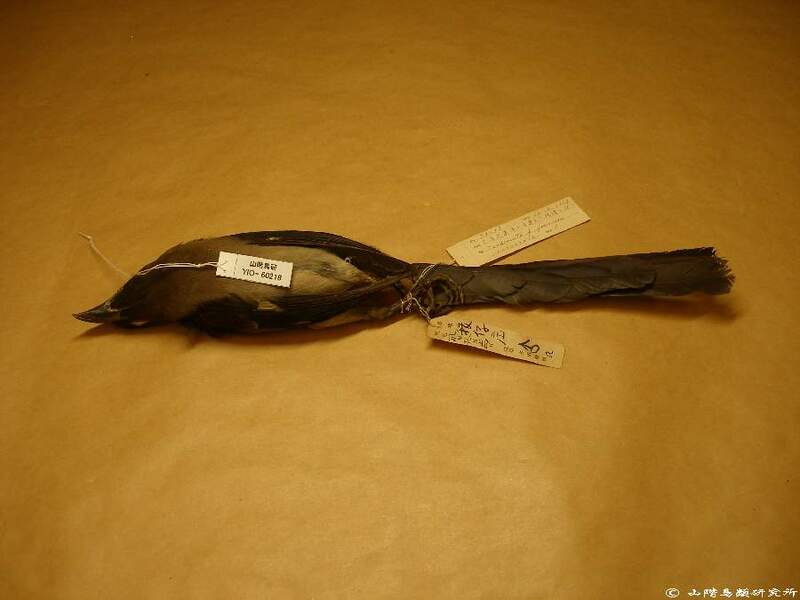 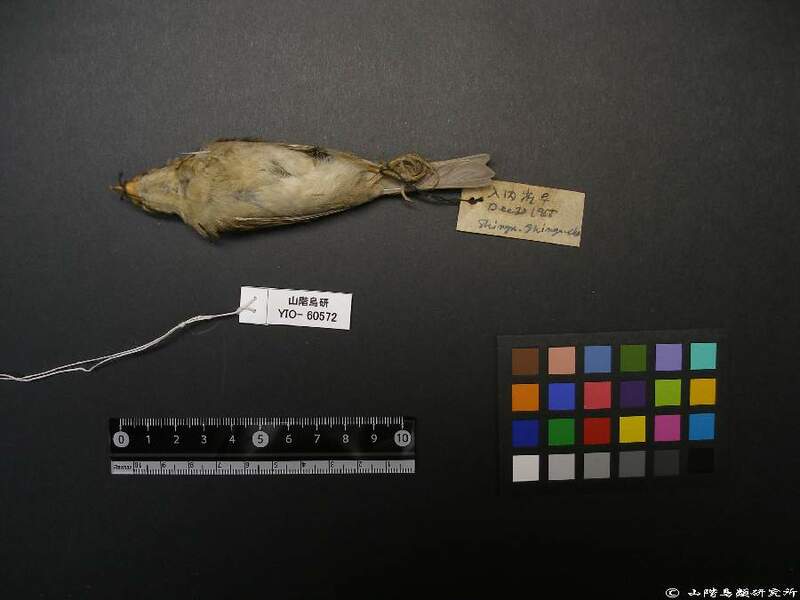 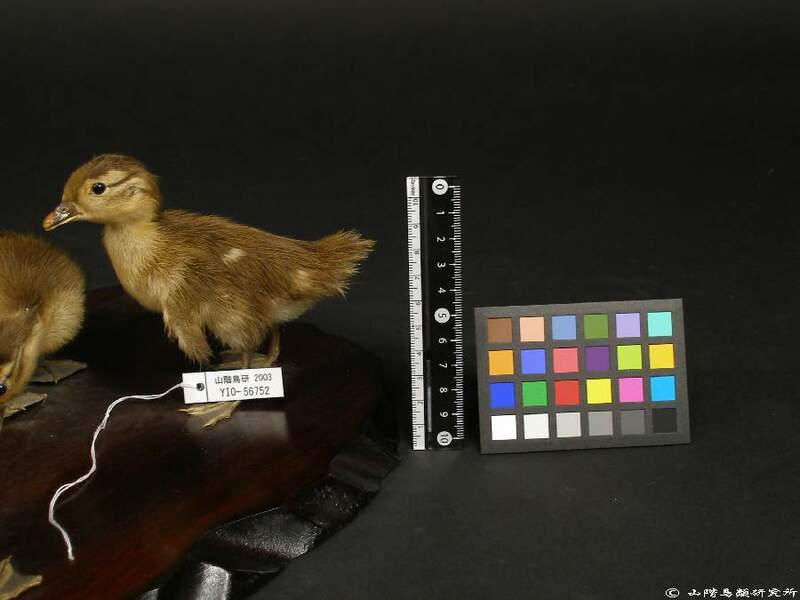 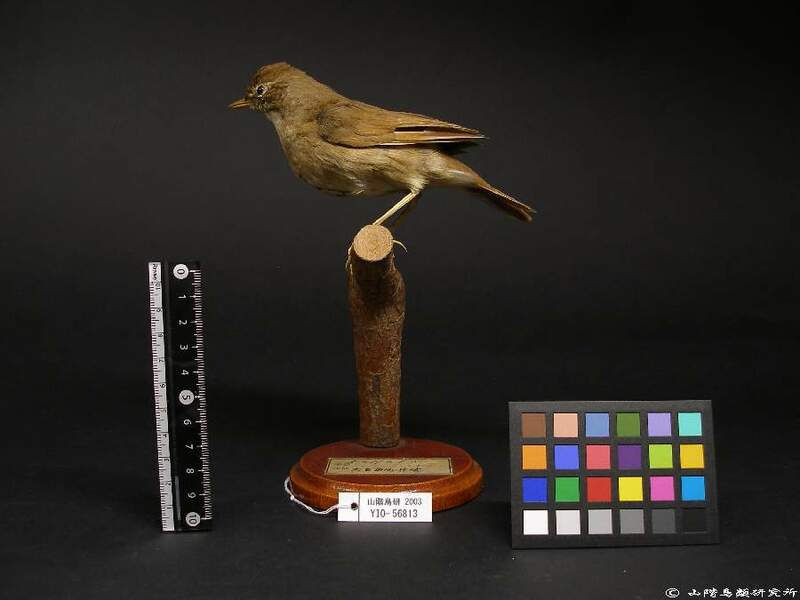 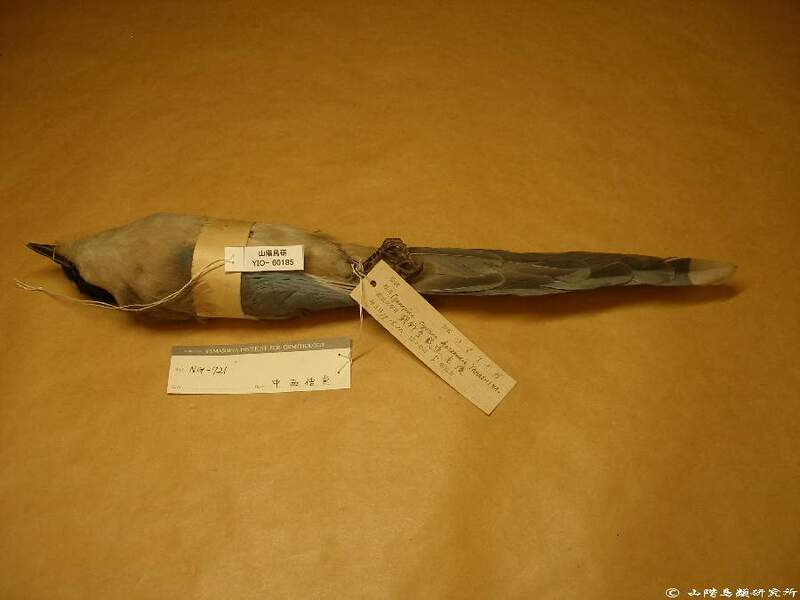 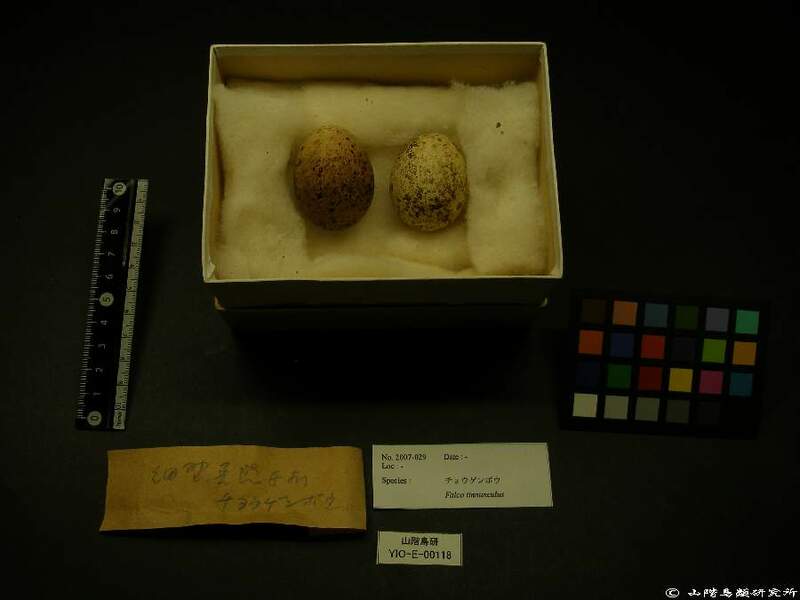 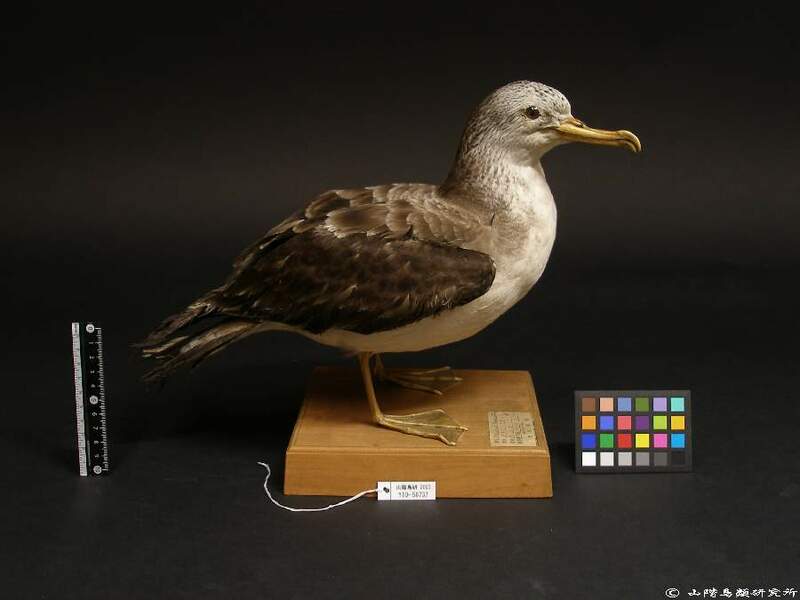 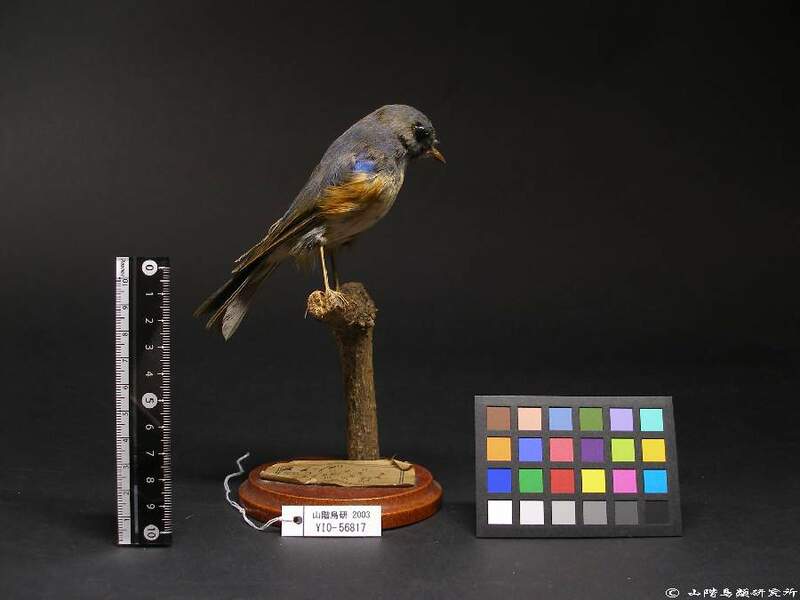 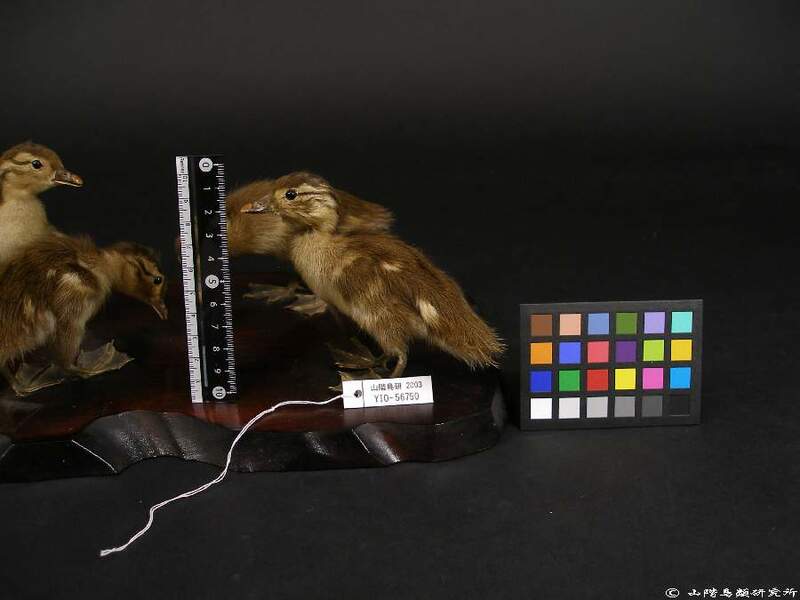 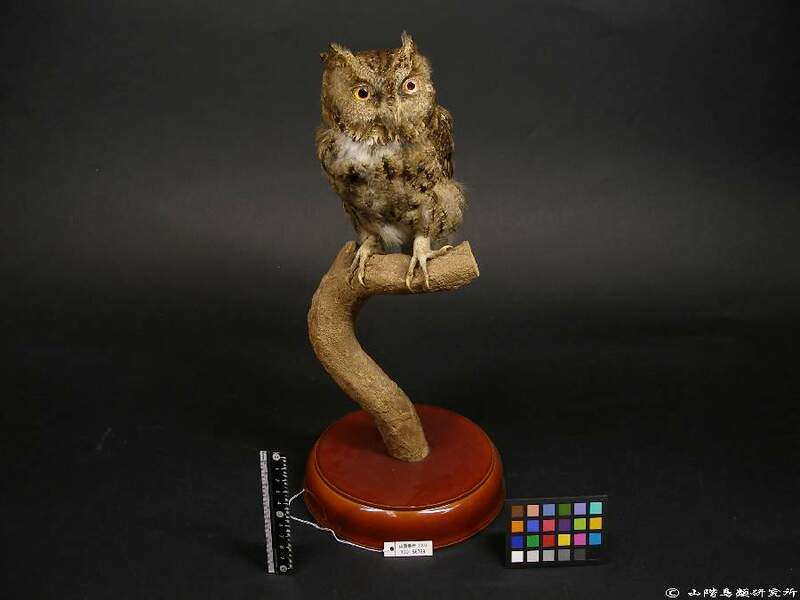 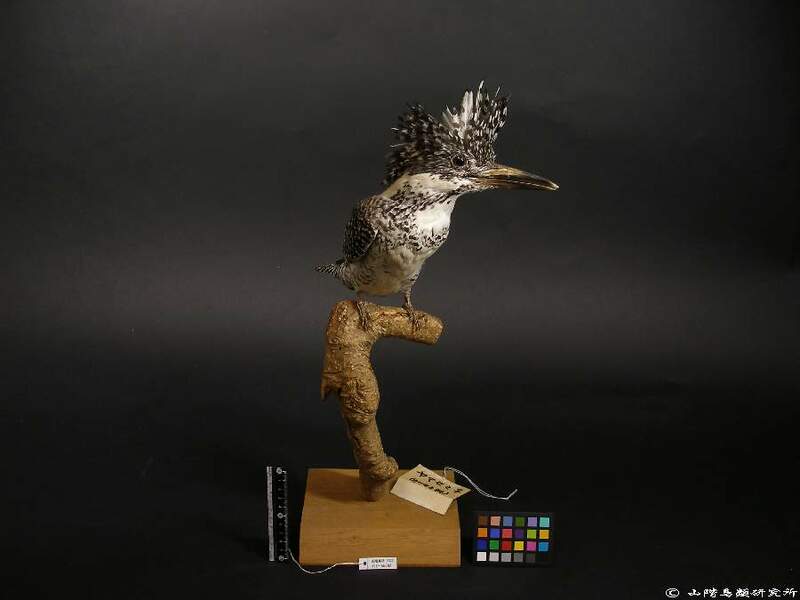 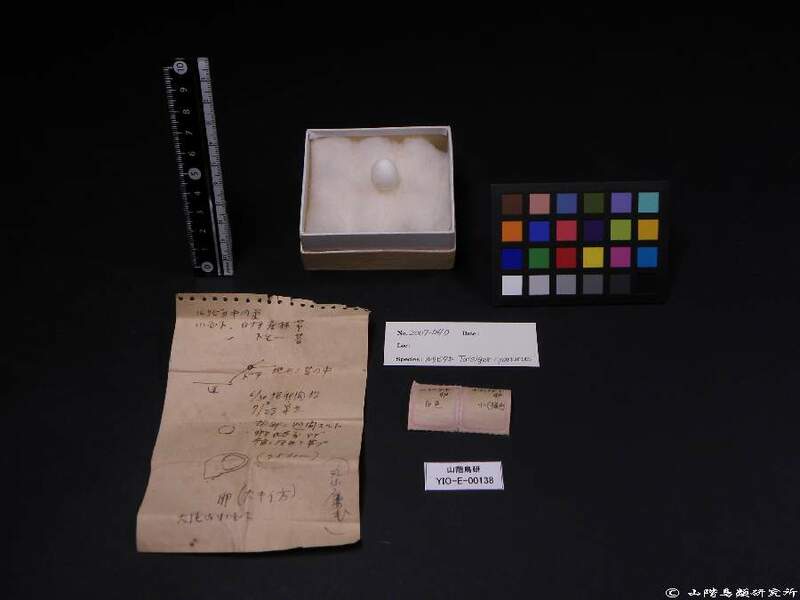 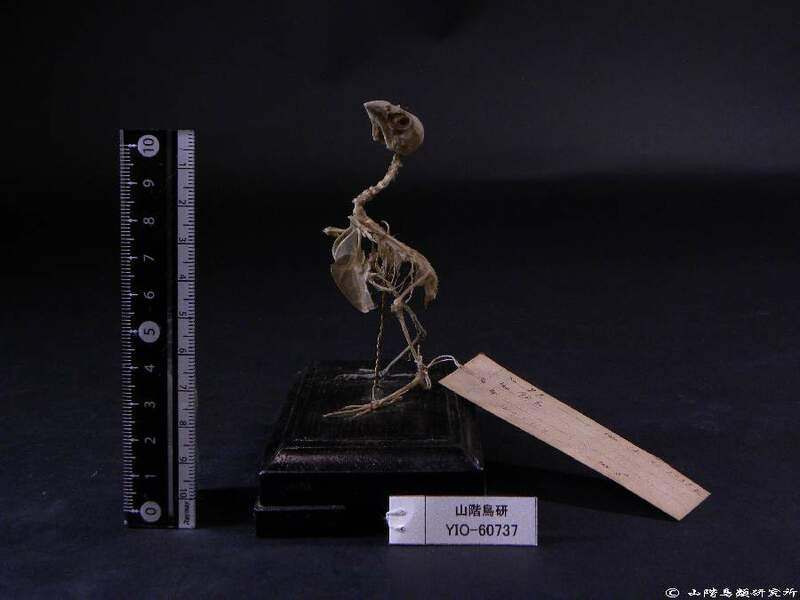 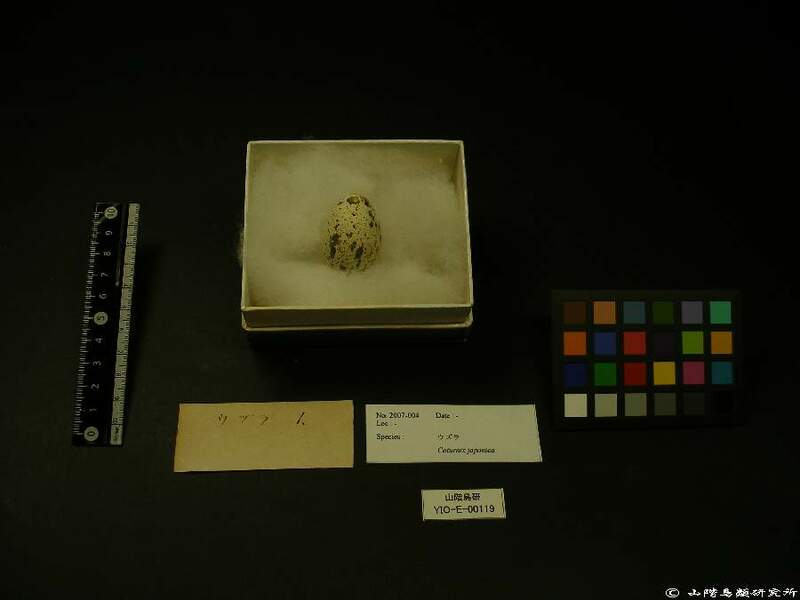 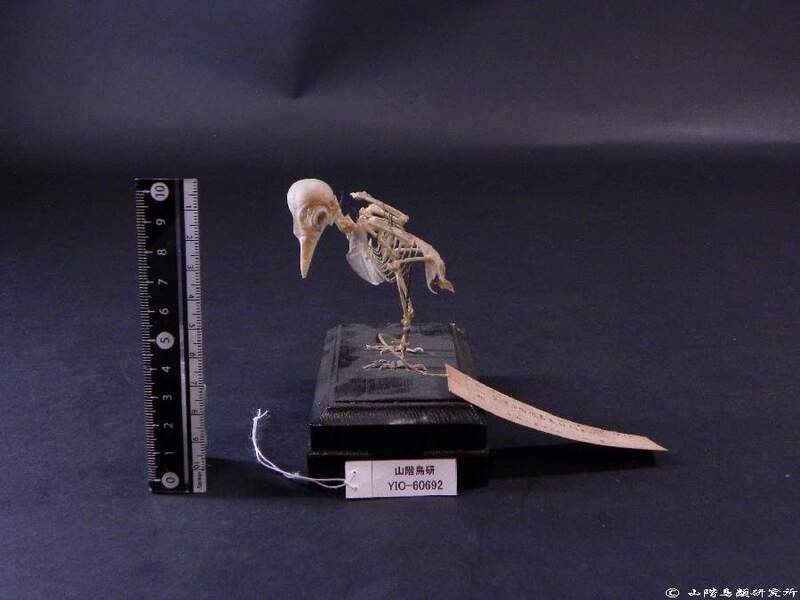 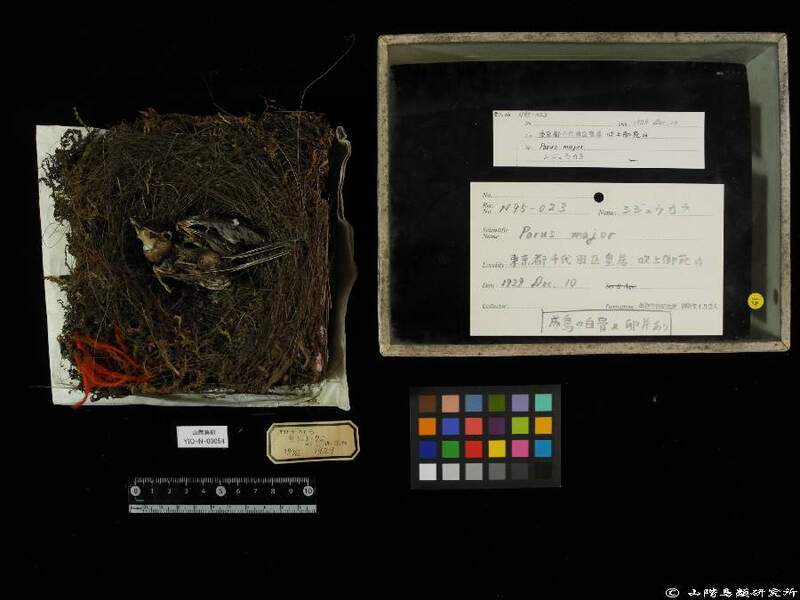 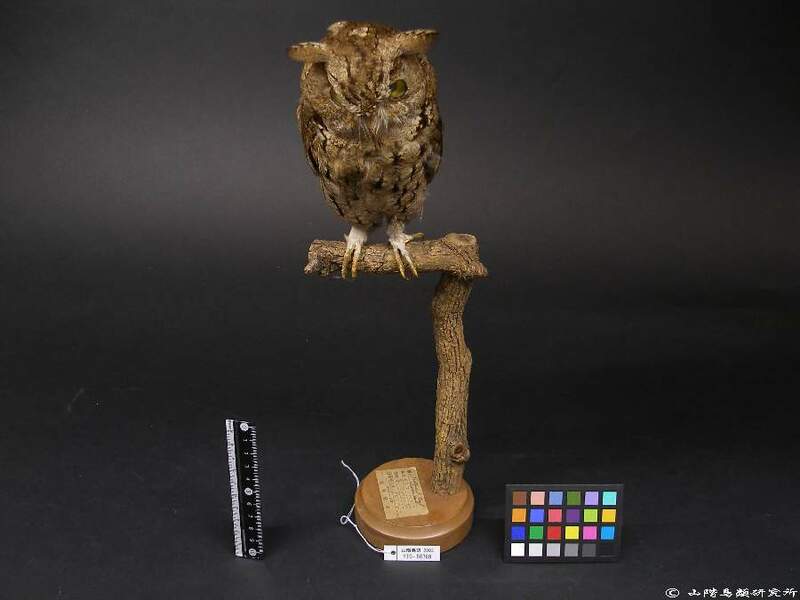 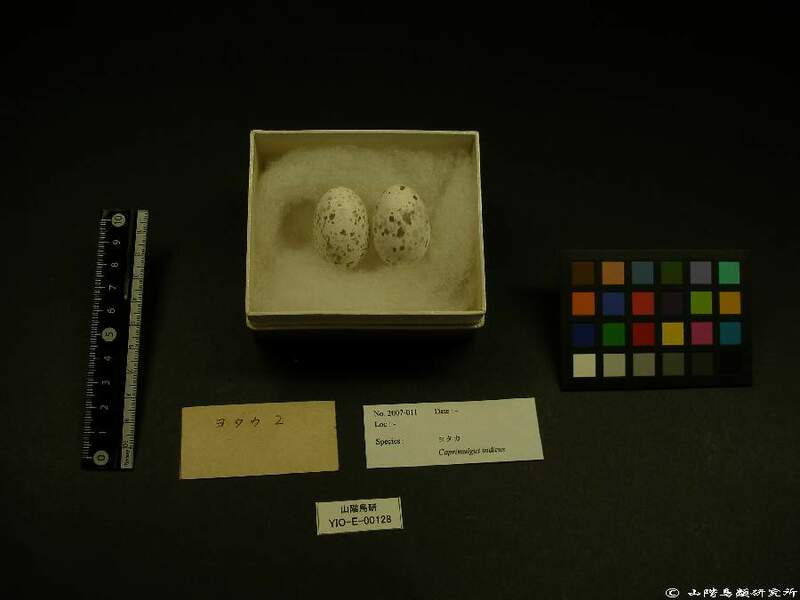 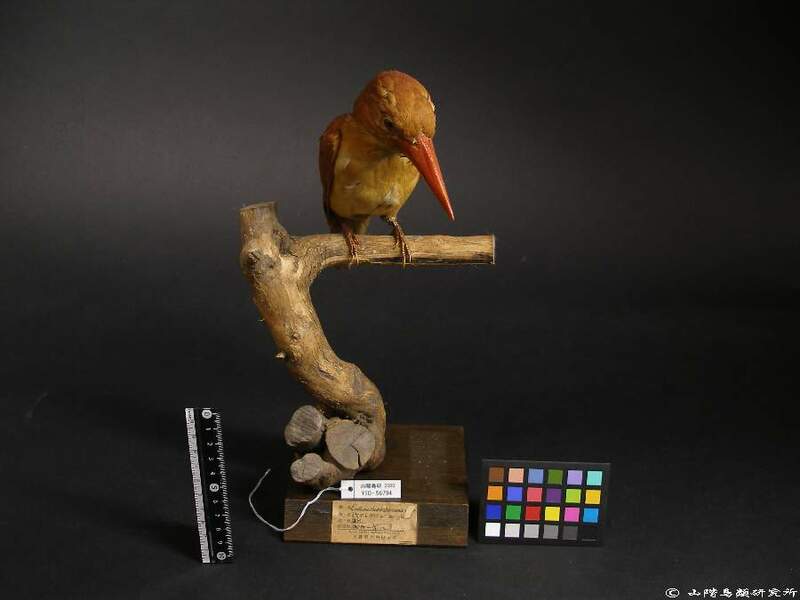 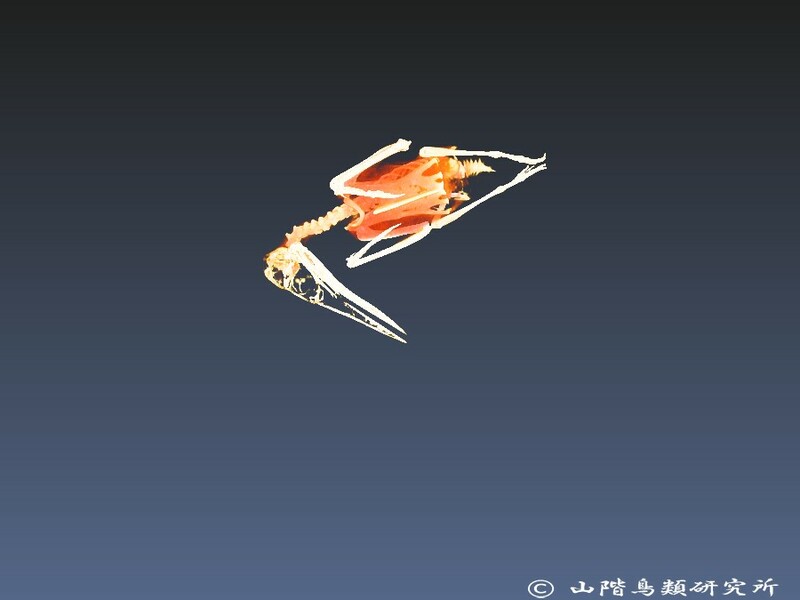 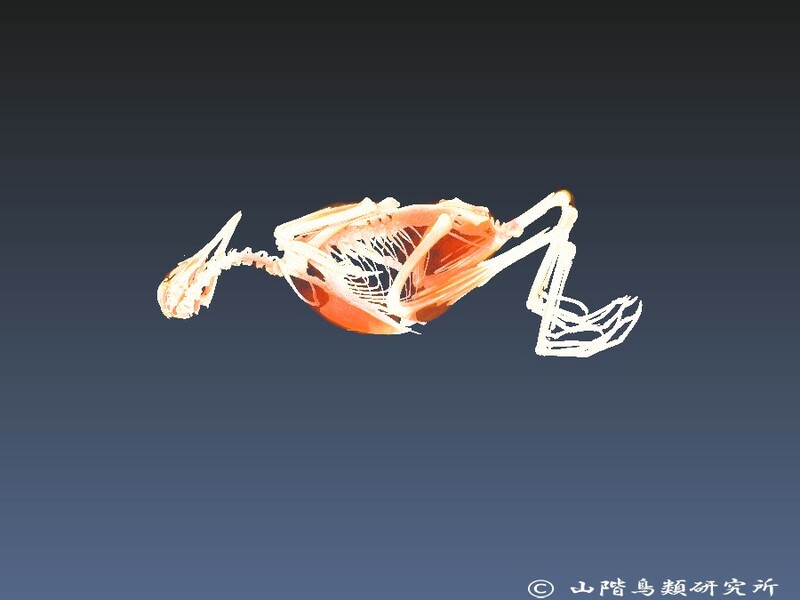 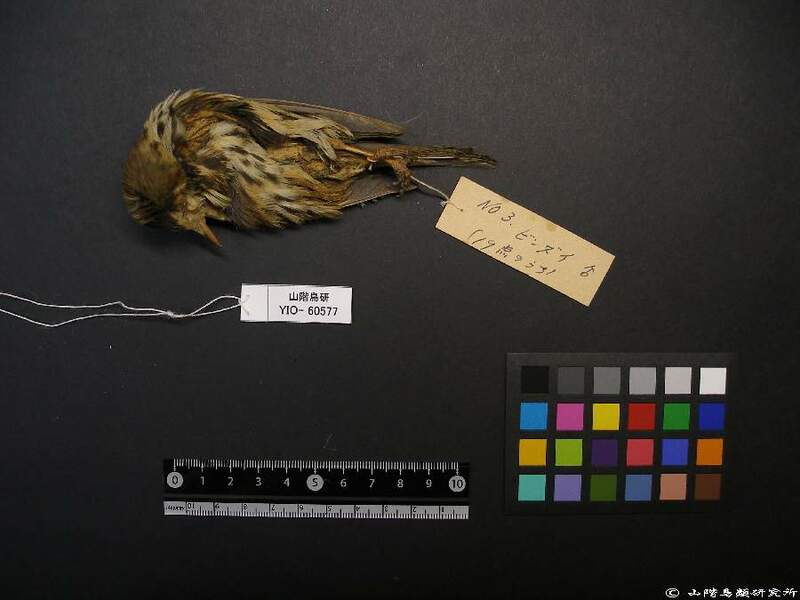 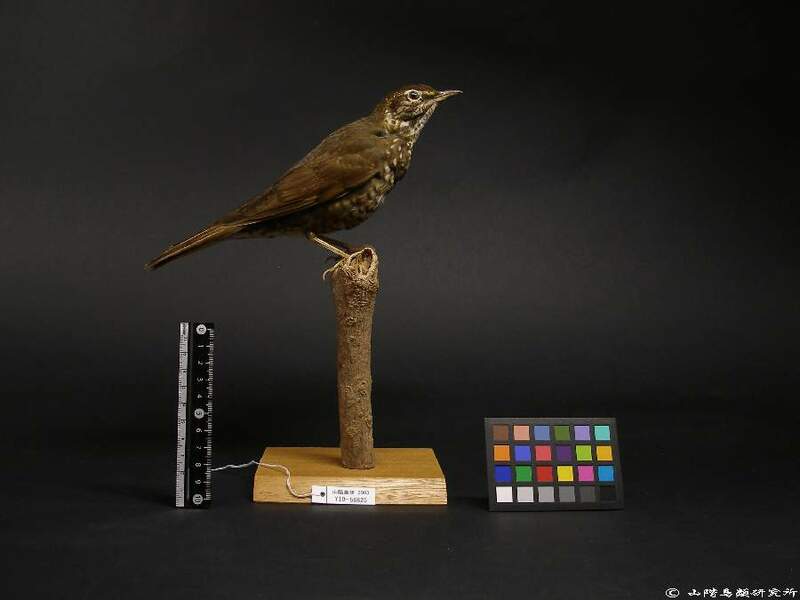 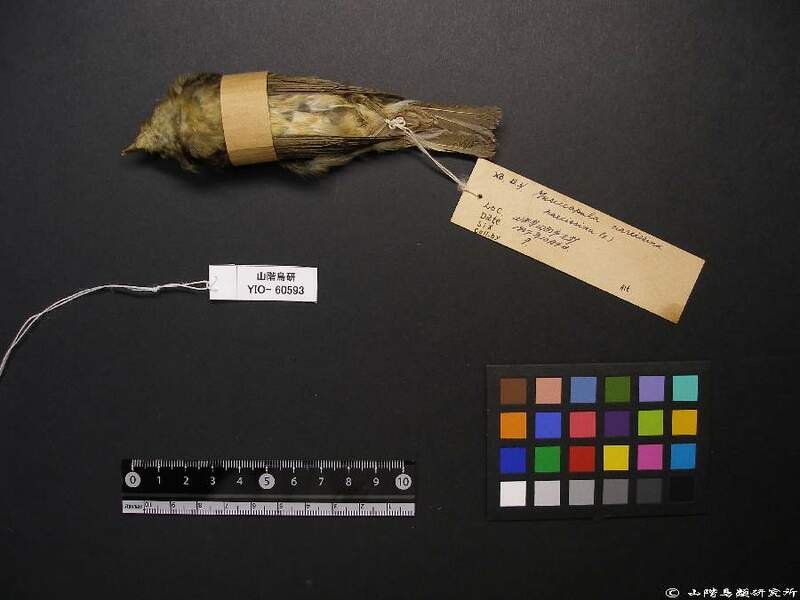 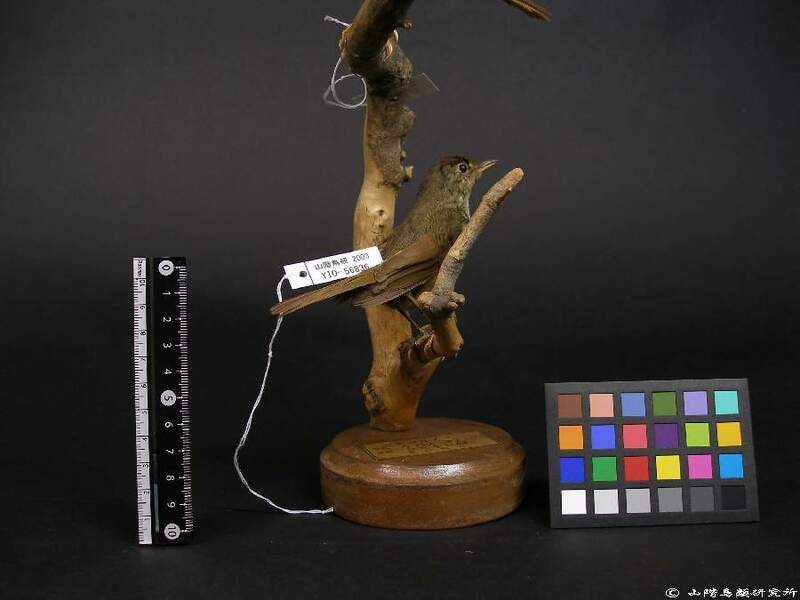 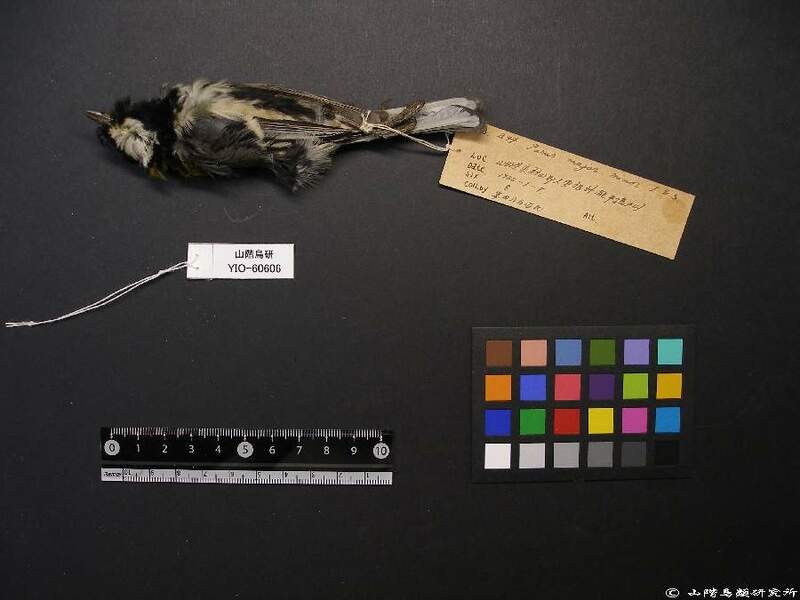 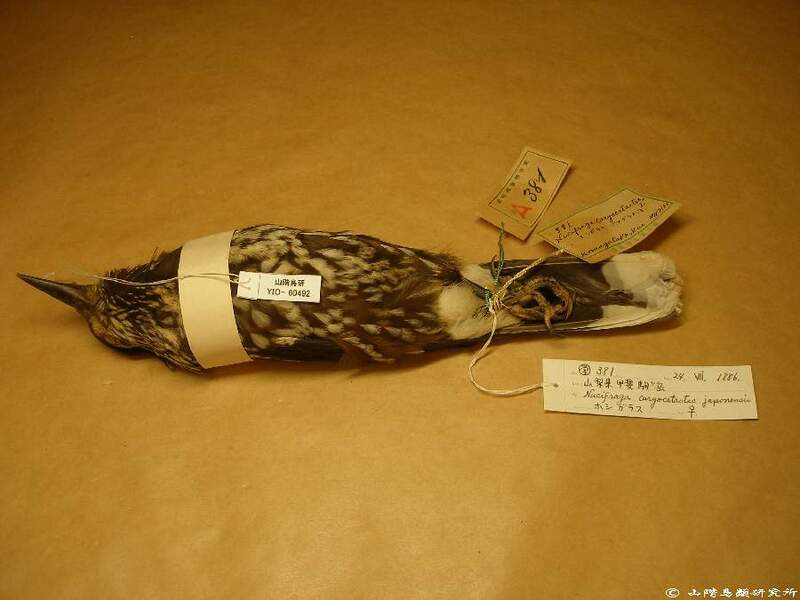 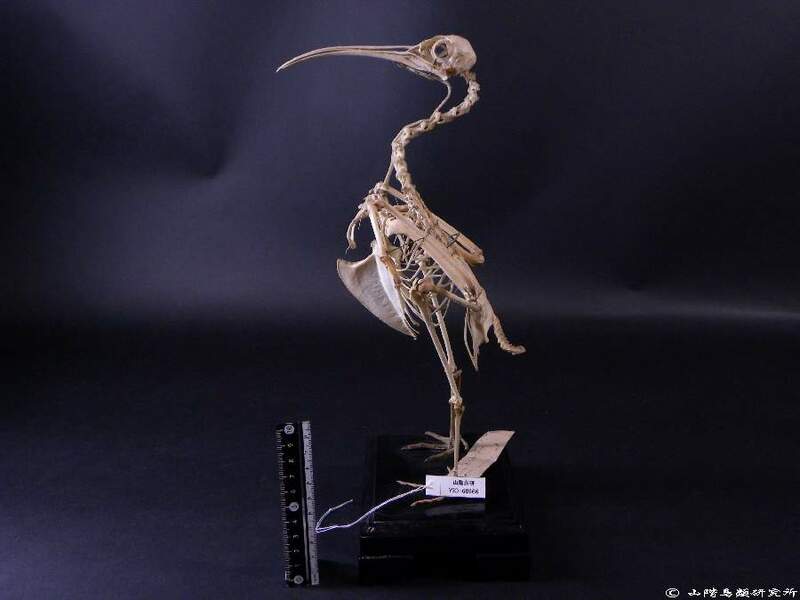 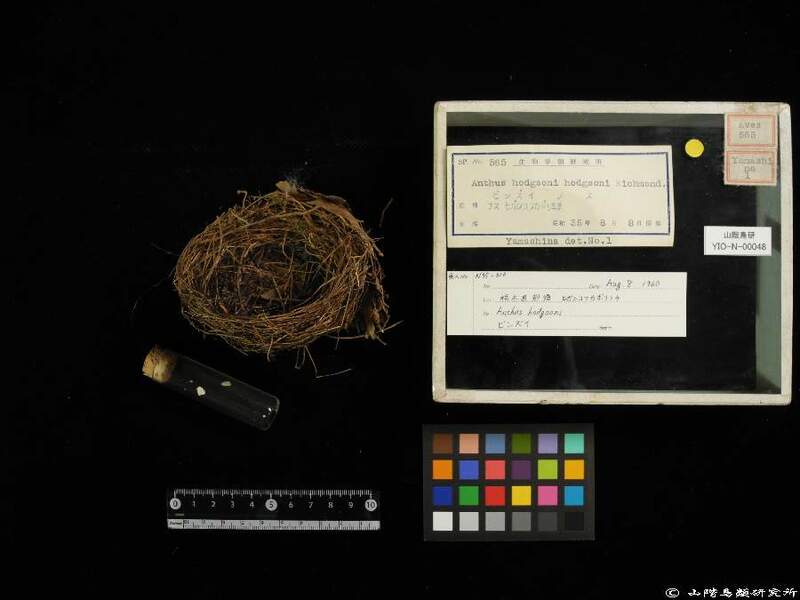 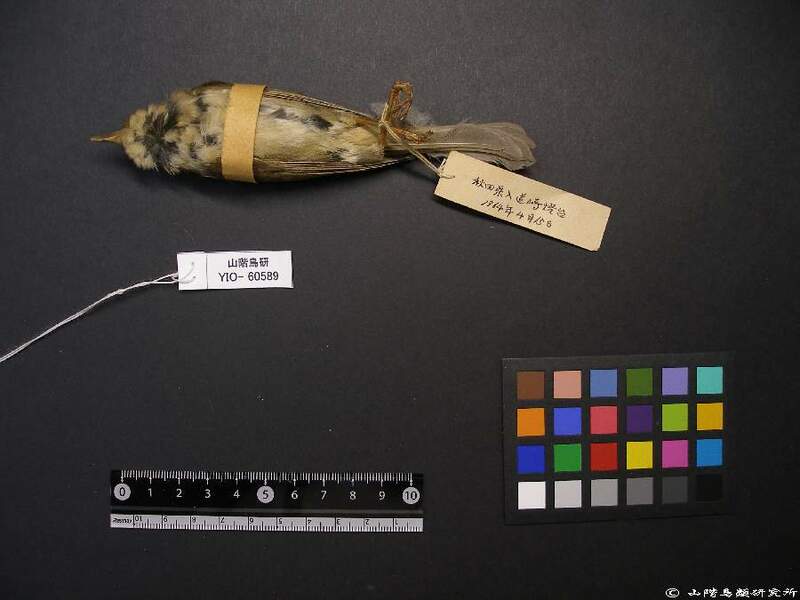 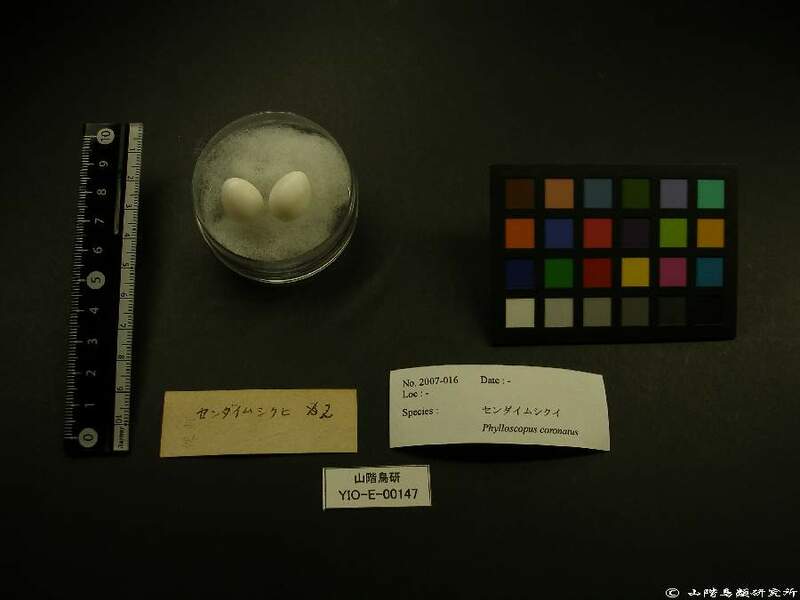 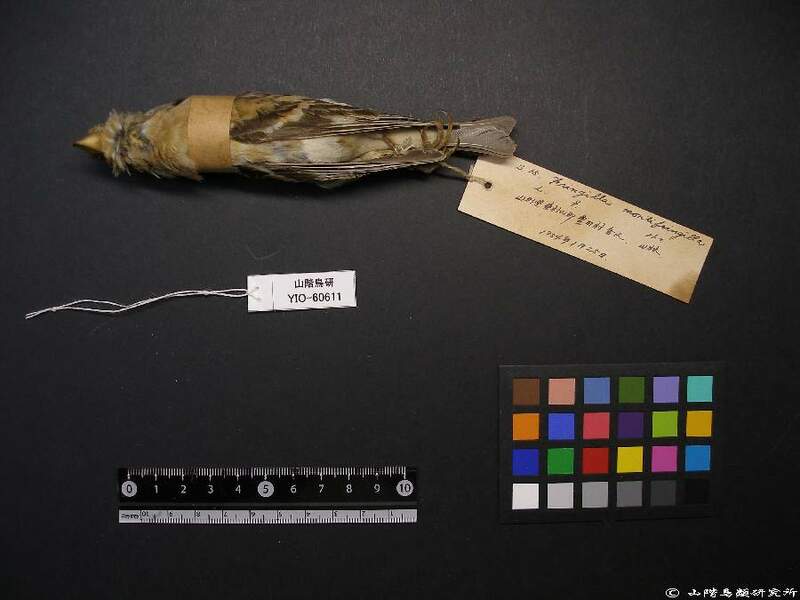 Since 2001, the YIO has been supported by the Japanese Ministry of Education, Culture, Sports, Science, and Technology; the funds provided by the Ministry have been used to order, label, and photograph the specimens, as well as to record specimen descriptions. 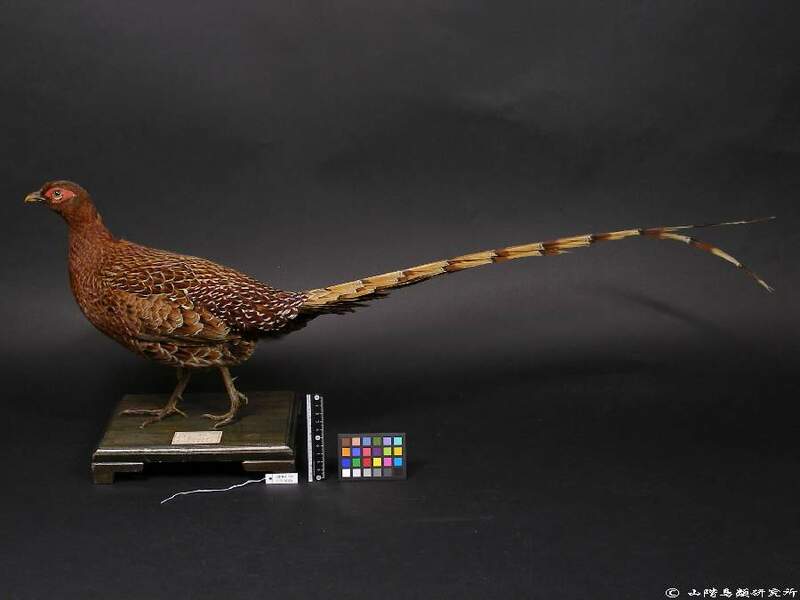 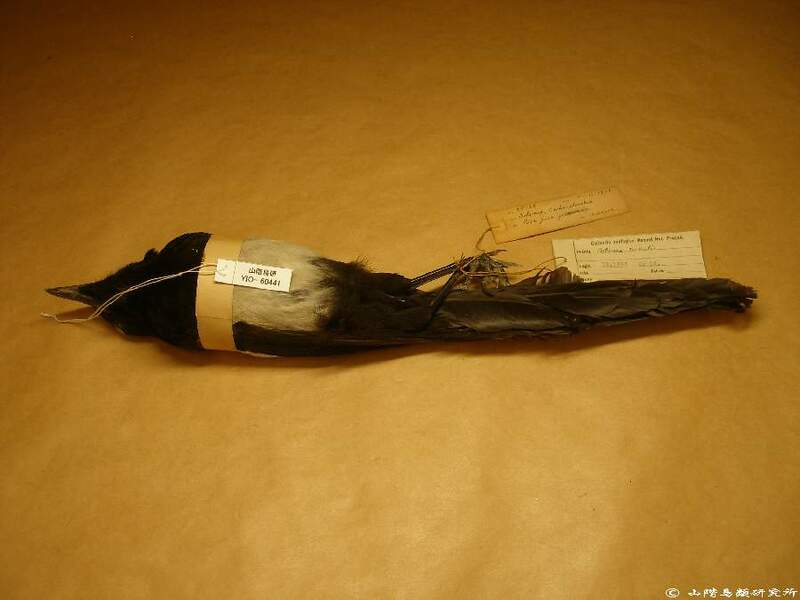 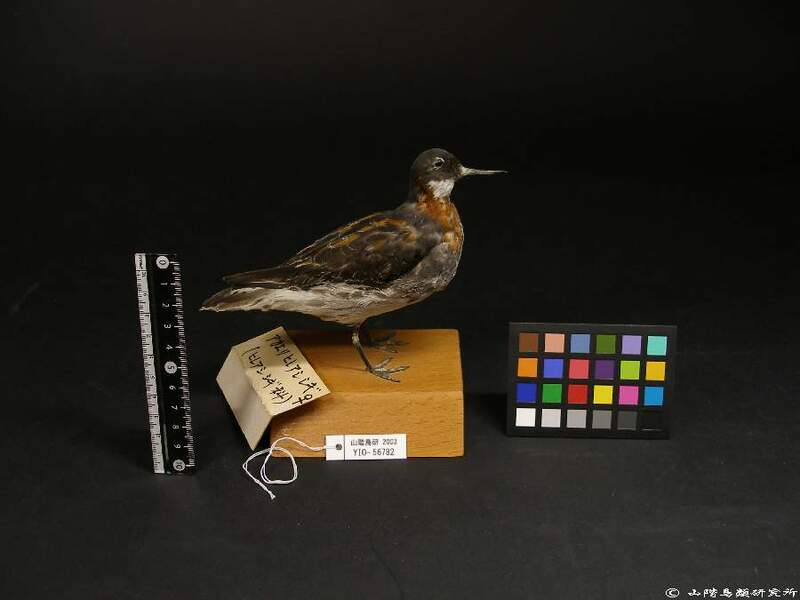 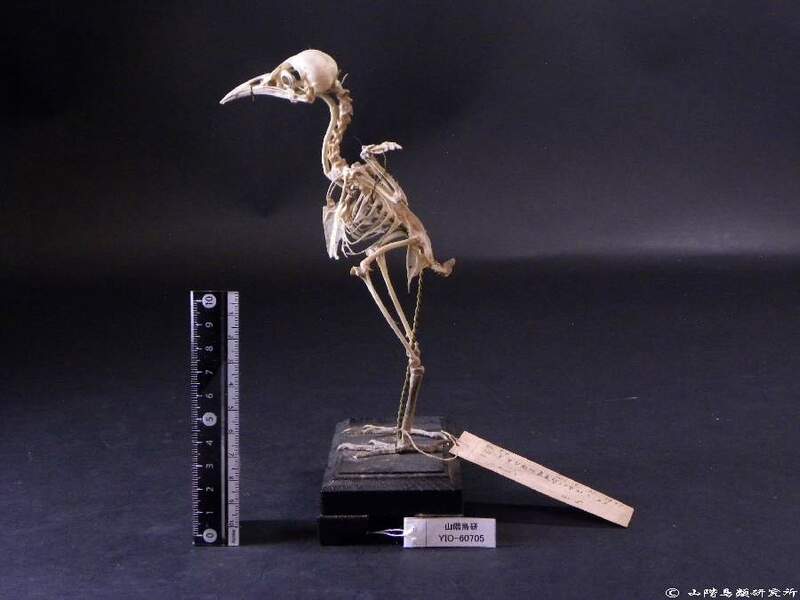 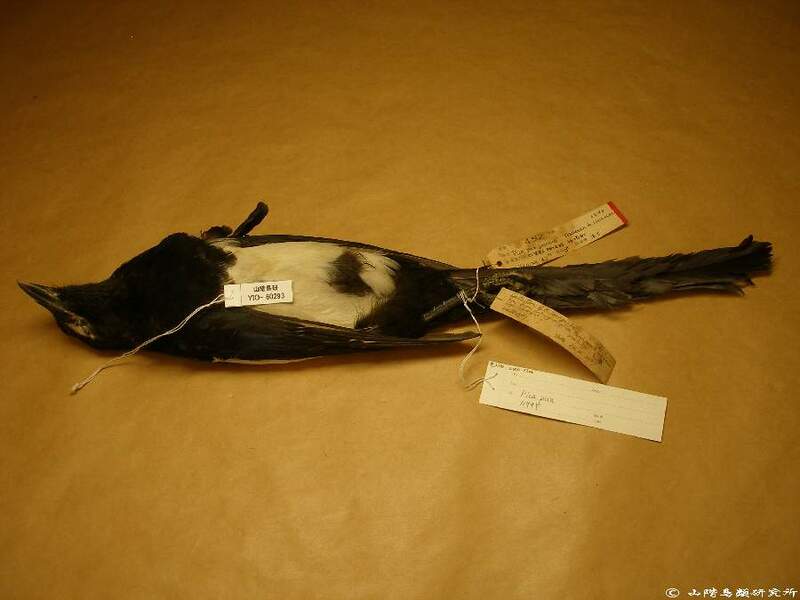 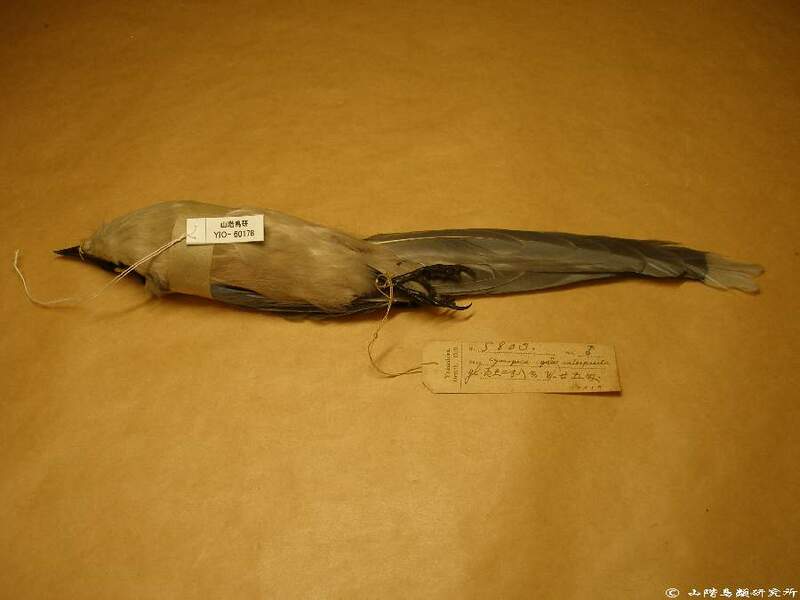 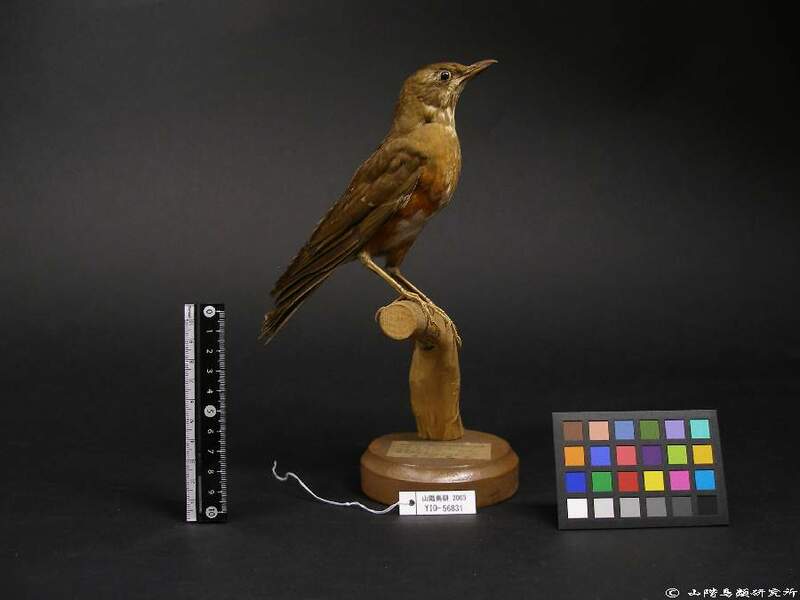 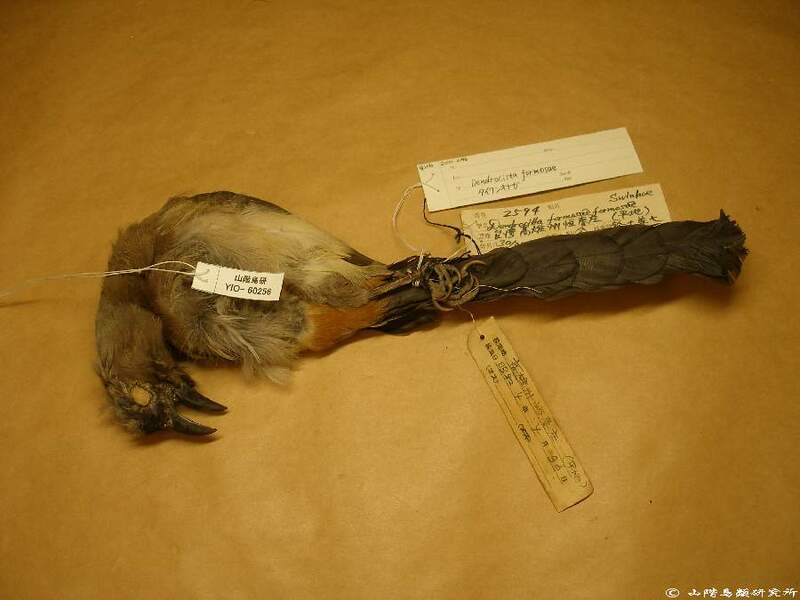 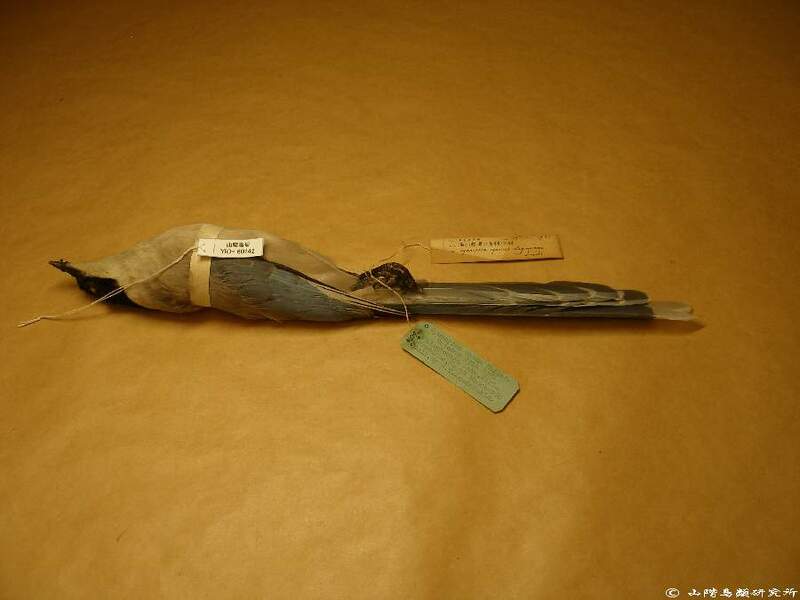 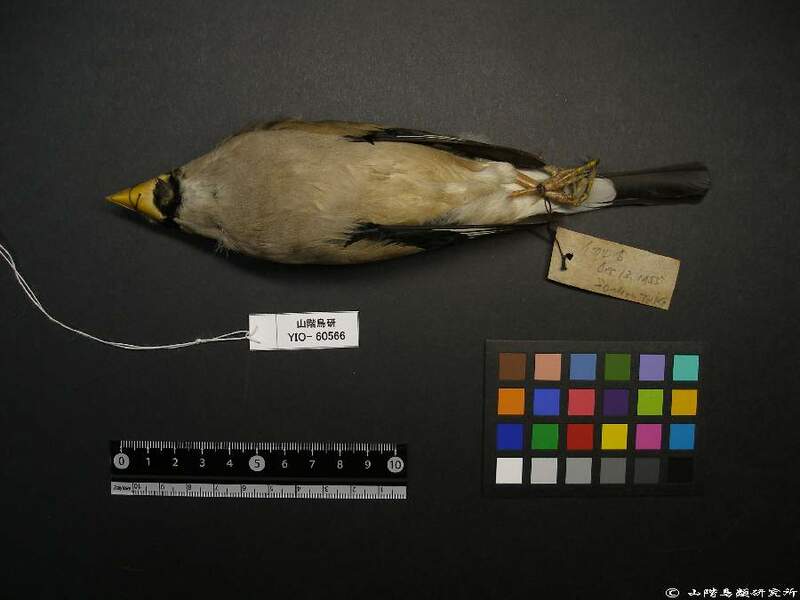 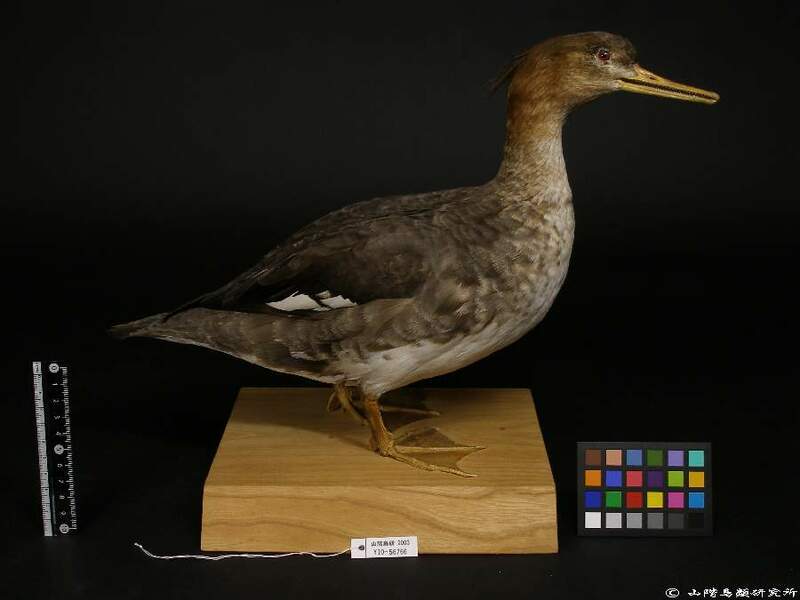 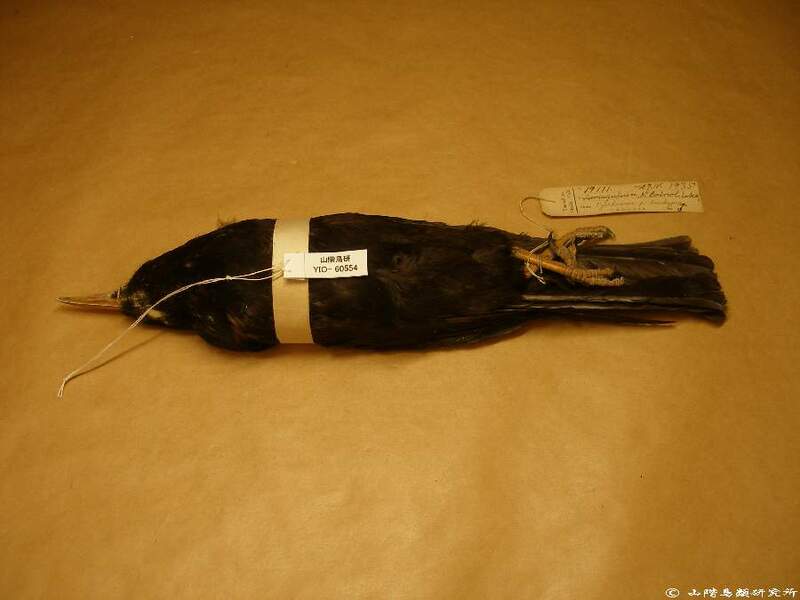 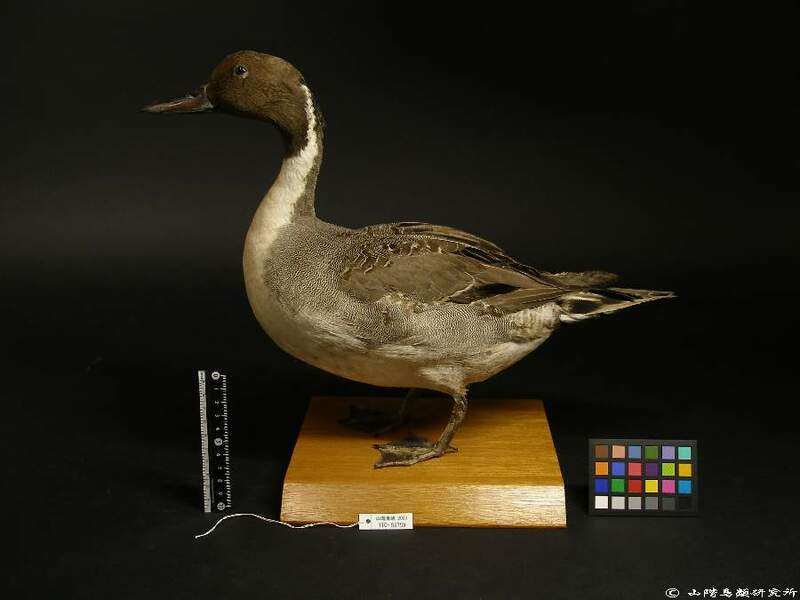 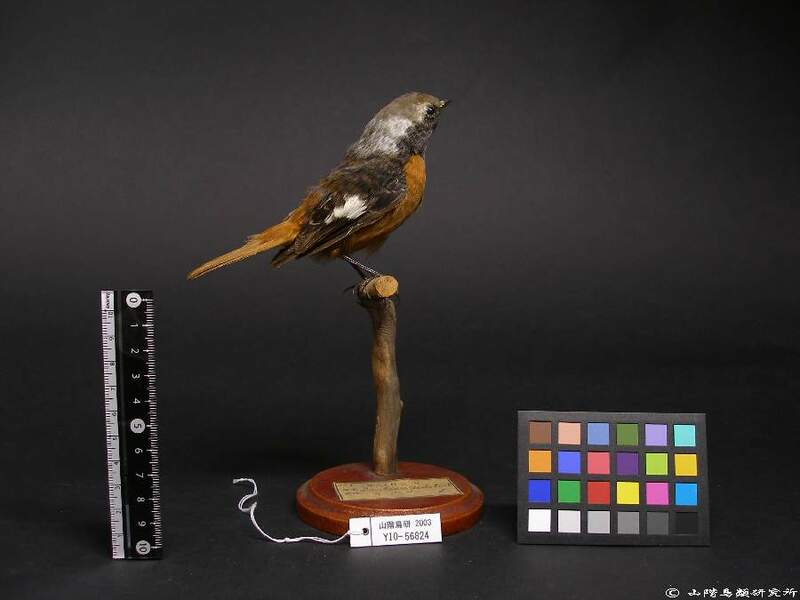 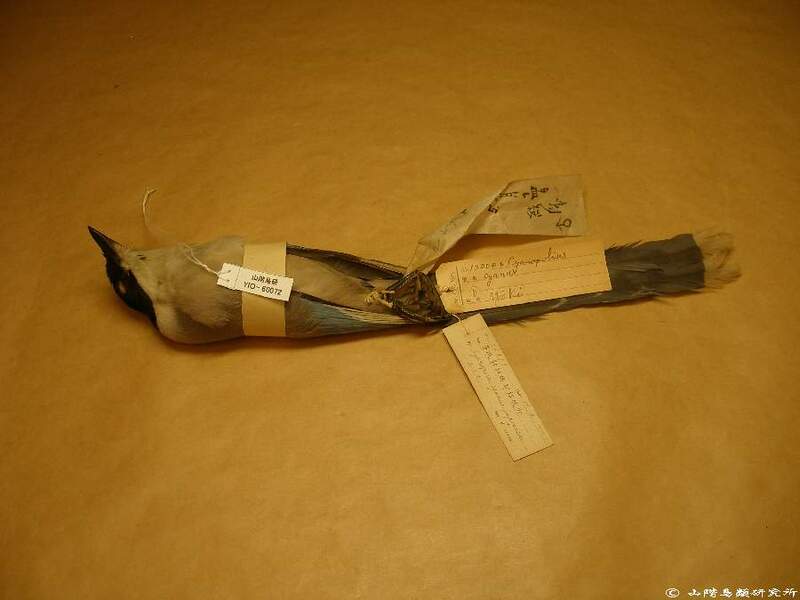 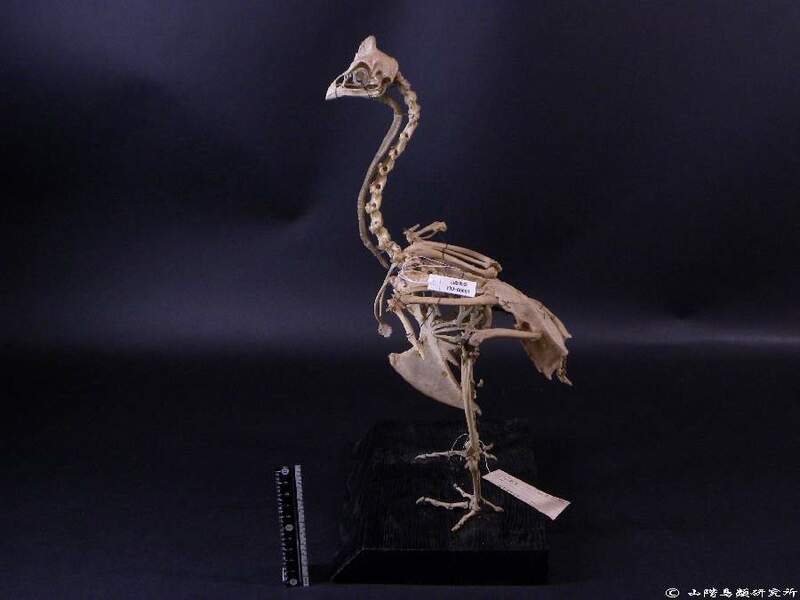 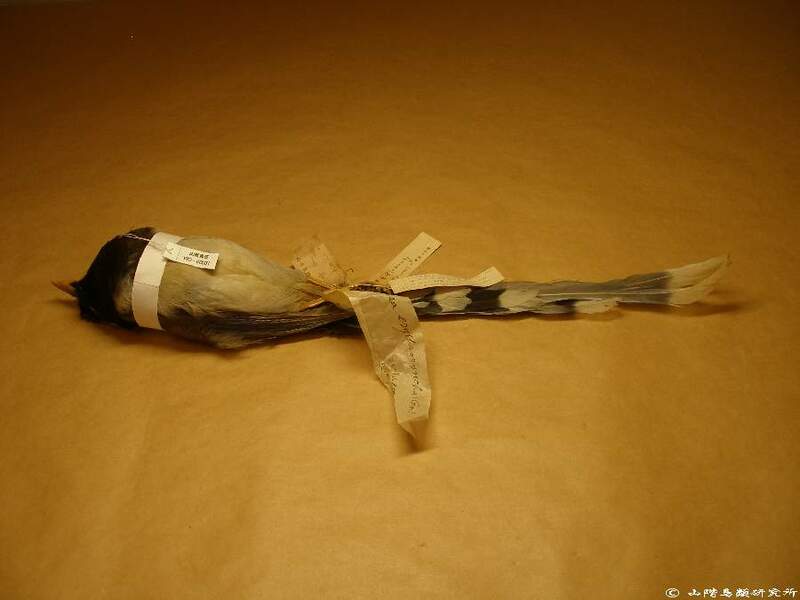 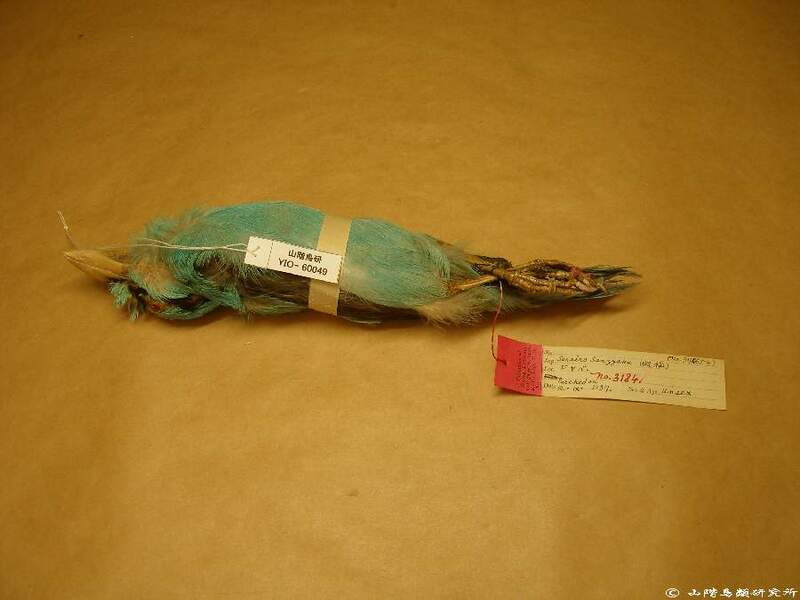 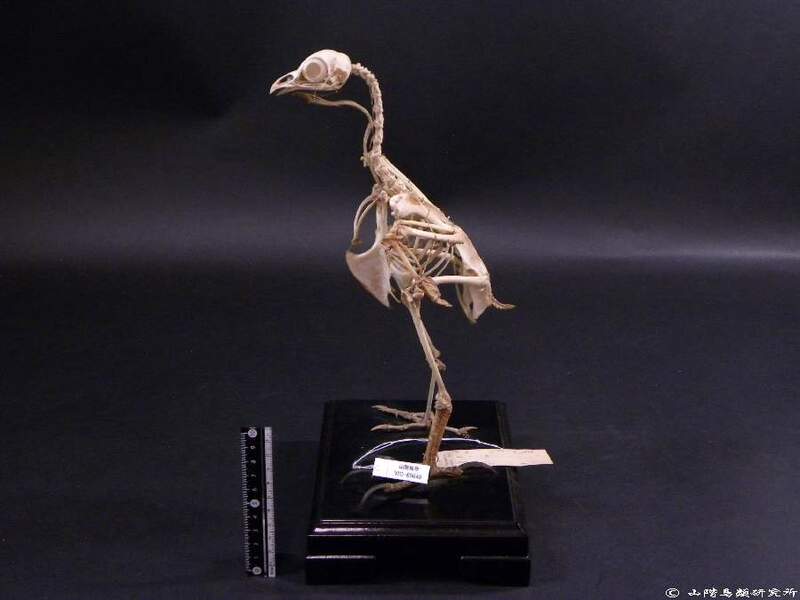 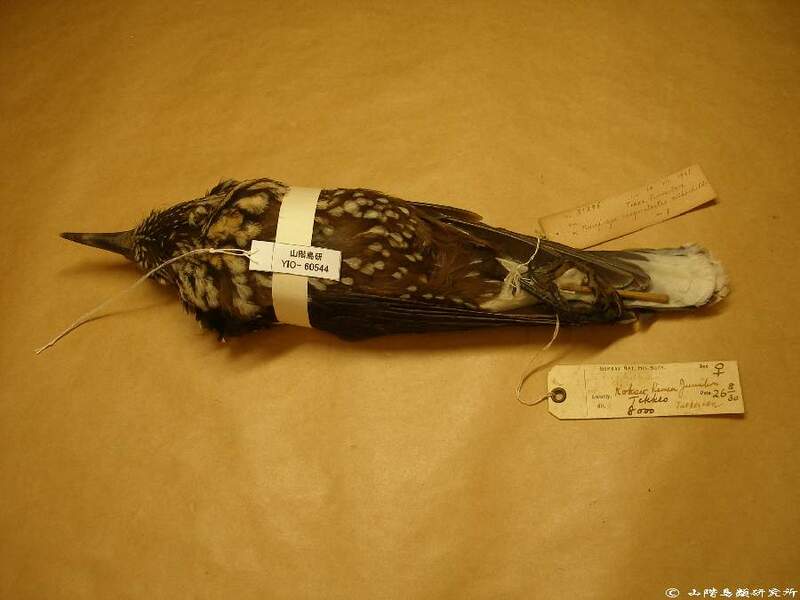 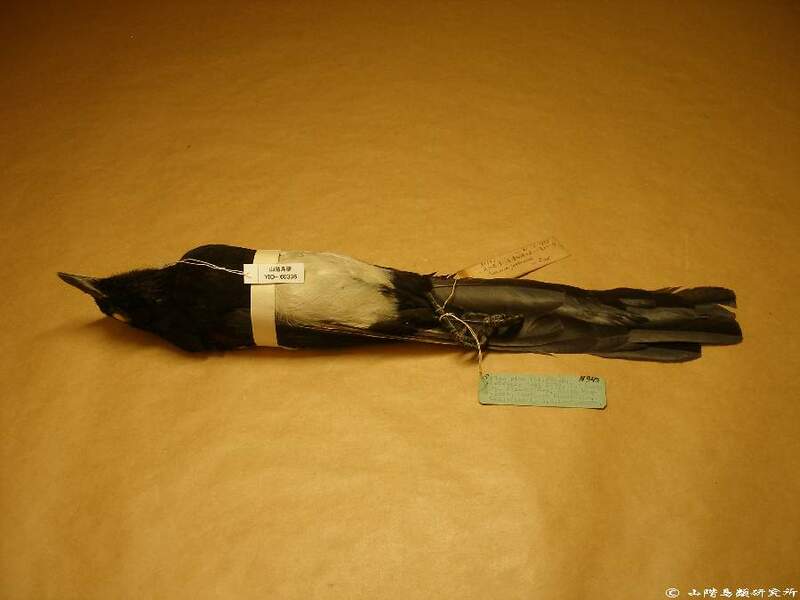 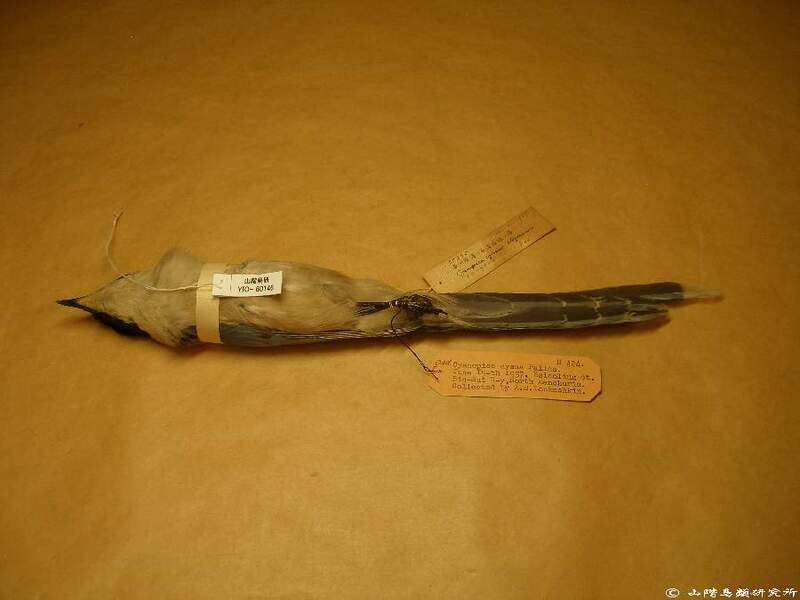 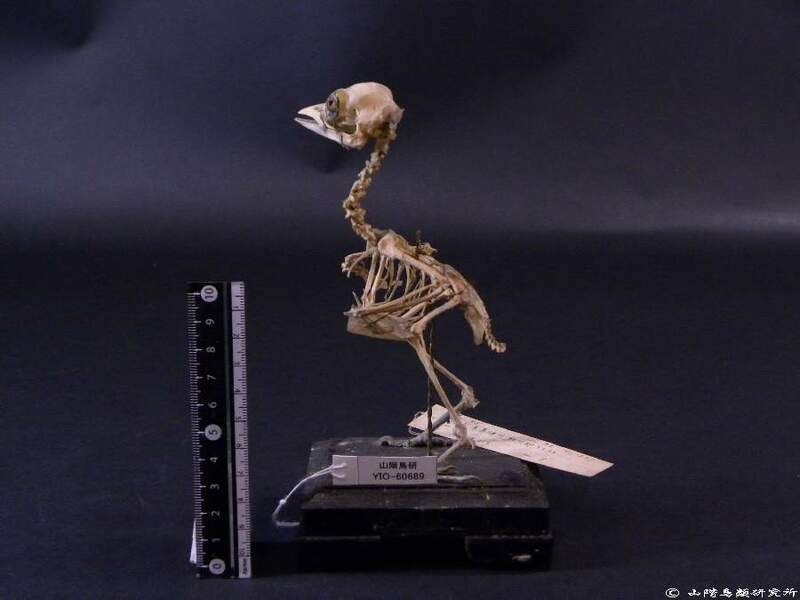 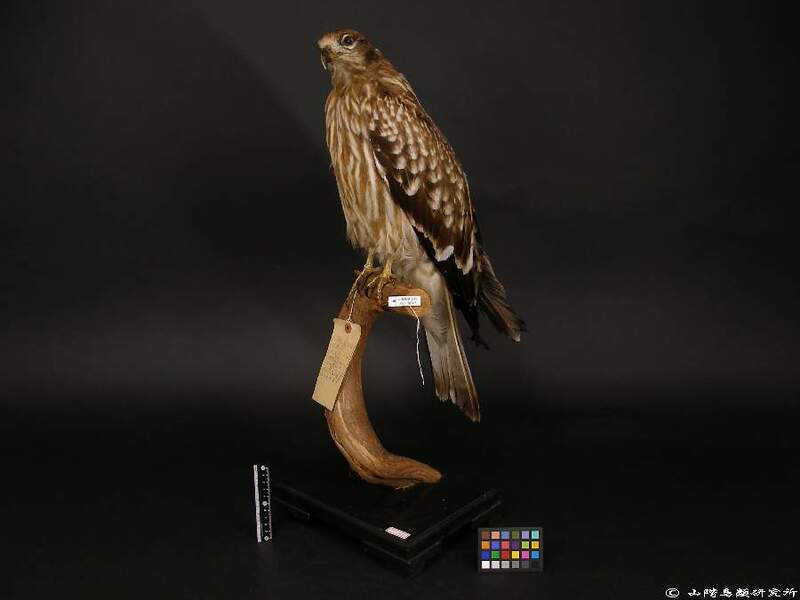 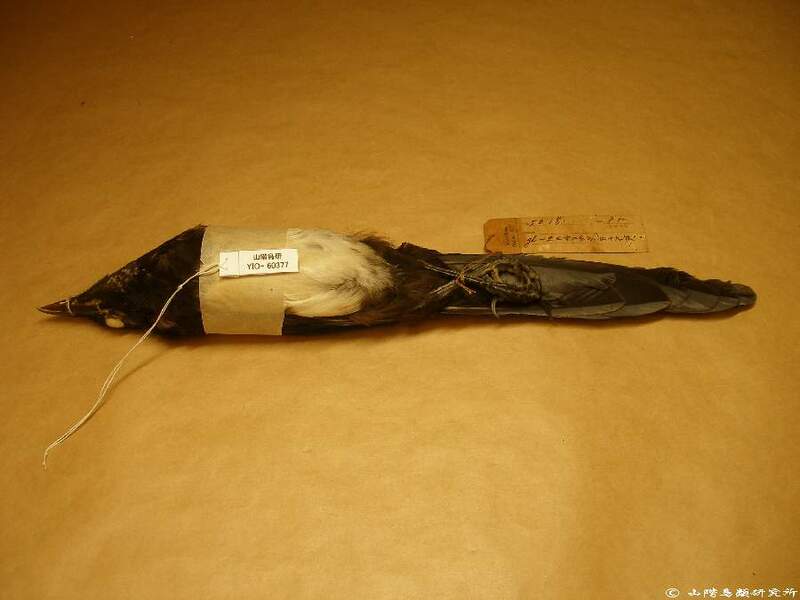 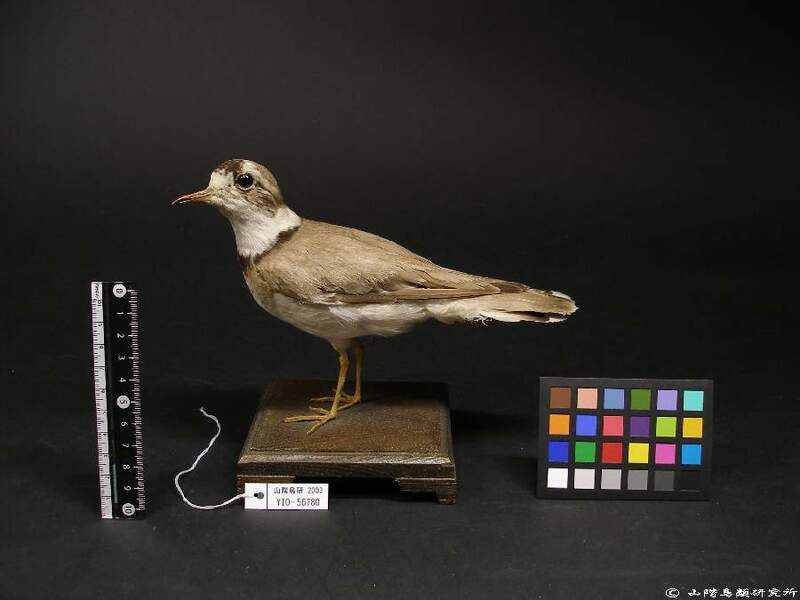 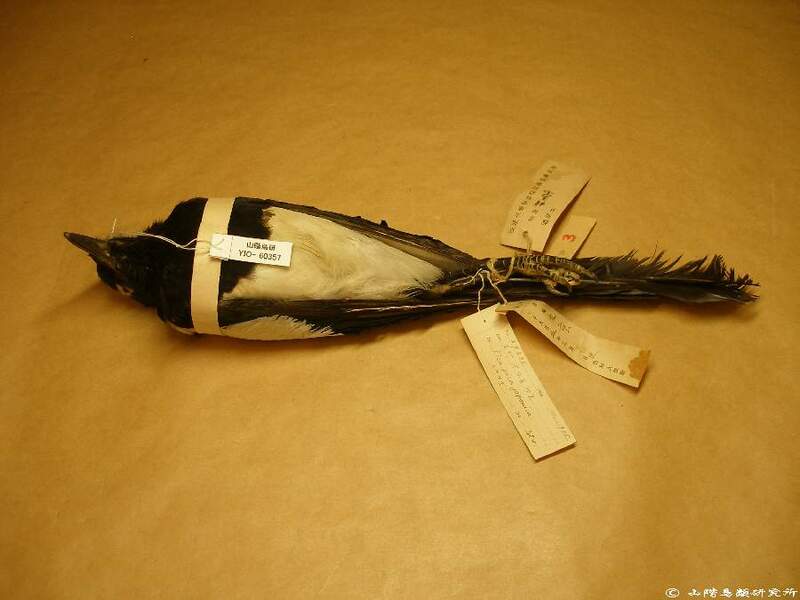 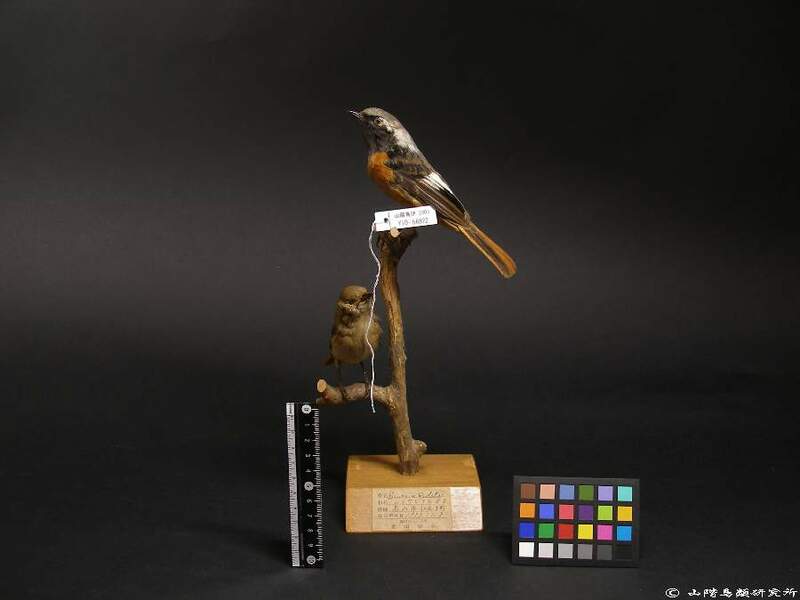 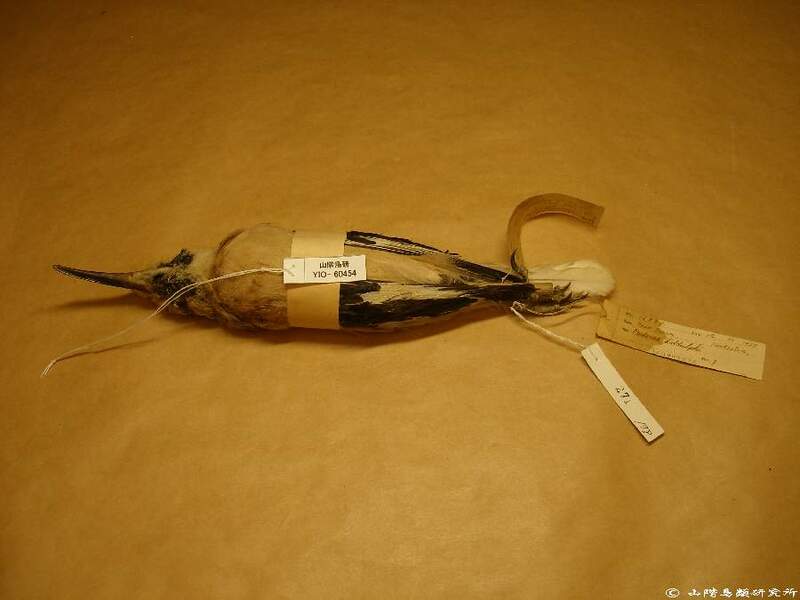 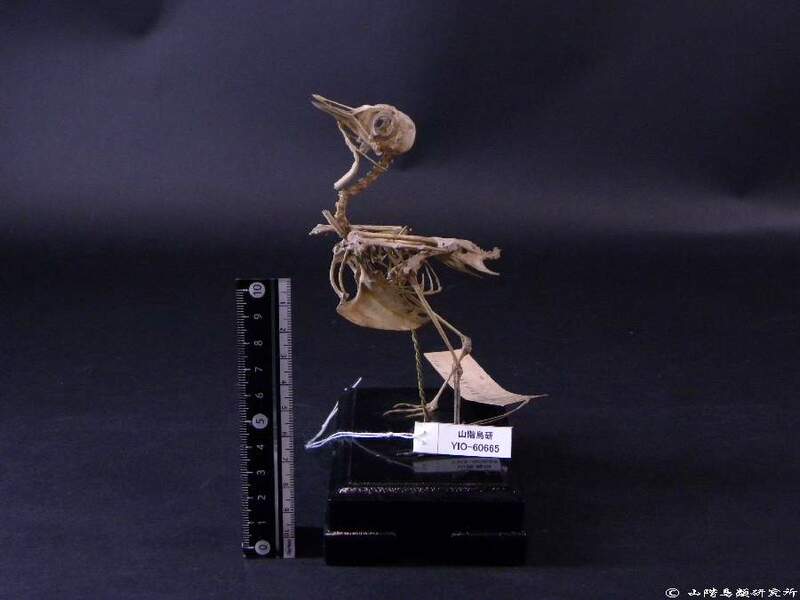 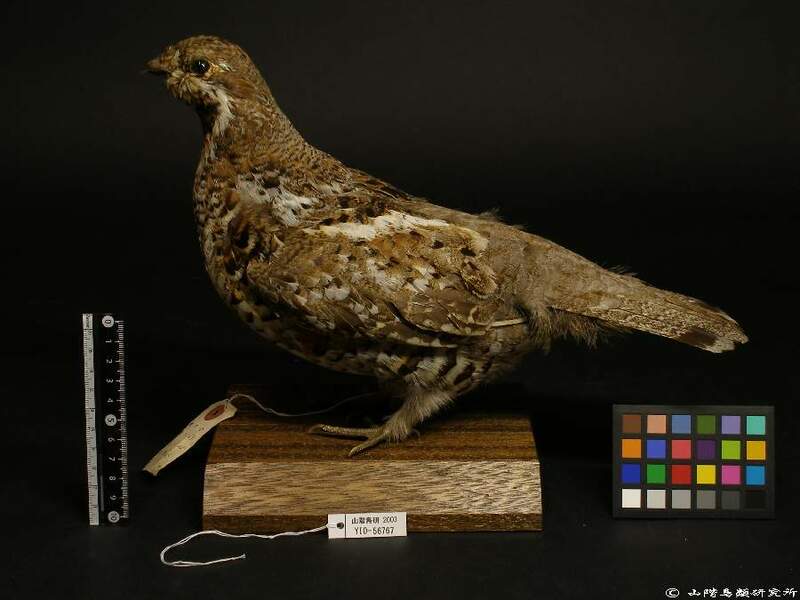 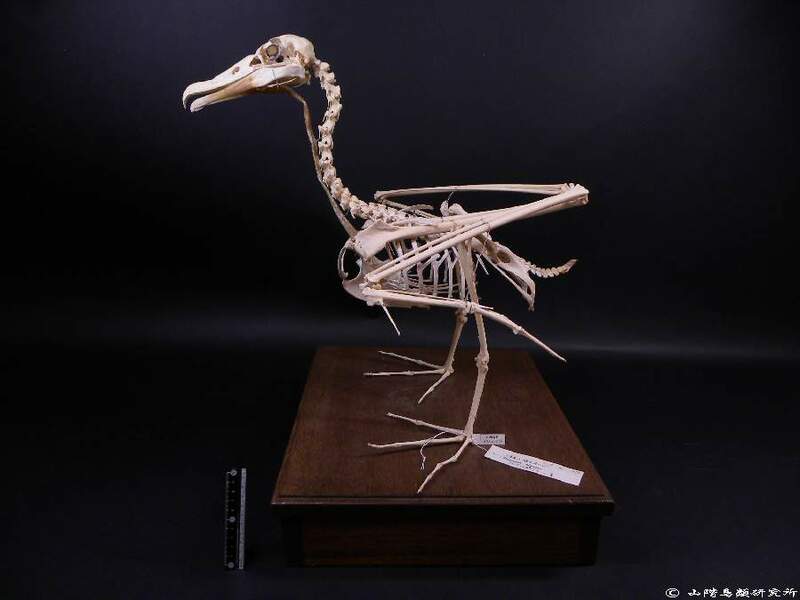 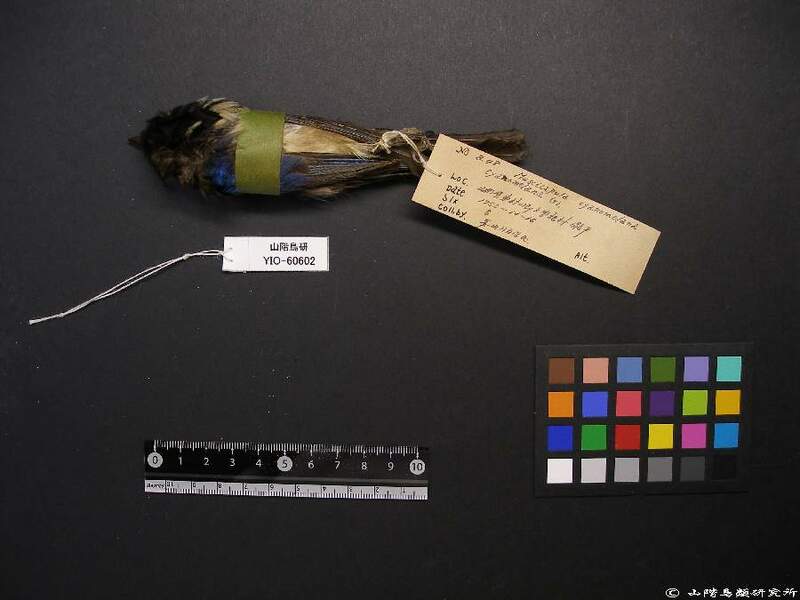 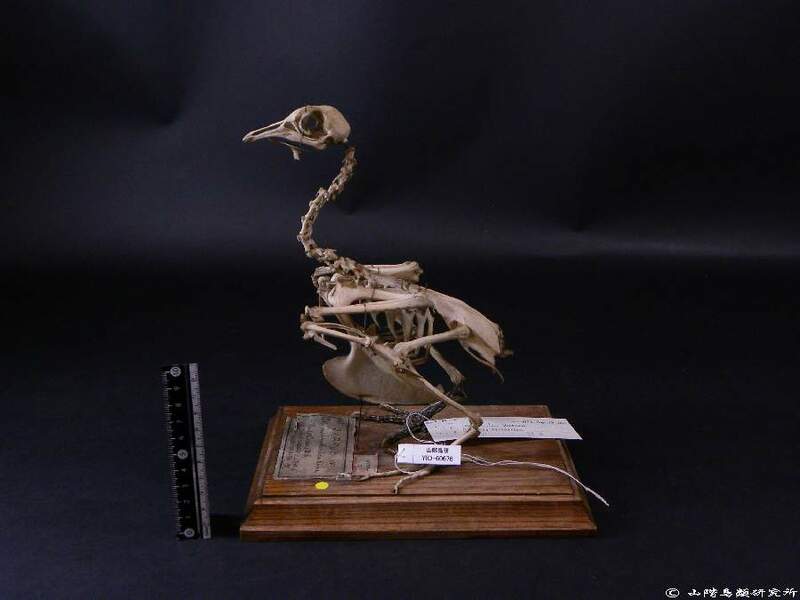 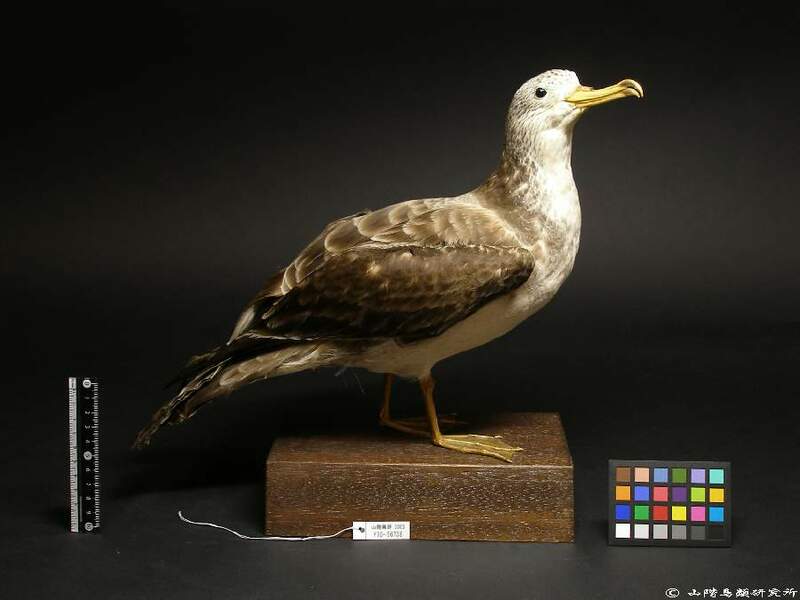 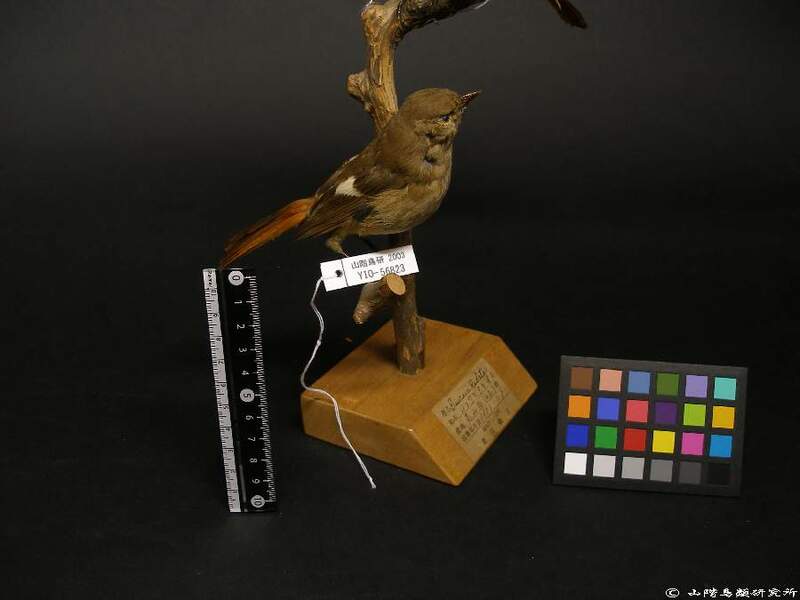 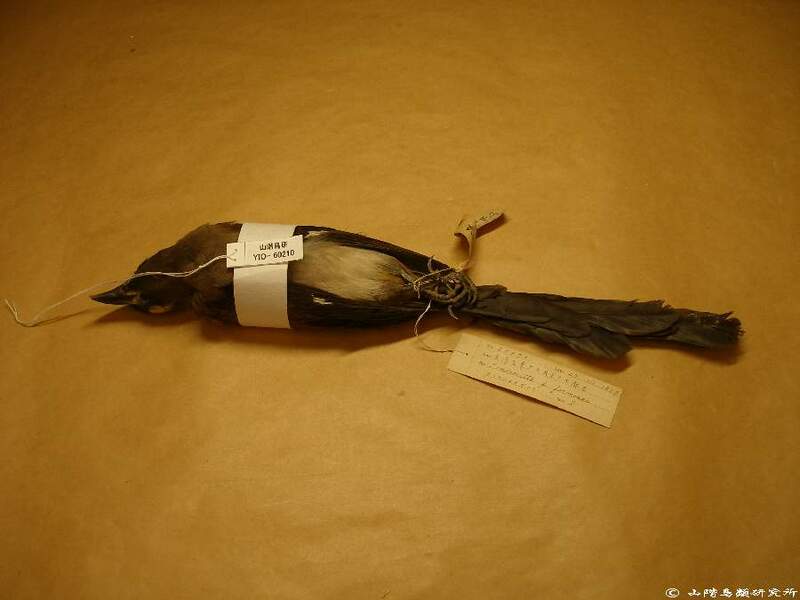 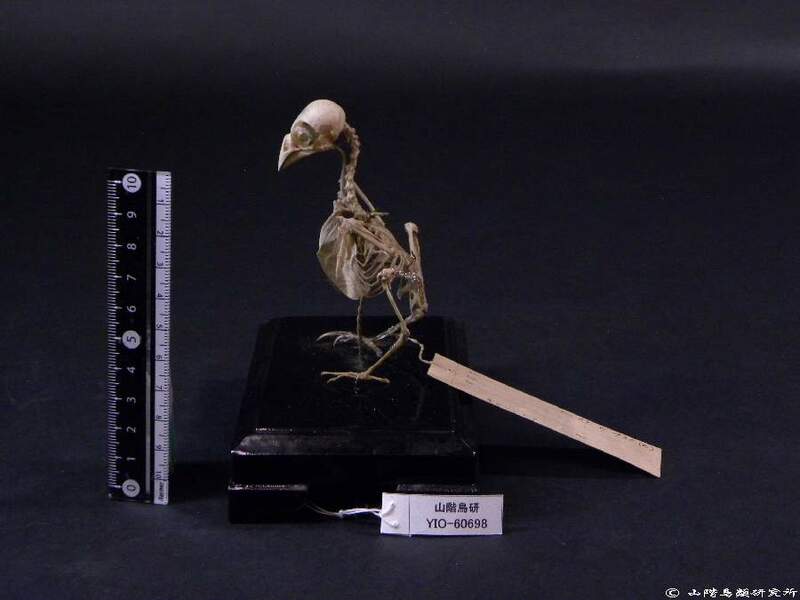 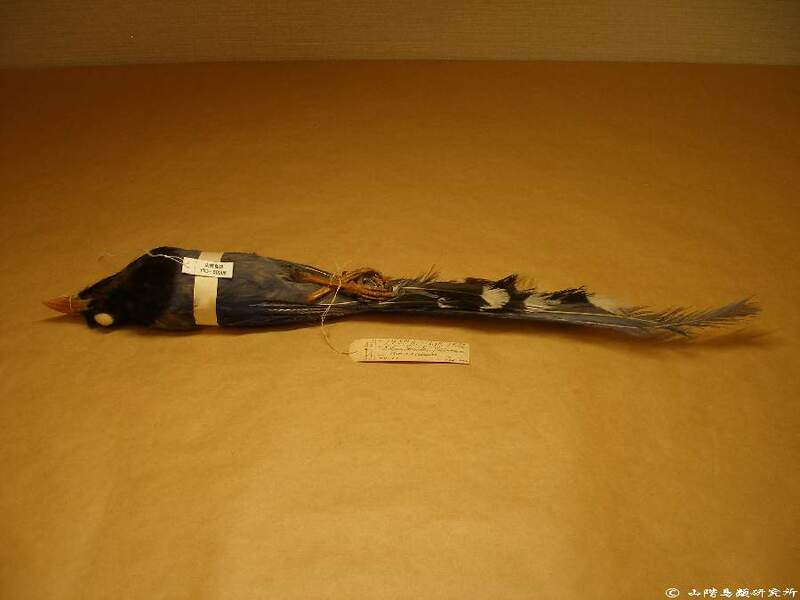 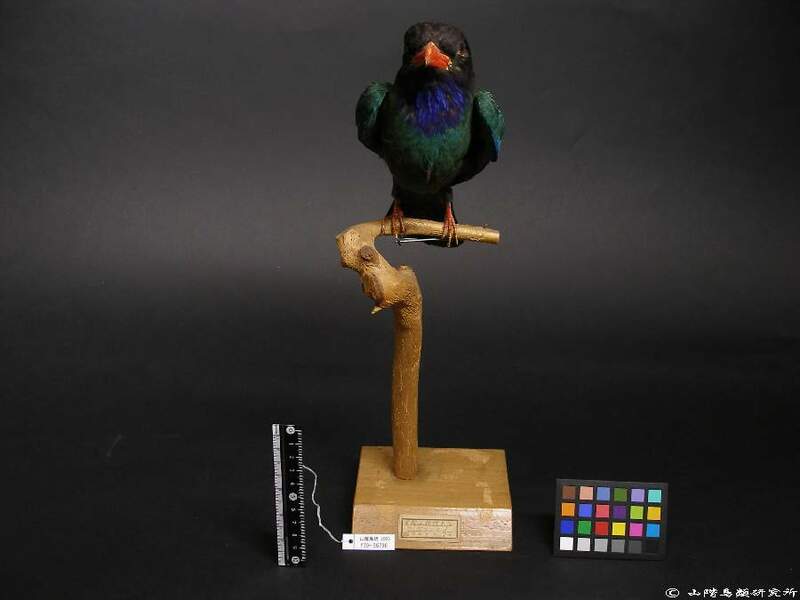 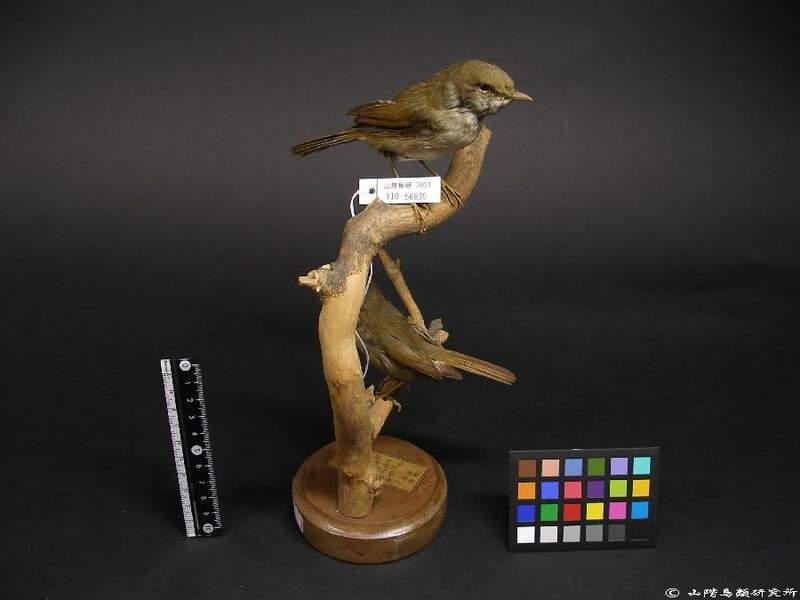 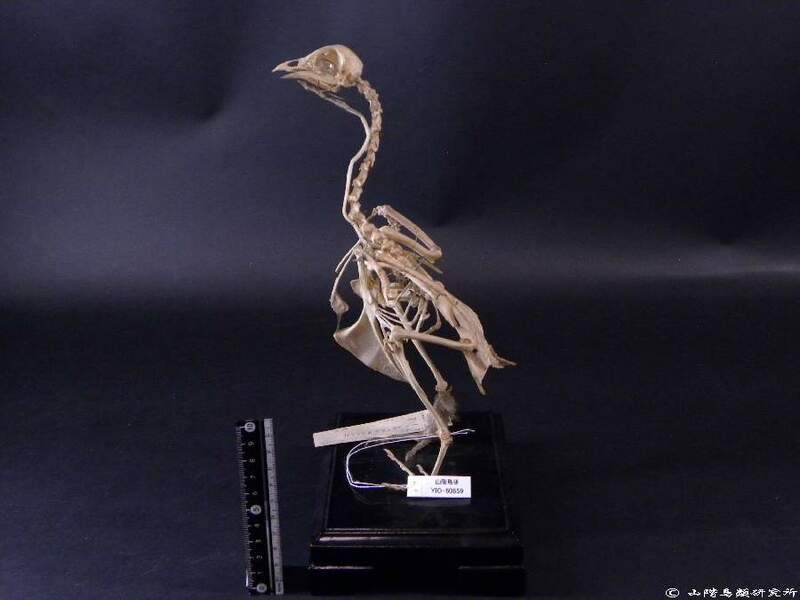 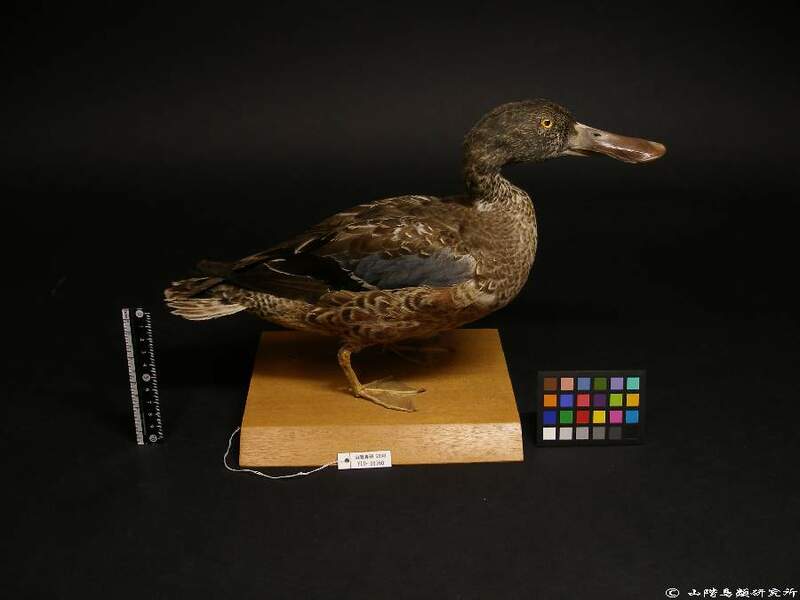 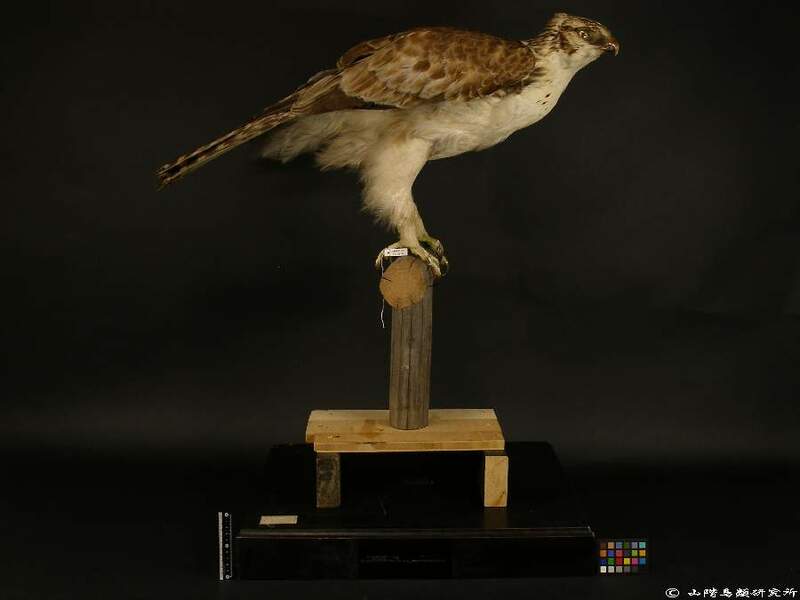 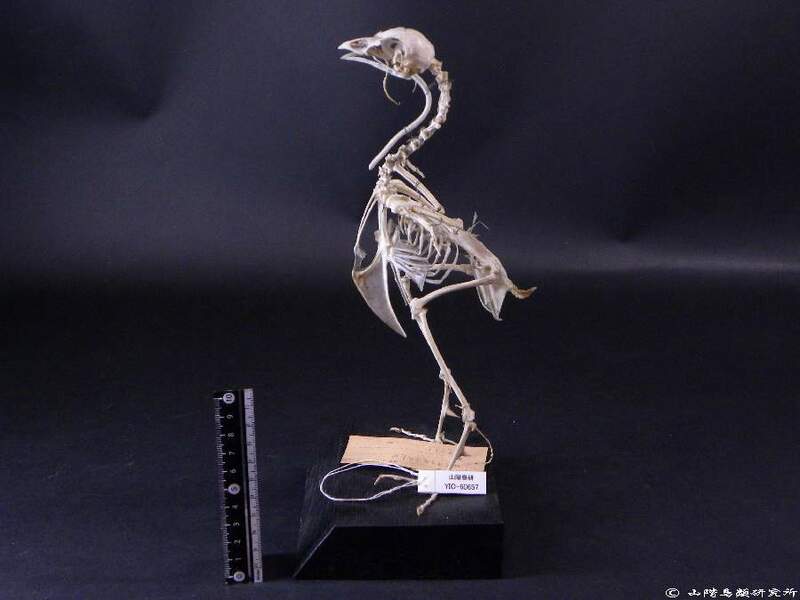 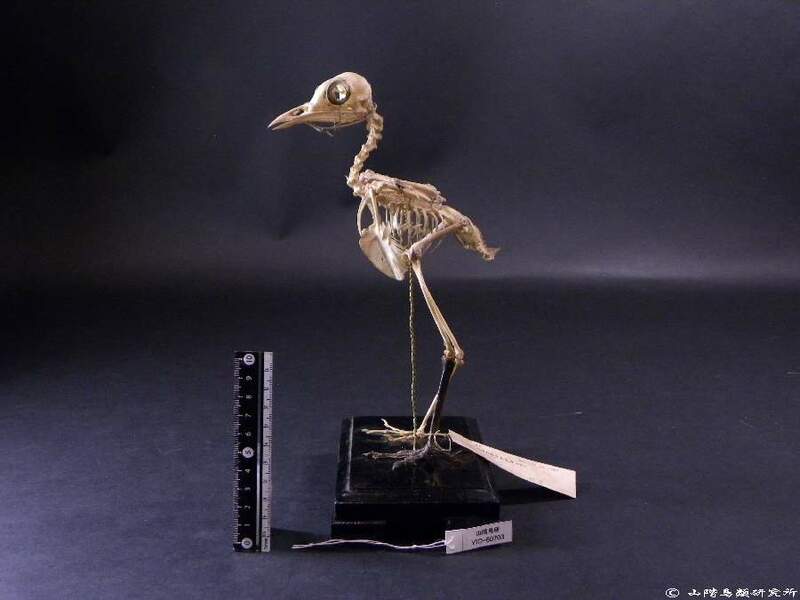 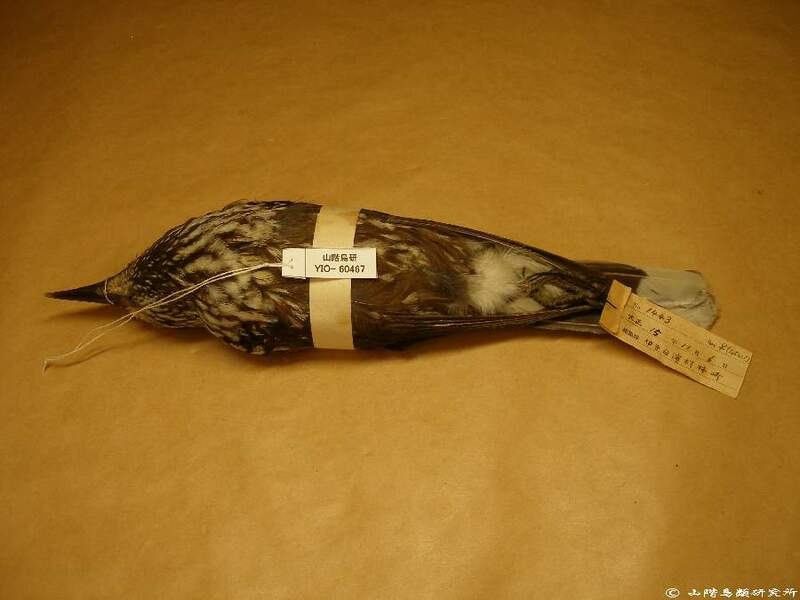 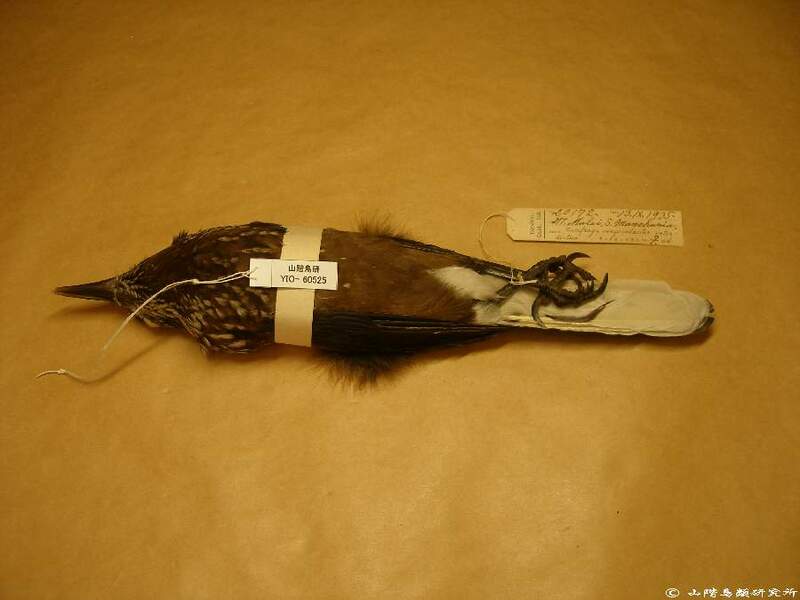 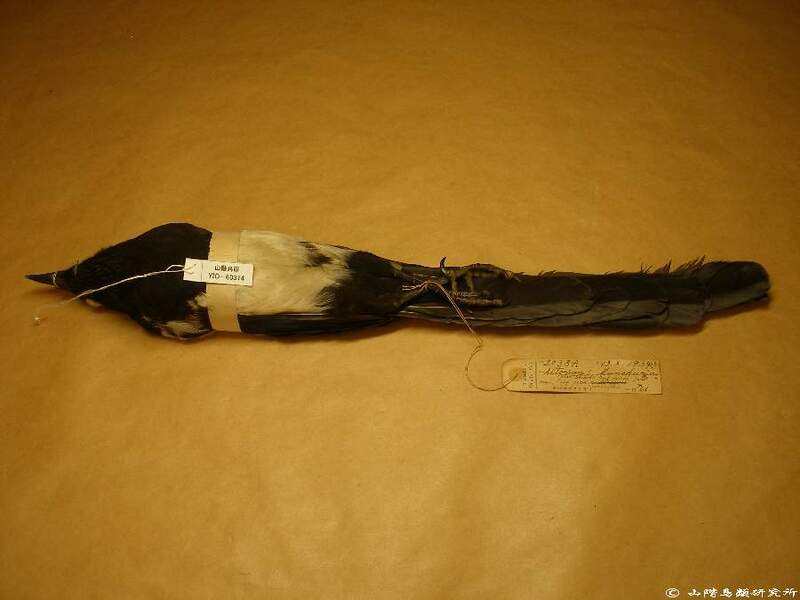 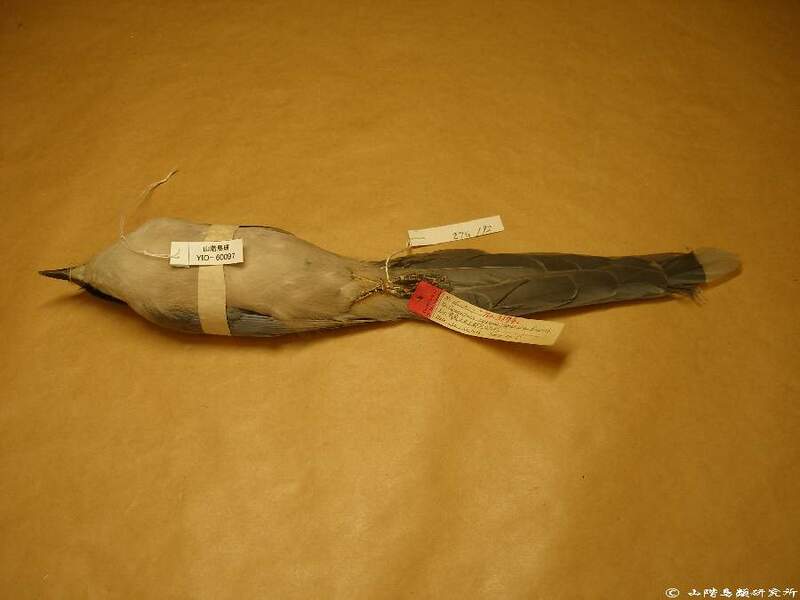 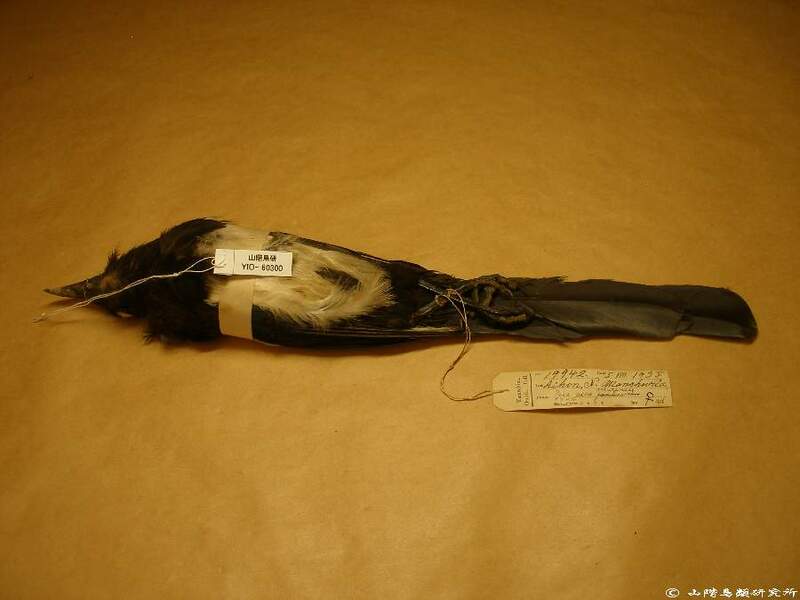 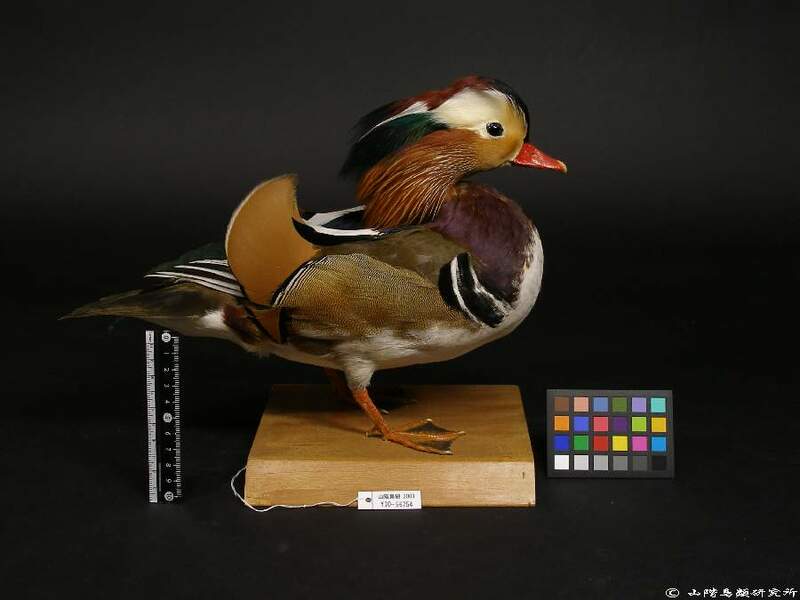 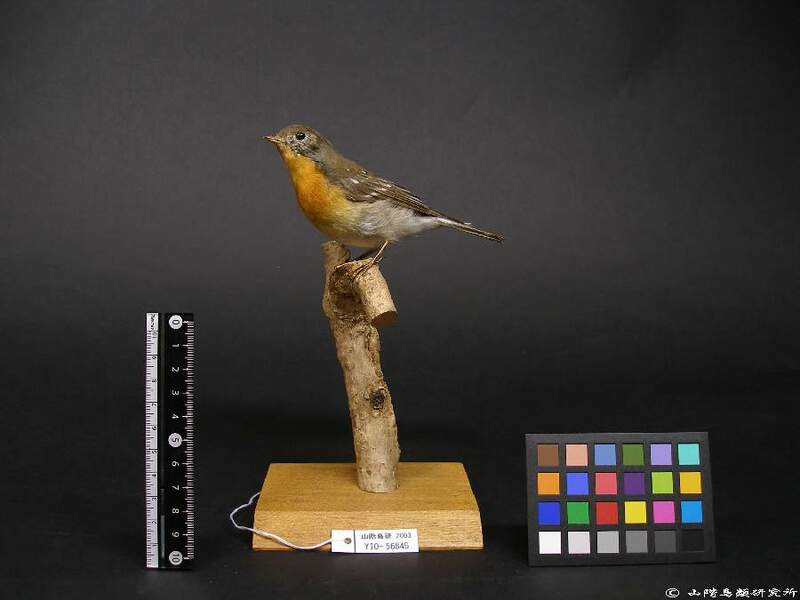 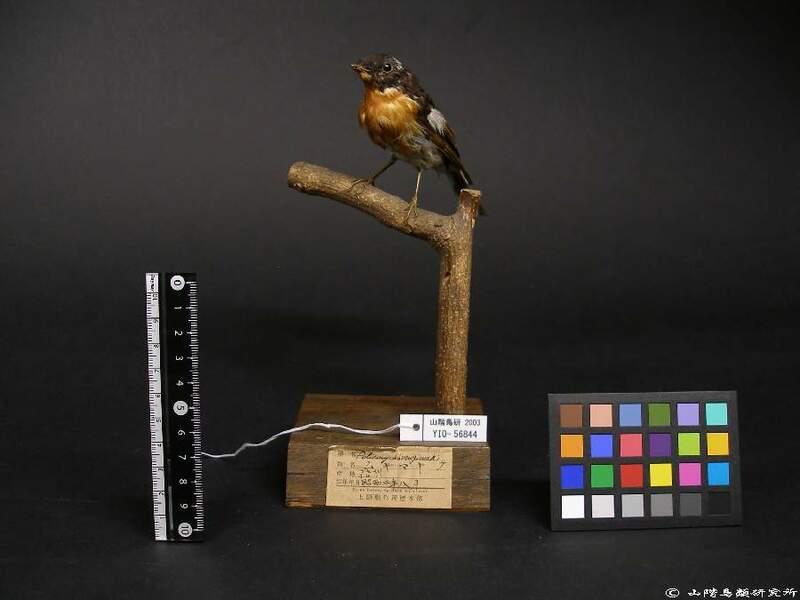 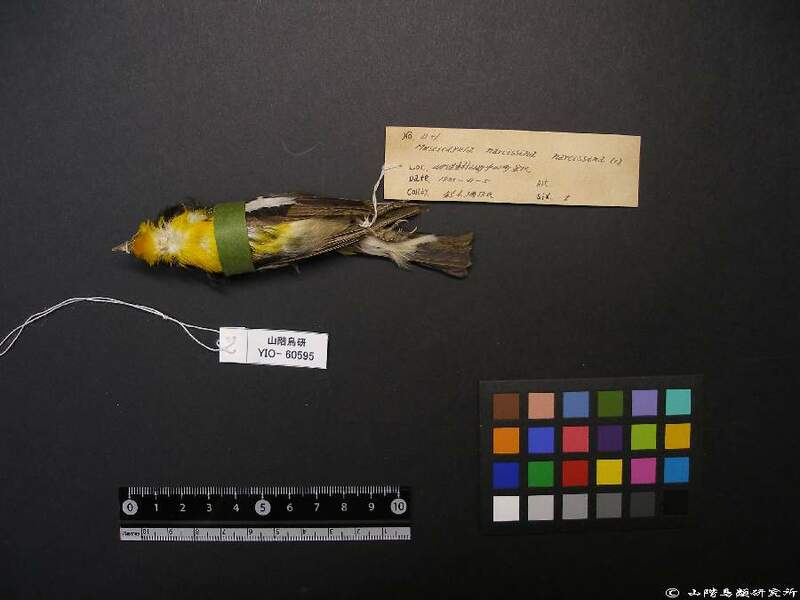 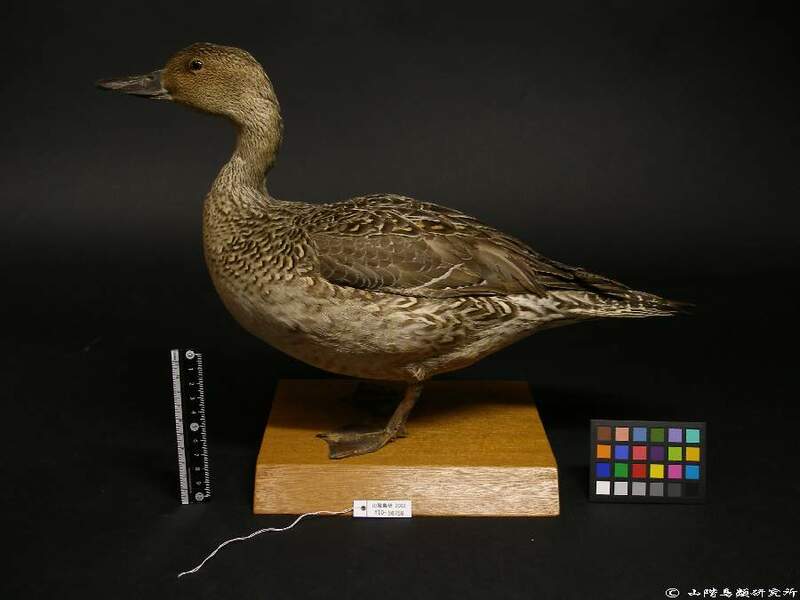 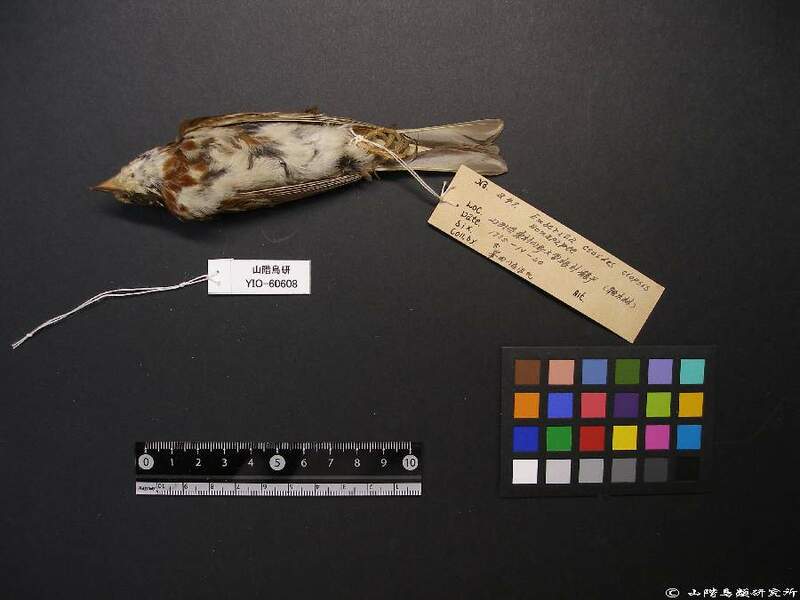 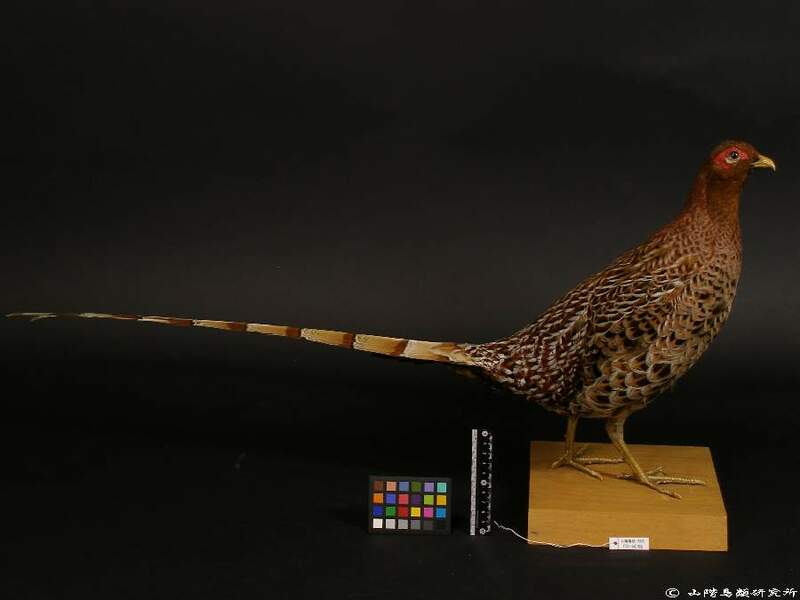 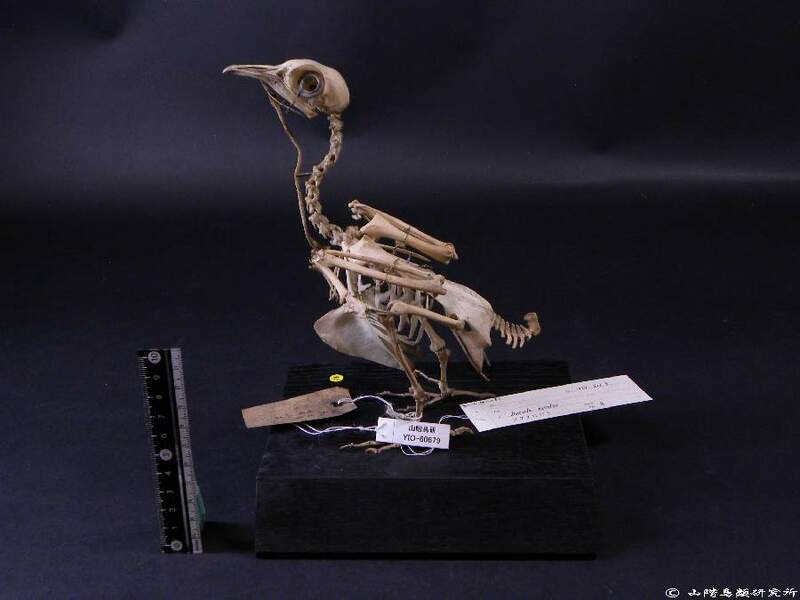 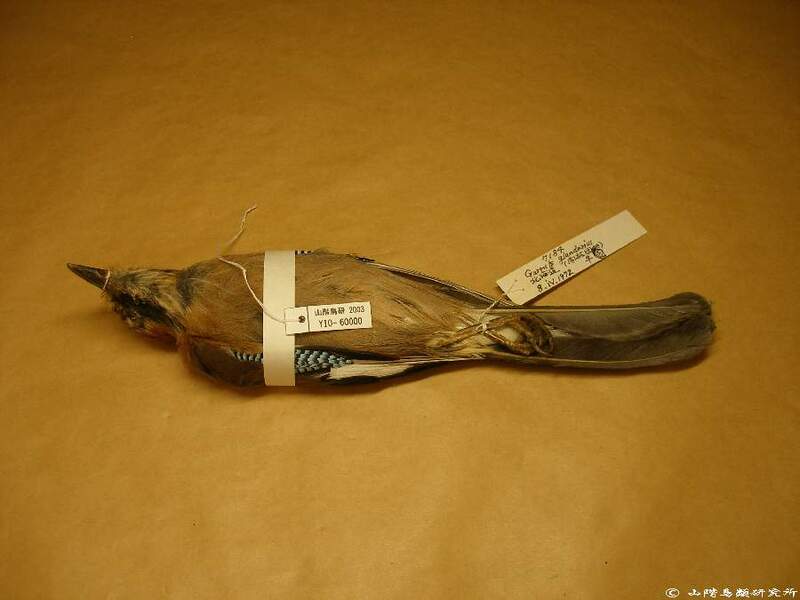 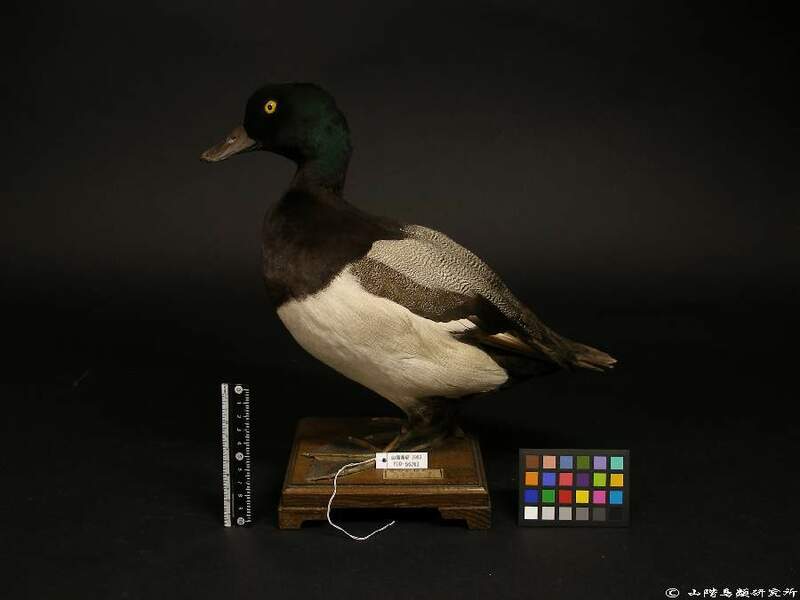 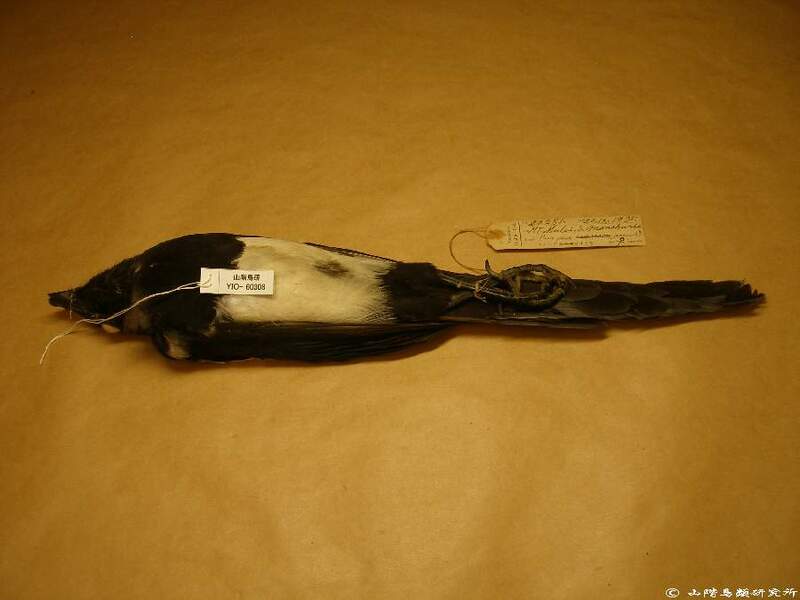 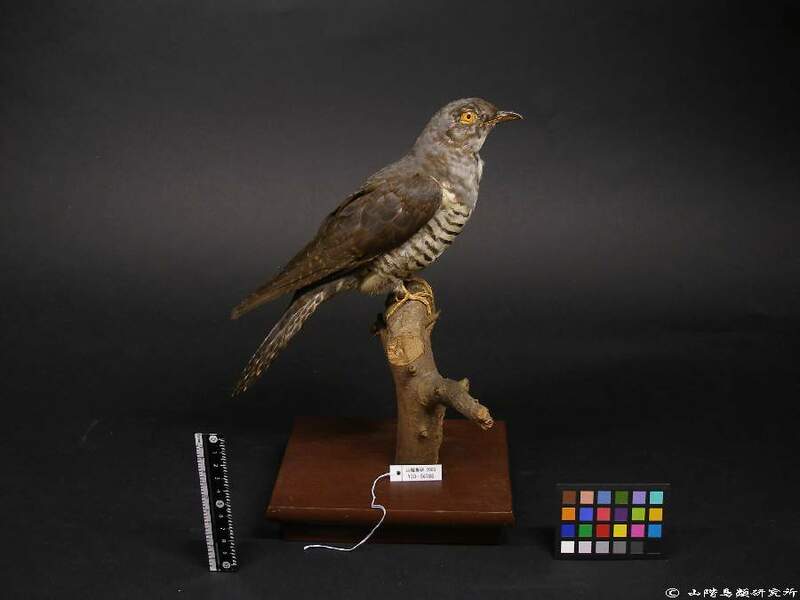 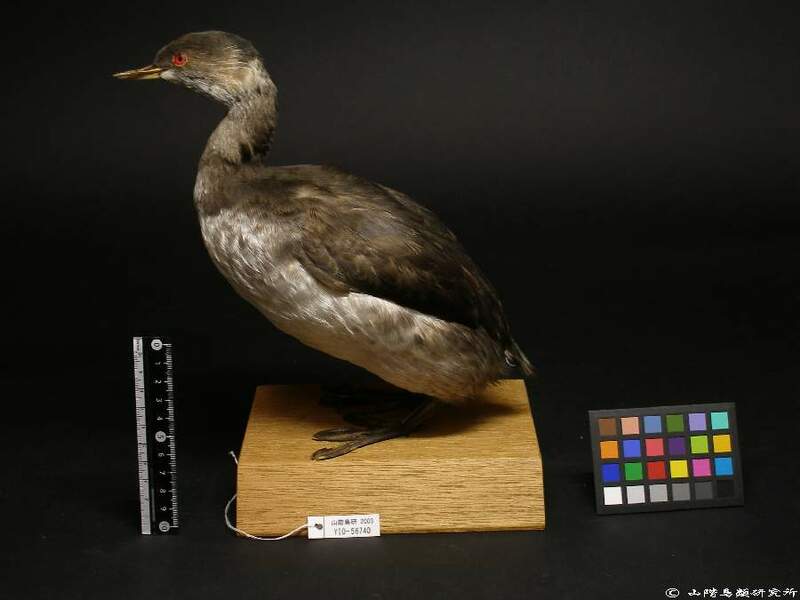 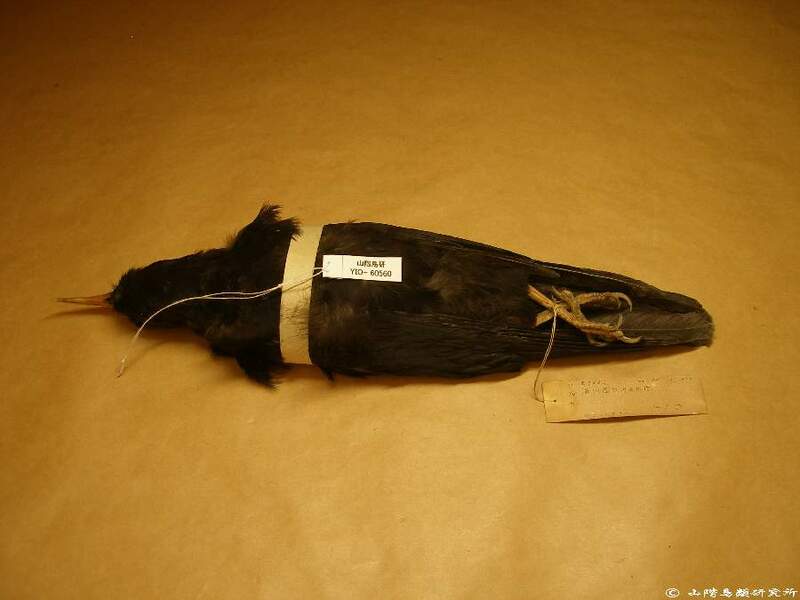 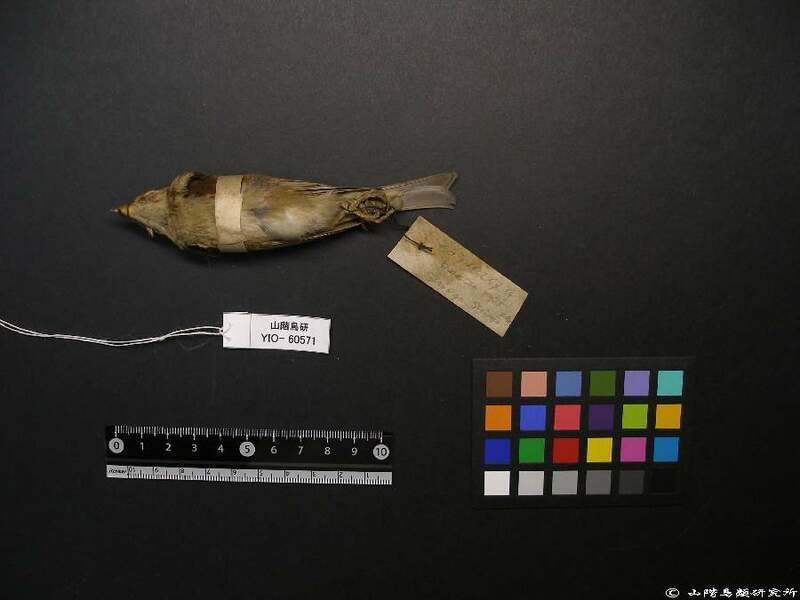 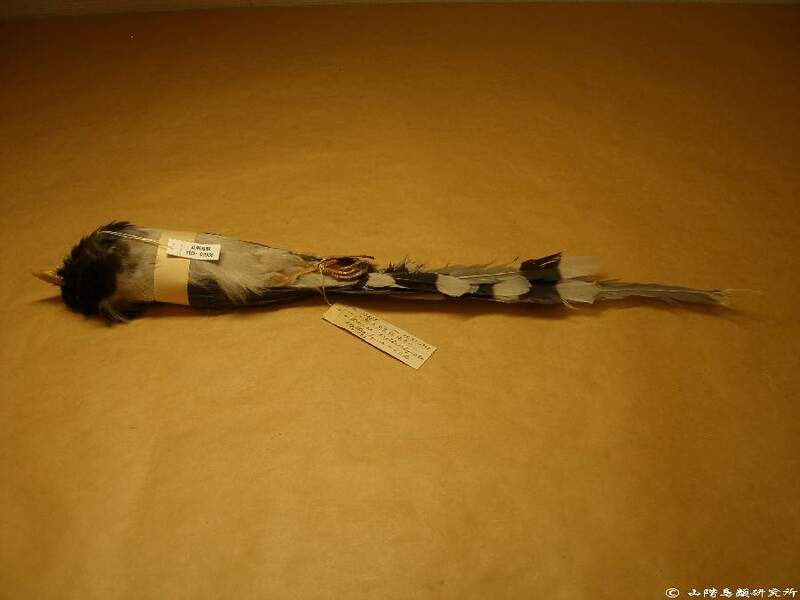 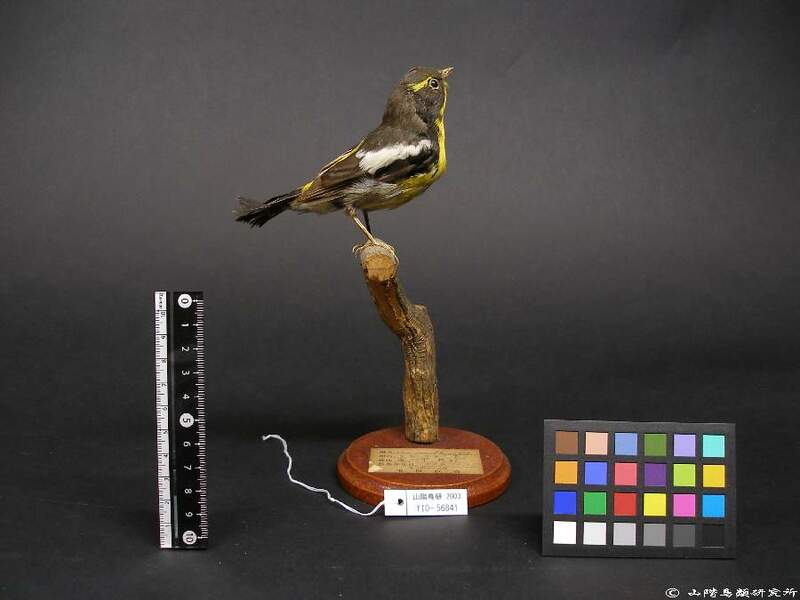 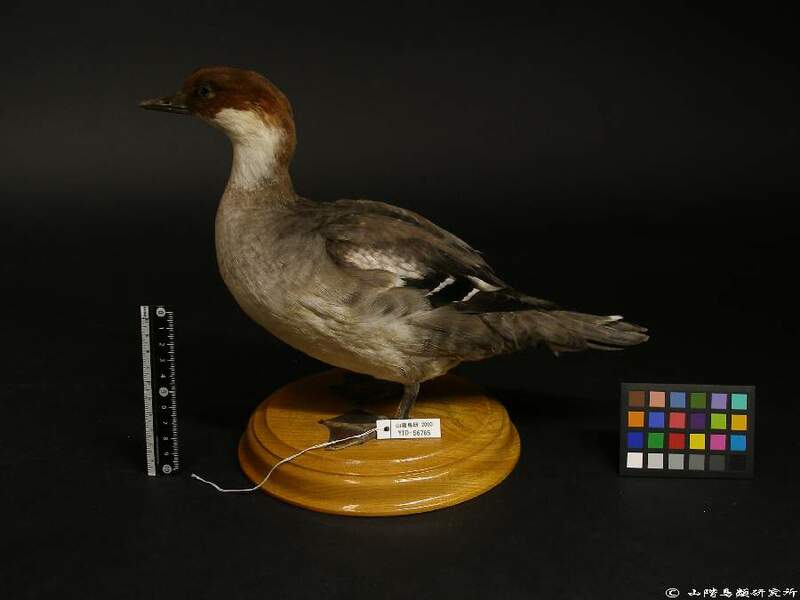 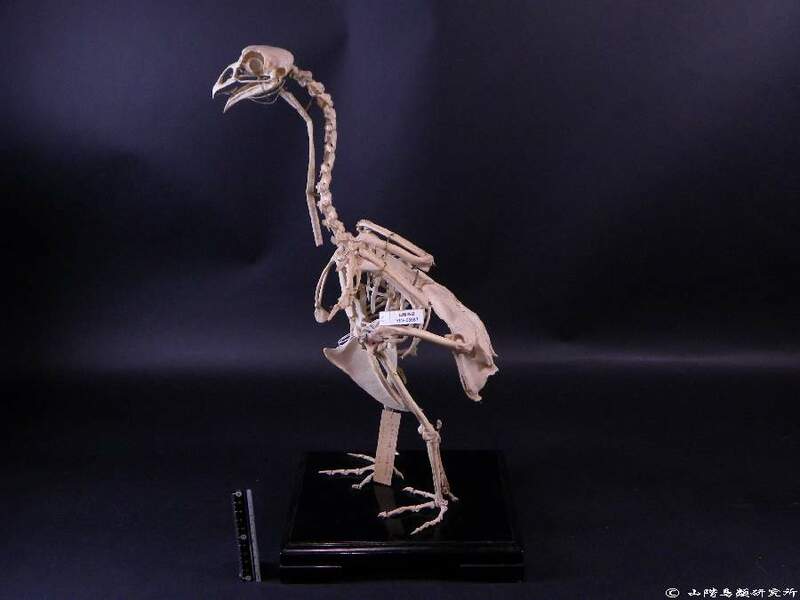 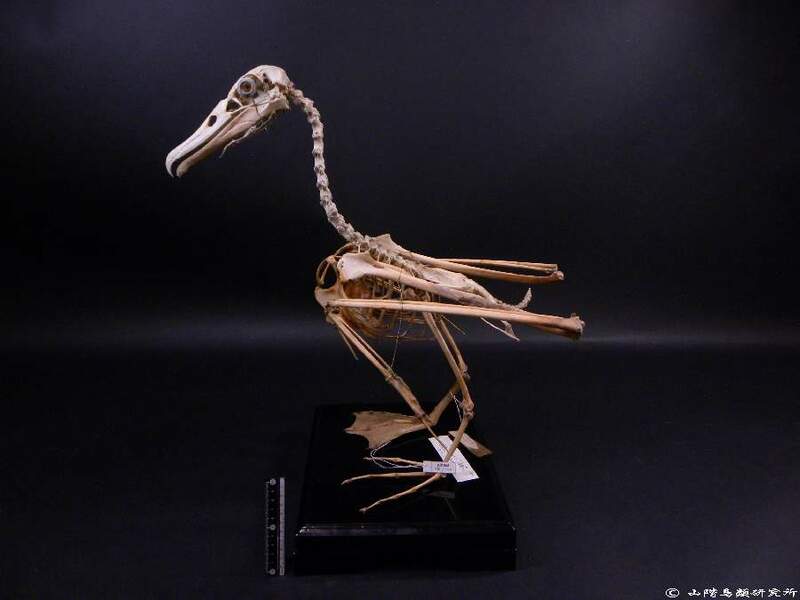 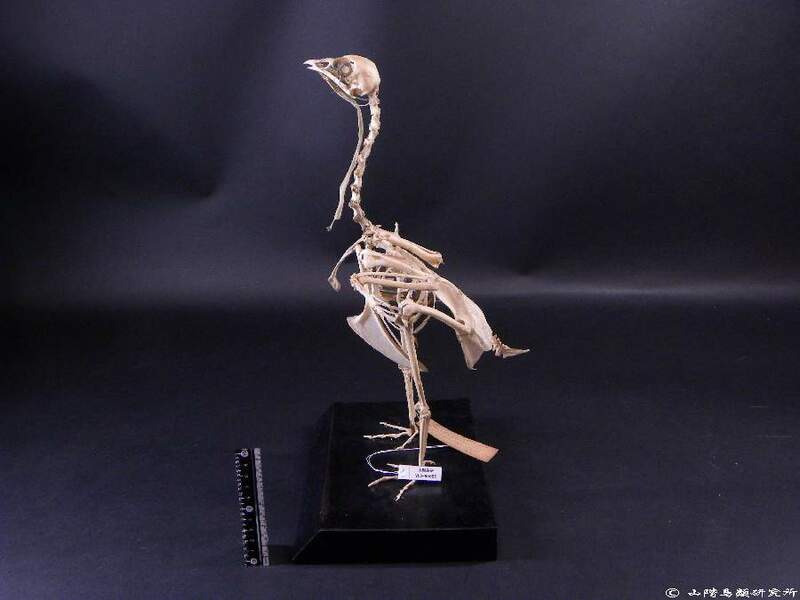 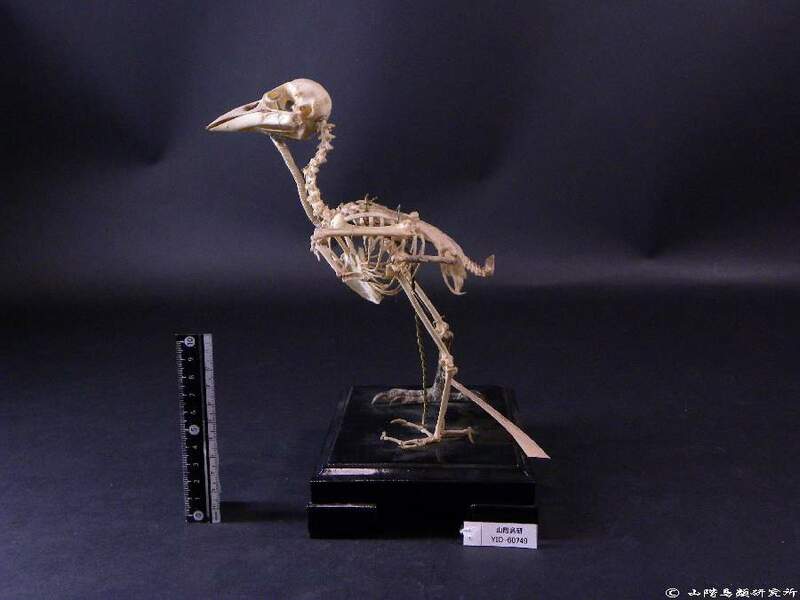 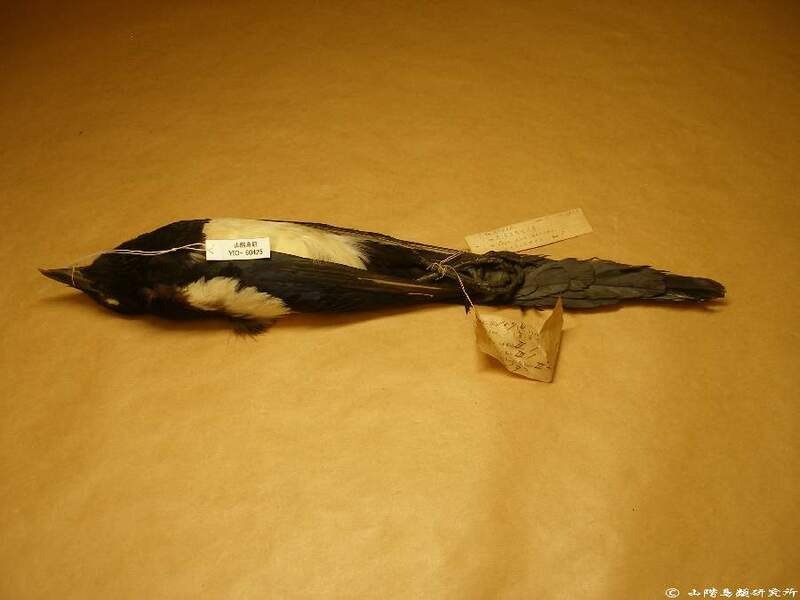 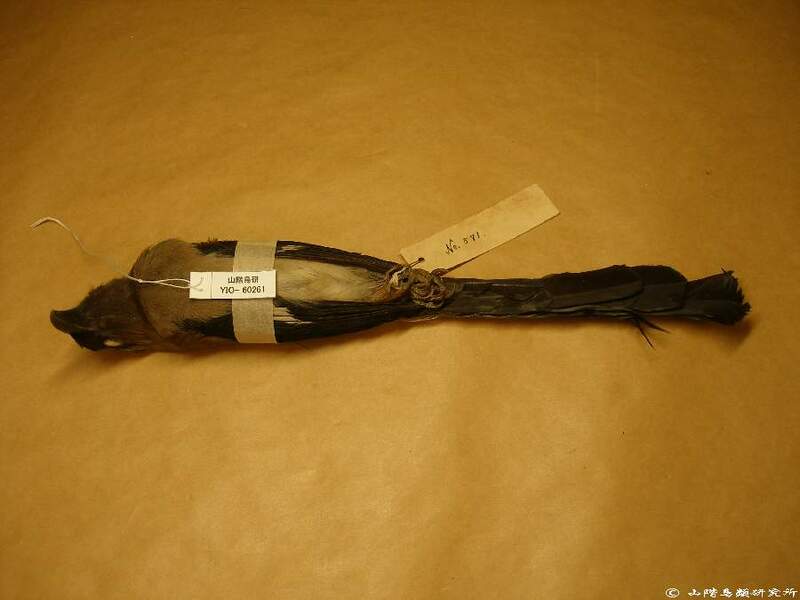 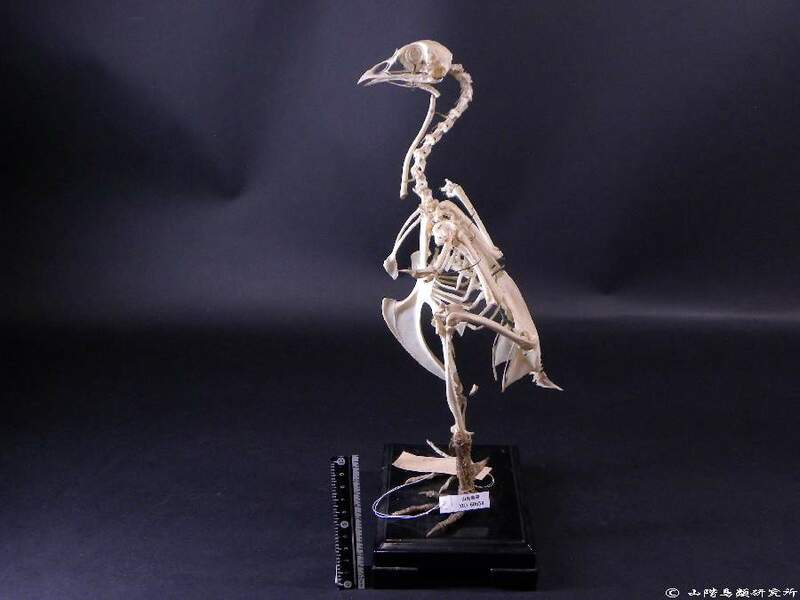 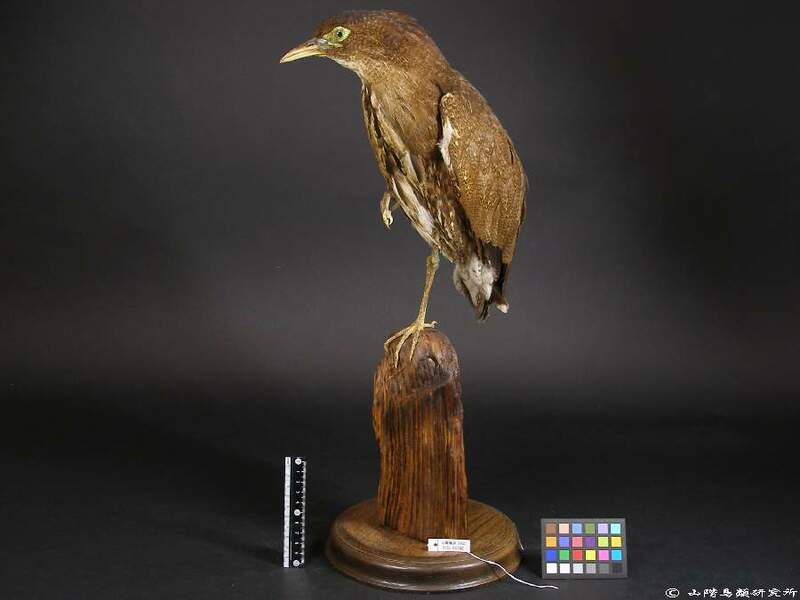 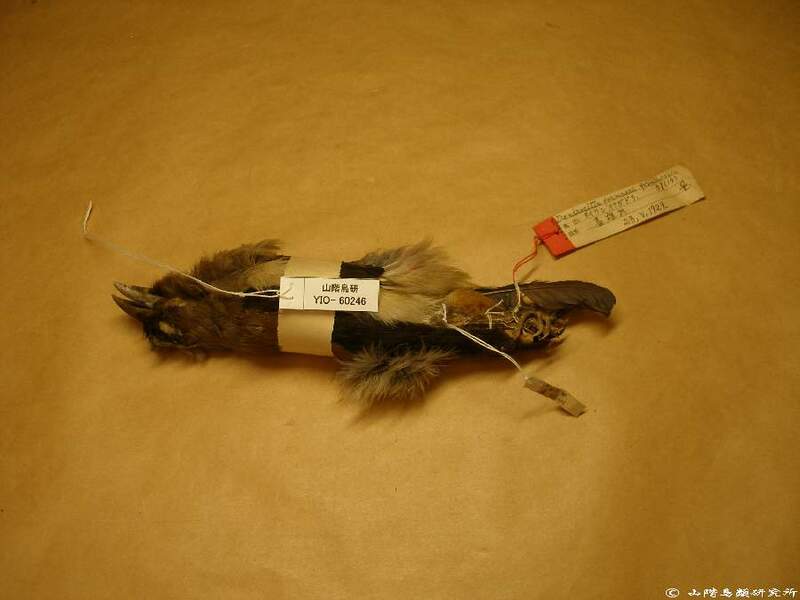 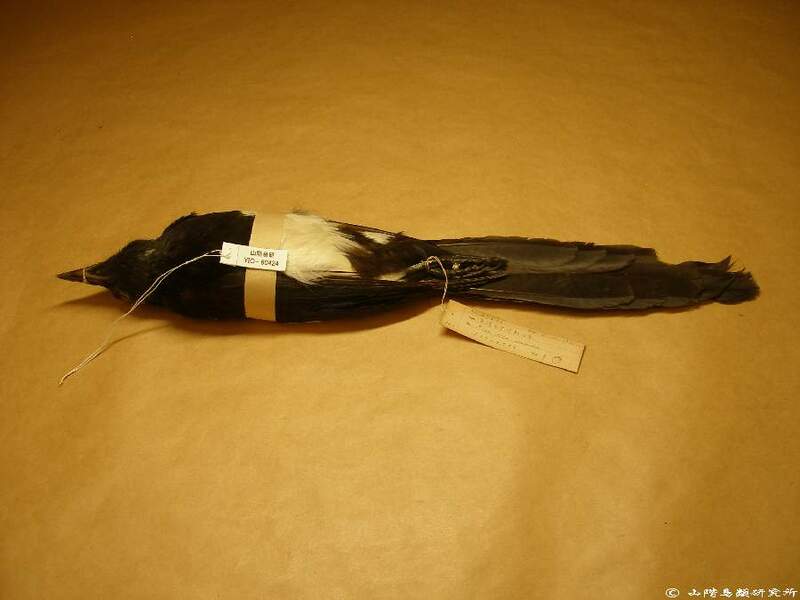 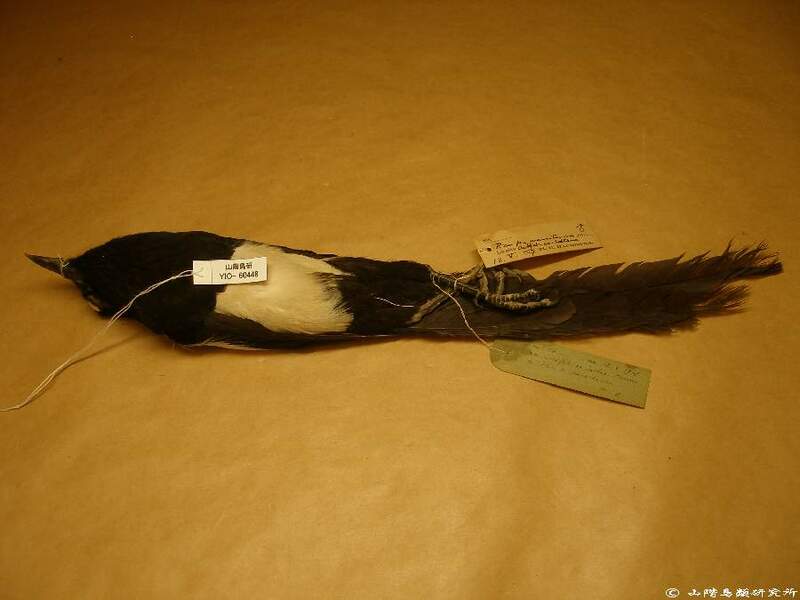 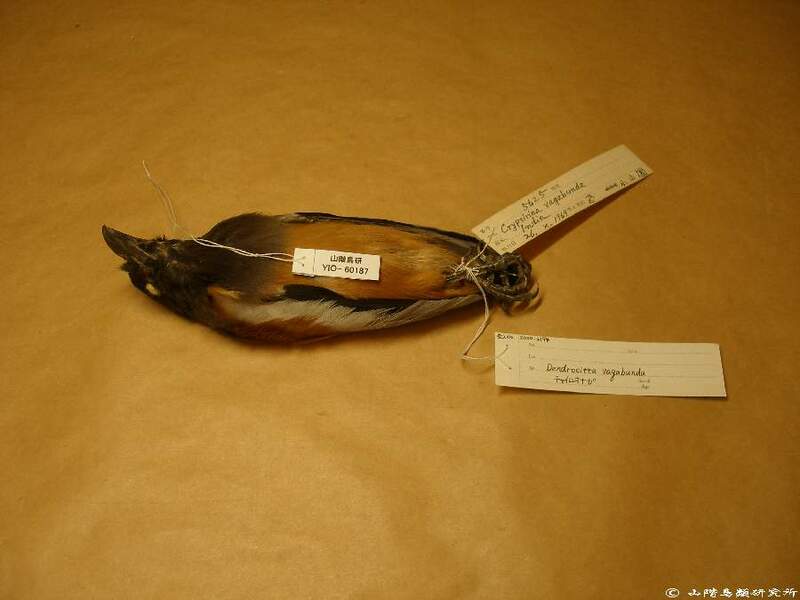 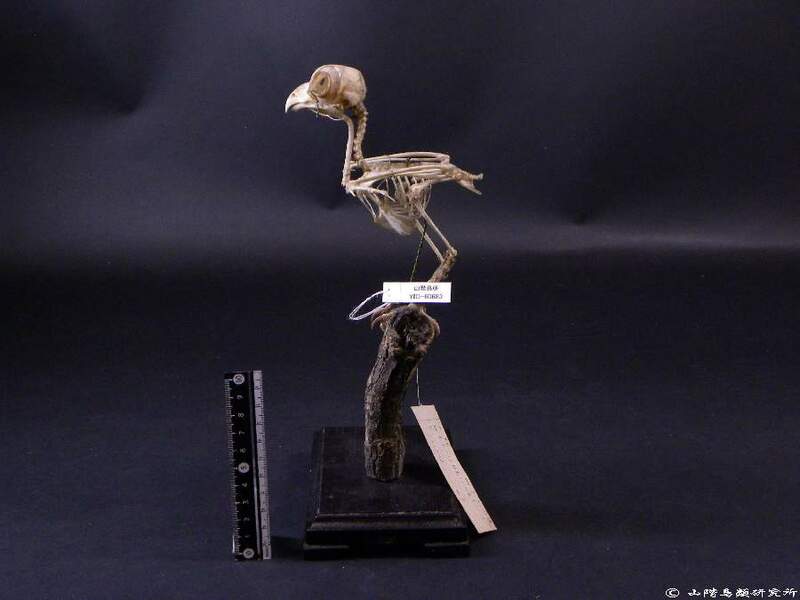 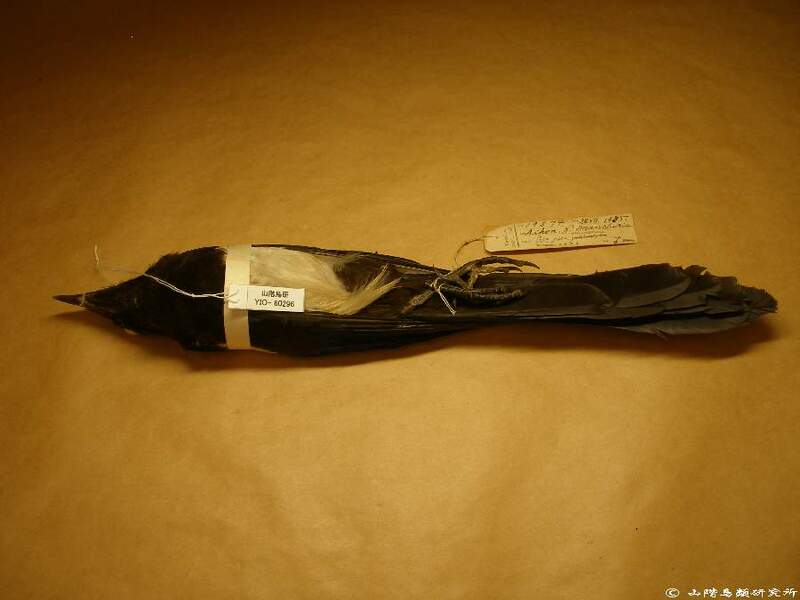 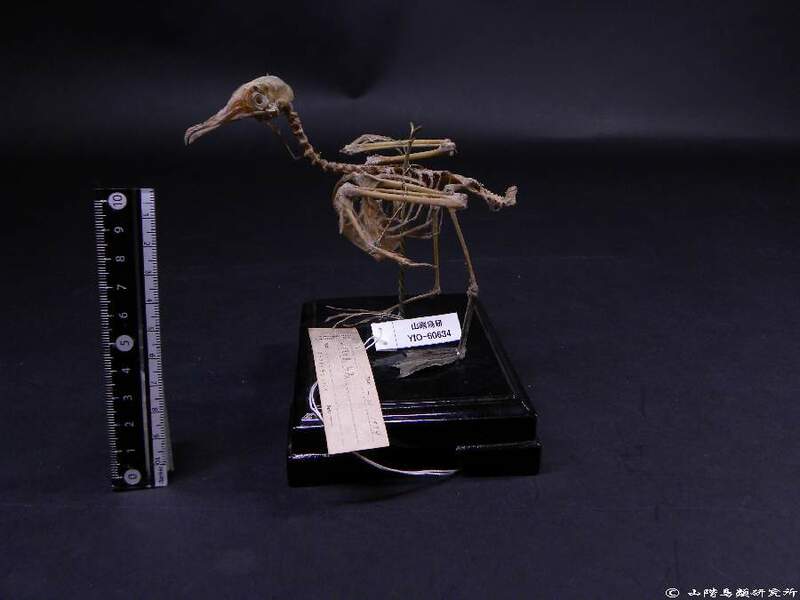 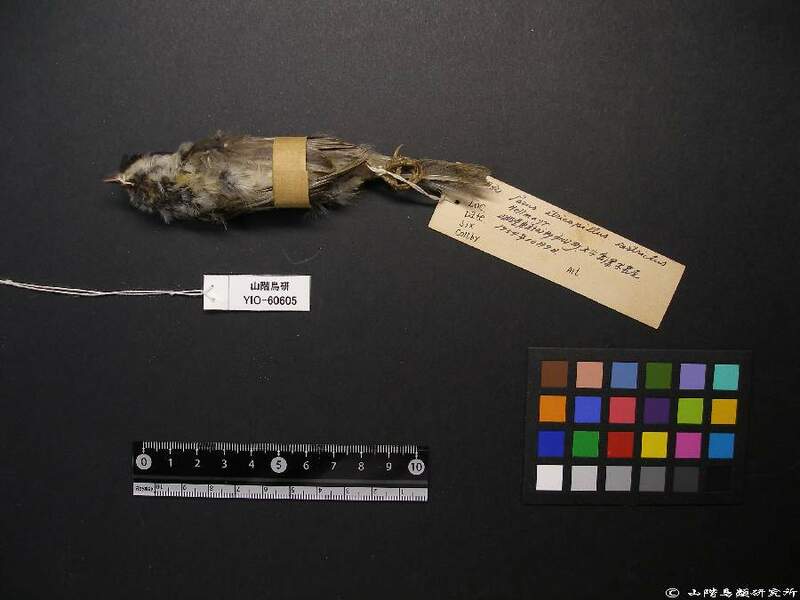 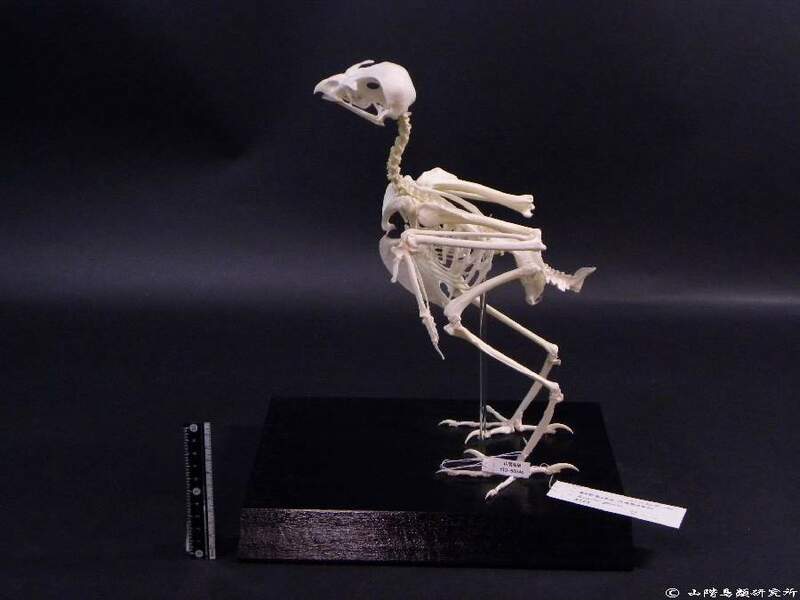 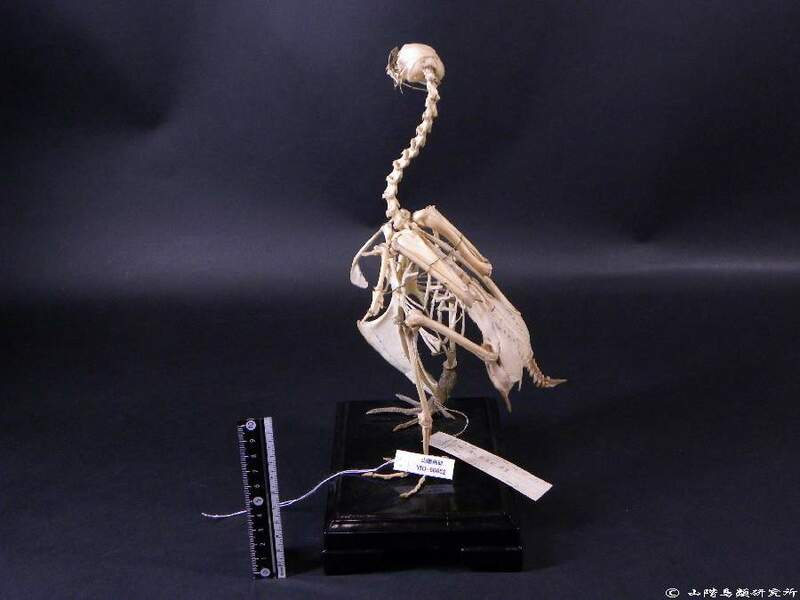 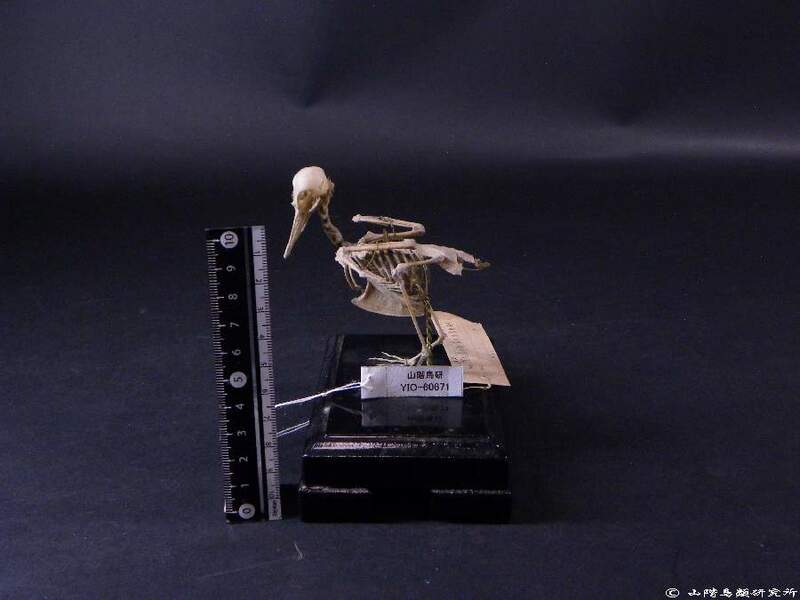 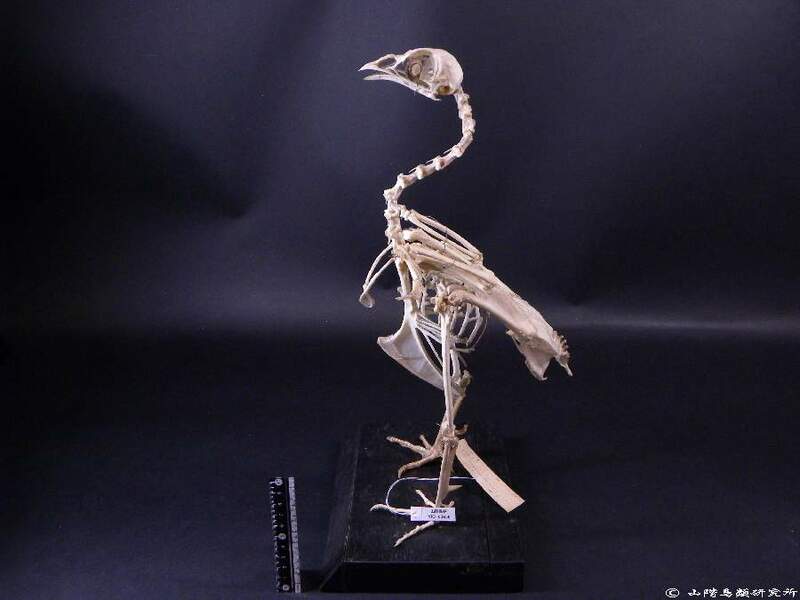 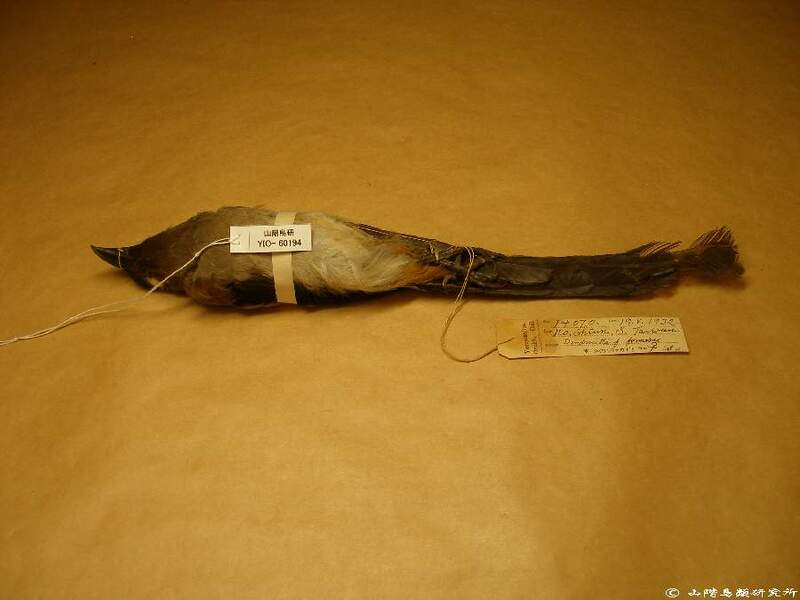 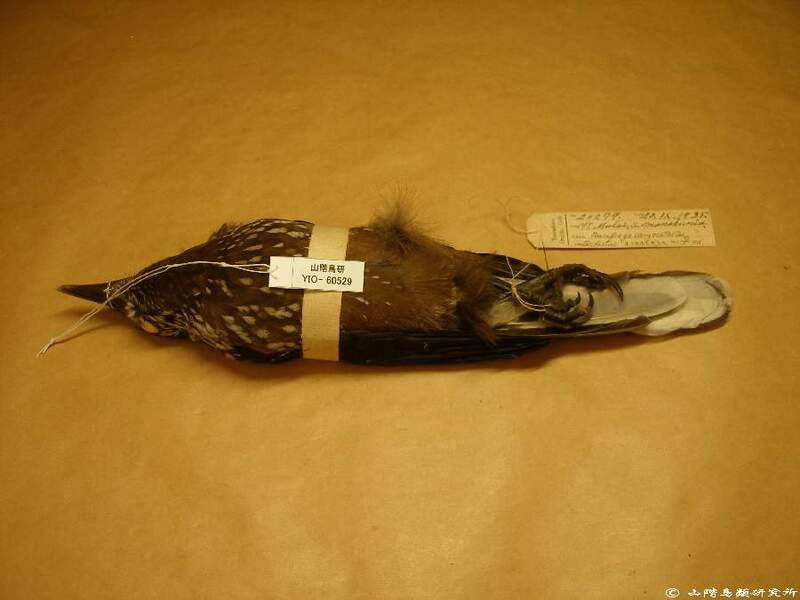 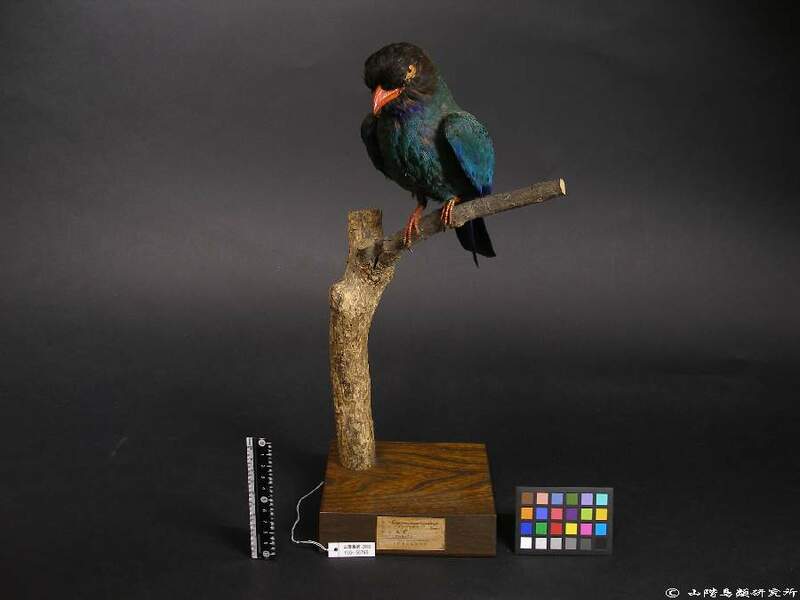 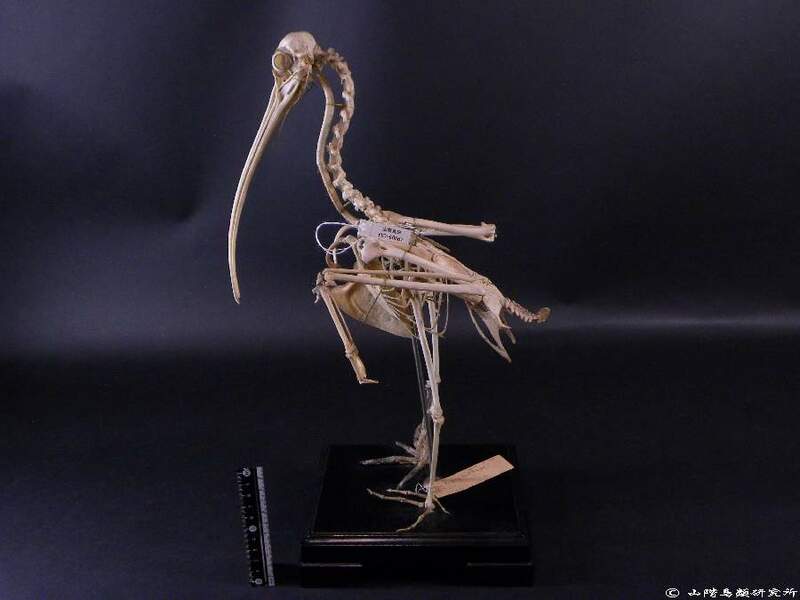 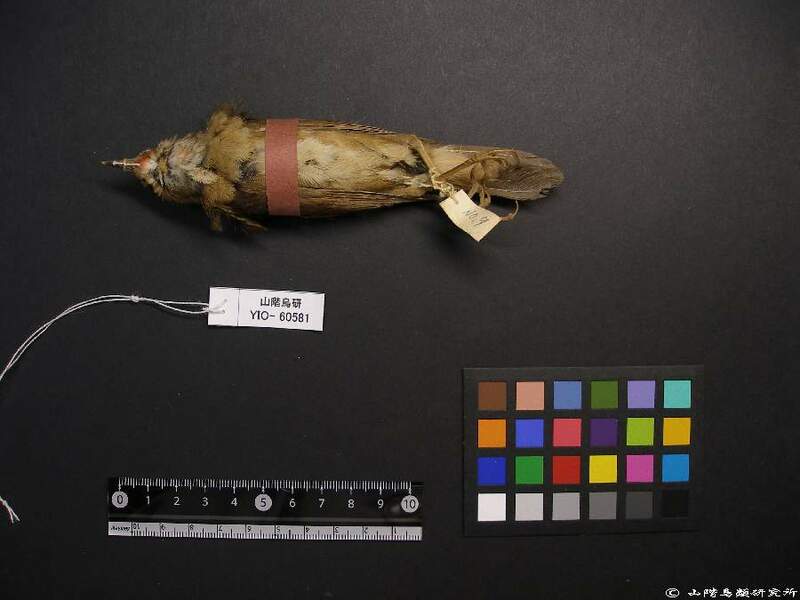 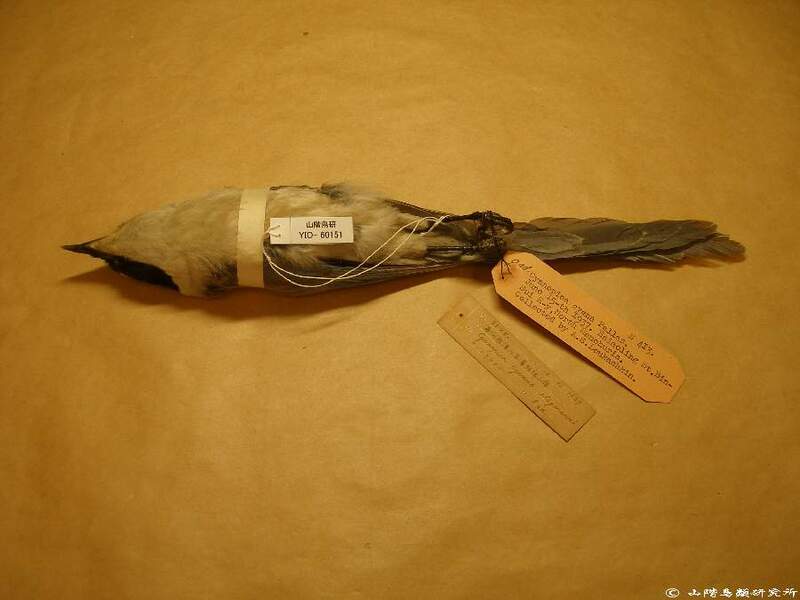 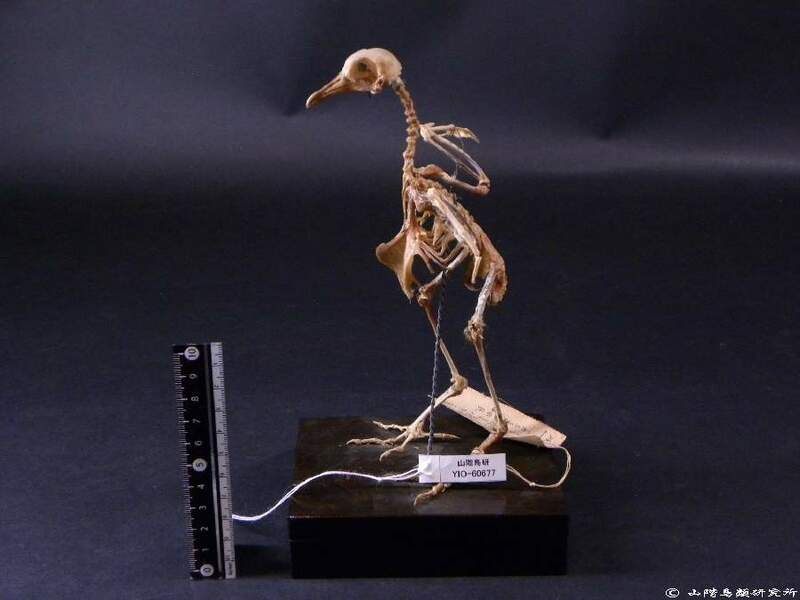 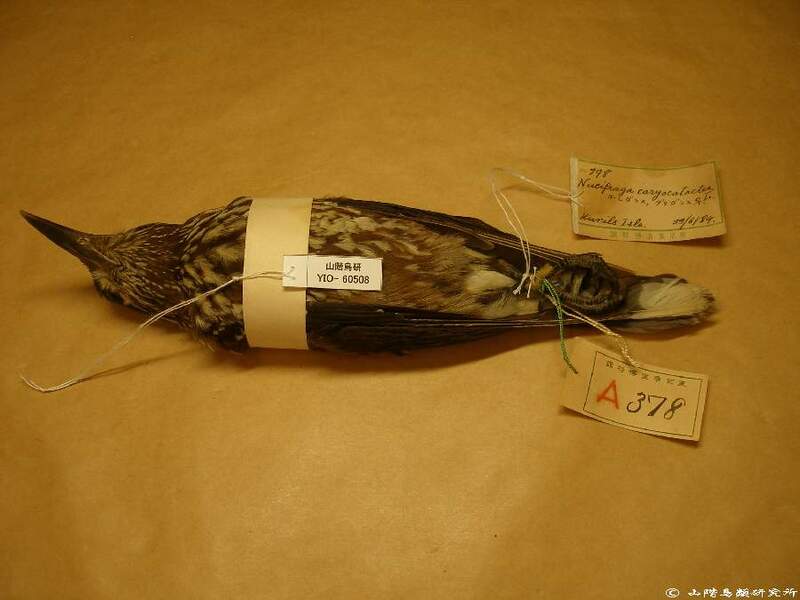 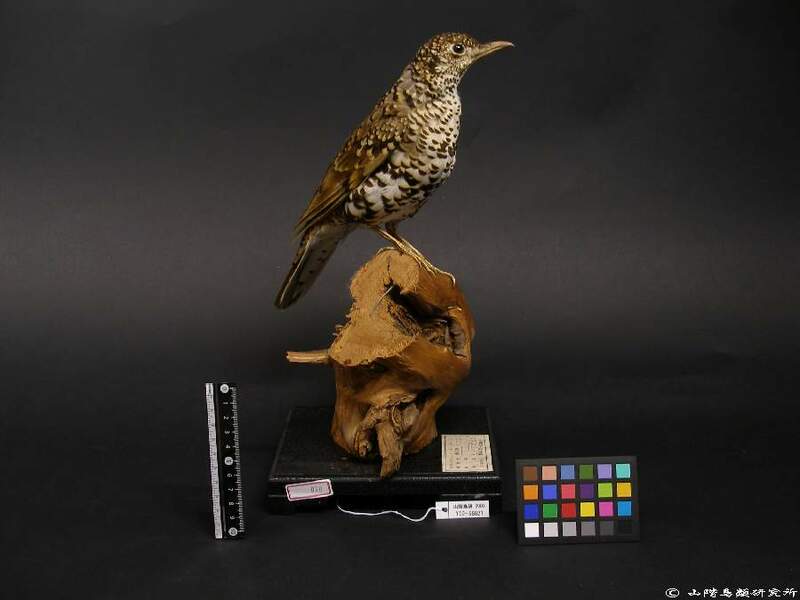 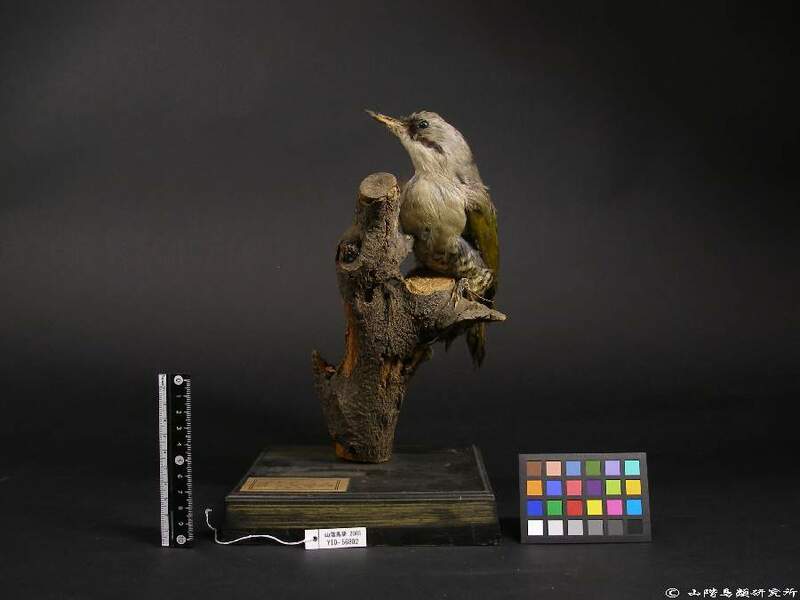 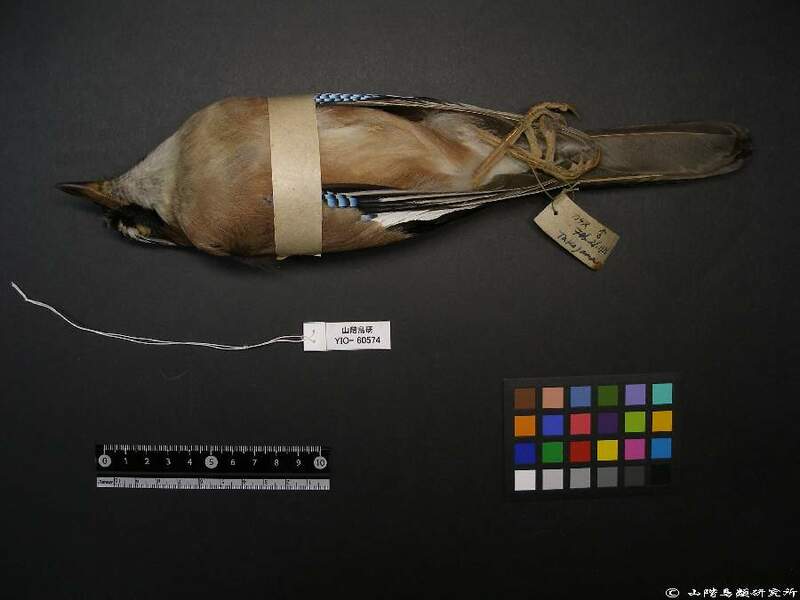 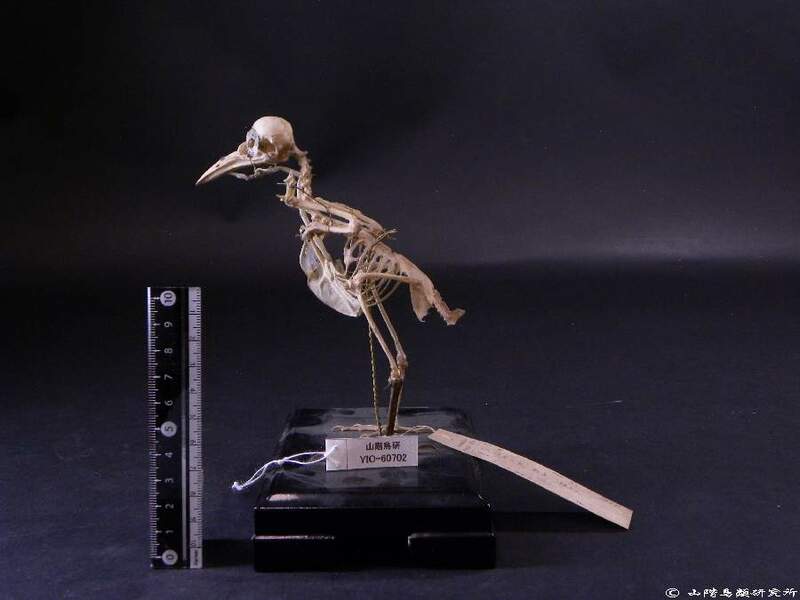 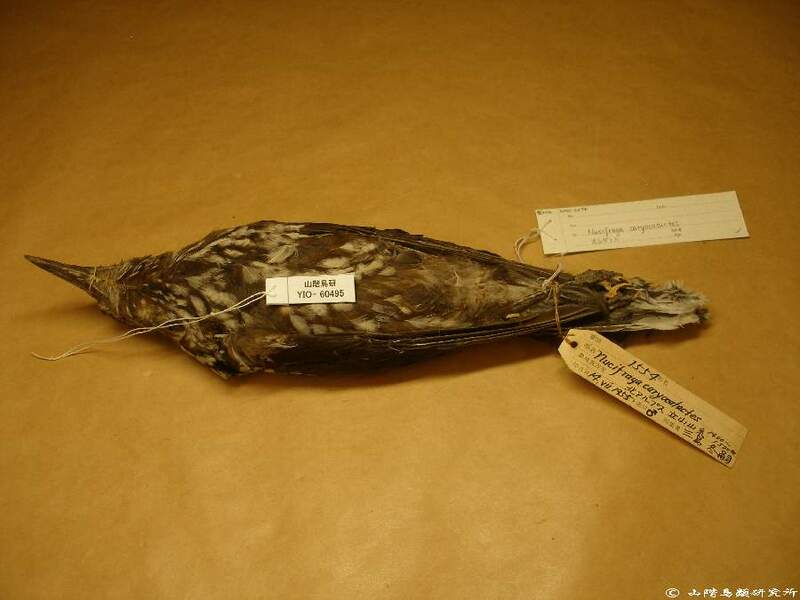 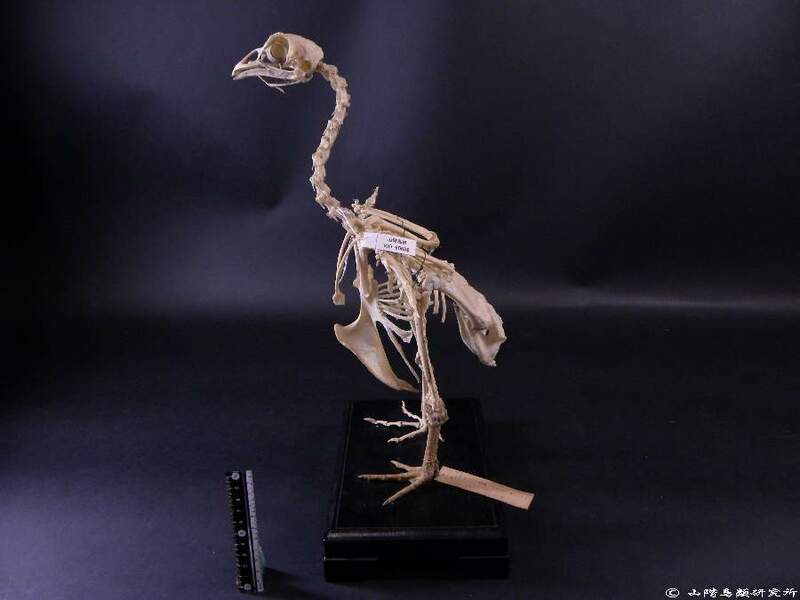 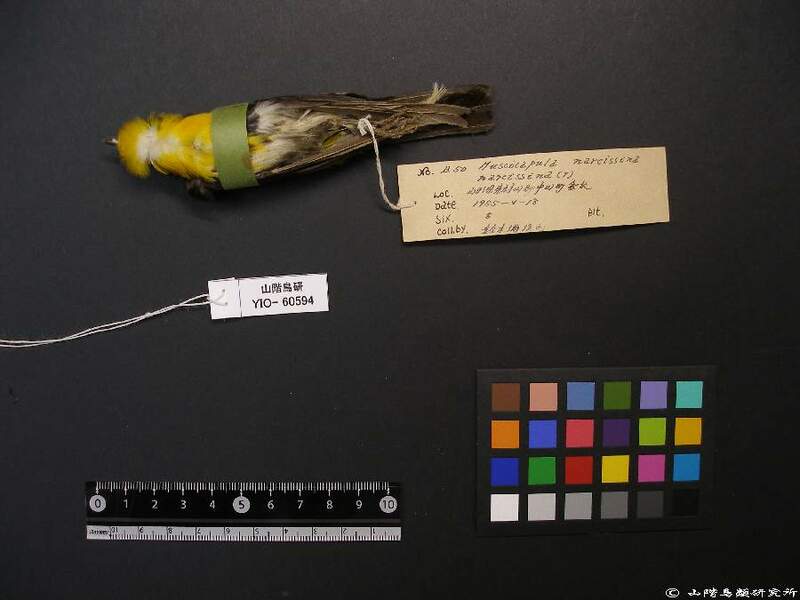 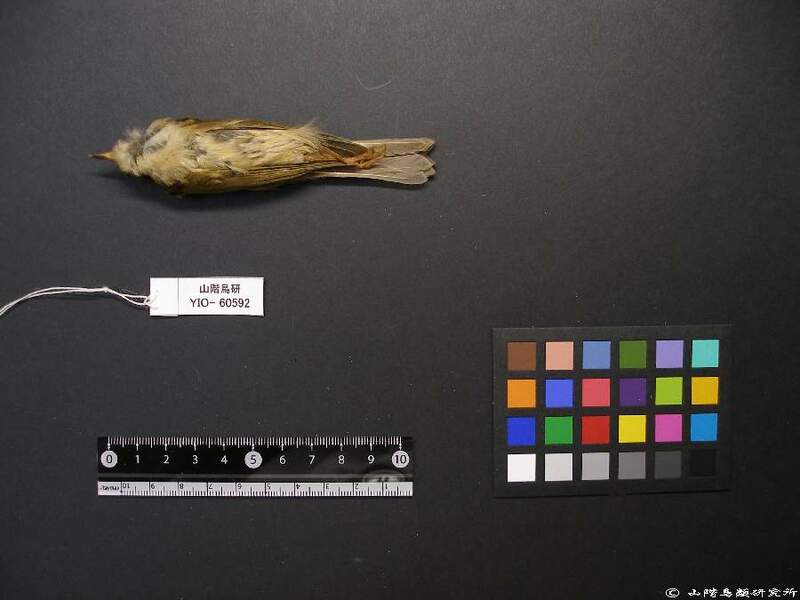 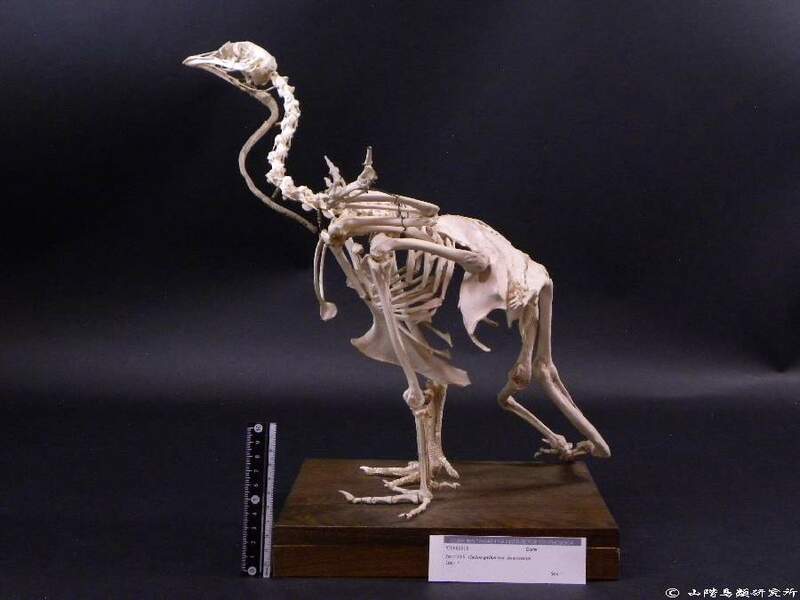 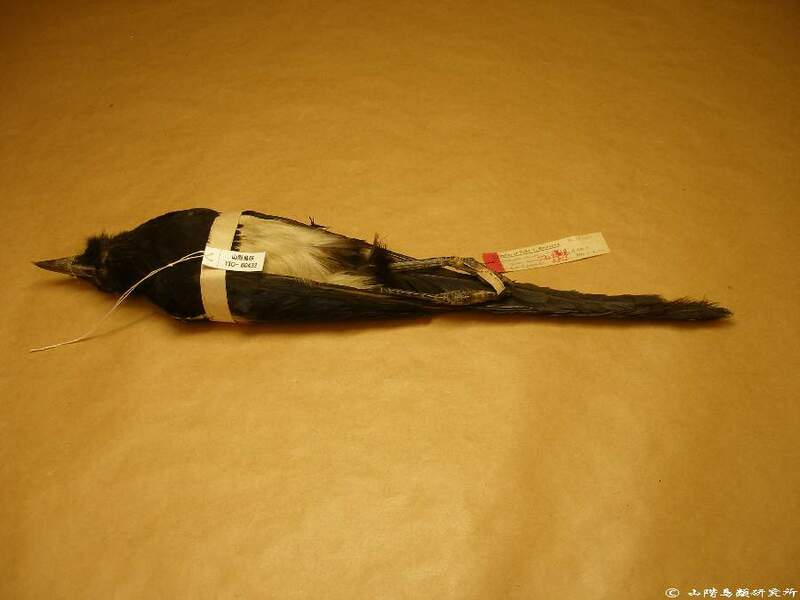 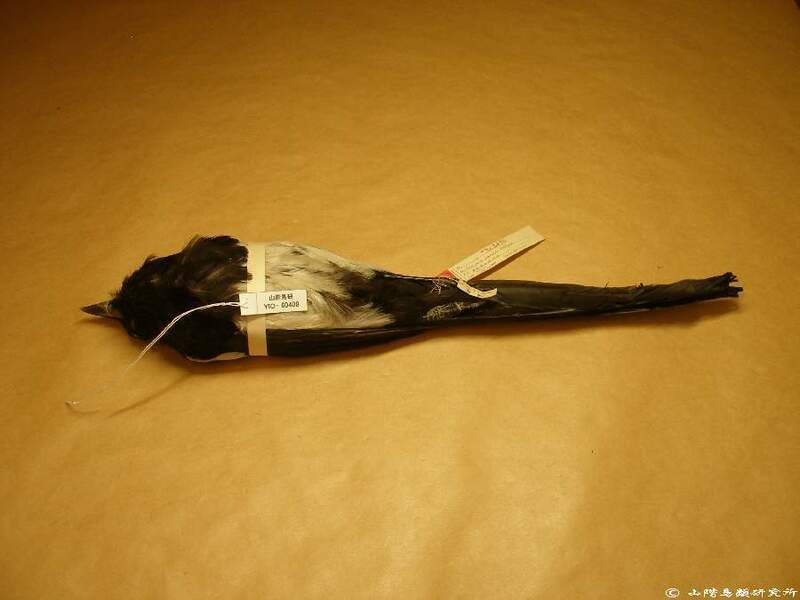 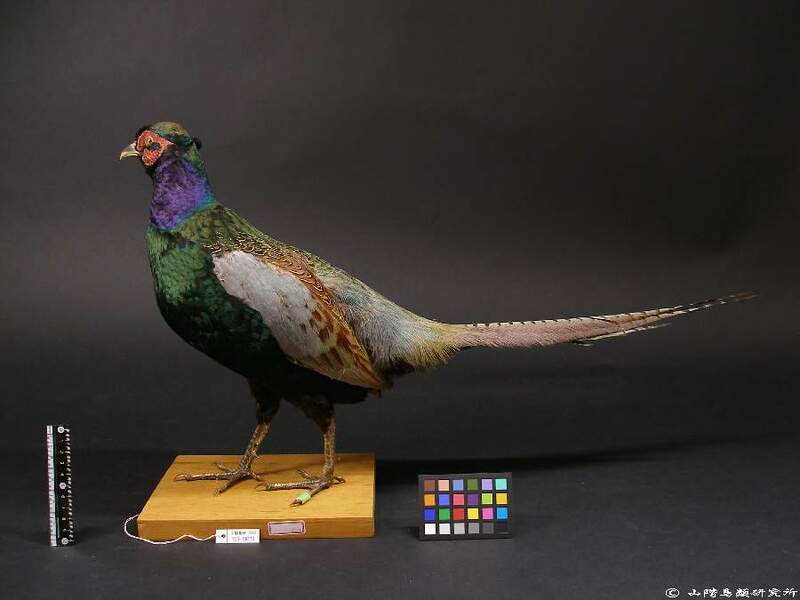 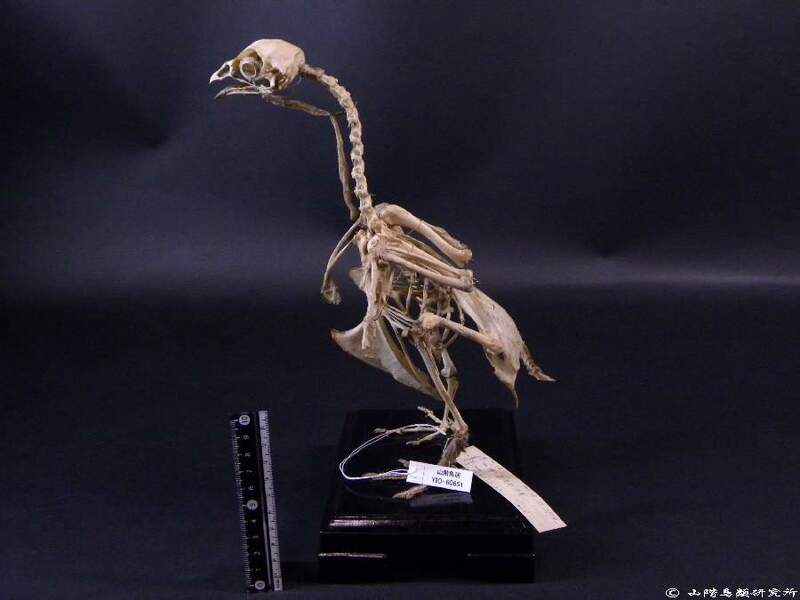 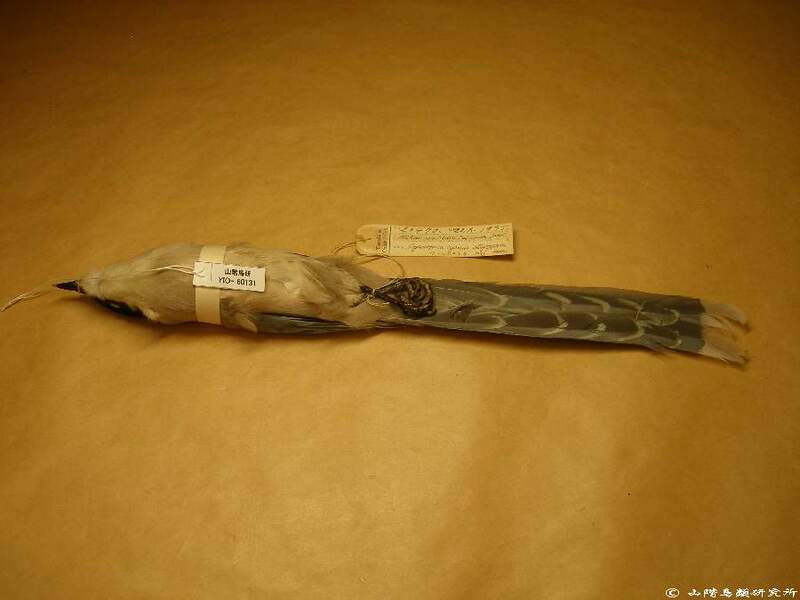 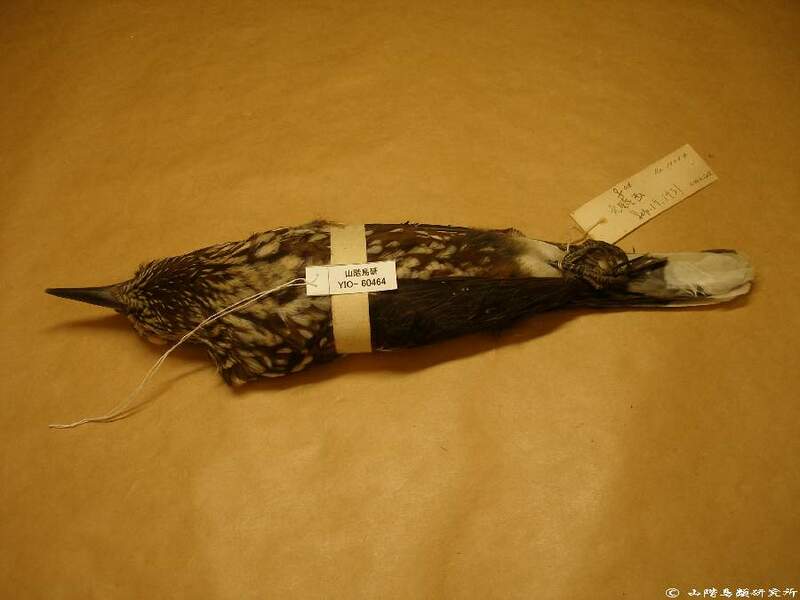 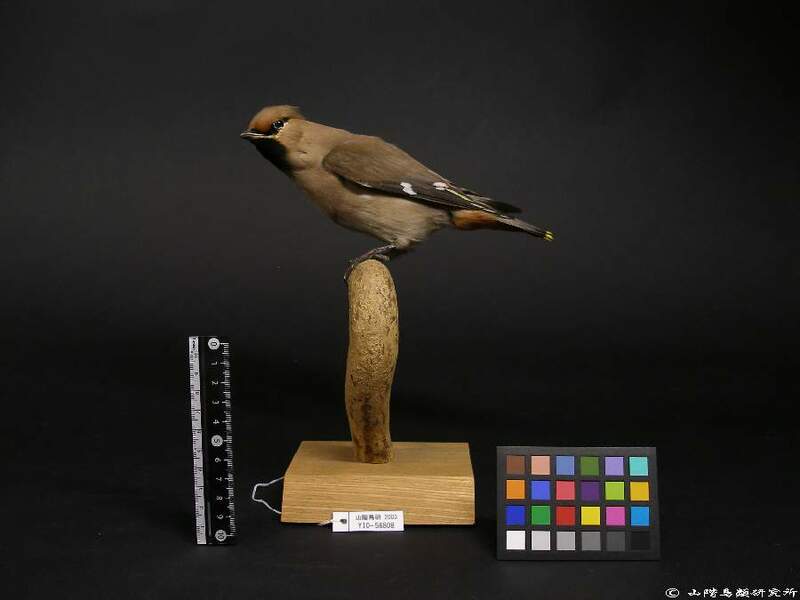 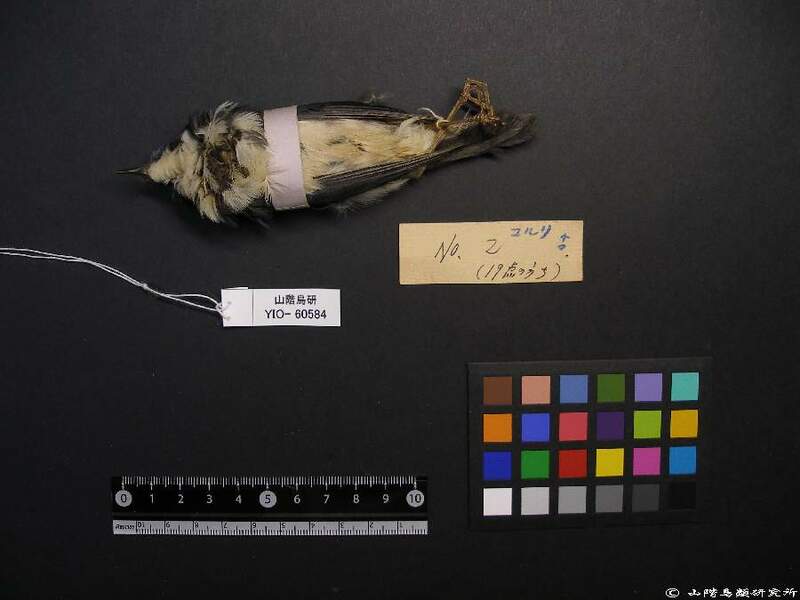 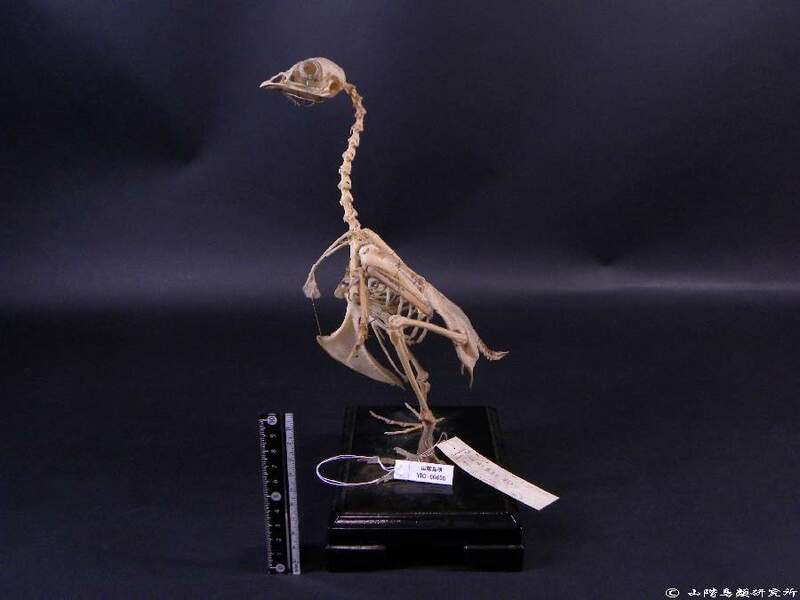 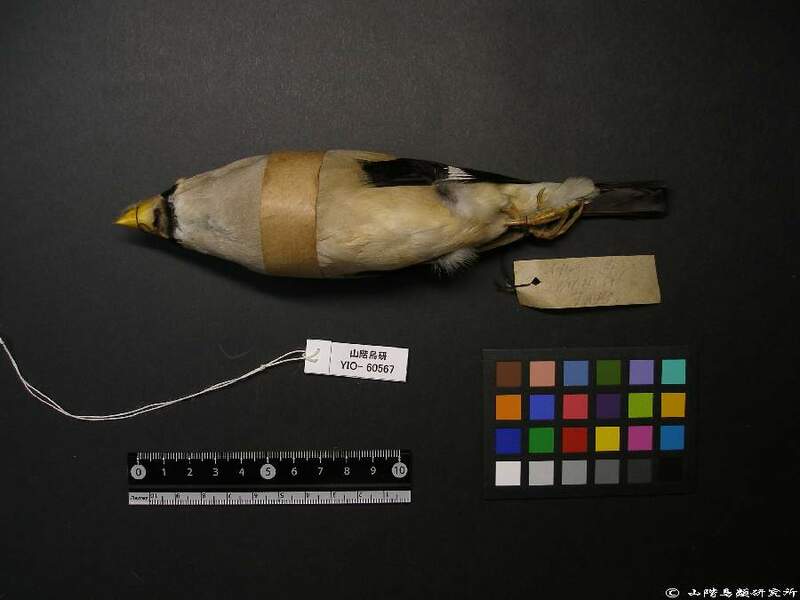 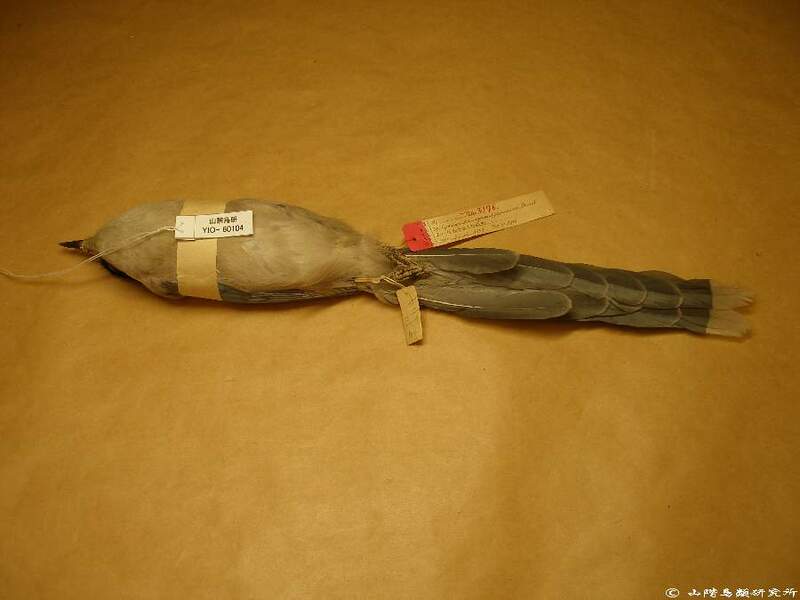 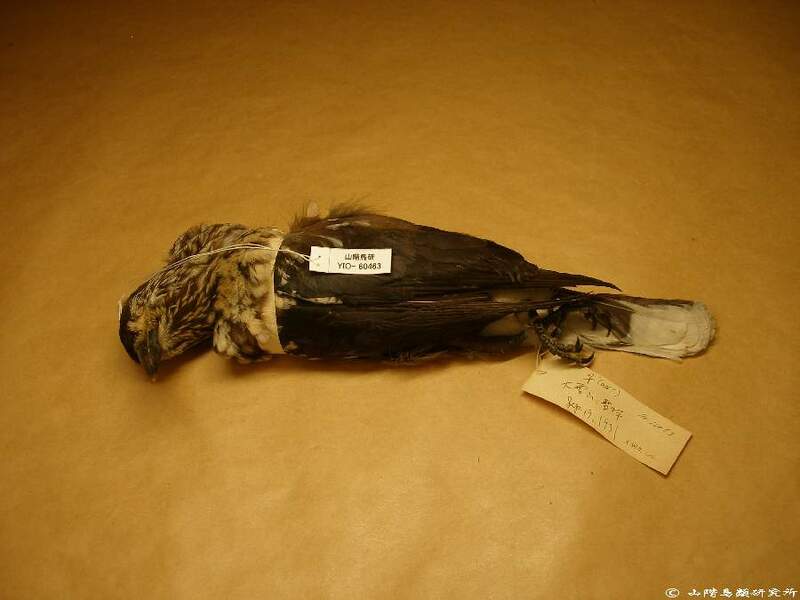 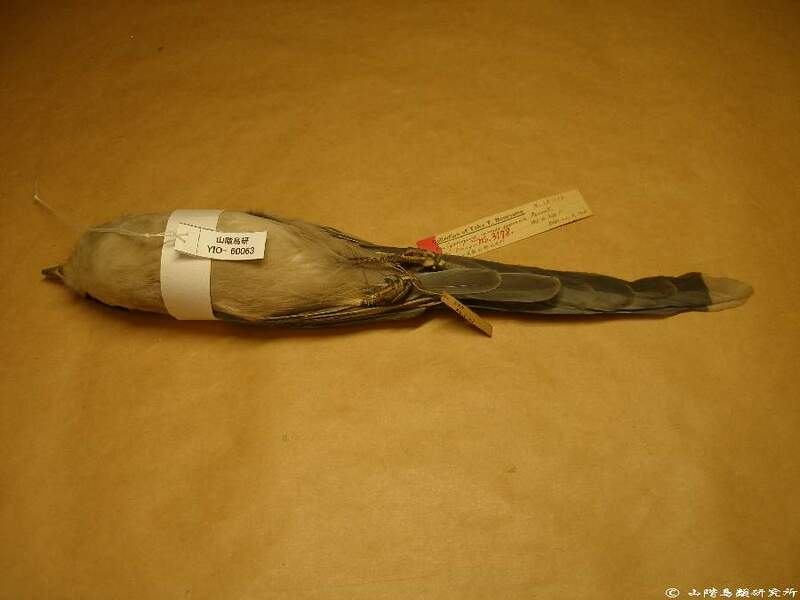 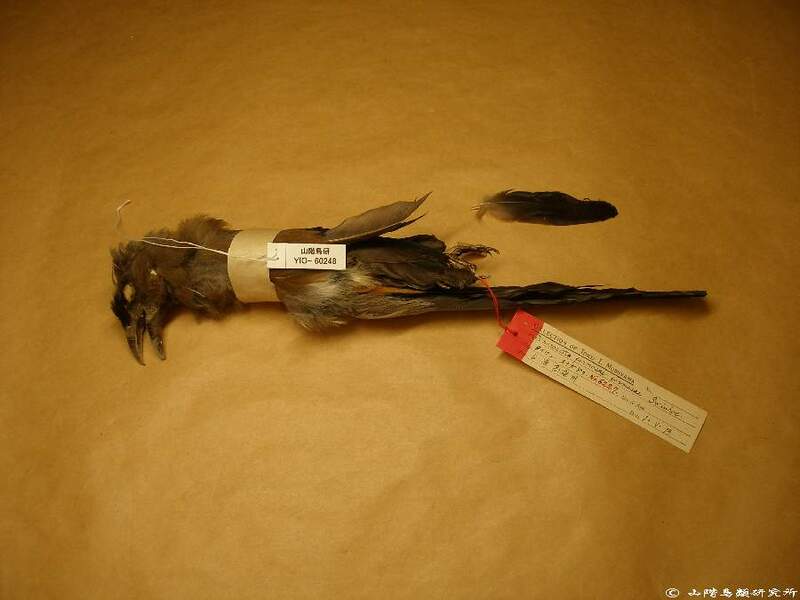 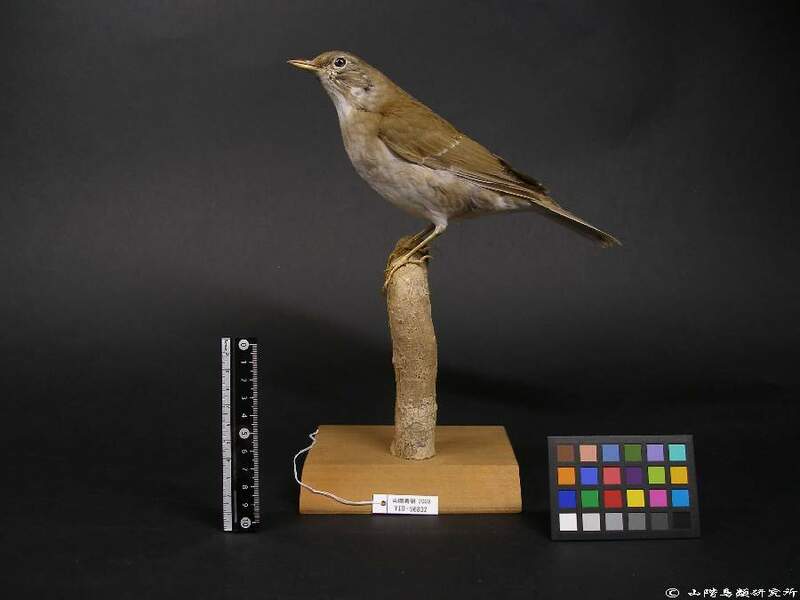 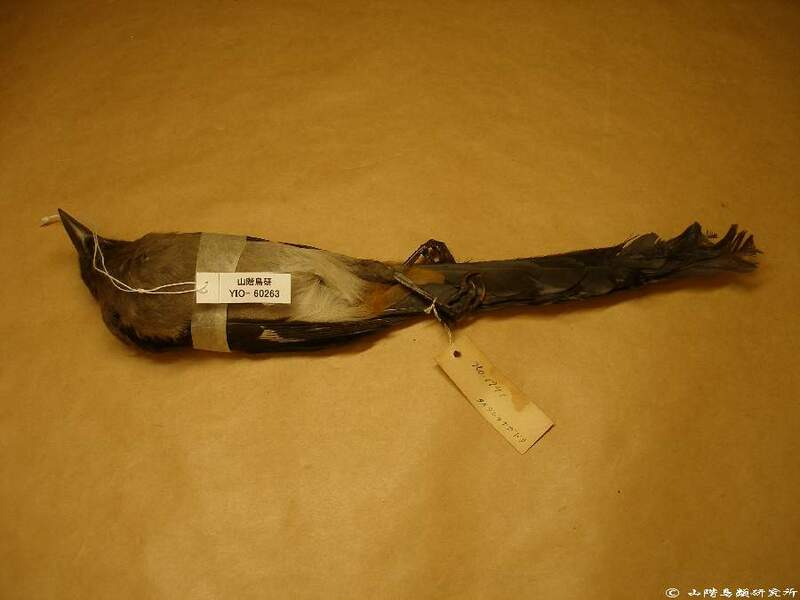 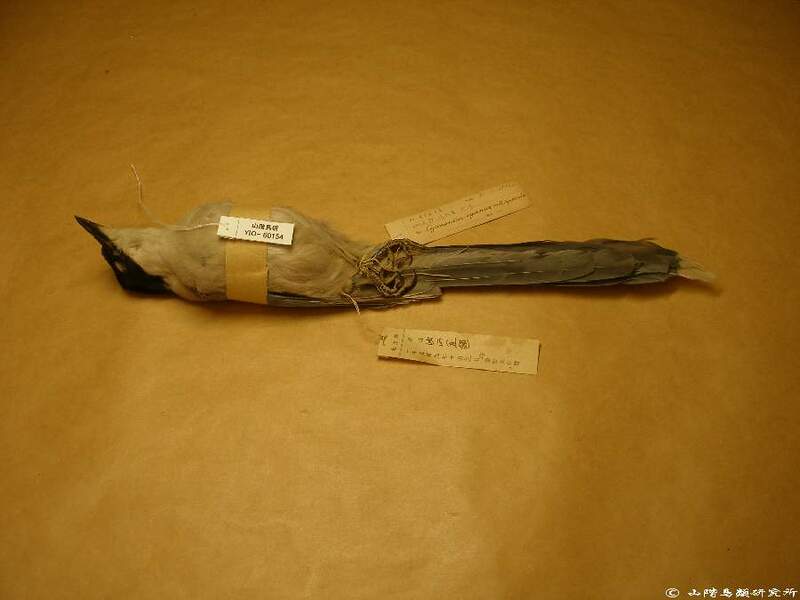 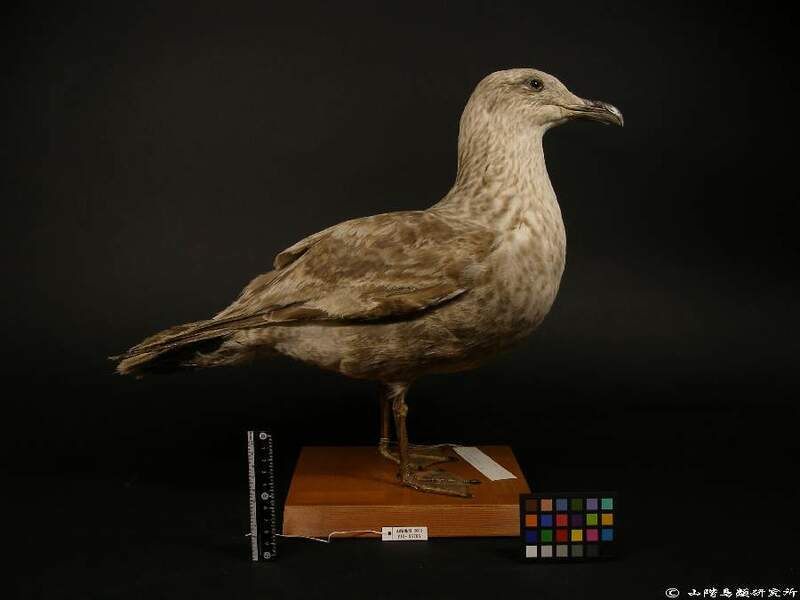 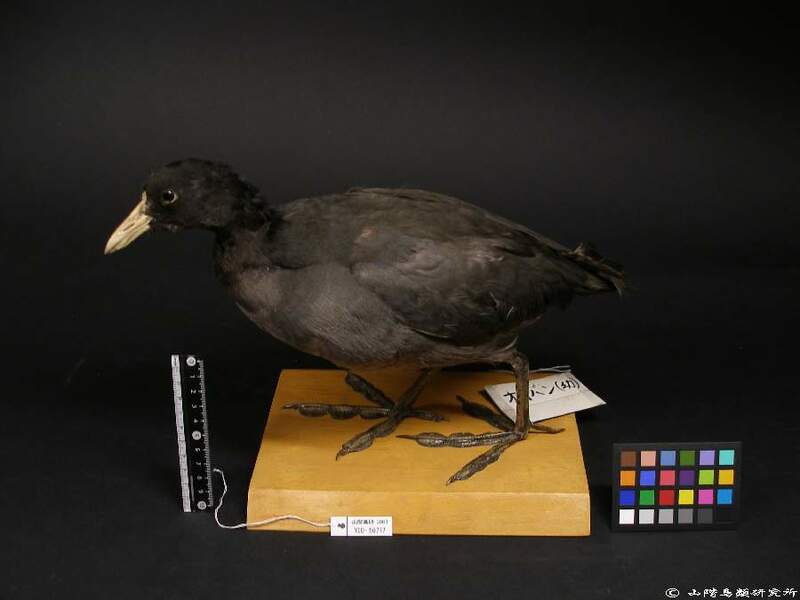 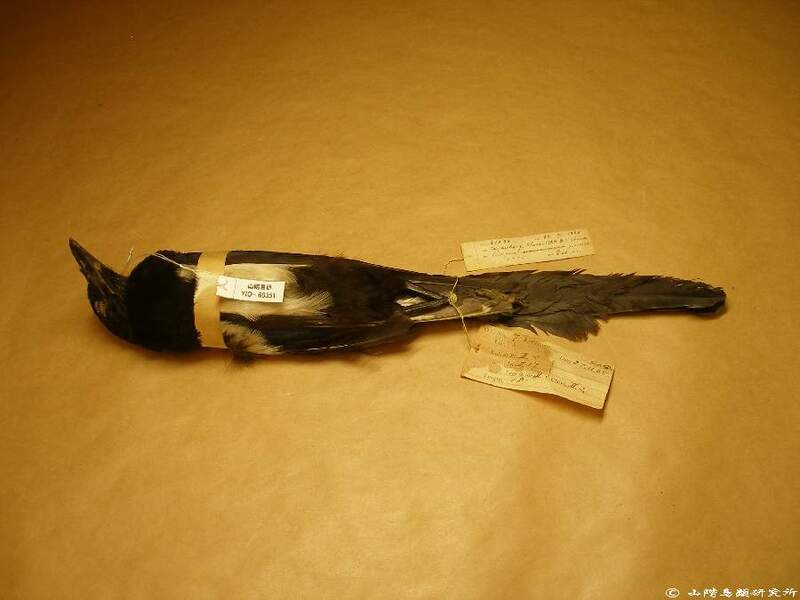 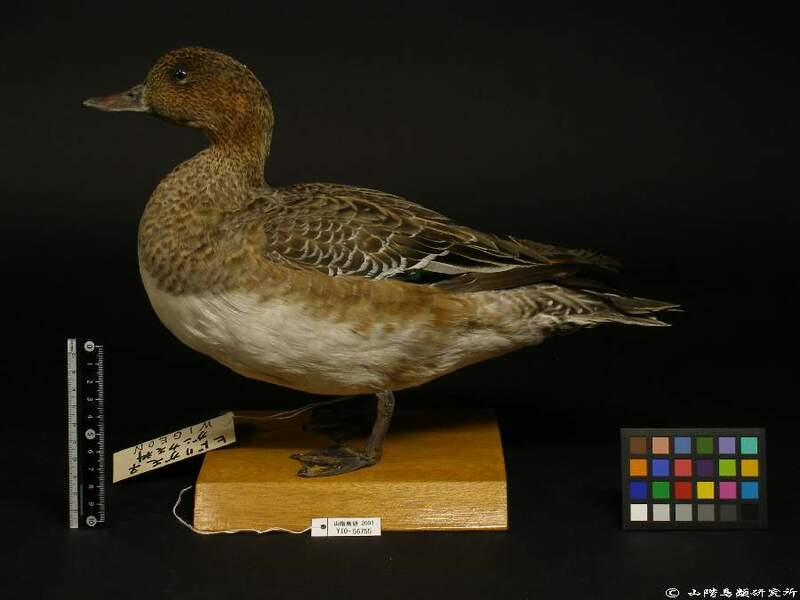 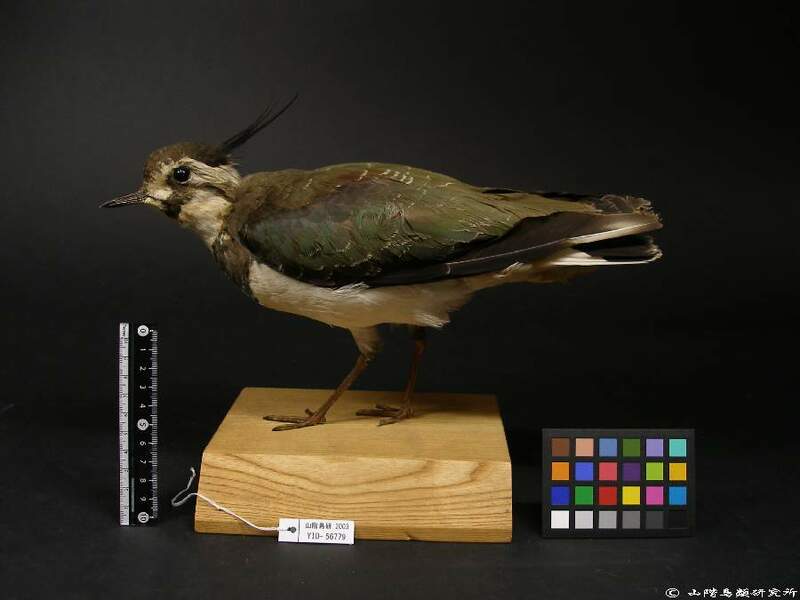 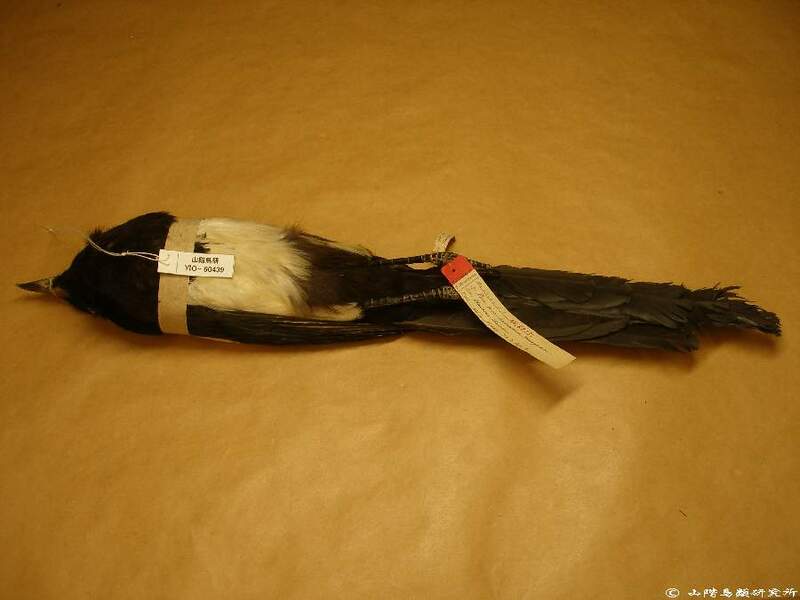 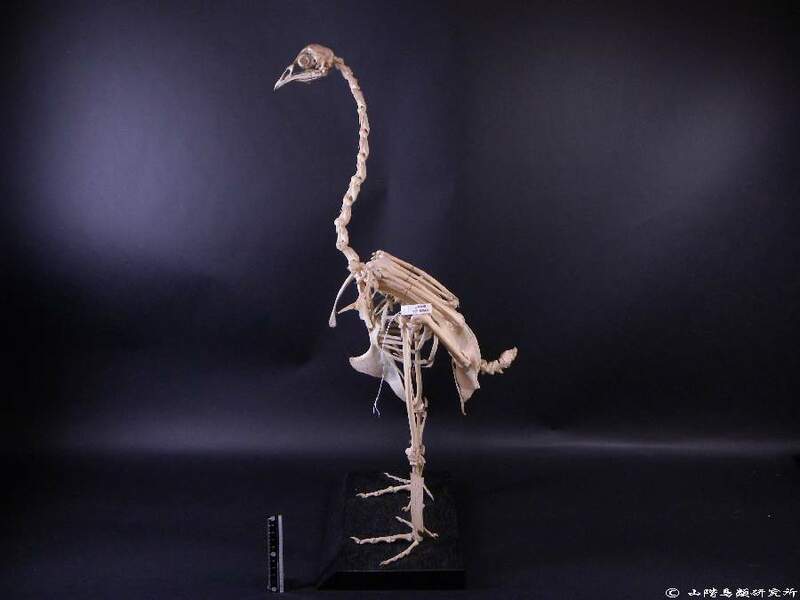 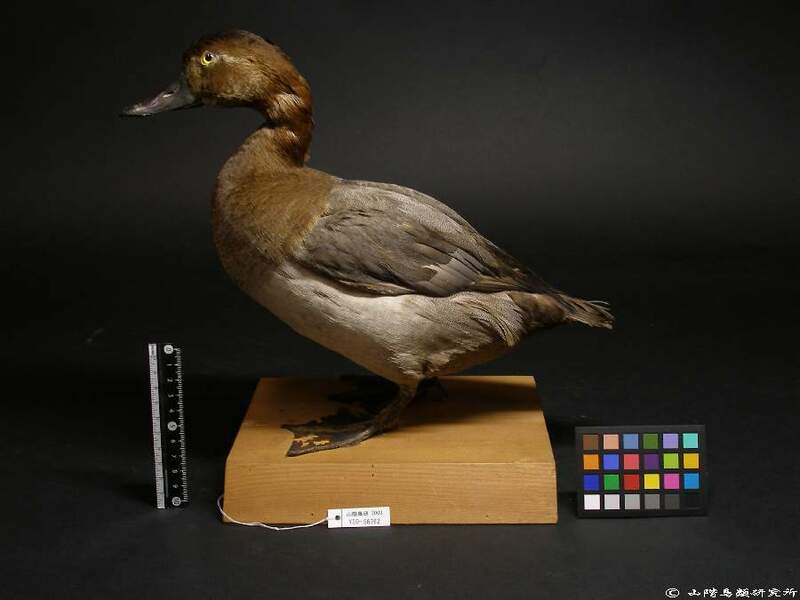 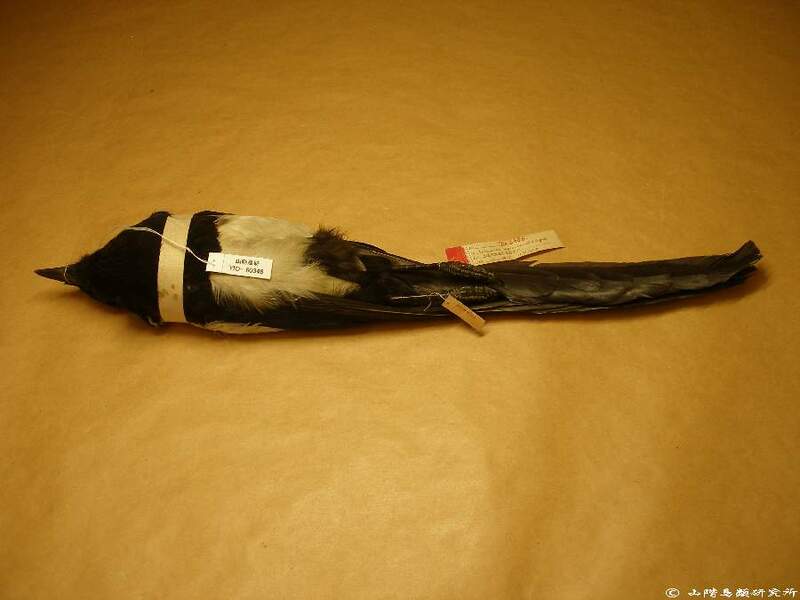 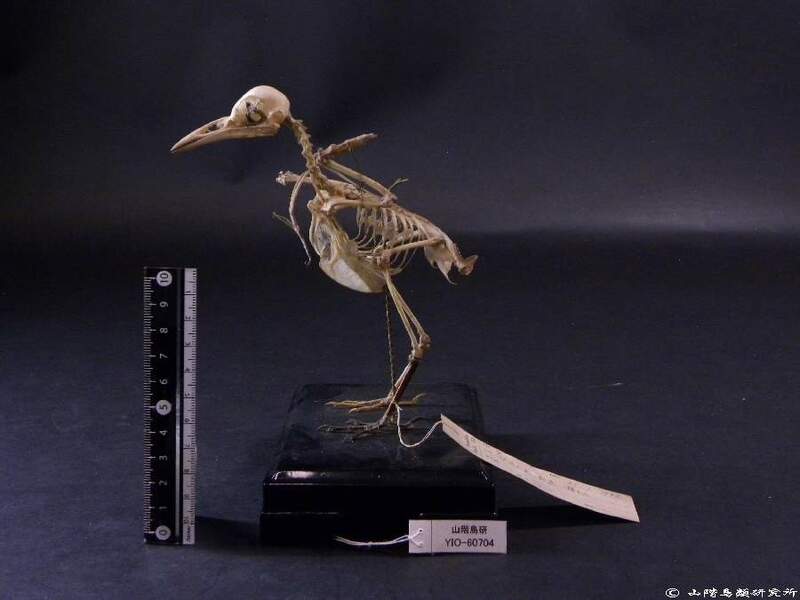 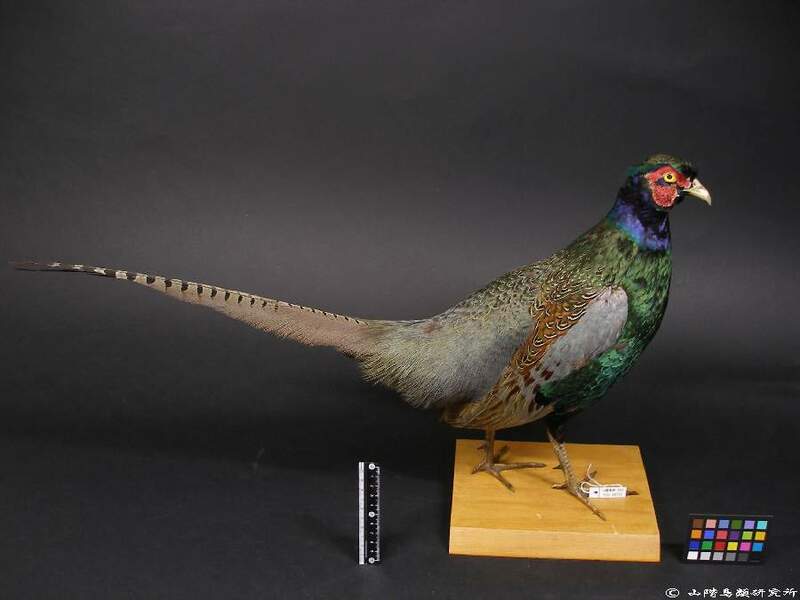 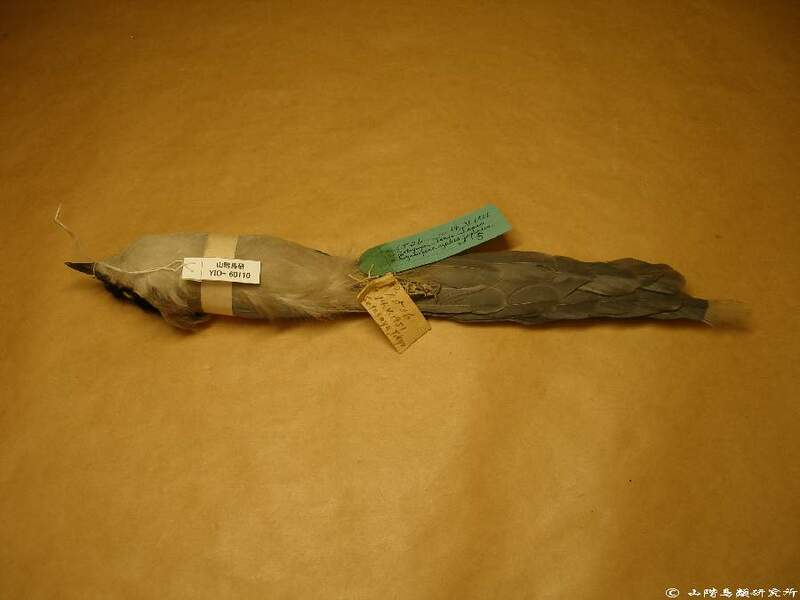 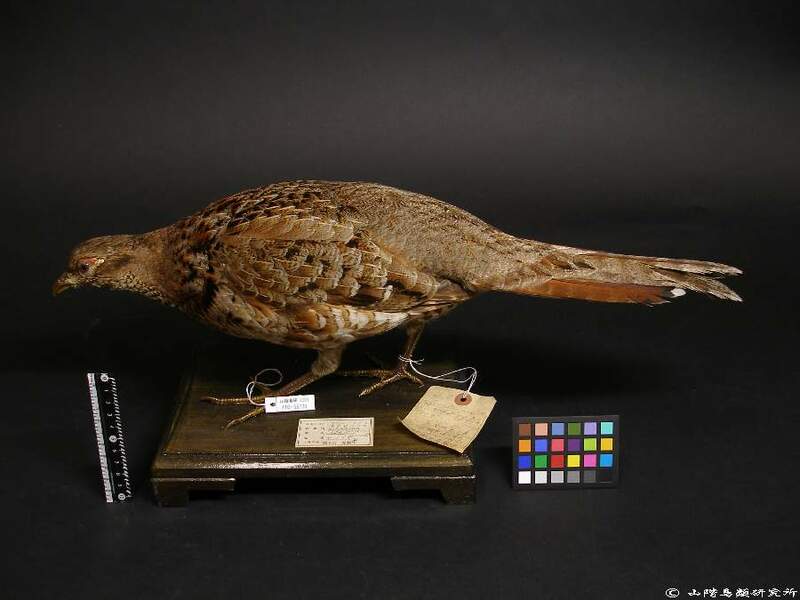 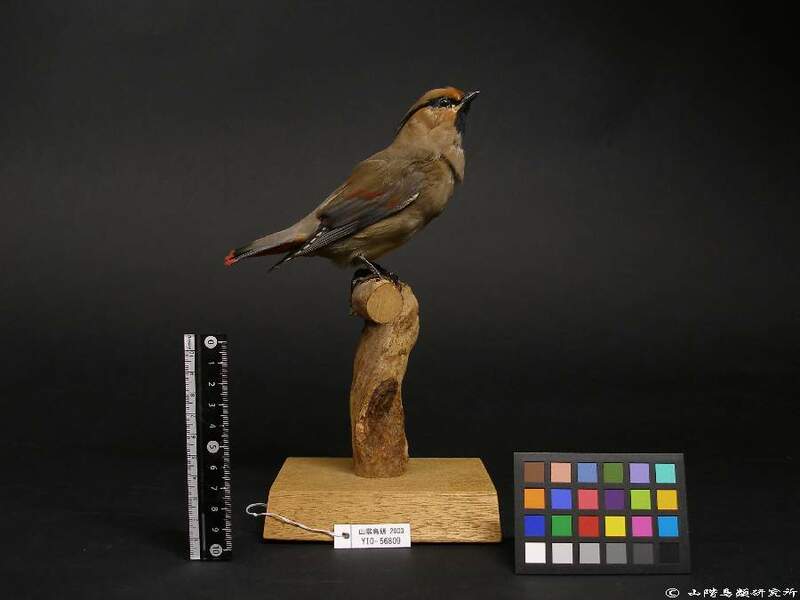 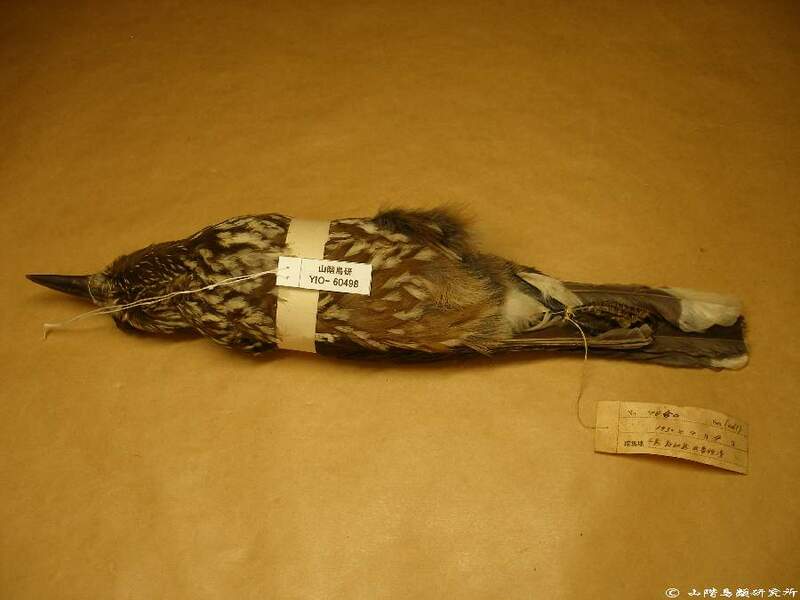 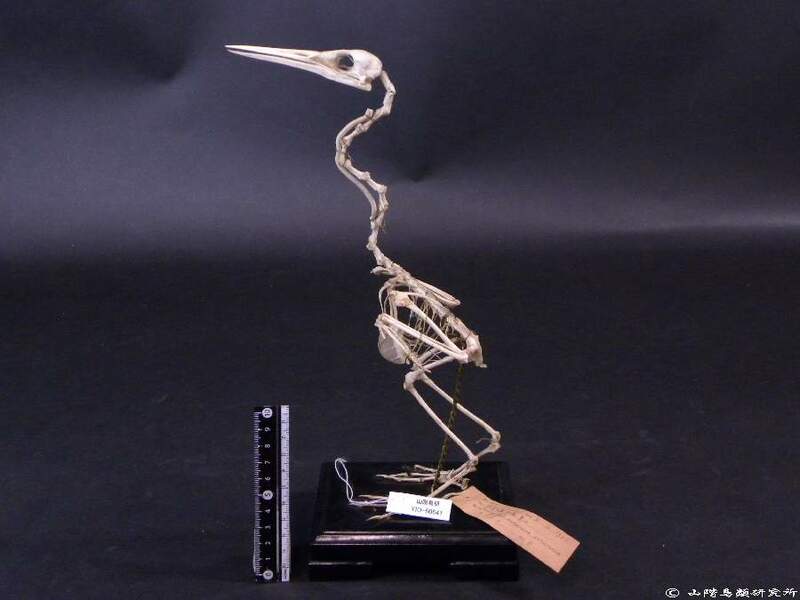 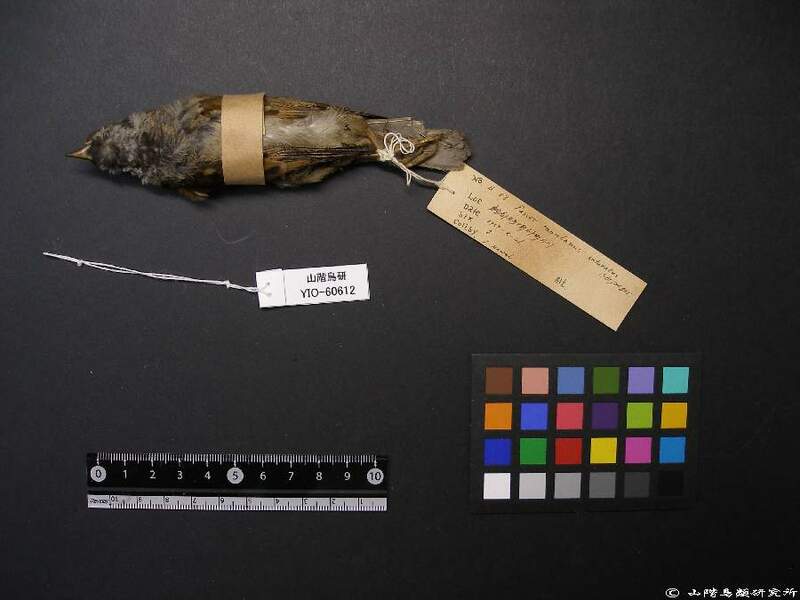 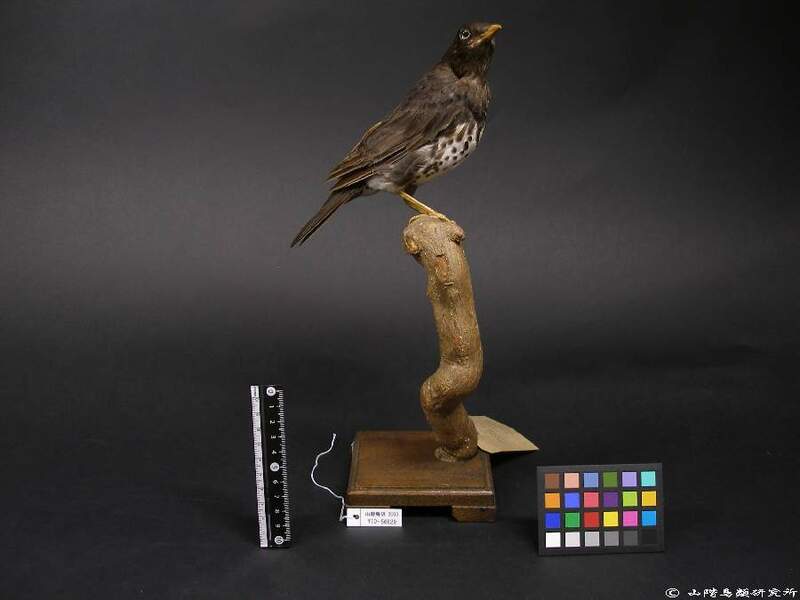 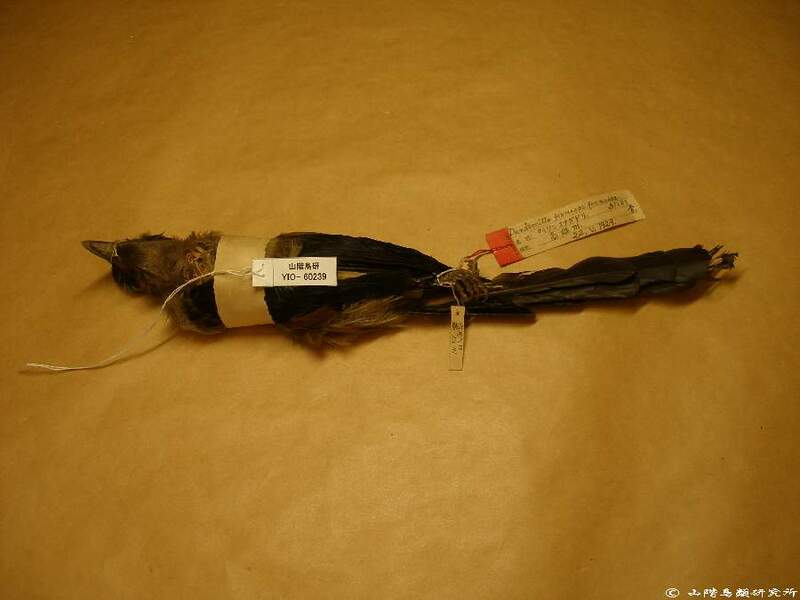 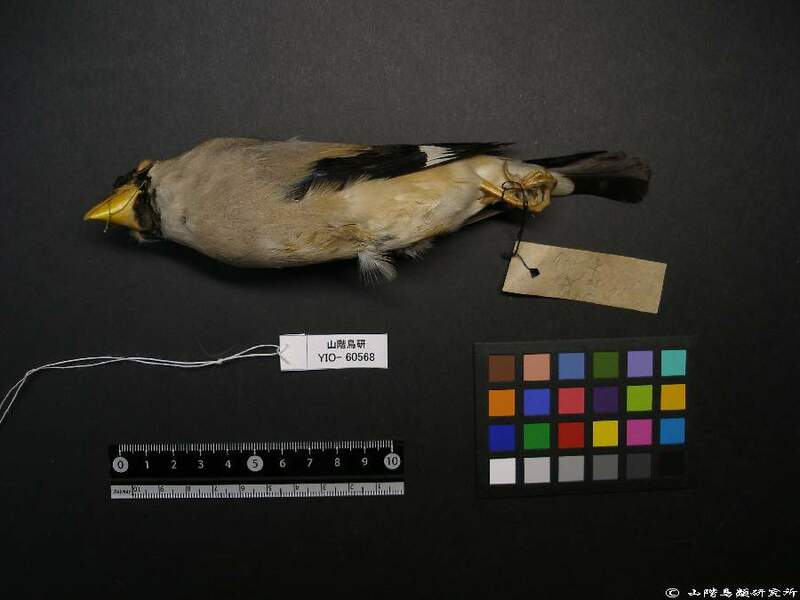 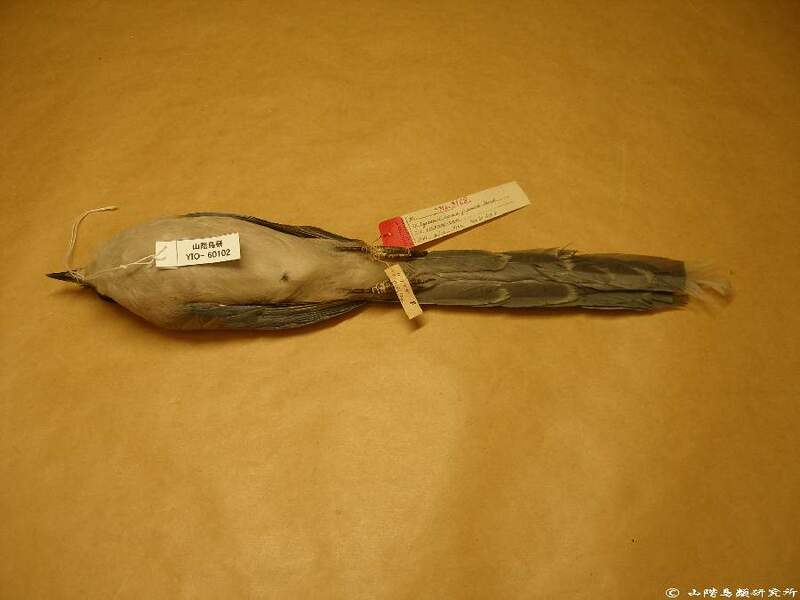 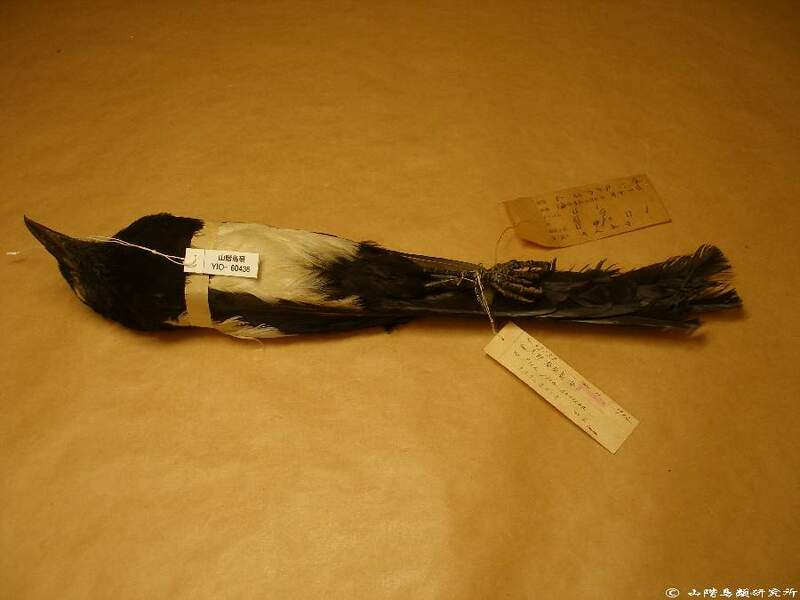 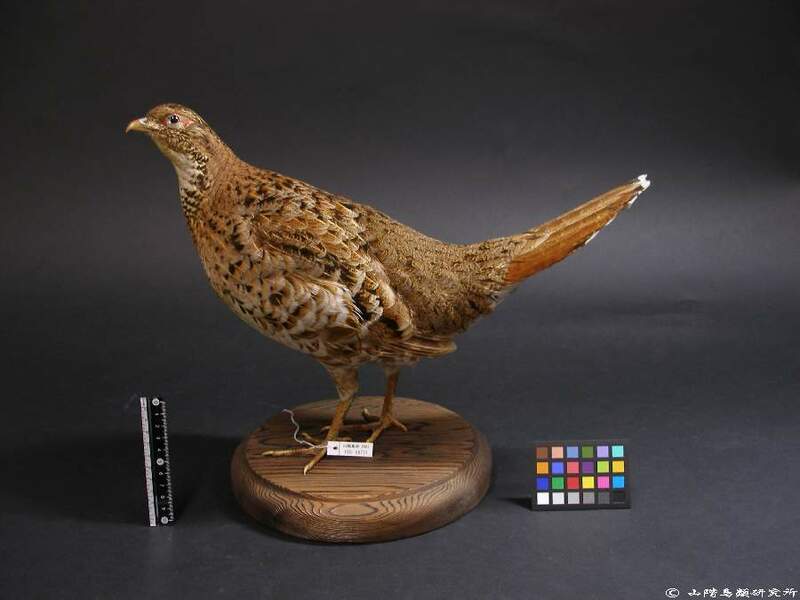 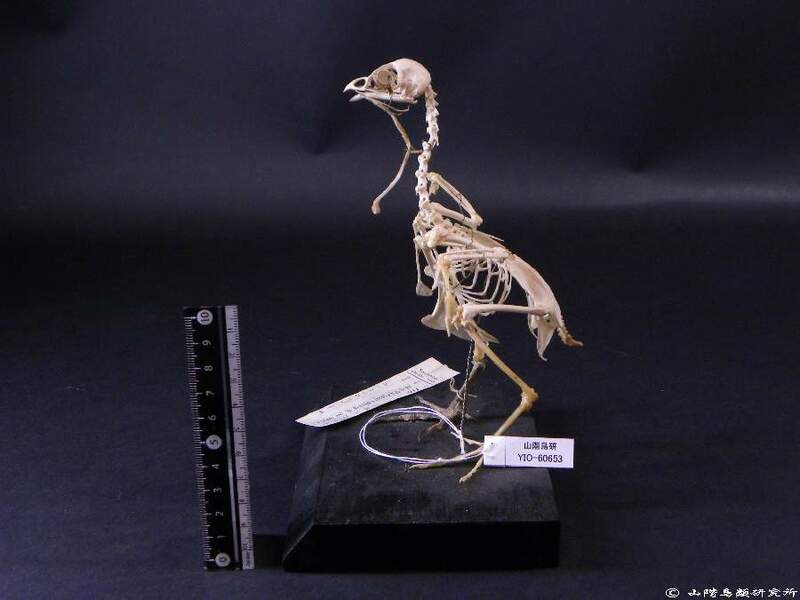 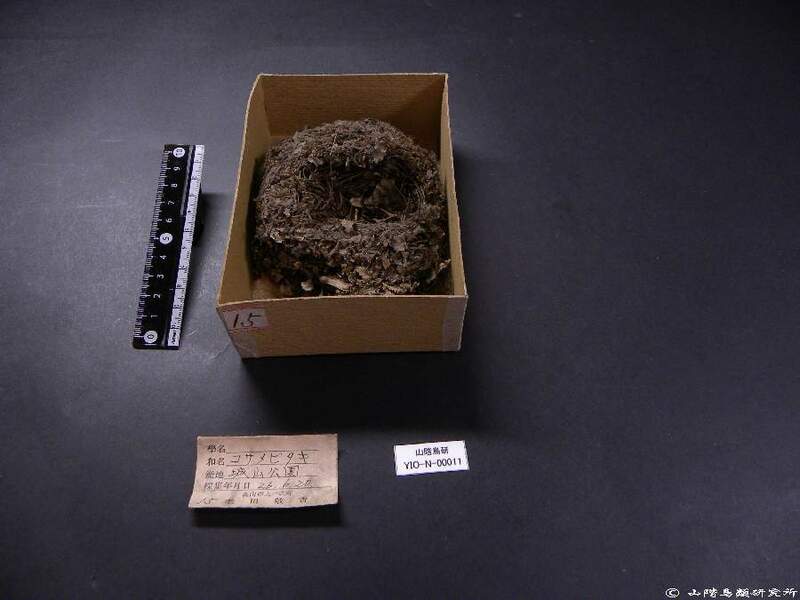 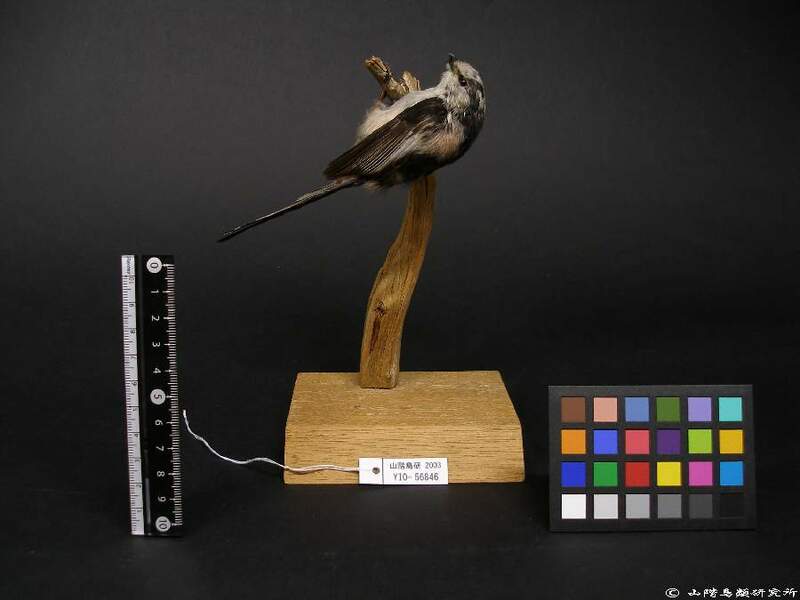 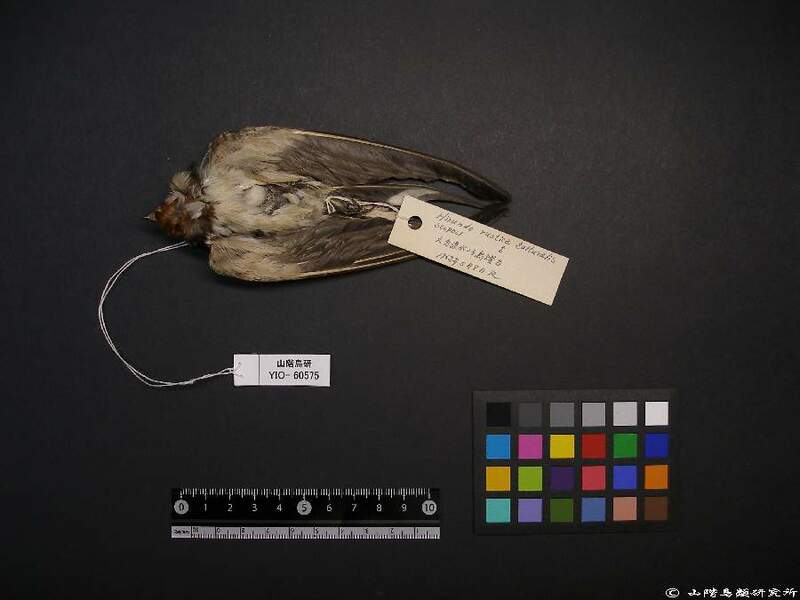 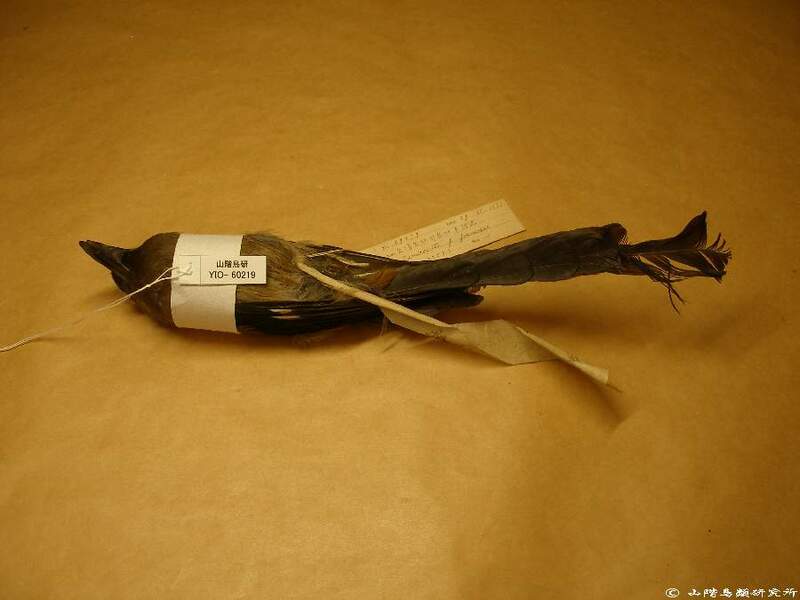 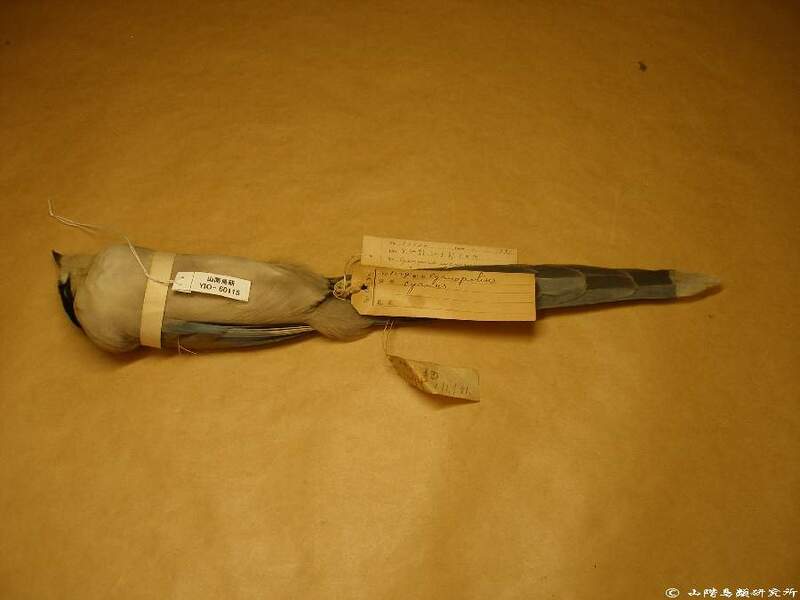 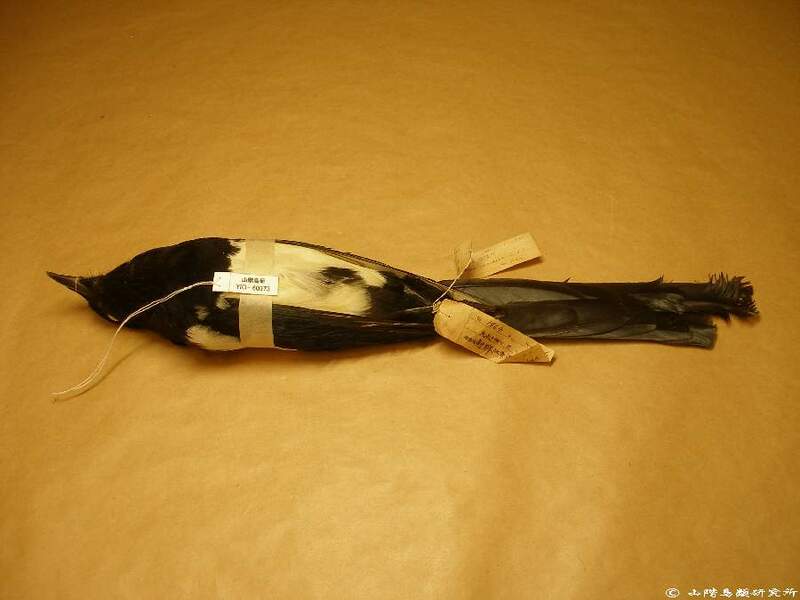 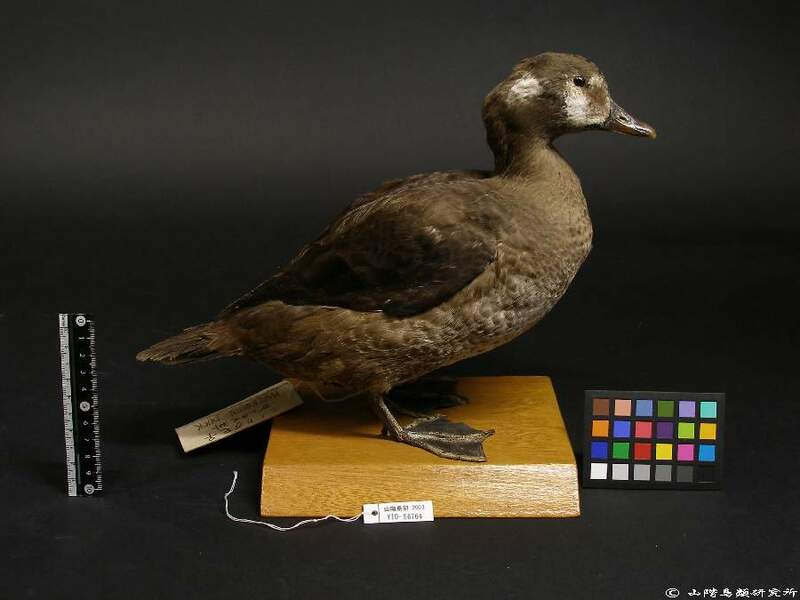 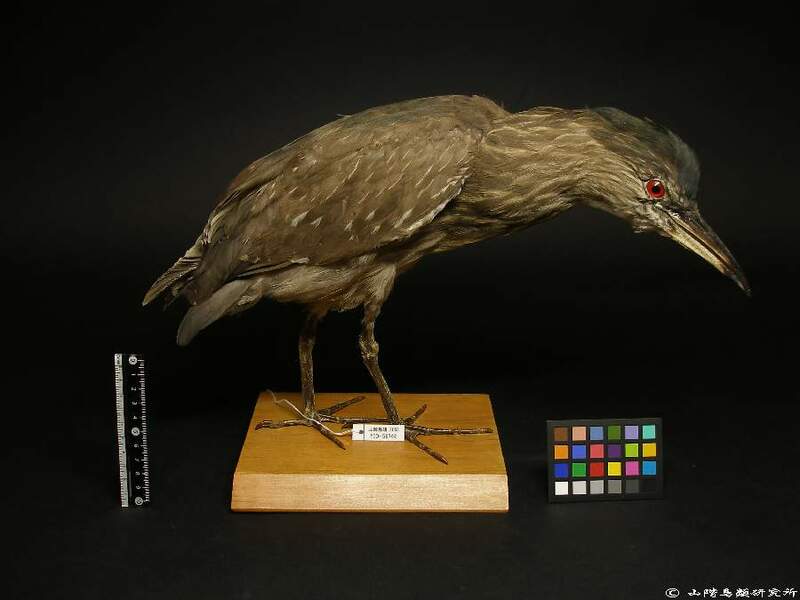 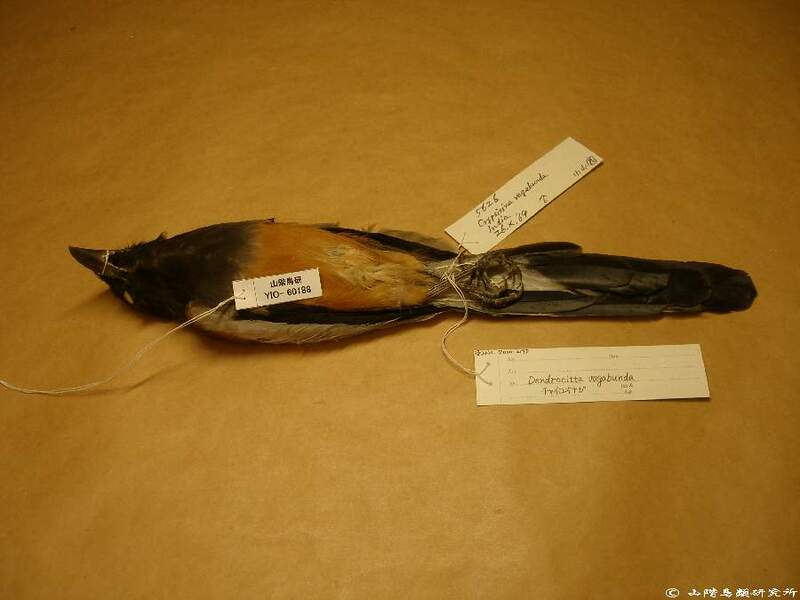 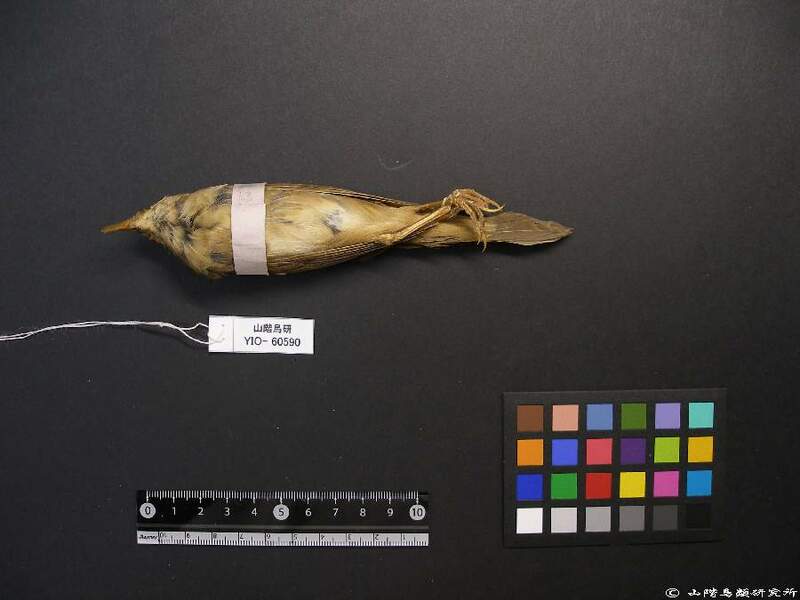 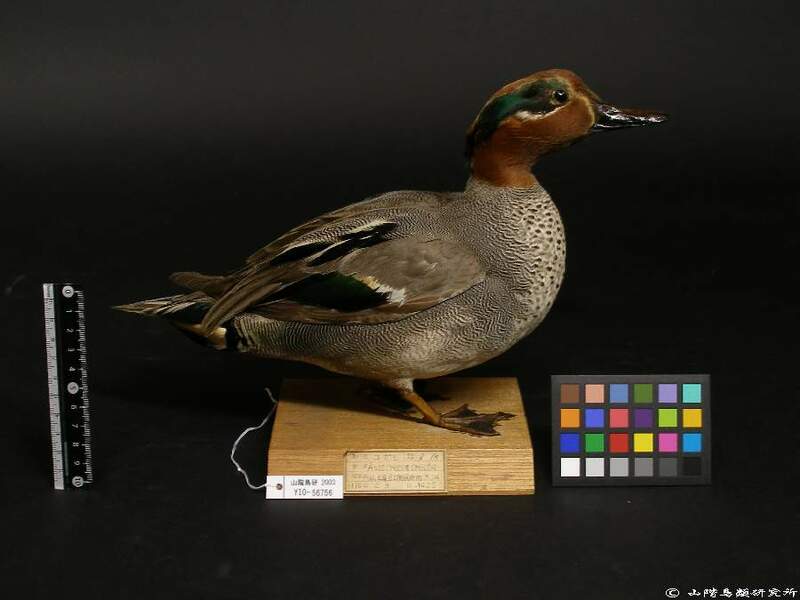 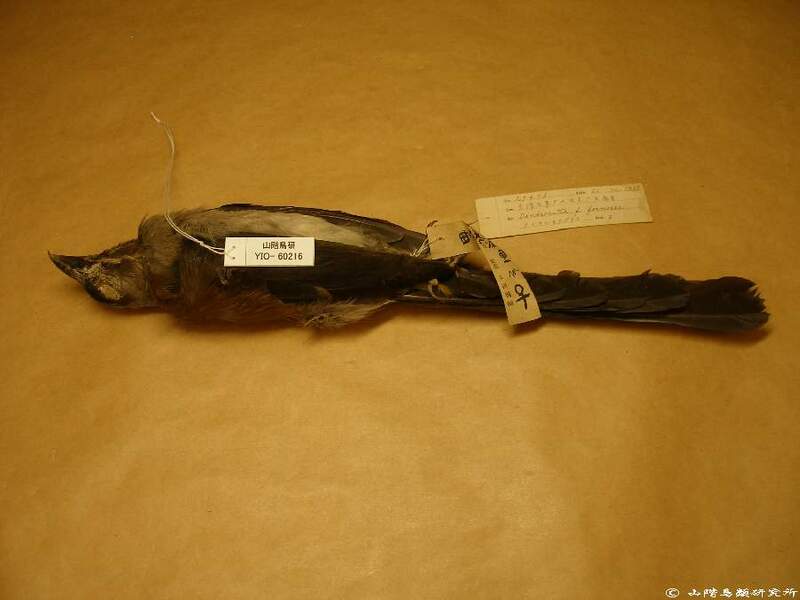 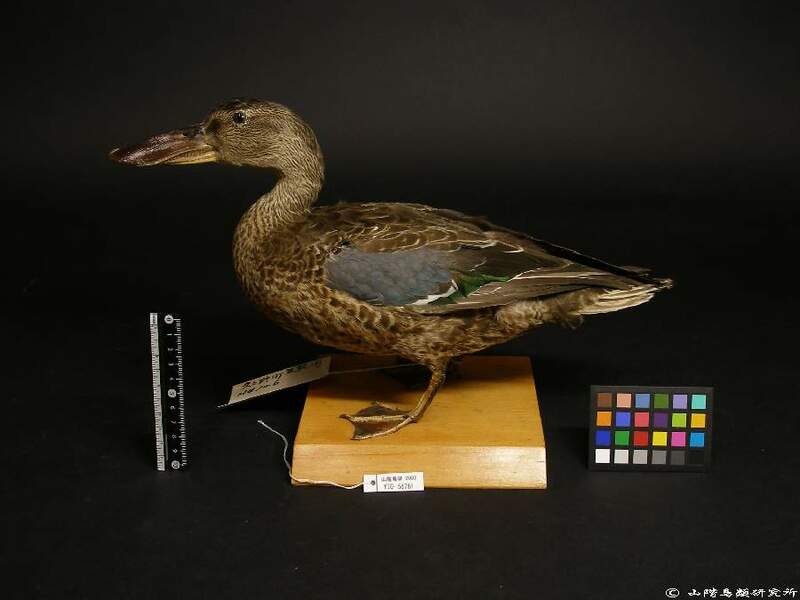 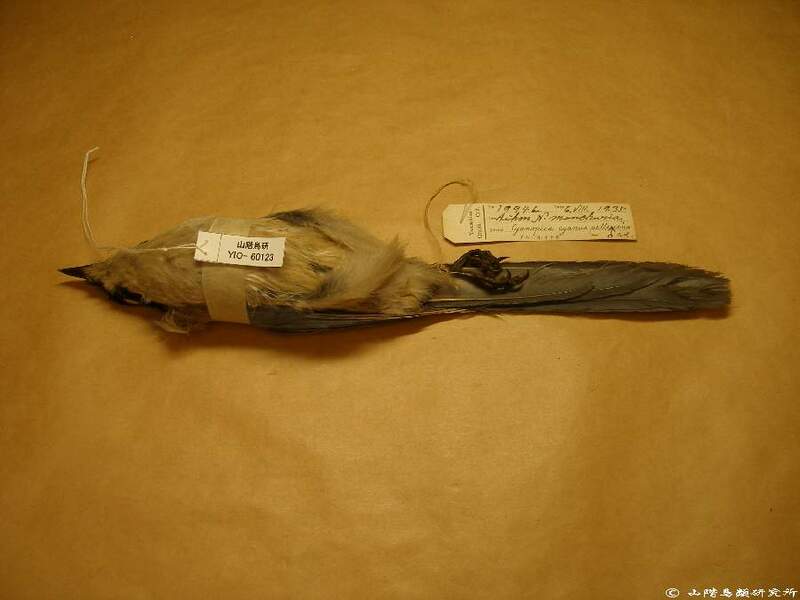 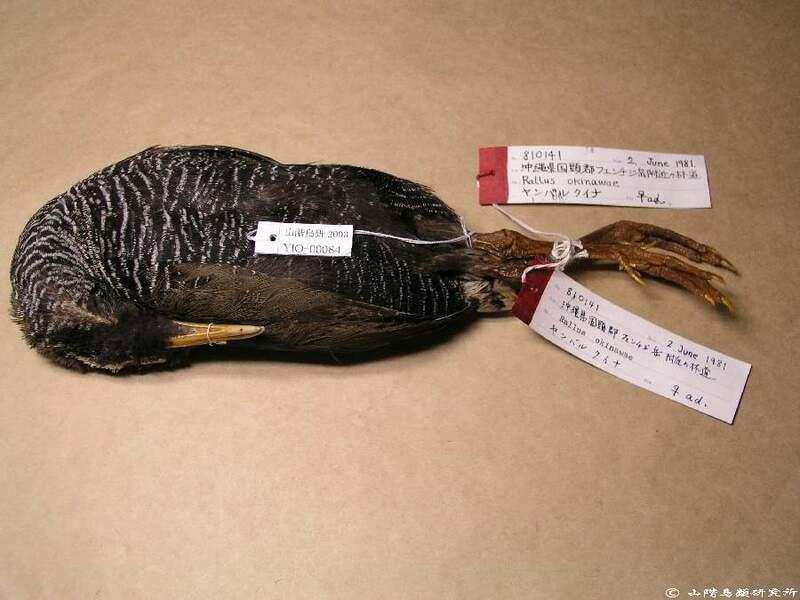 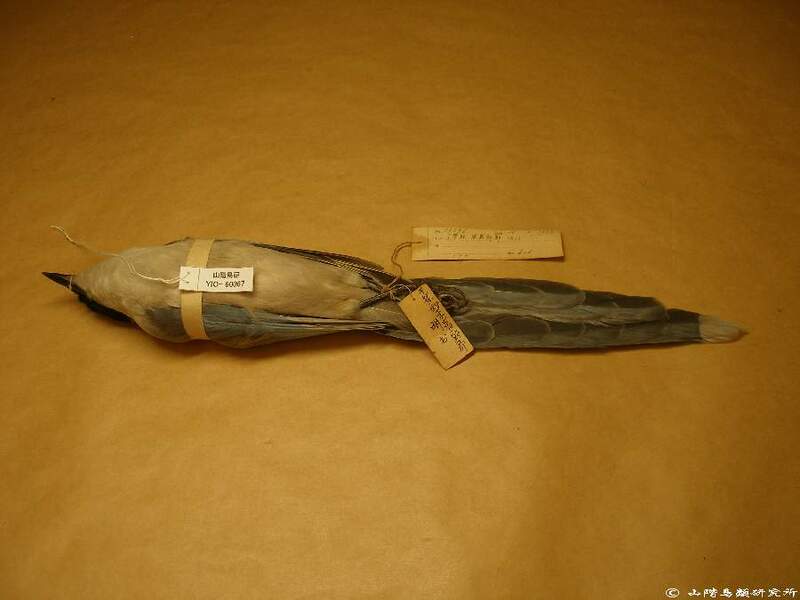 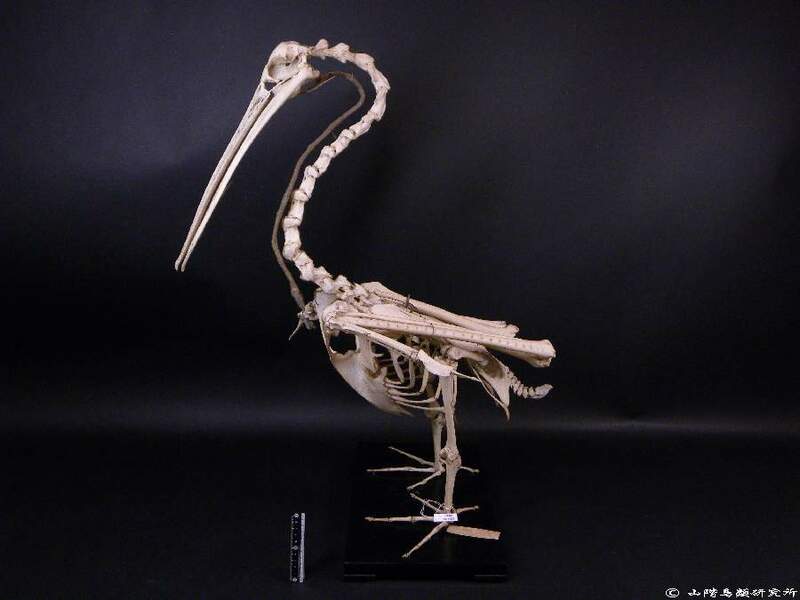 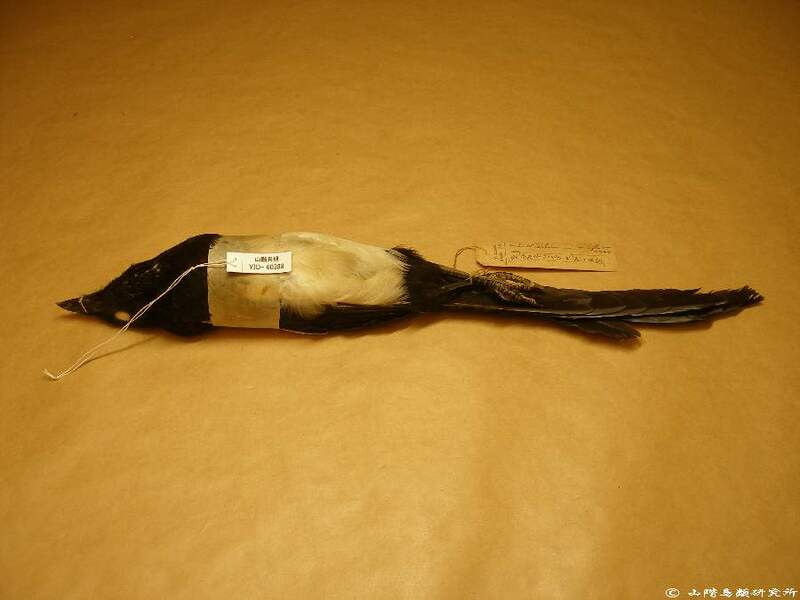 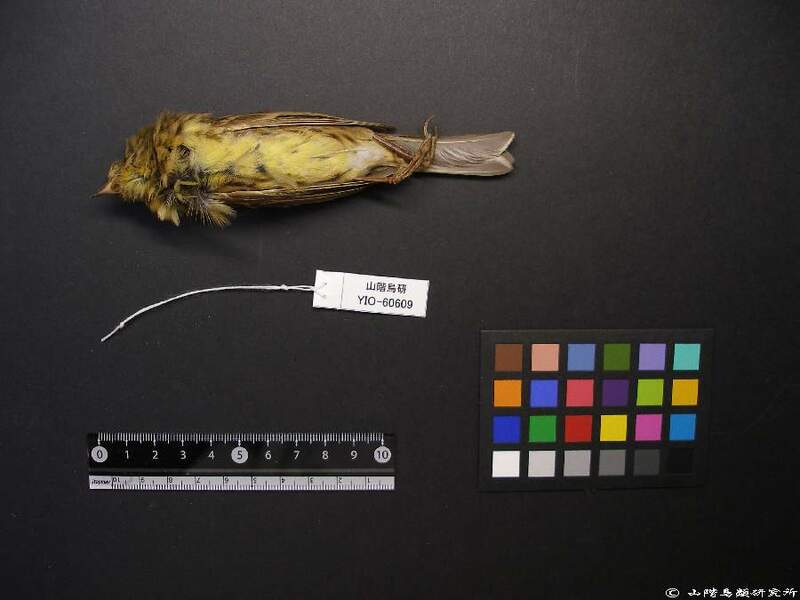 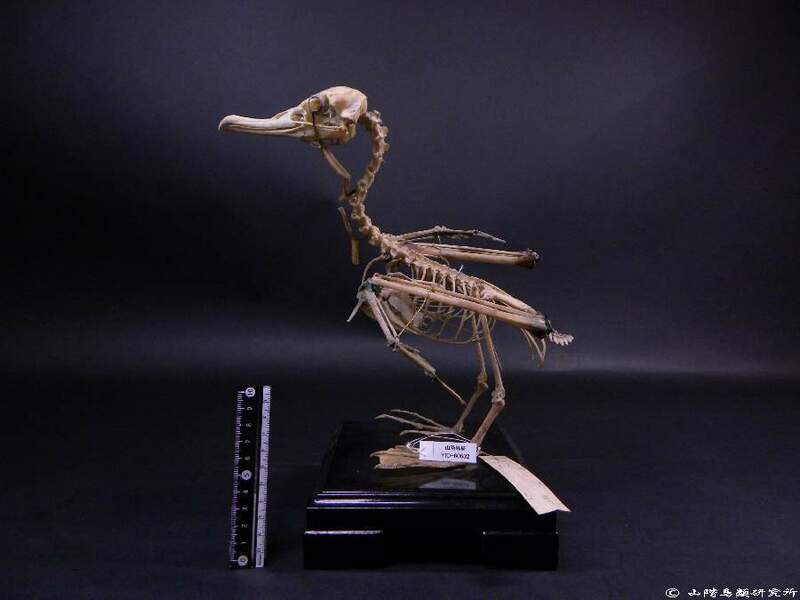 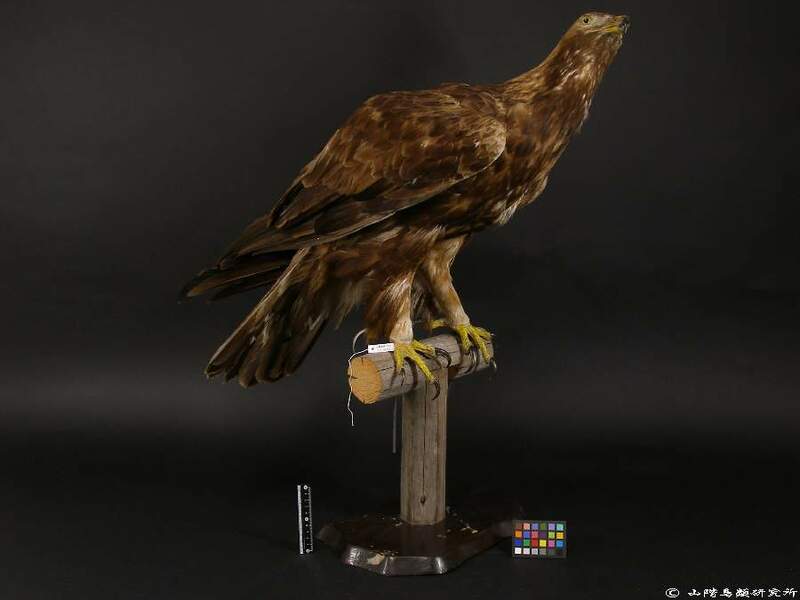 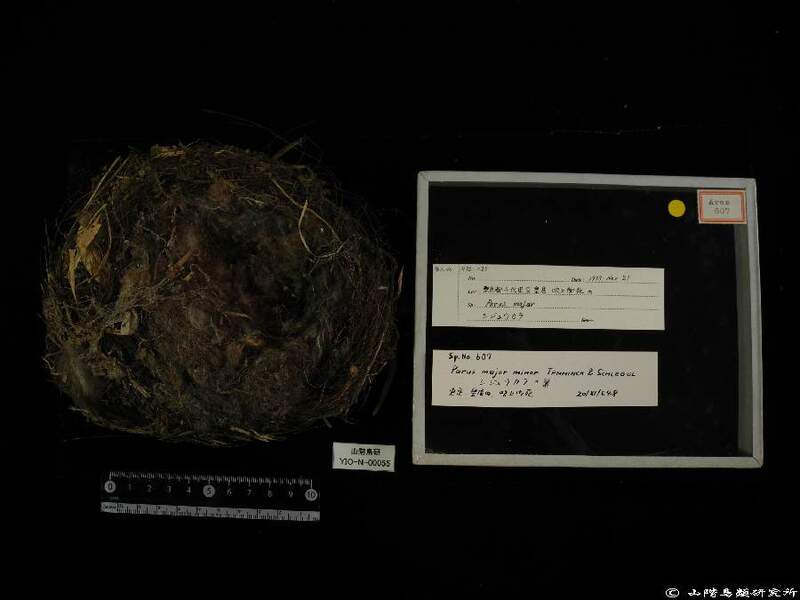 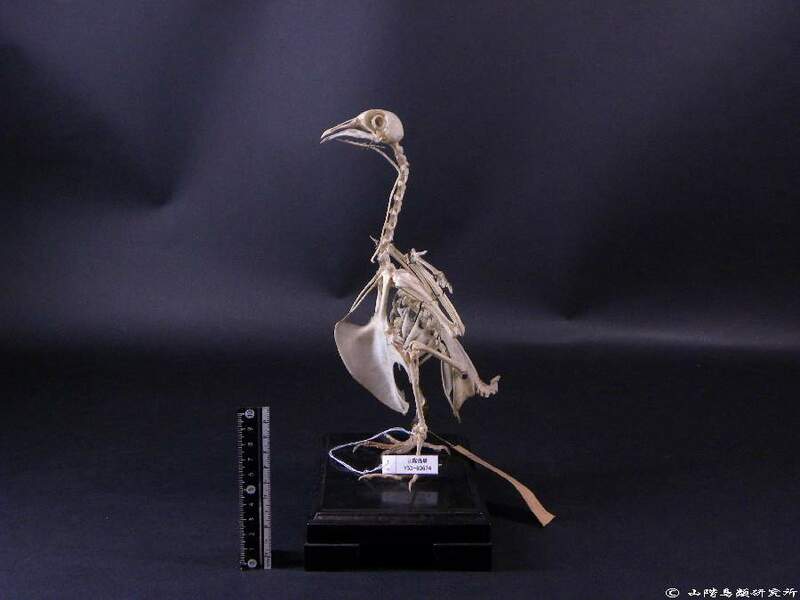 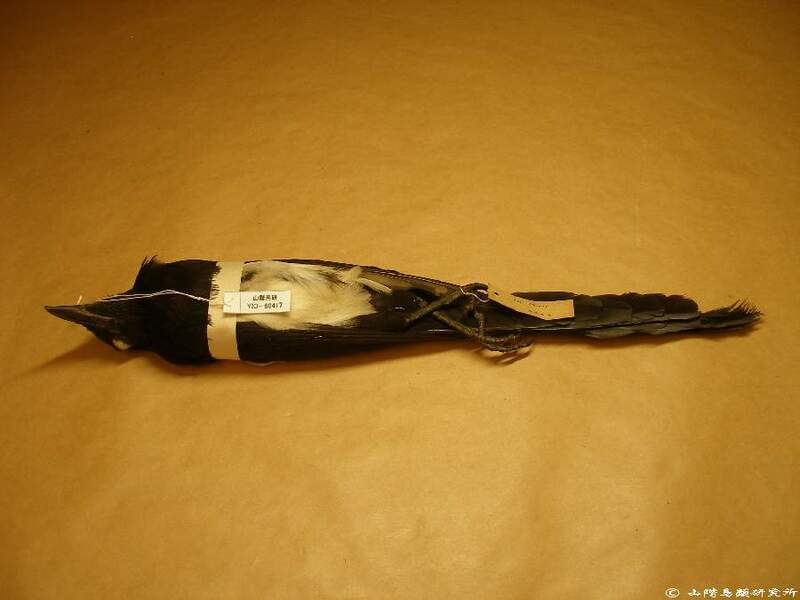 The specimen database was made available to the public online on December 28, 2009; at that time, the database contained mainly information on bird skins. 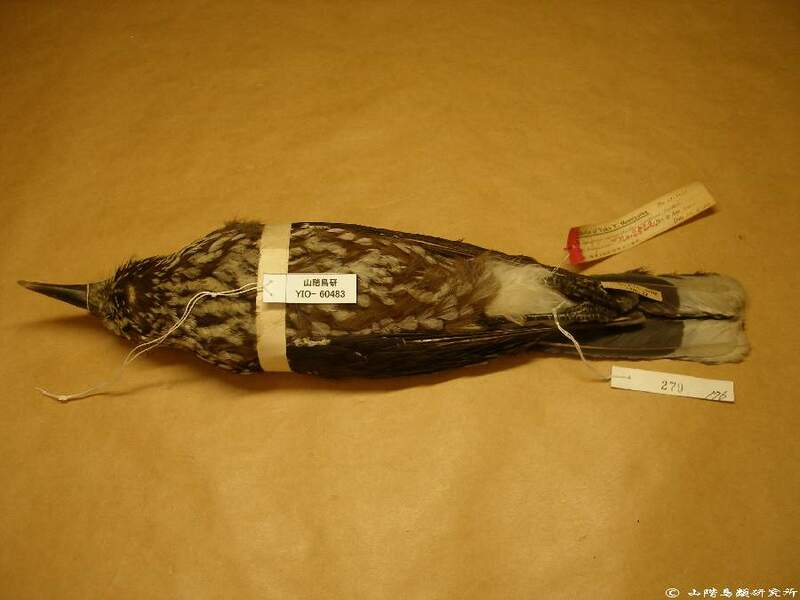 Label information is extremely important for scientific studies. 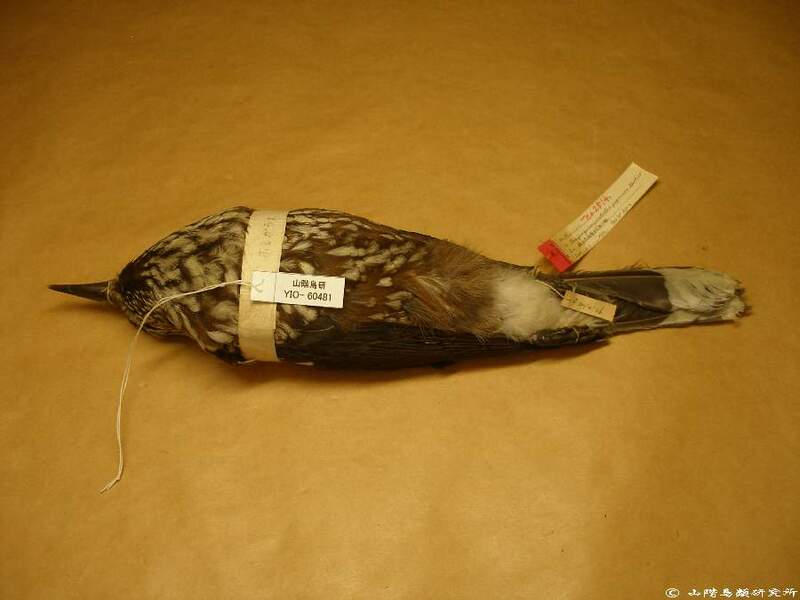 Therefore, this database focuses on displaying the labels. 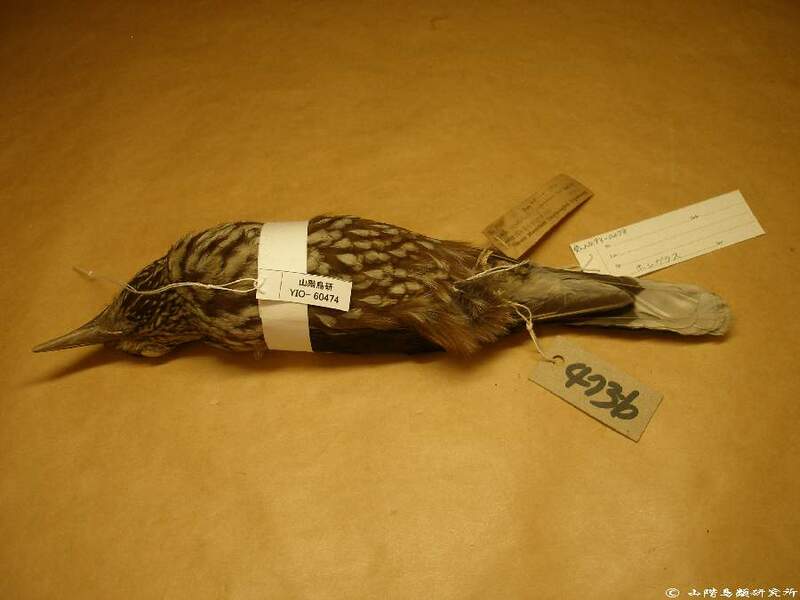 This database shows almost all of the specimen labels, although a few have not been provided in the interest of protecting personal privacy. 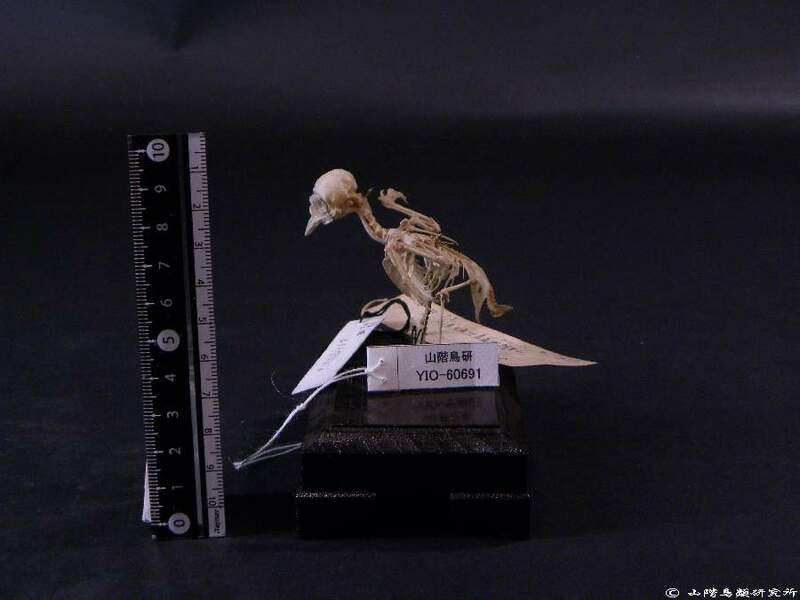 In the future, we wish to increase the number of photographs of specimens. 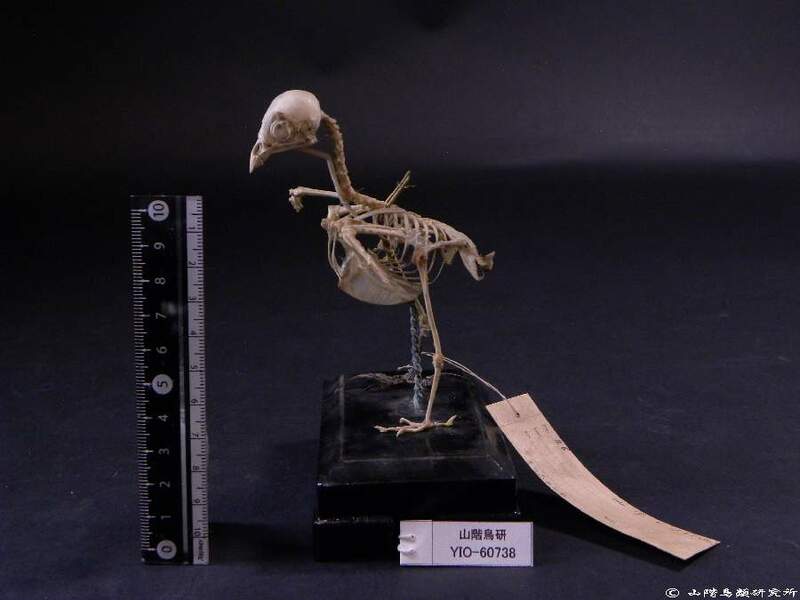 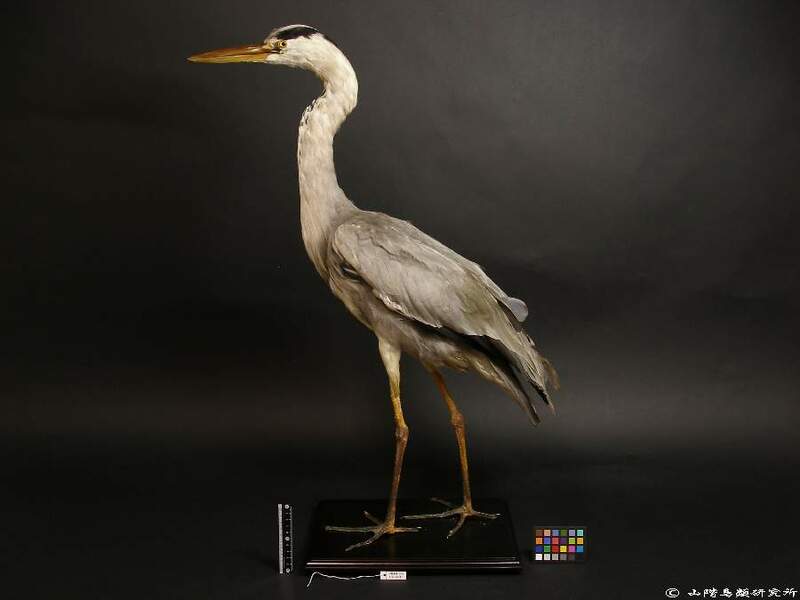 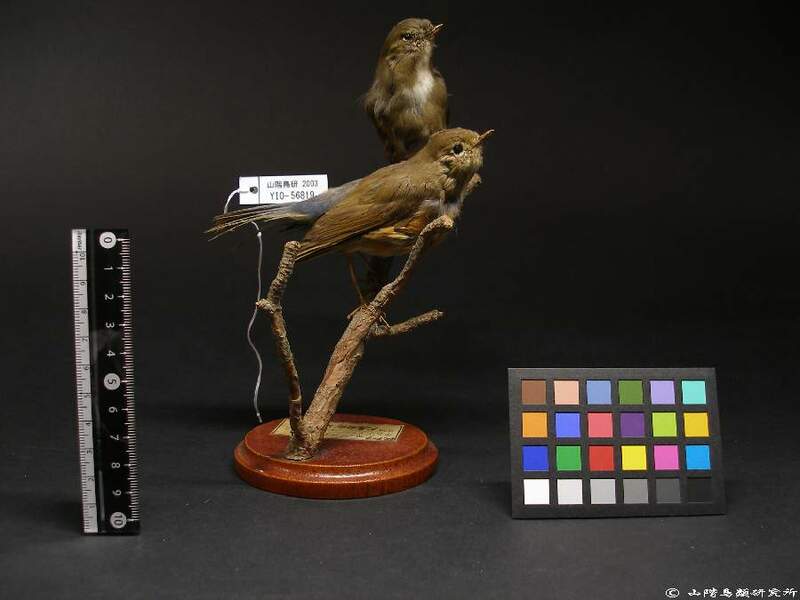 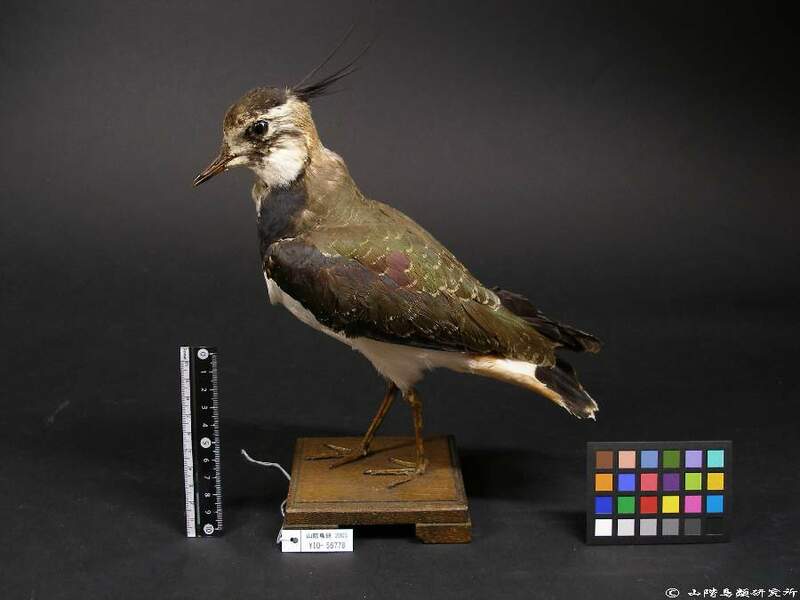 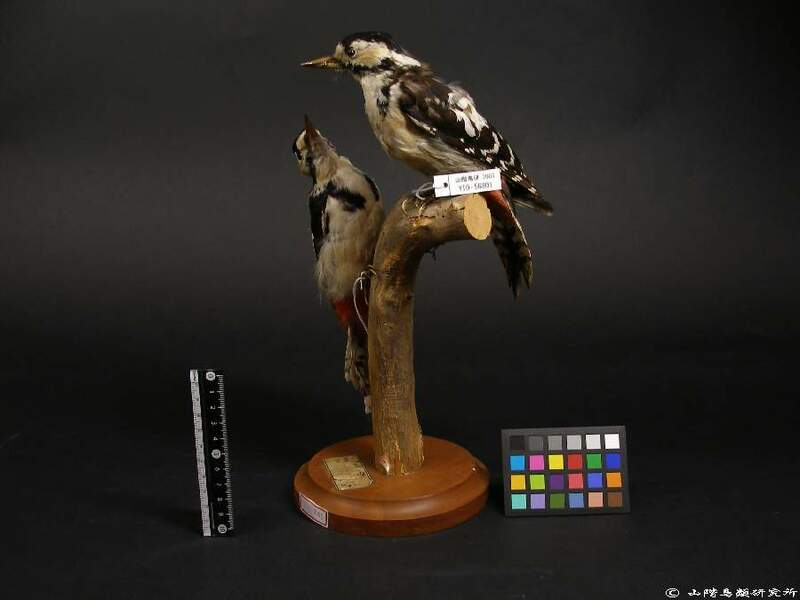 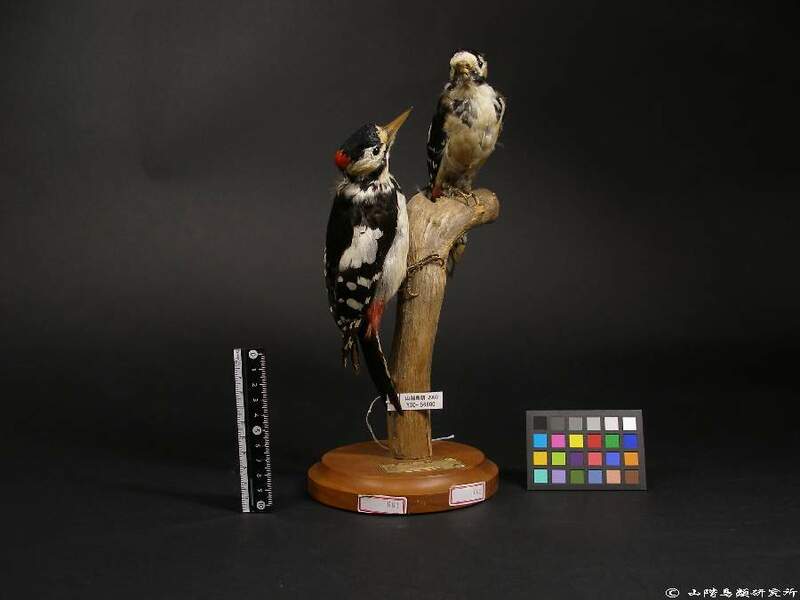 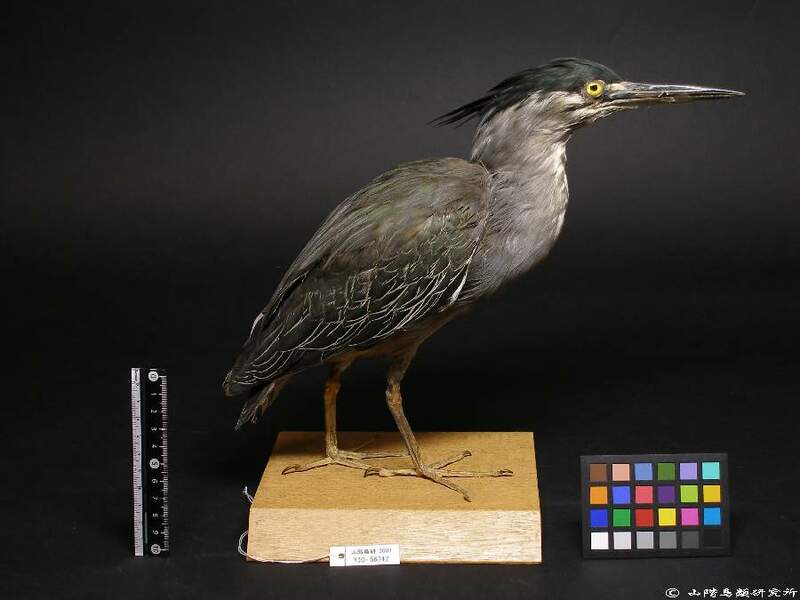 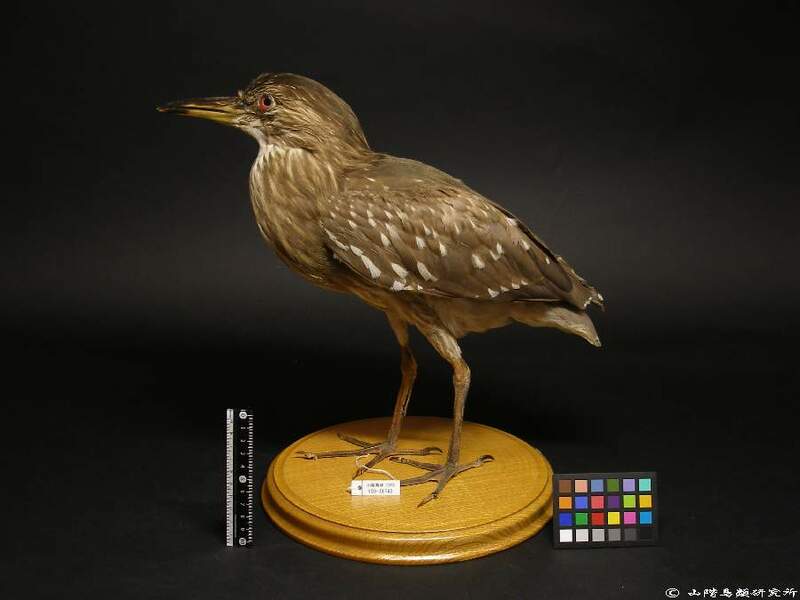 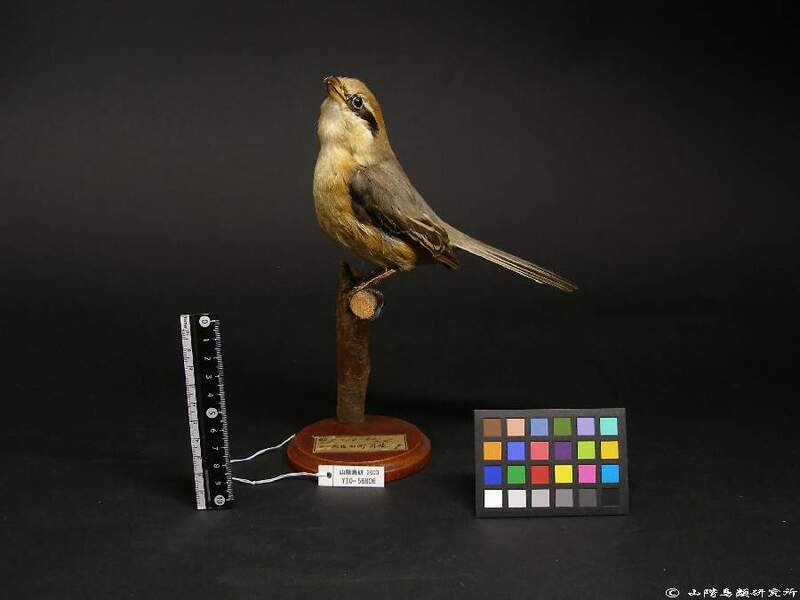 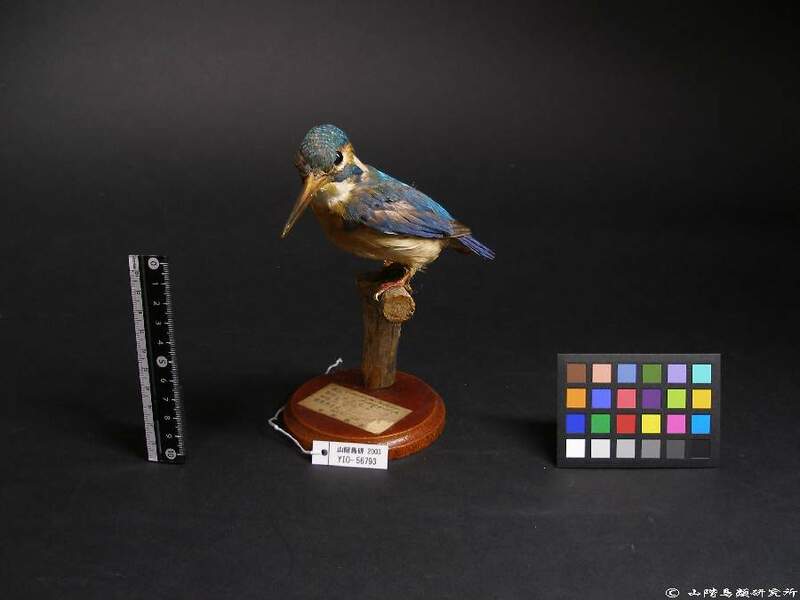 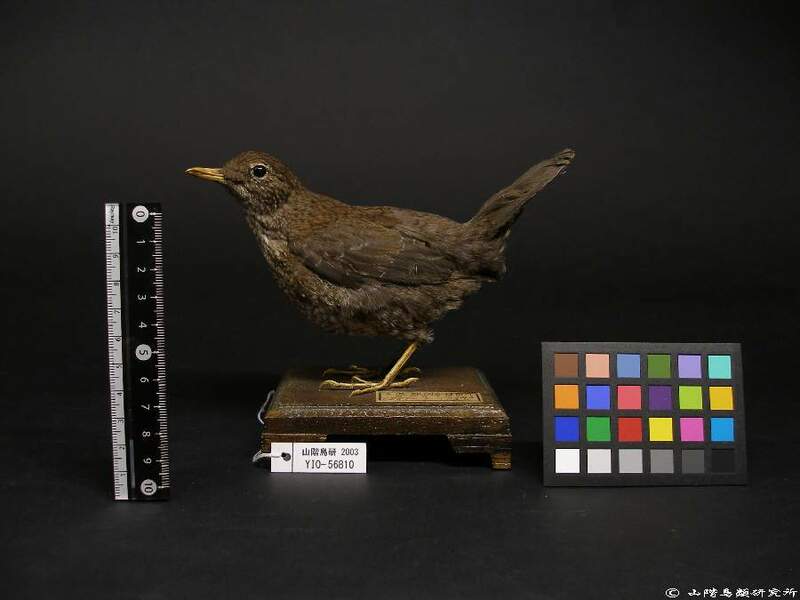 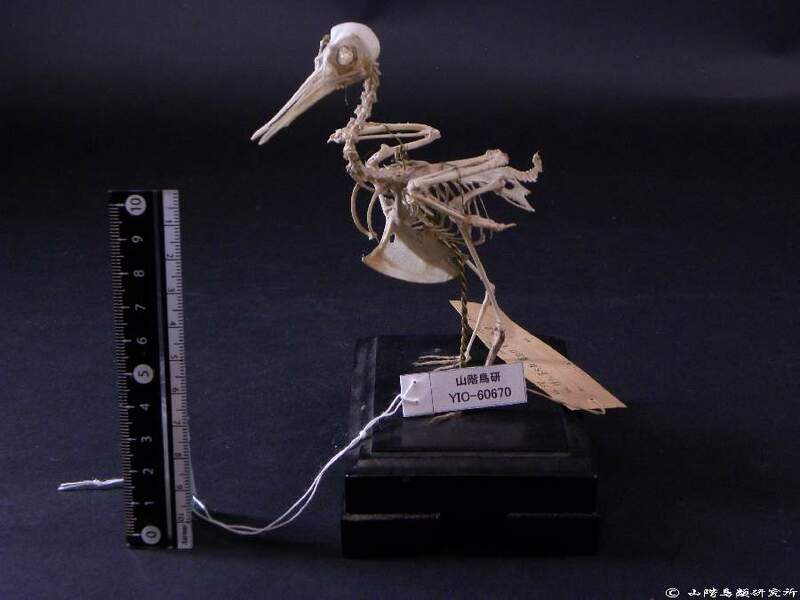 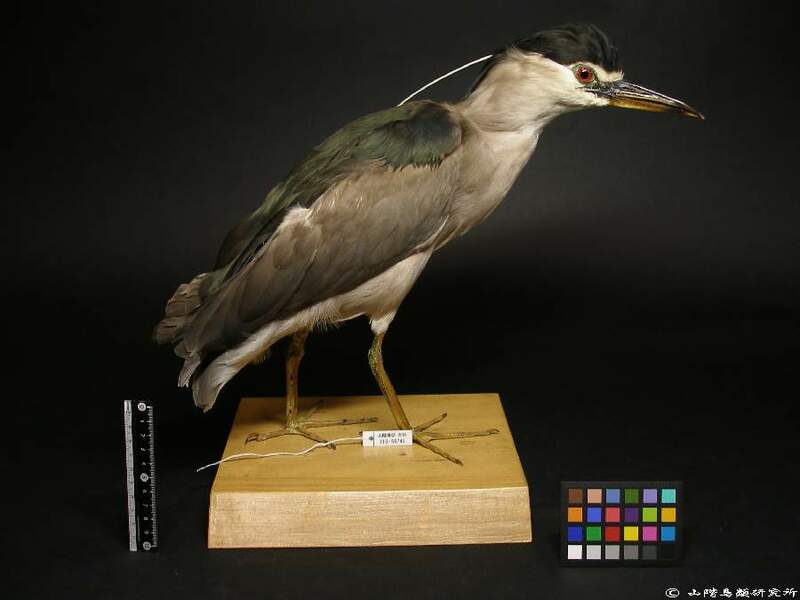 By publishing the specimen information on the internet, the YIO aims to contribute to developments in ornithology, and to bring the work of the YIO to the attention of the general public. 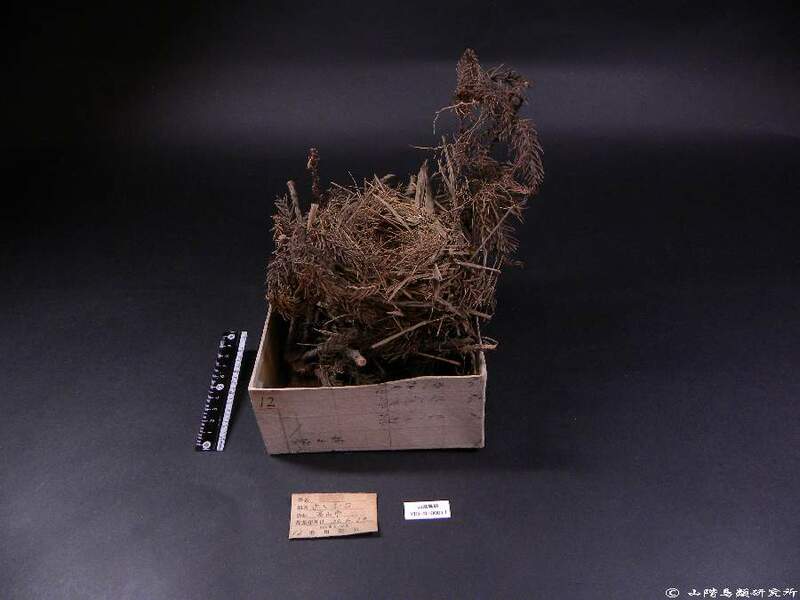 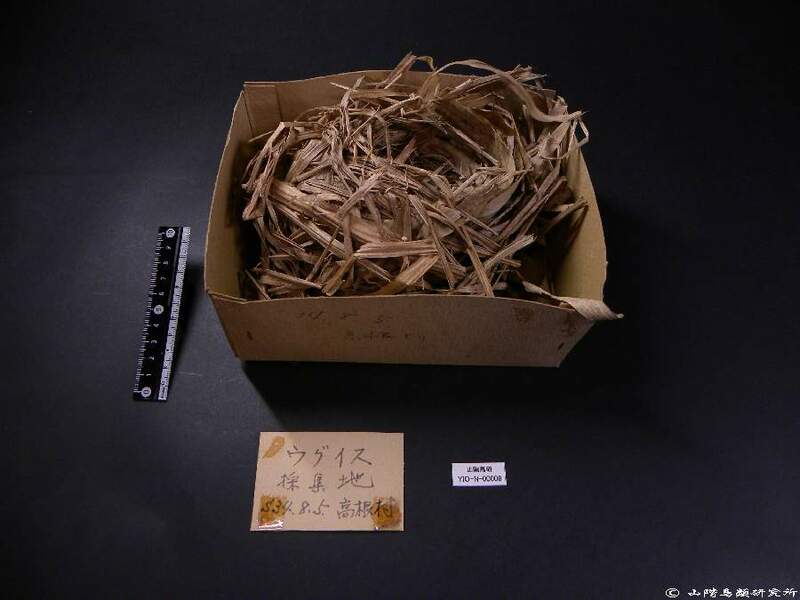 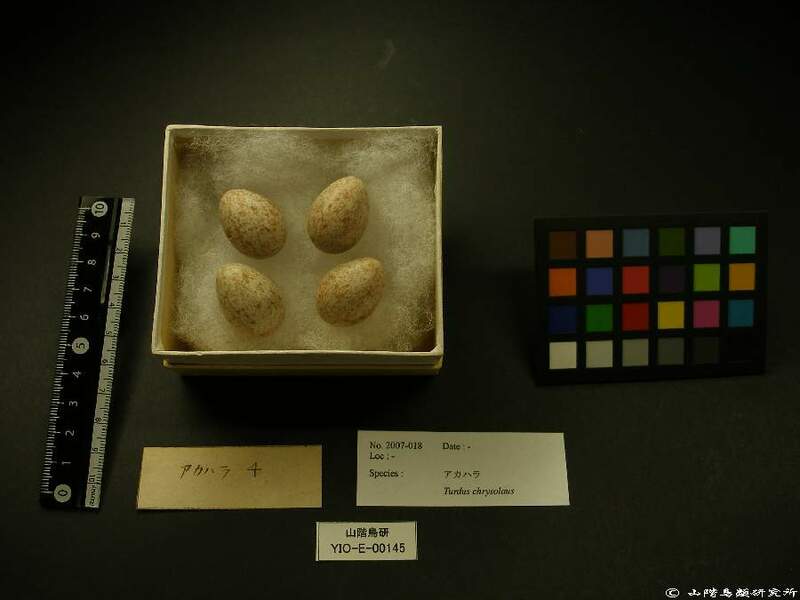 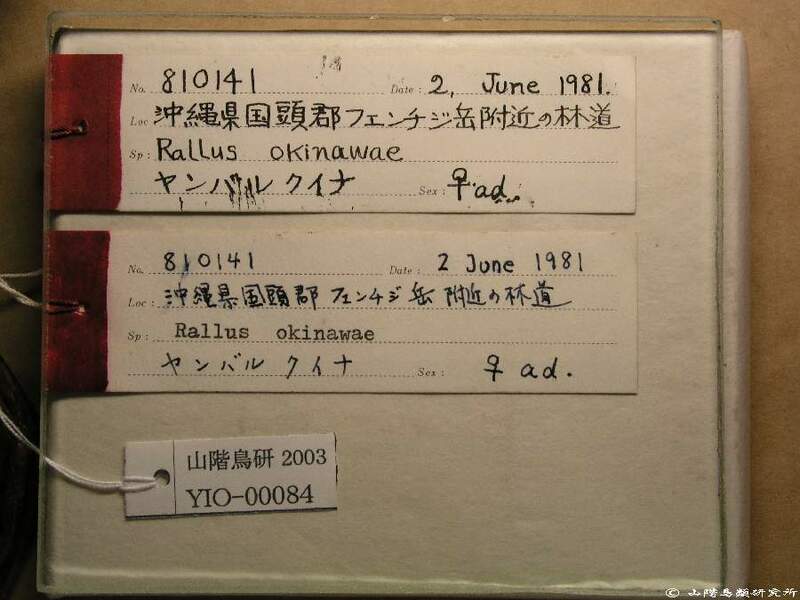 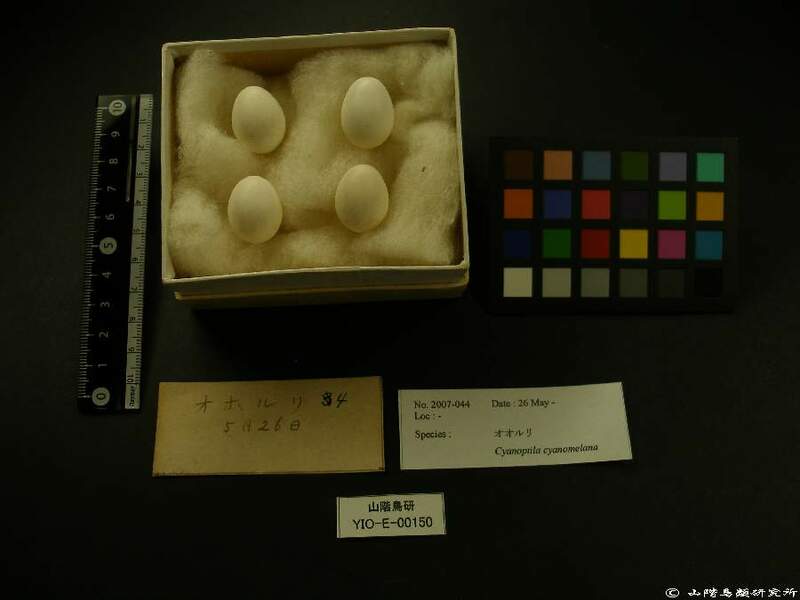 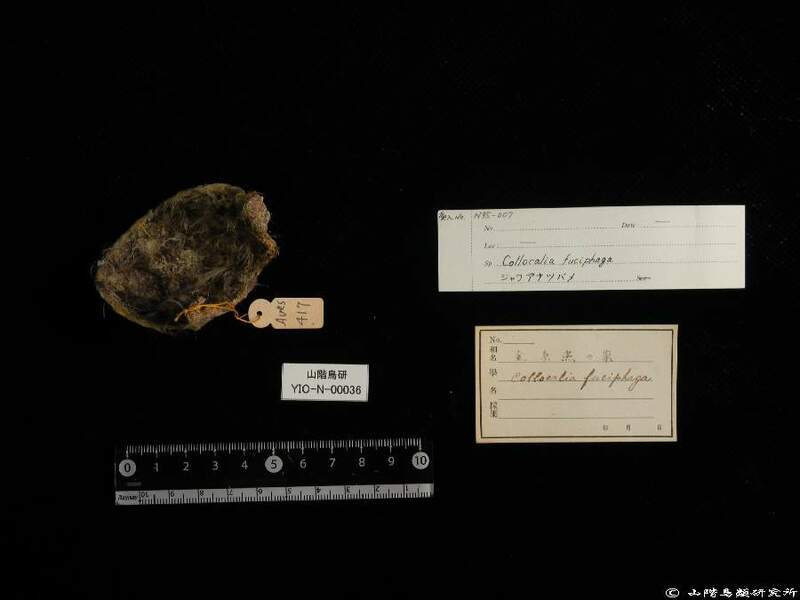 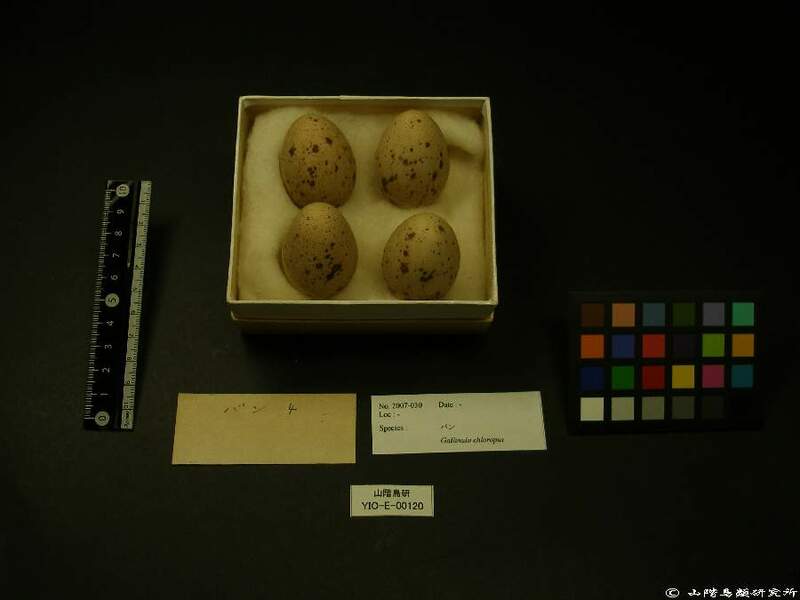 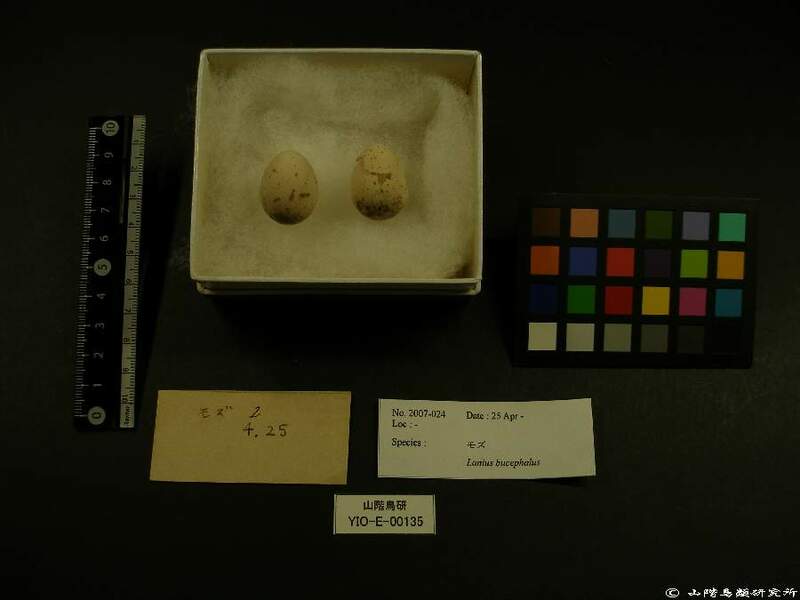 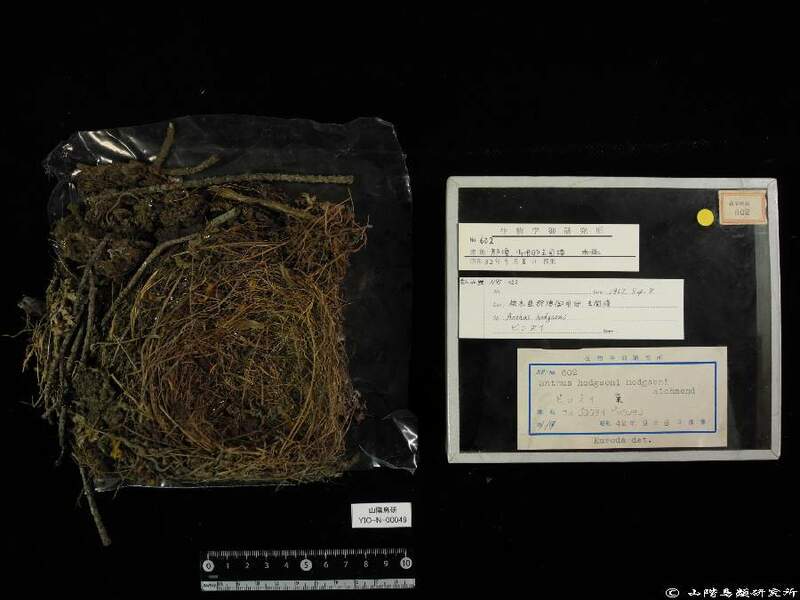 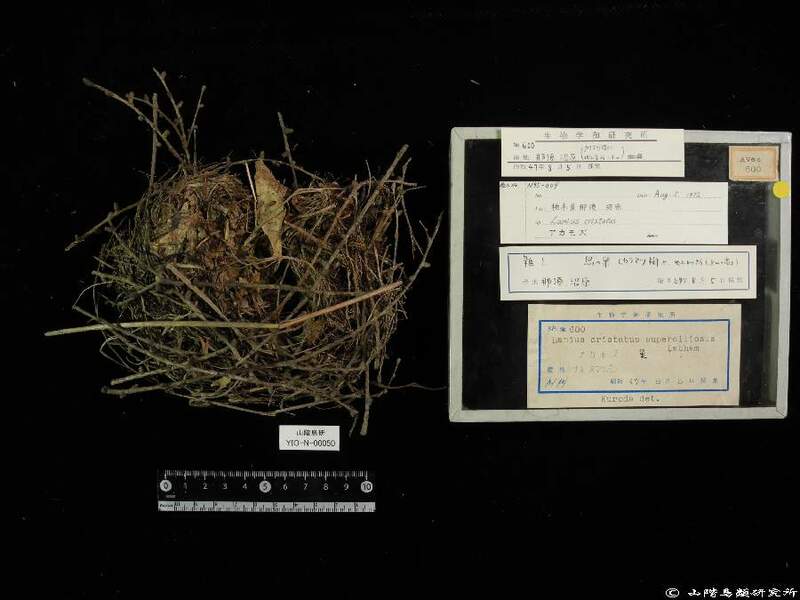 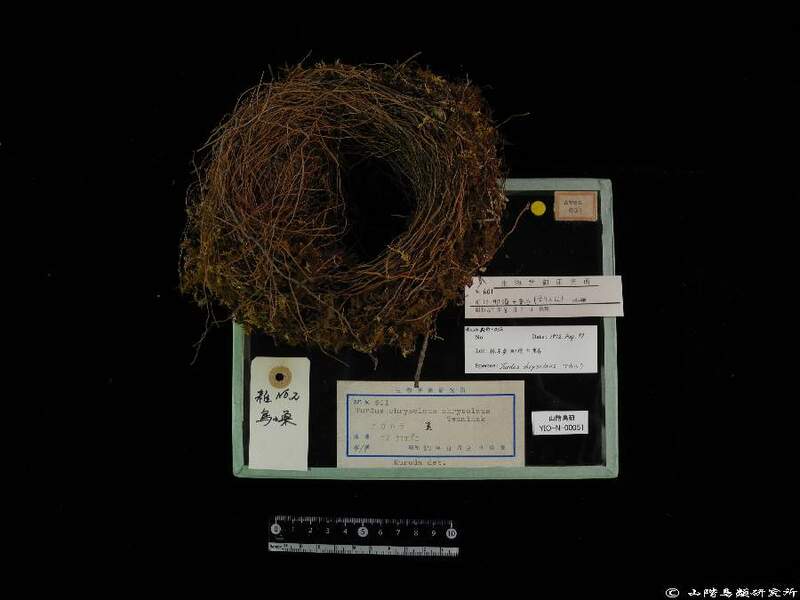 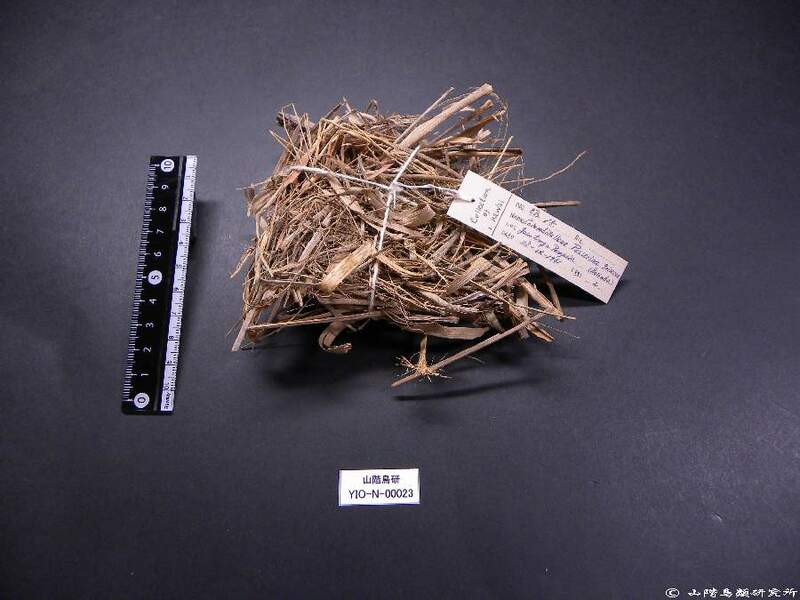 ↑The holotype and its labels for the Okinawan Rail Rallus okinawae, Yamashina & Mano 1981. 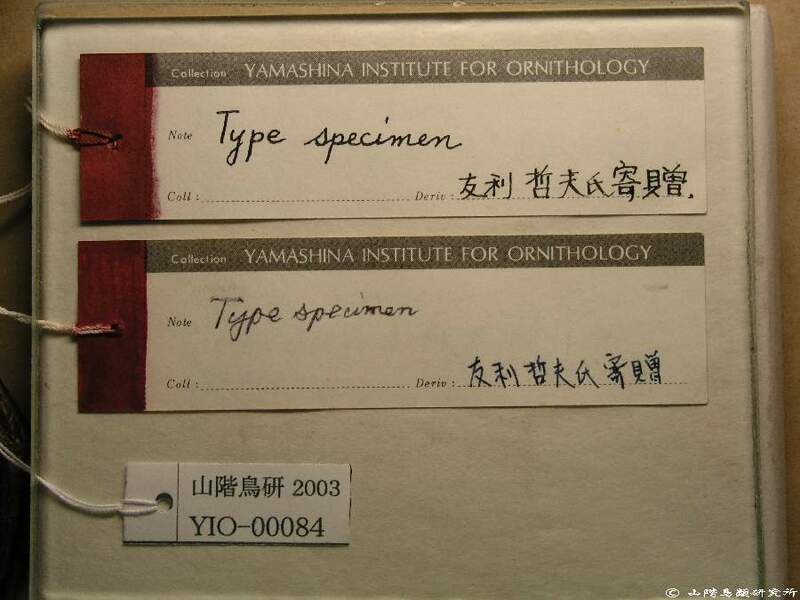 YIO-60146 | 1937Jun15th | 滿洲國濱江省濱綏線小嶺, Hsiaoling St. Bin- Sui R- y, North Manchuria. 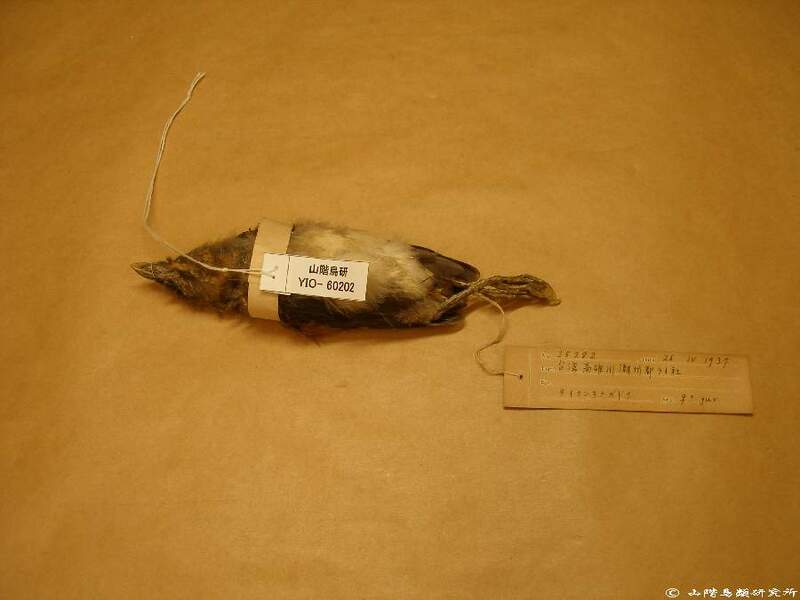 YIO-60151 | 1937Jun15th | Hsiaoling St. Bin- Sui R- y, North Manchuria. 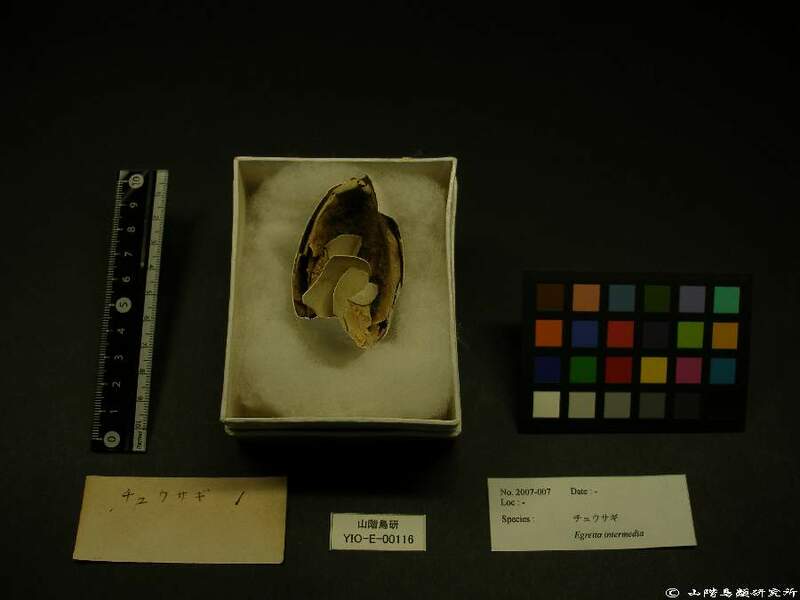 YIO-60734 | | Saipan I, Mariana Islands. 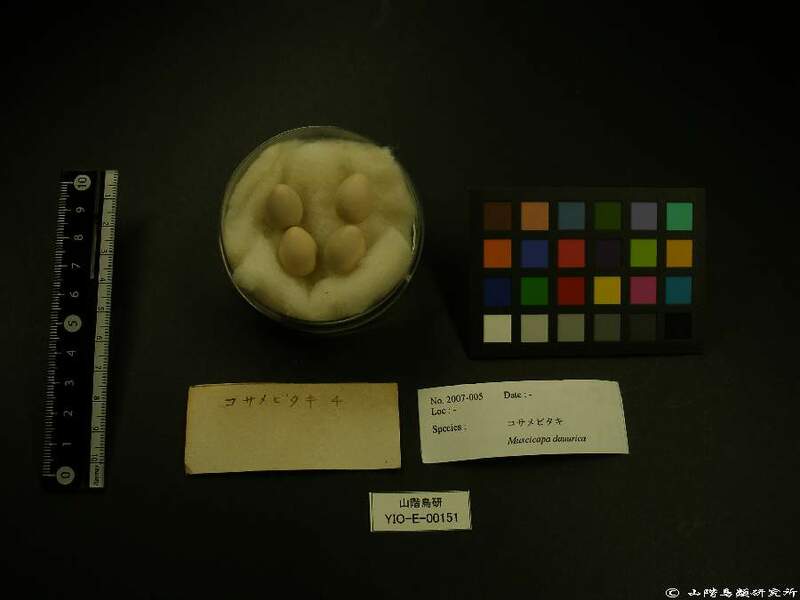 YIO-60336 | 1937Feb21th | 滿洲國濵江省濵綏線玉泉（=二層甸子）駅, Yuichuan St. Bin- Sui R- y, Kirin Pro- vince; Northern Manchuria. 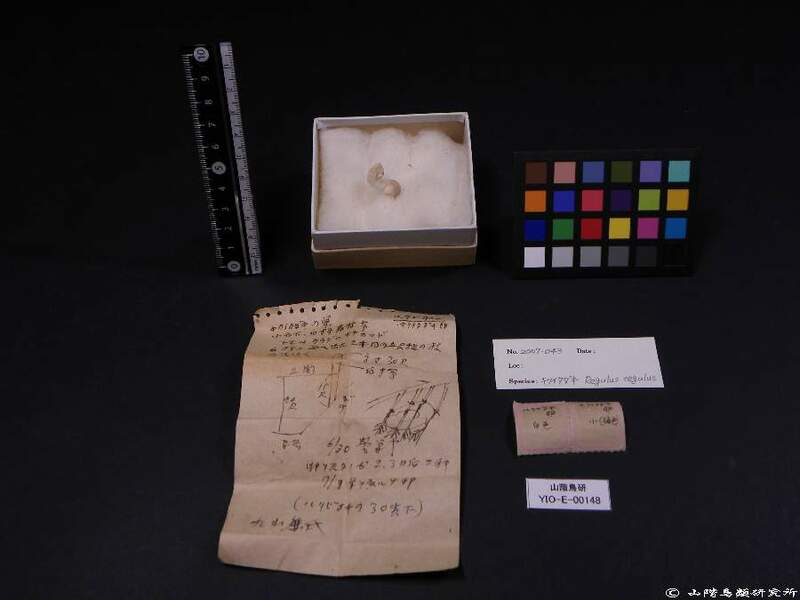 YIO-60388 | 1929Oct23th | Bam Po, N, Korea. 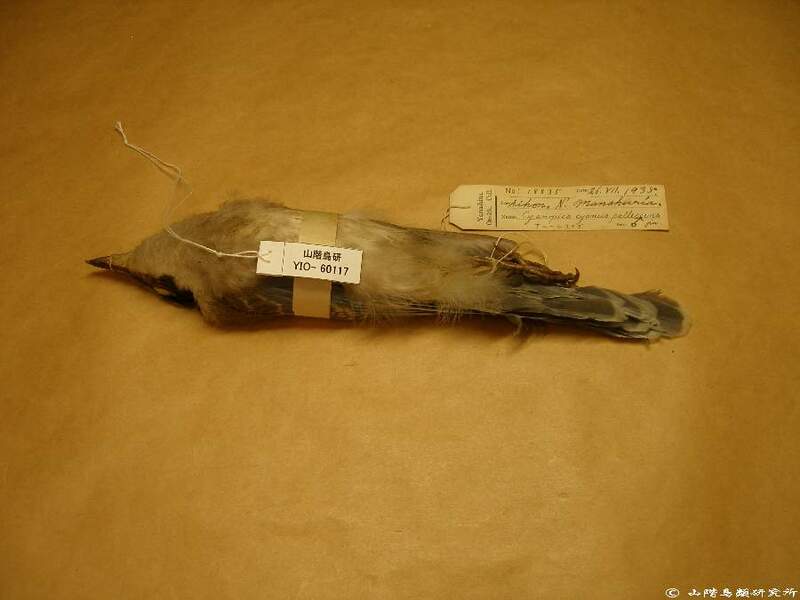 YIO-60454 | | Near Tarim, Turkestan,, Near Tarim, A●ne, Turkestan, ALT 4000'. 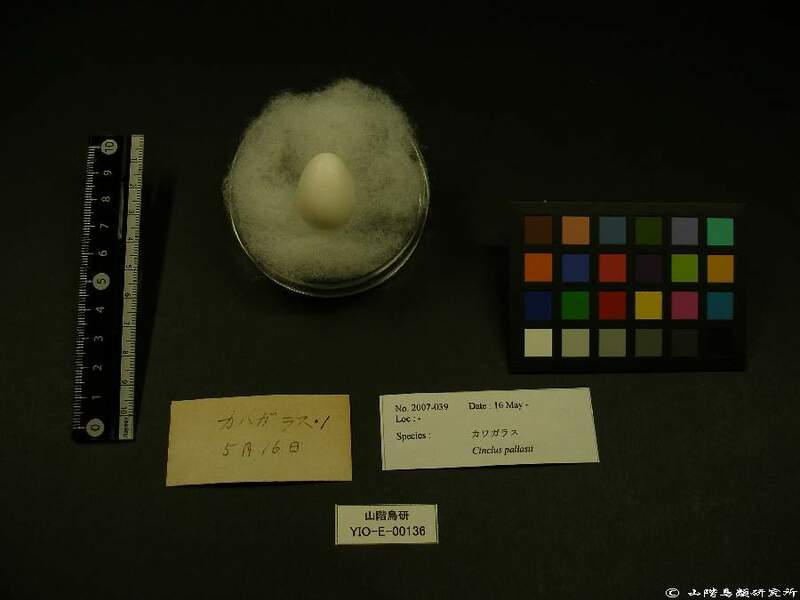 YIO-60495 | 1955Jul14th | 北アルプス立山山系, 1400～1500m. 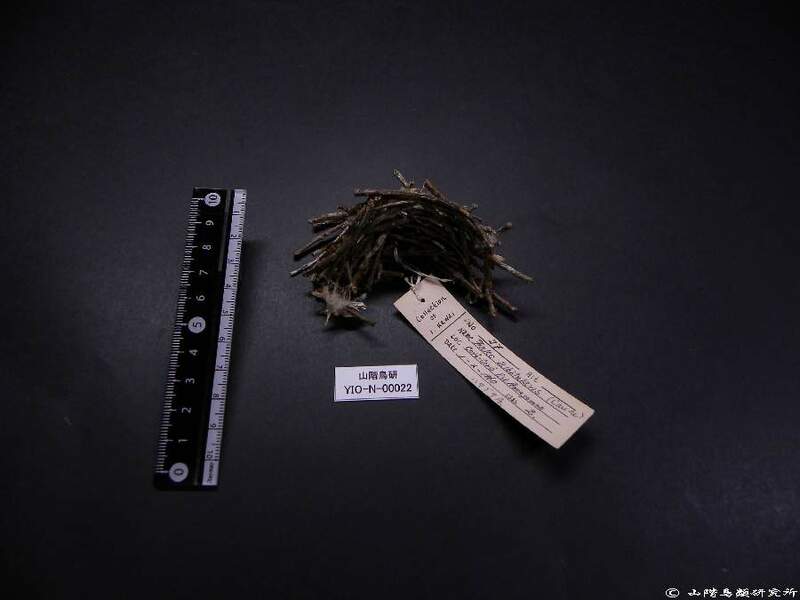 YIO-60508 | Jun23th | Kurils Isle. 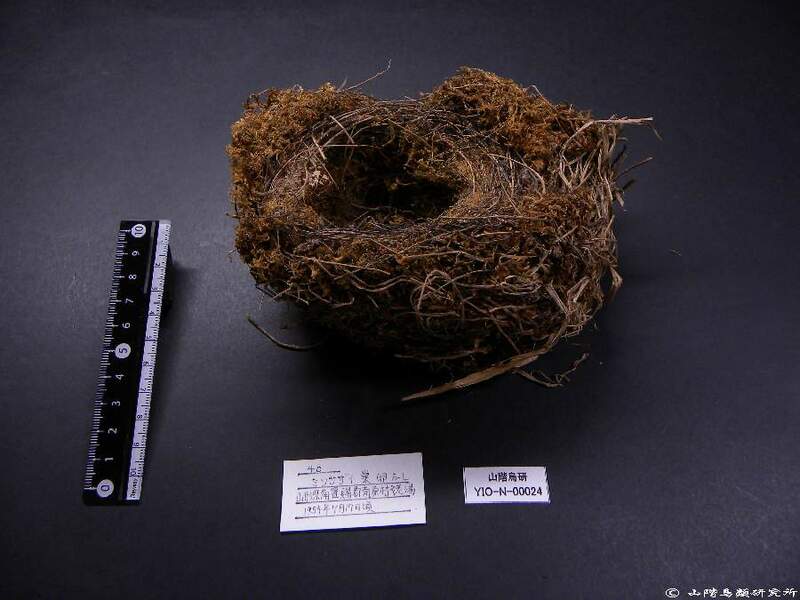 YIO-N-00052 | | ナスキノマタバシ ジョウリュウ, 木ノ俣橋上流沿岸にて御採集, 木ノ俣橋上流沿岸. 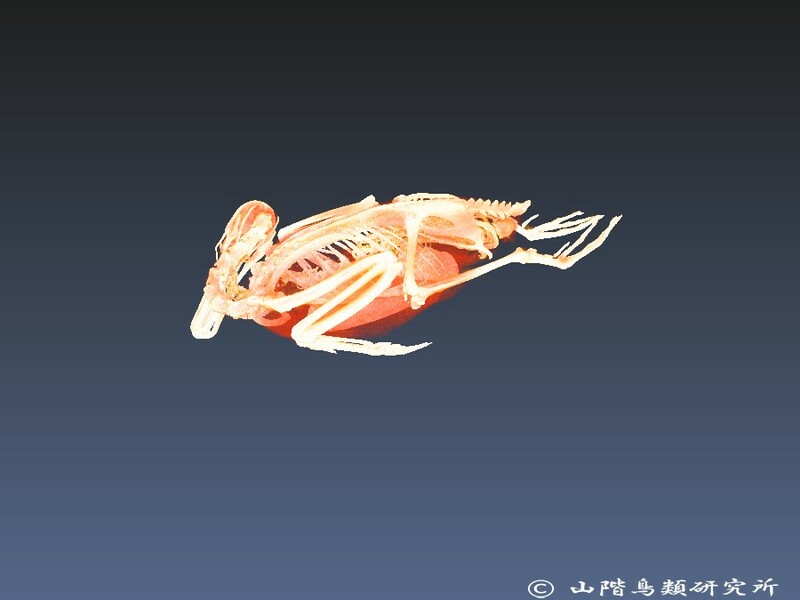 2019.02.26: New data has been updated. 2018.04.12: A correspondenc list between Yamashina (1986) and IOC World Bird List 3.2 has been uploaded by Excel file. 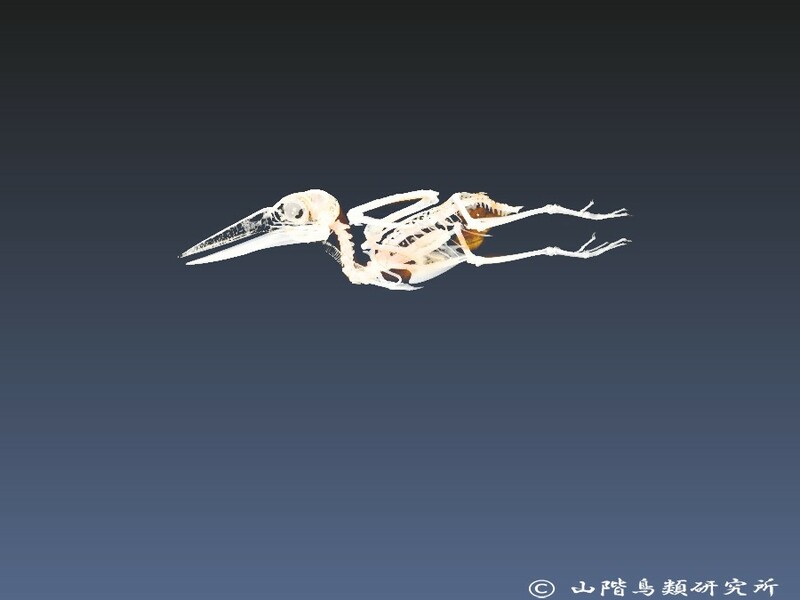 2018.03.20: New data has been updated. 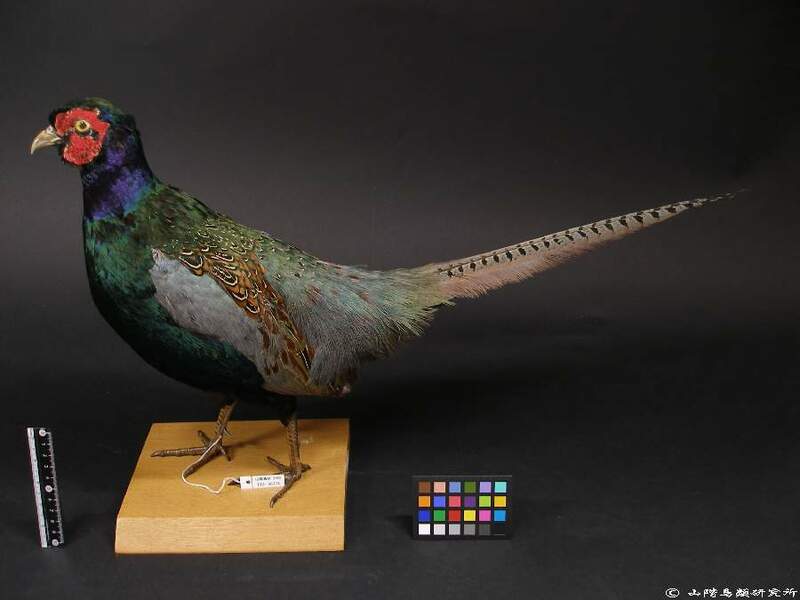 2018.02.01: Newly 500 specimens were registered. 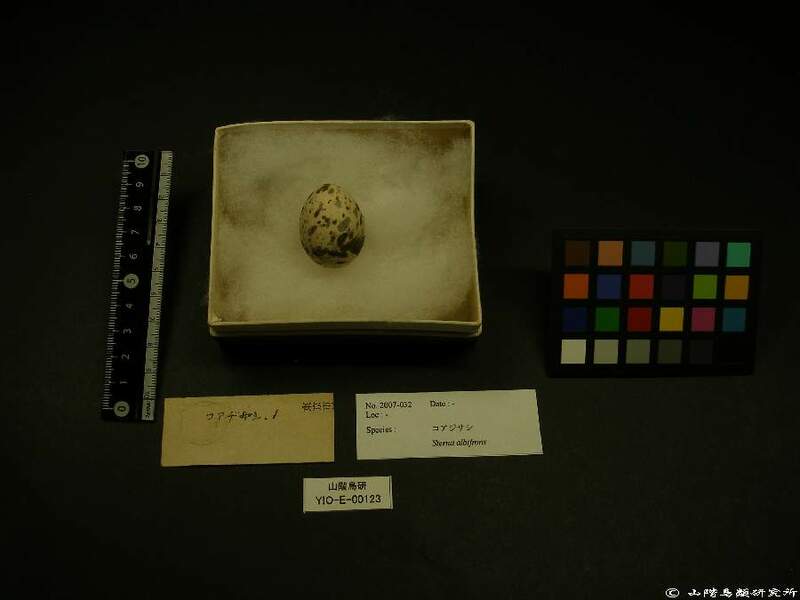 2017.03.30: Newly 704 specimens were registered. 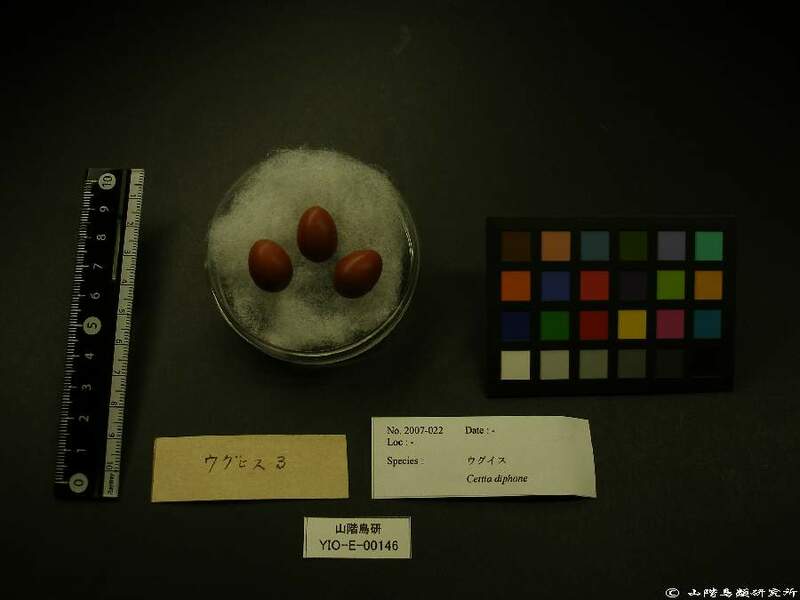 2016.03.30: Newly 482 specimens were registered. 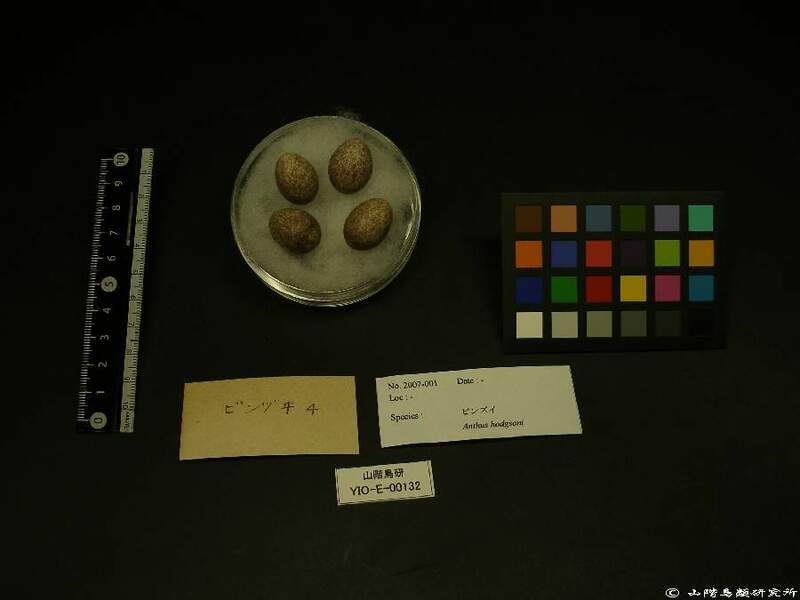 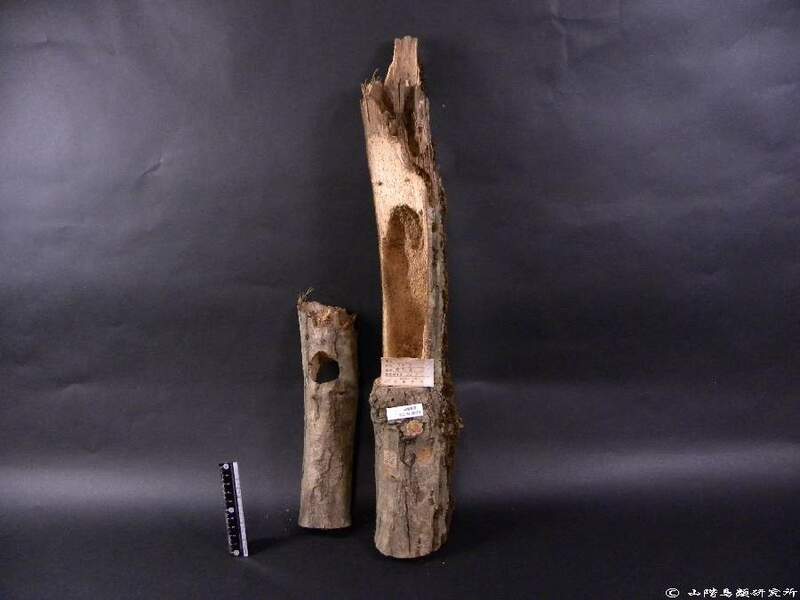 2015.03.30: Newly 453 specimens were registered. 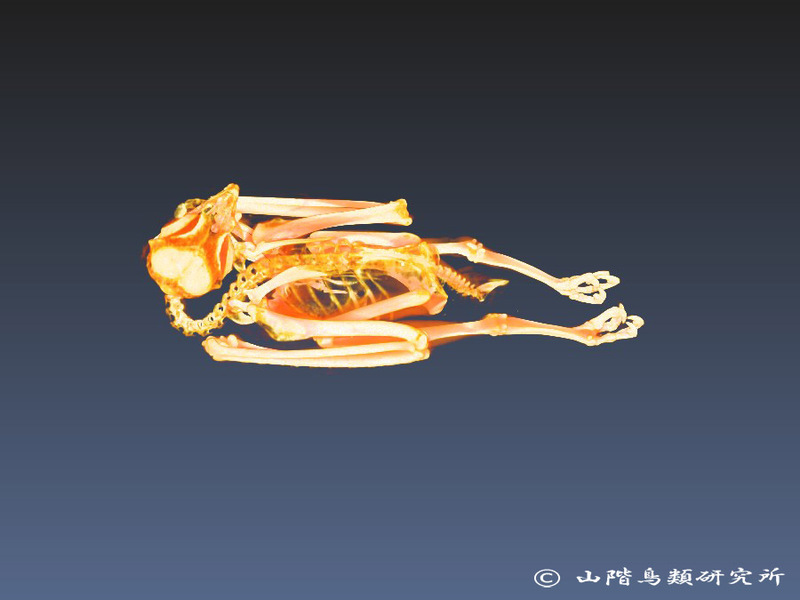 2014.05.20: New 1471 data has been registered. 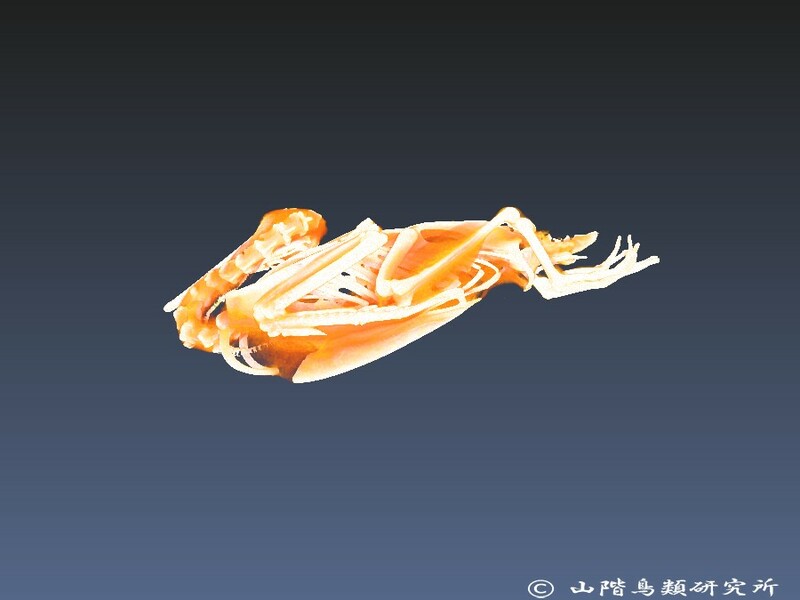 2014.03.26: The design has been renewed. 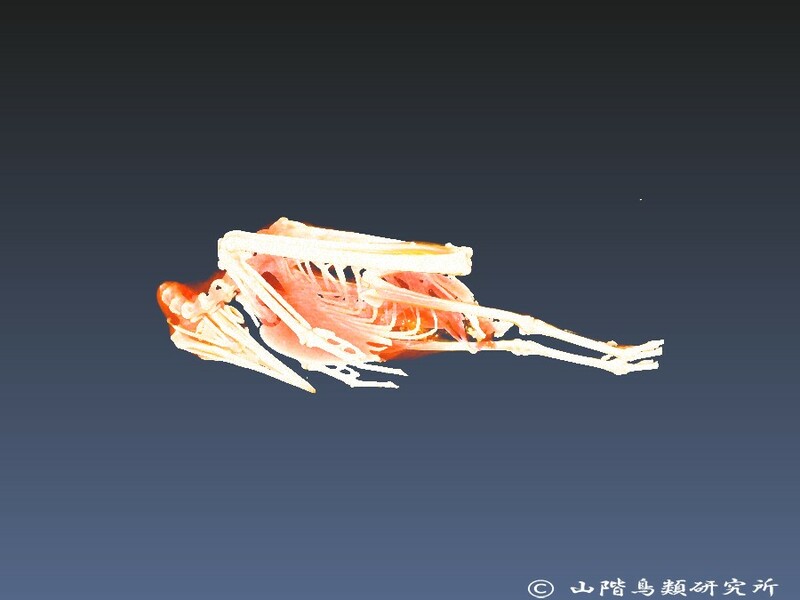 2014.03.26: New 545 data have been registered. 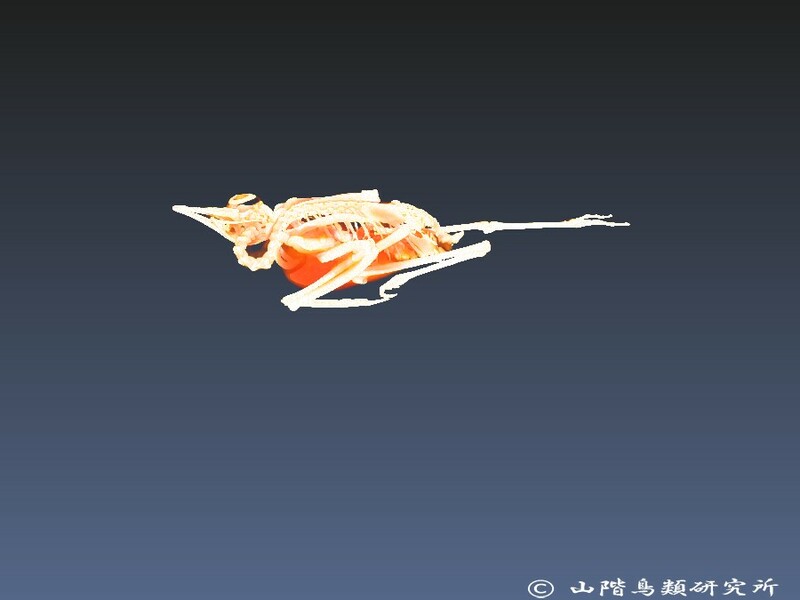 2011.10.16: 122 skeleton specimens were added to the database. 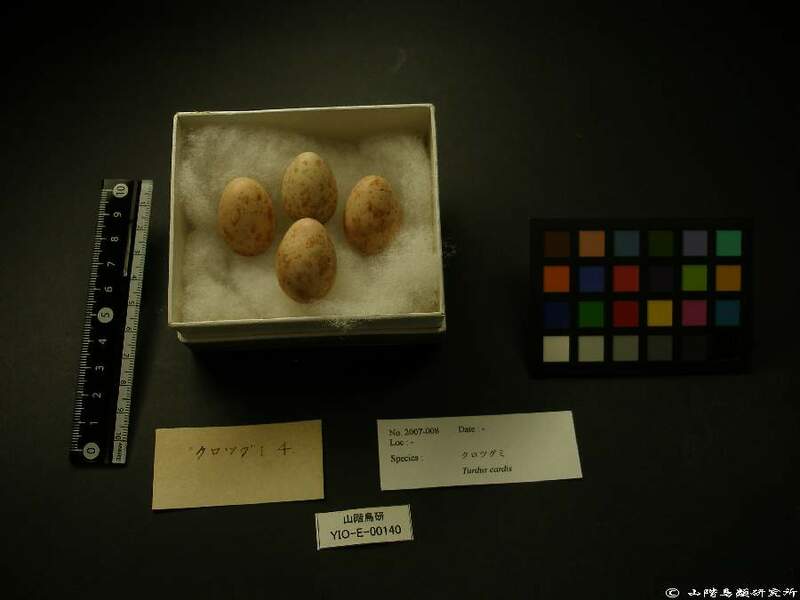 2011.02.05: 178 egg and nest specimens were added to the database. 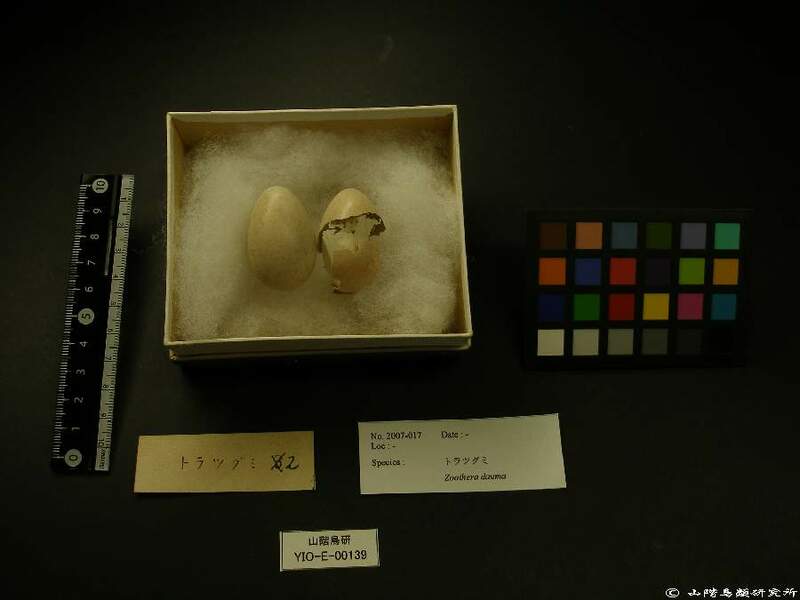 2011.01.12: An English version was made accessible to the public. 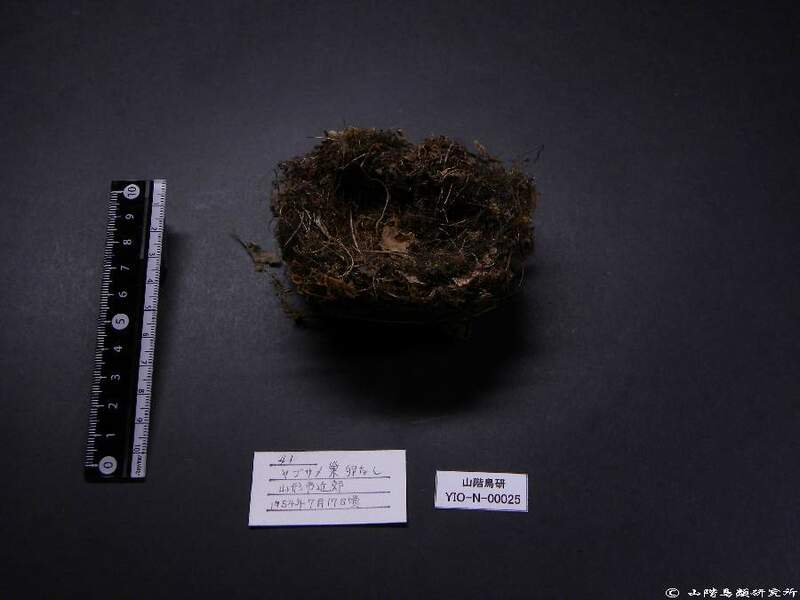 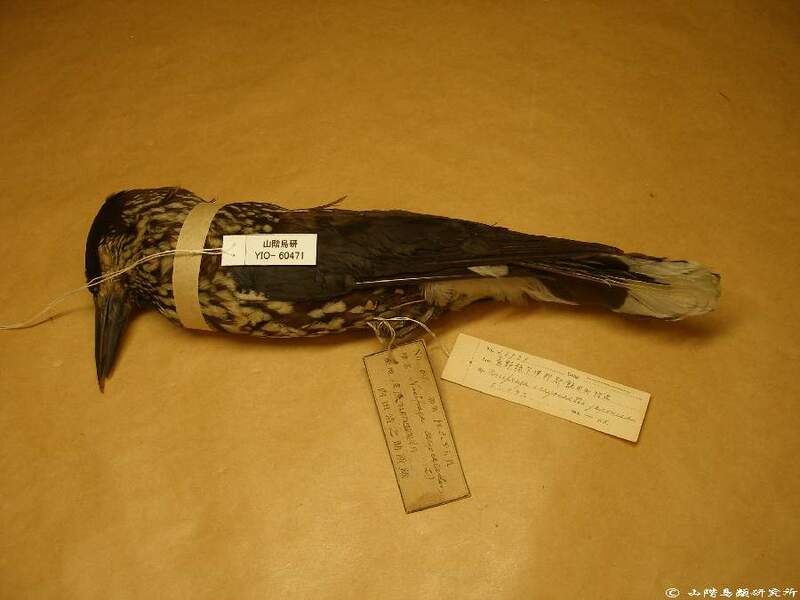 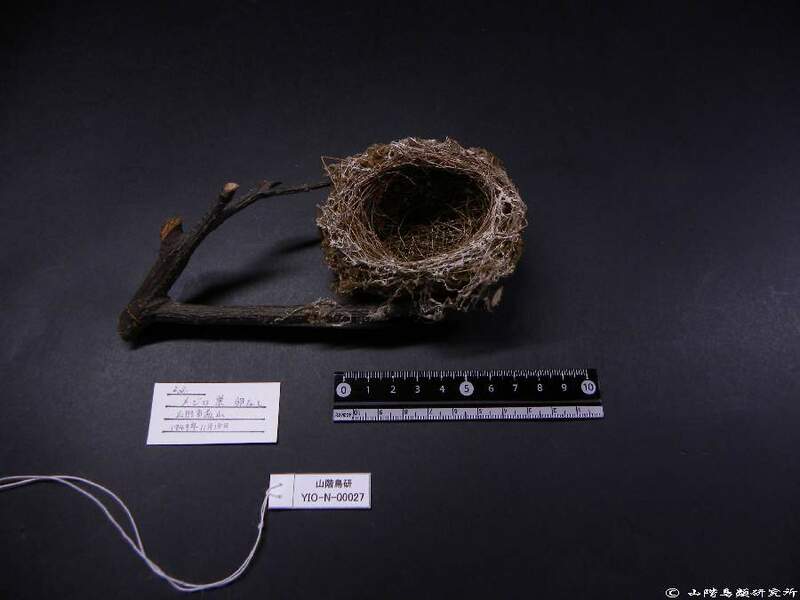 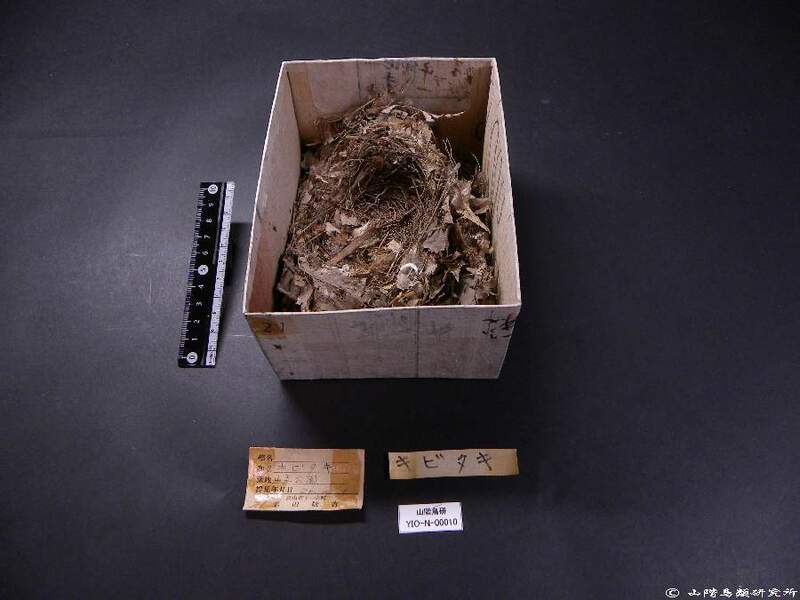 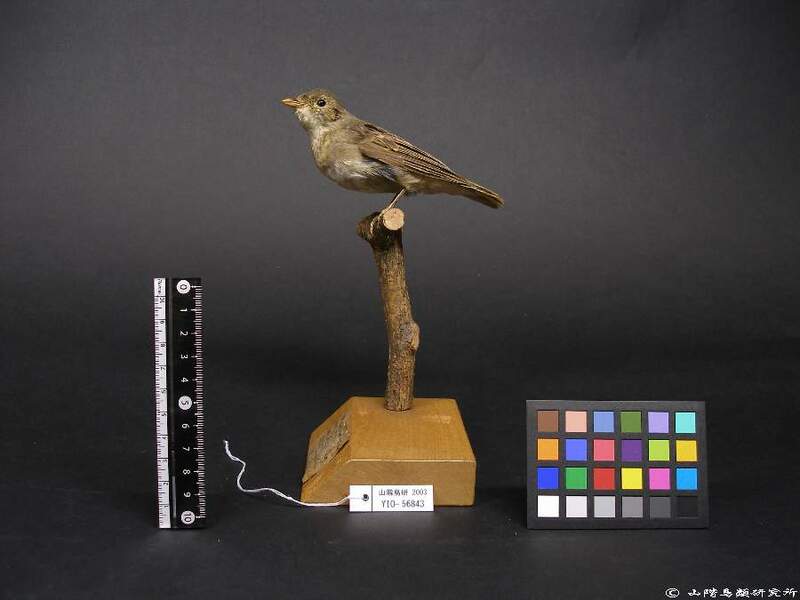 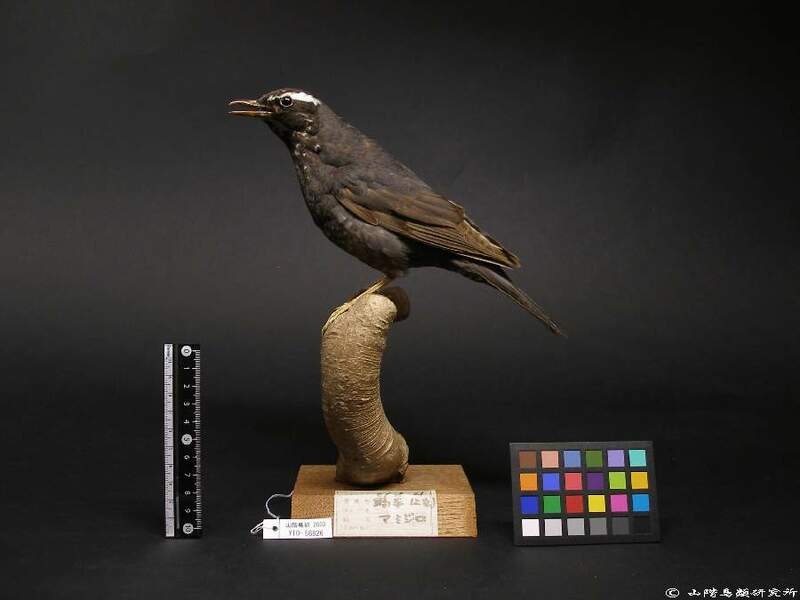 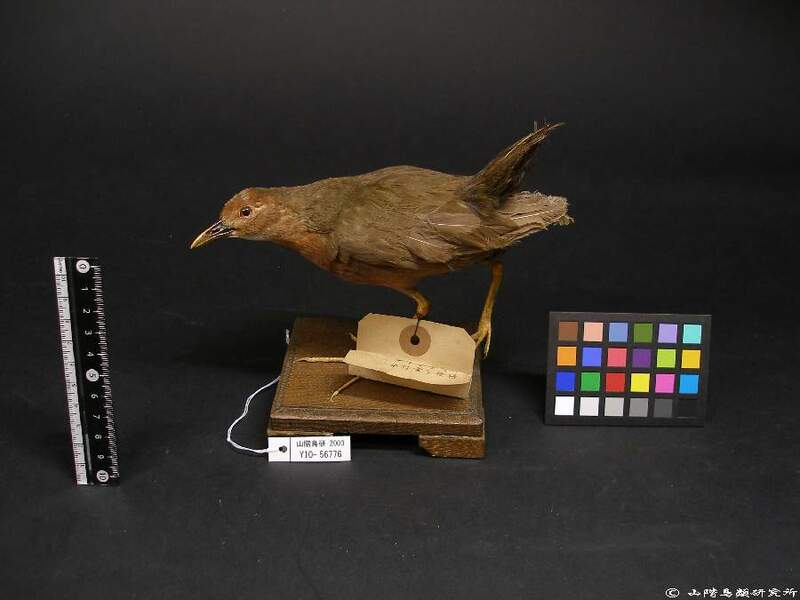 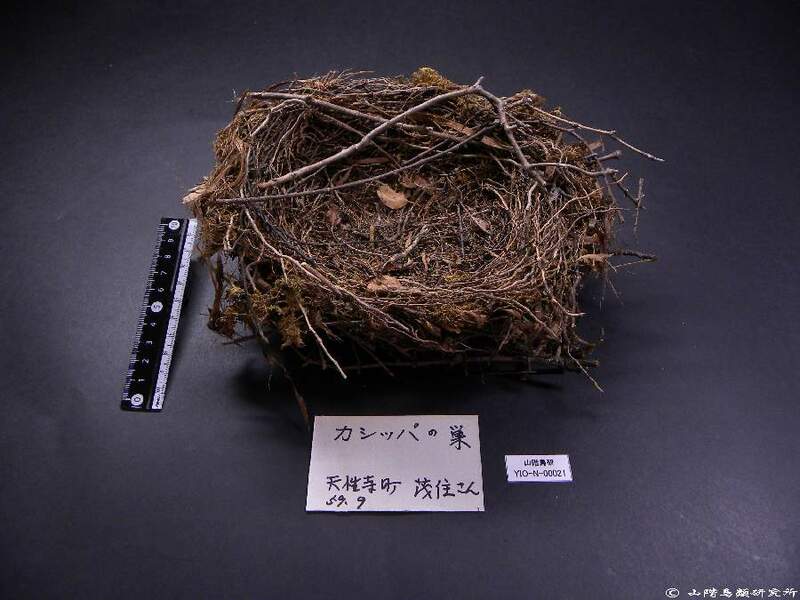 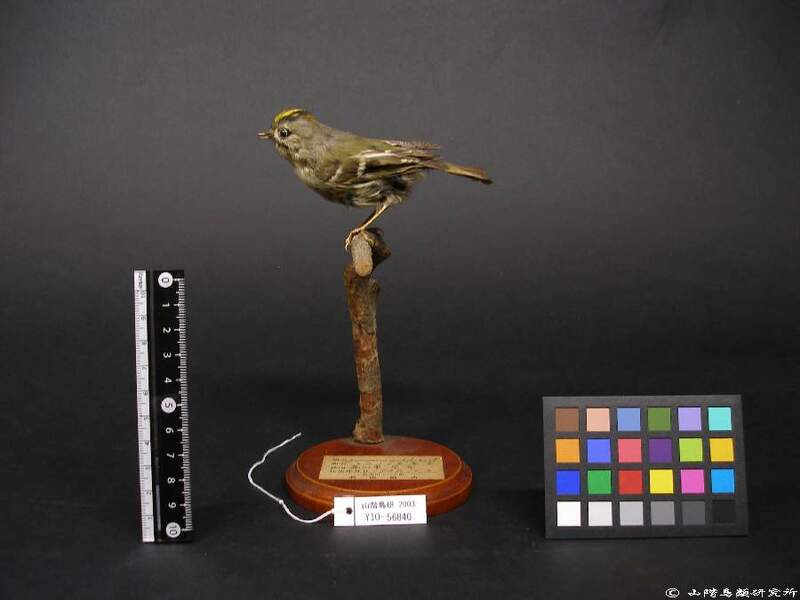 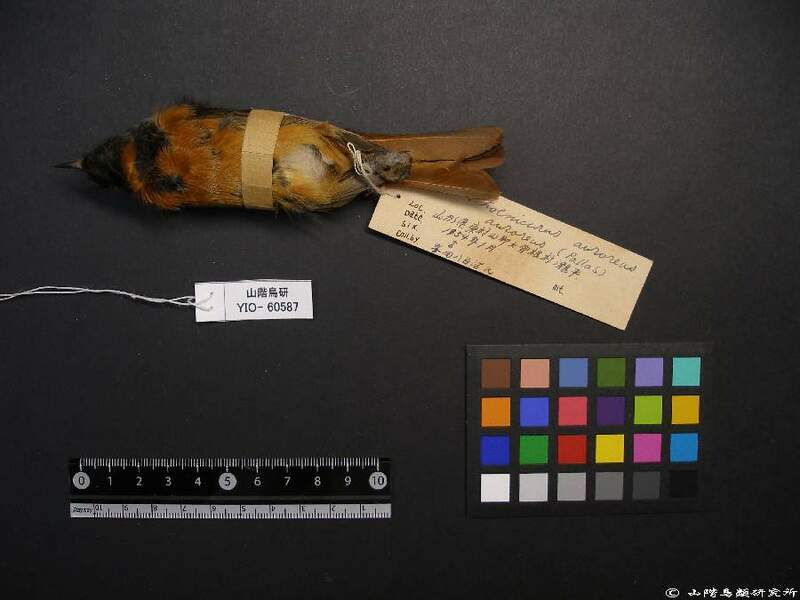 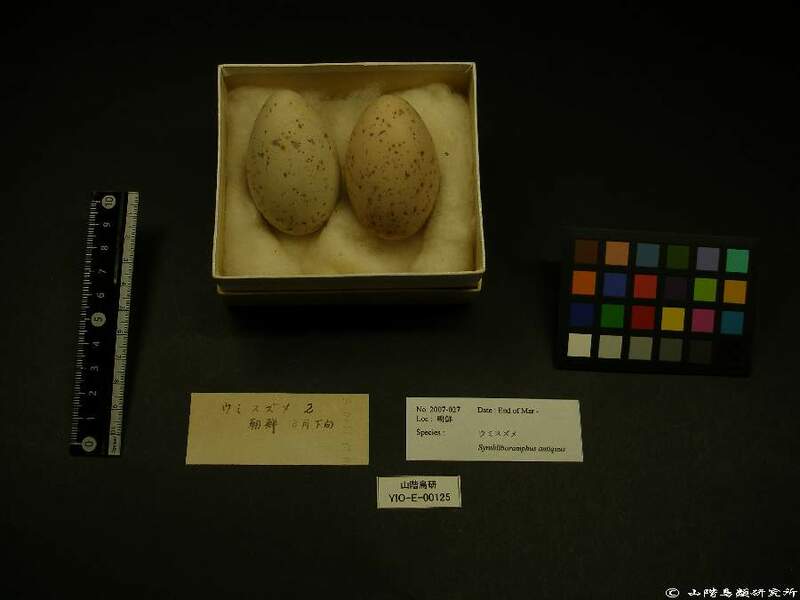 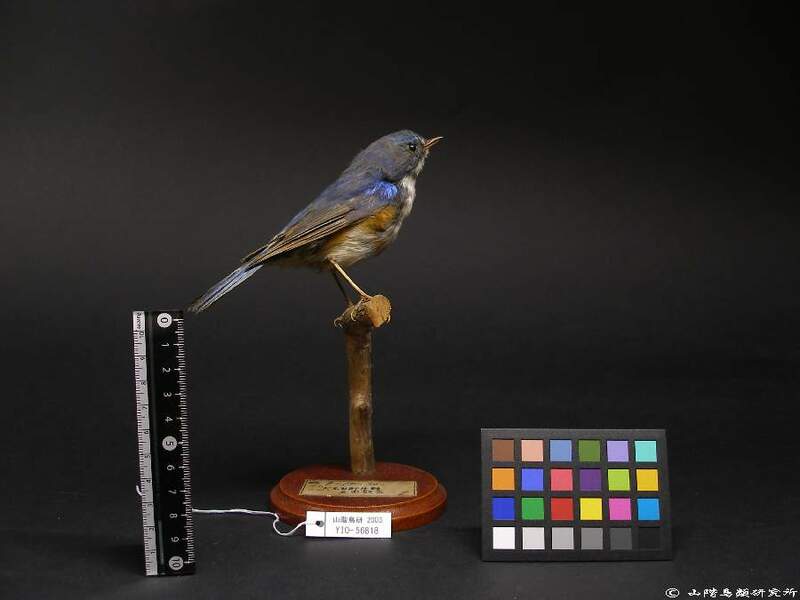 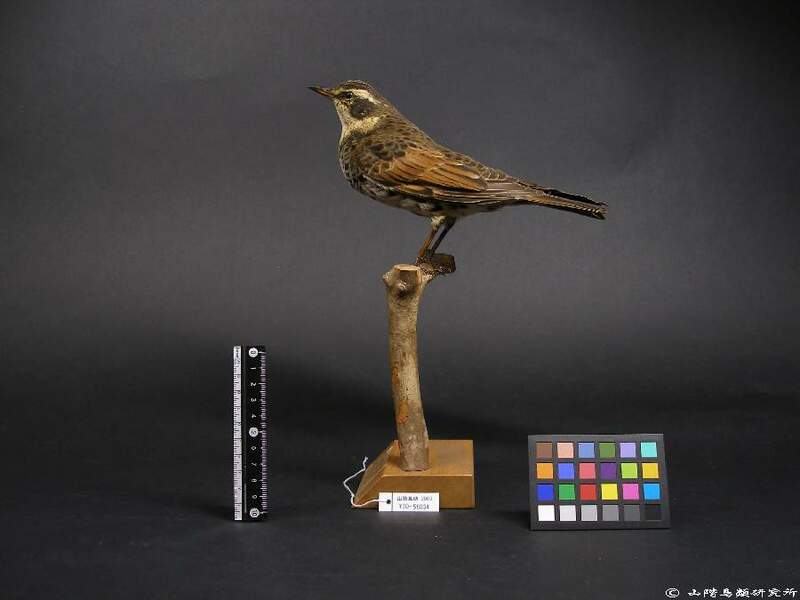 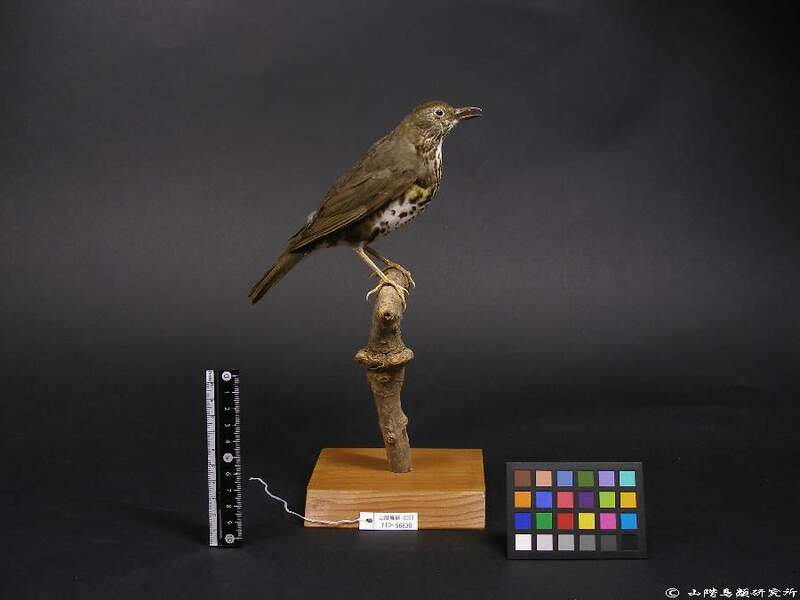 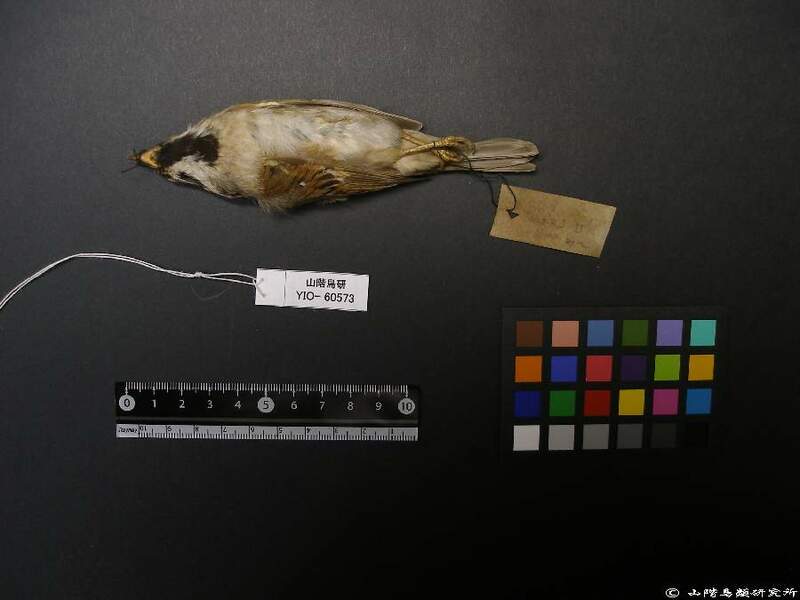 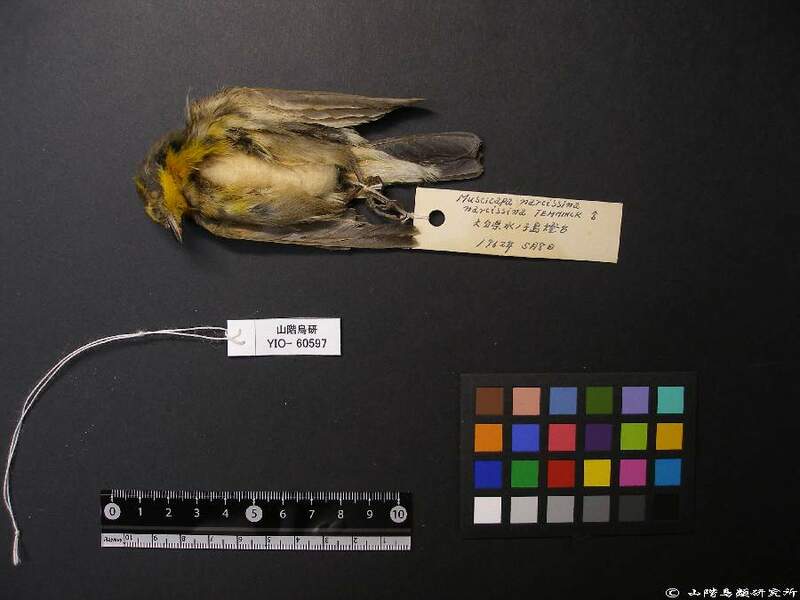 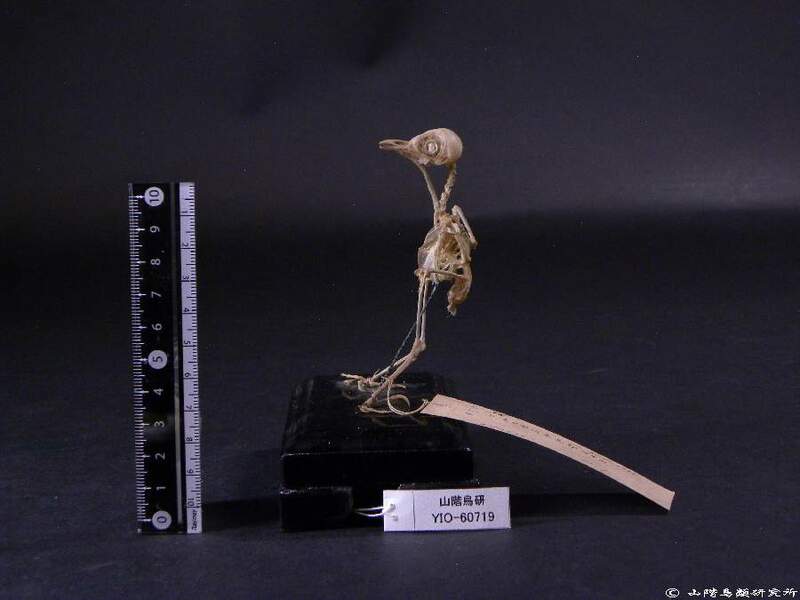 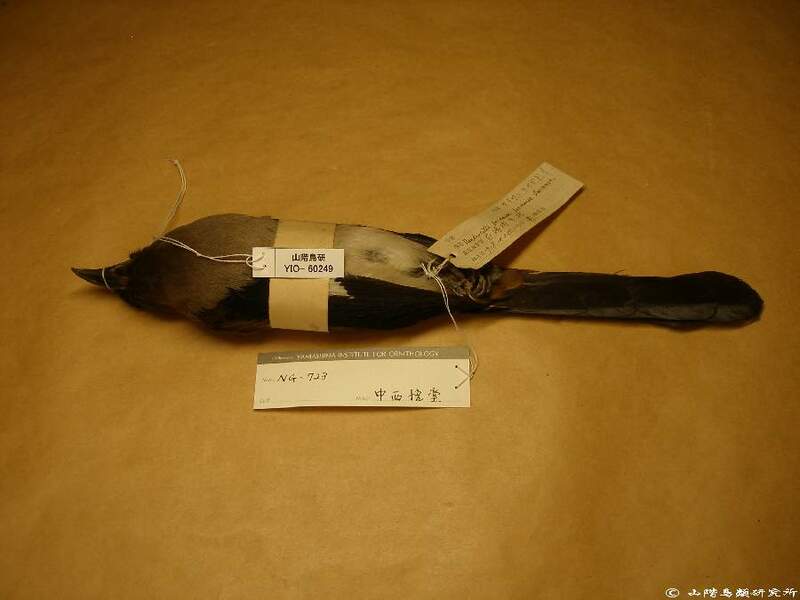 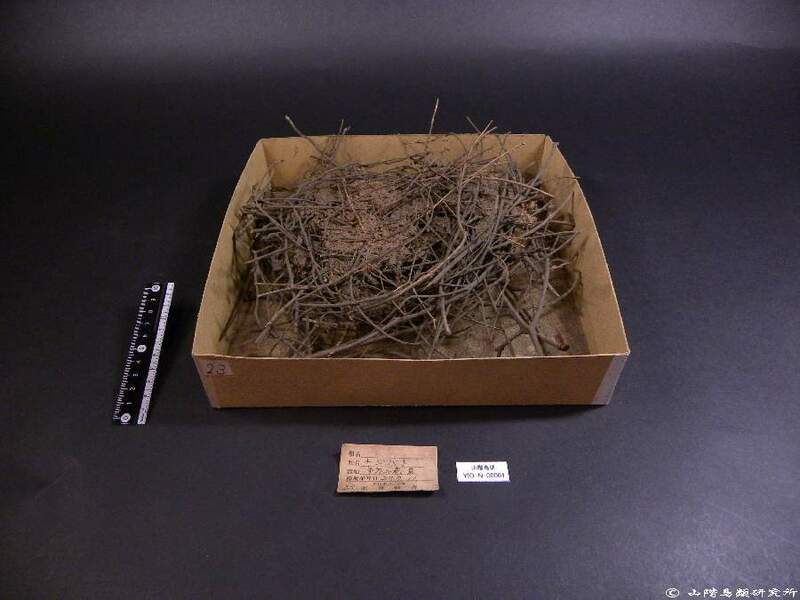 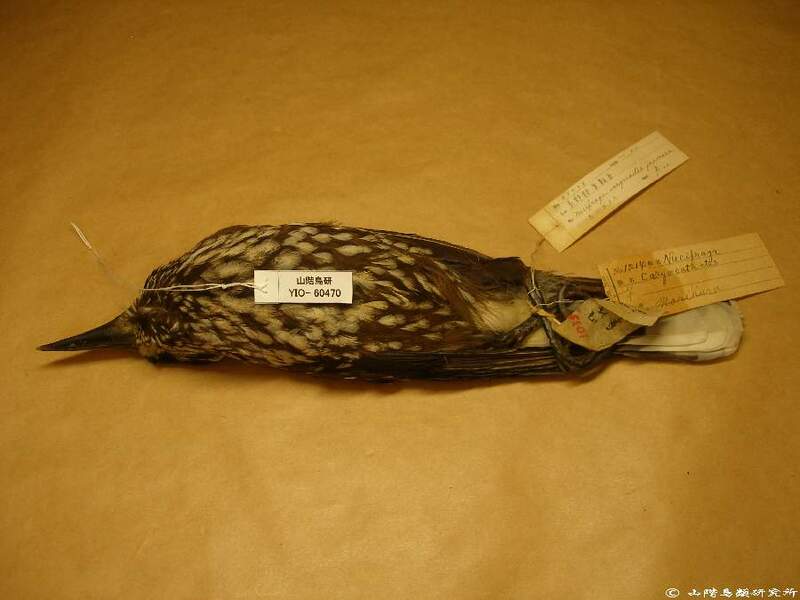 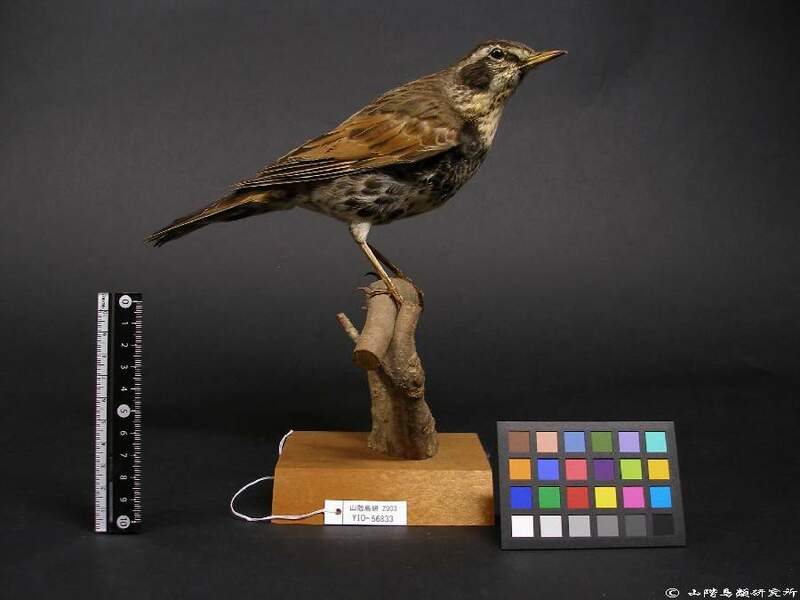 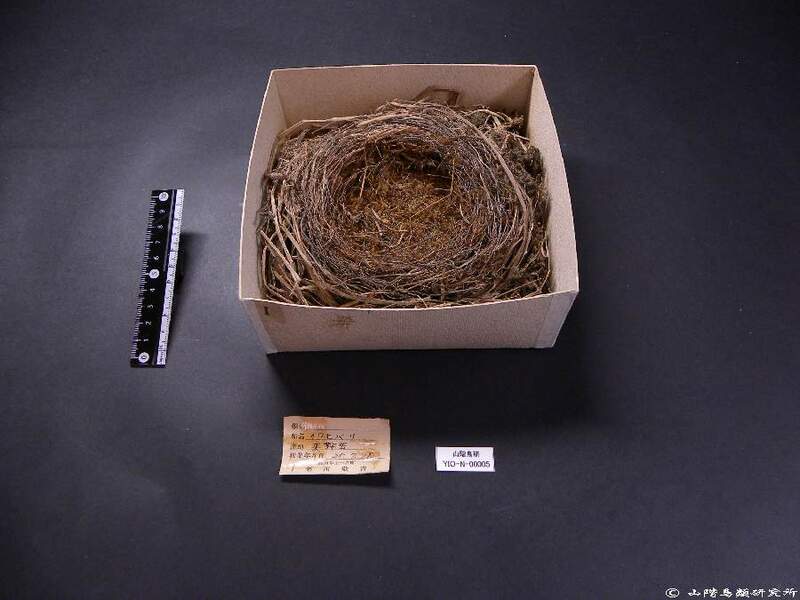 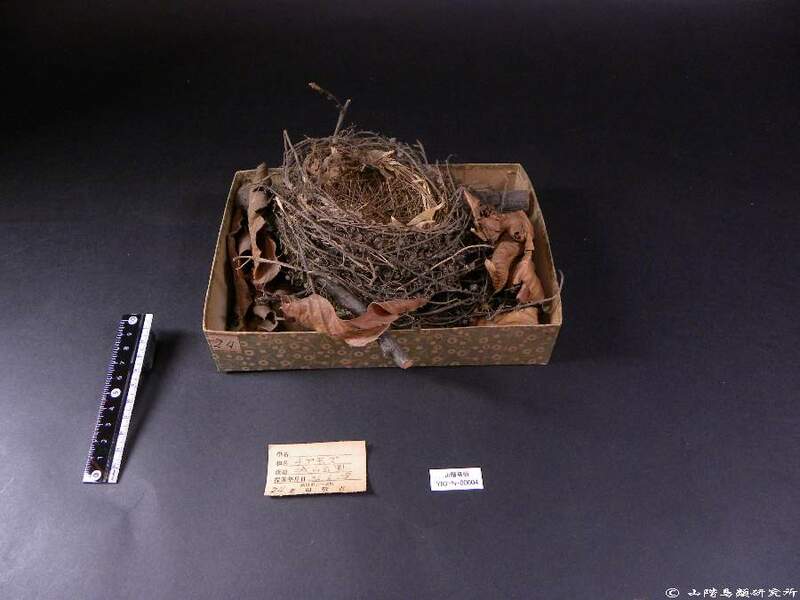 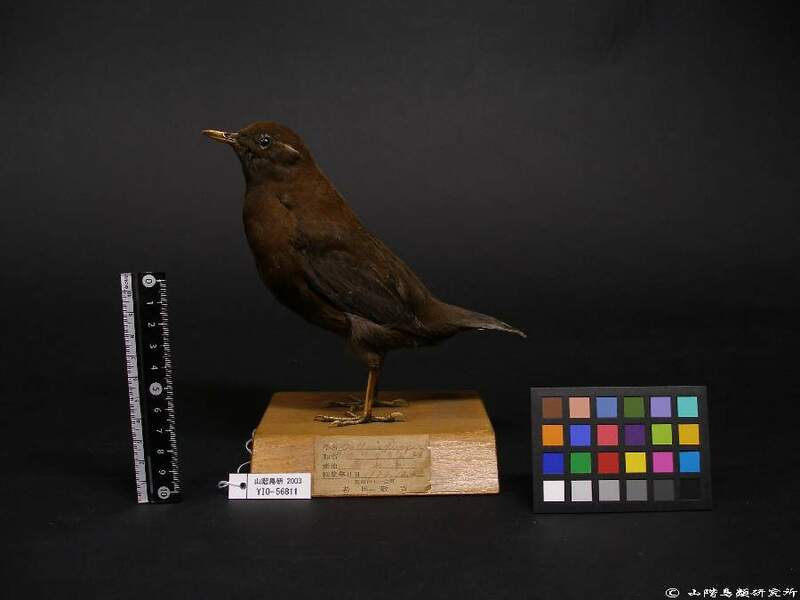 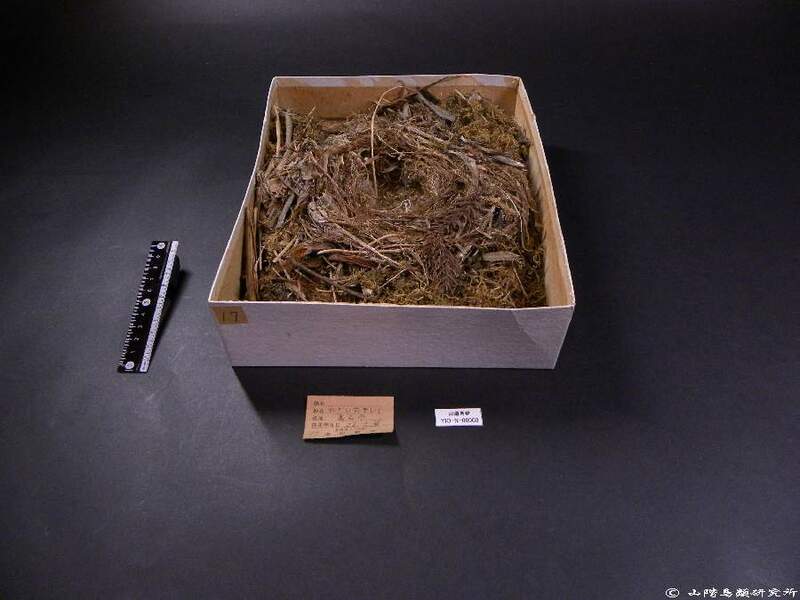 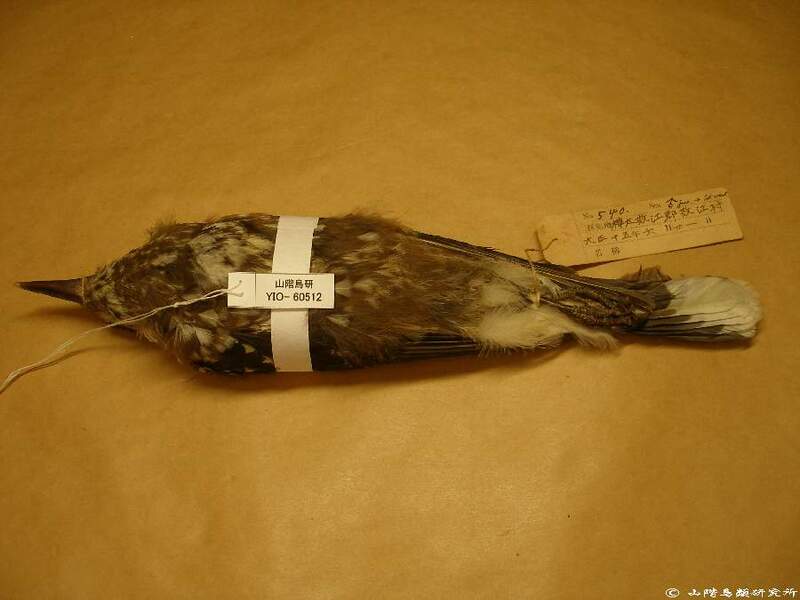 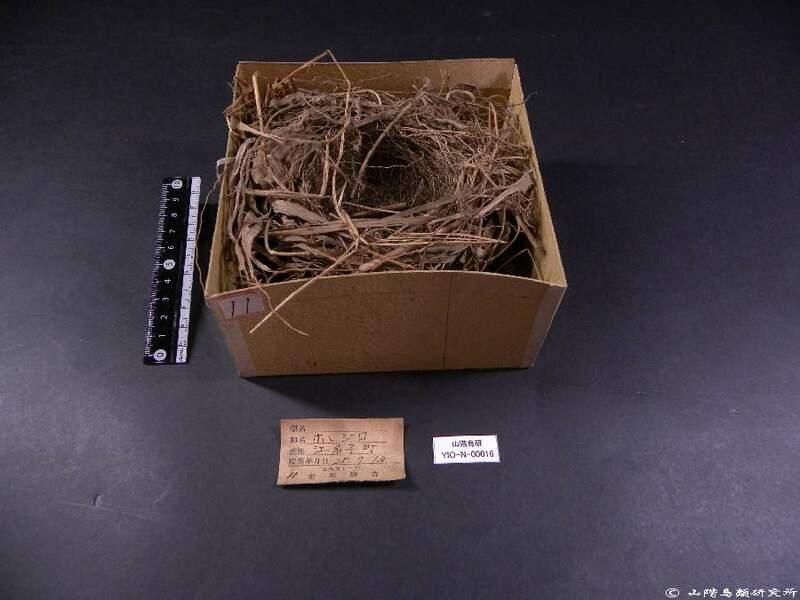 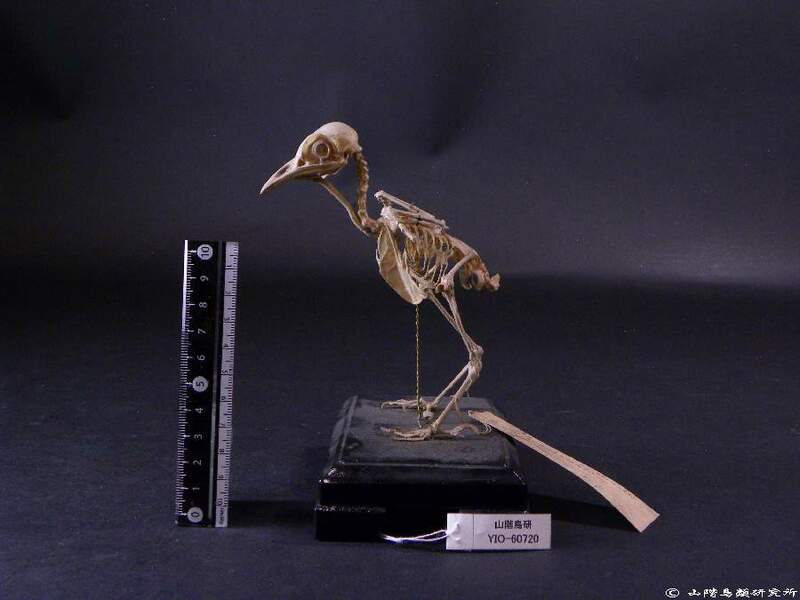 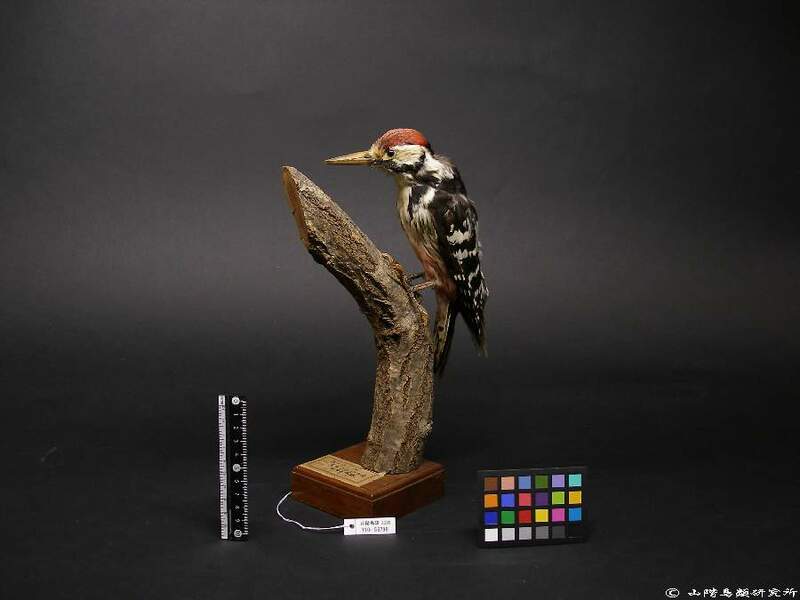 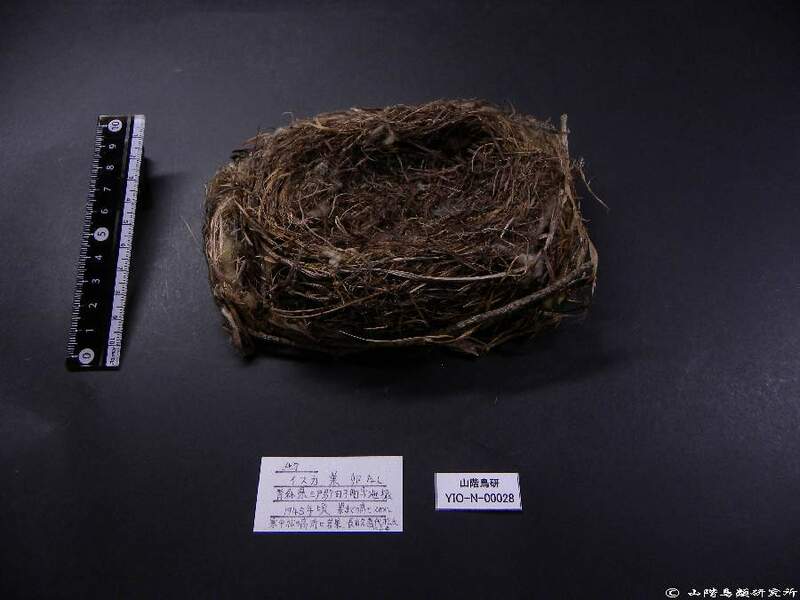 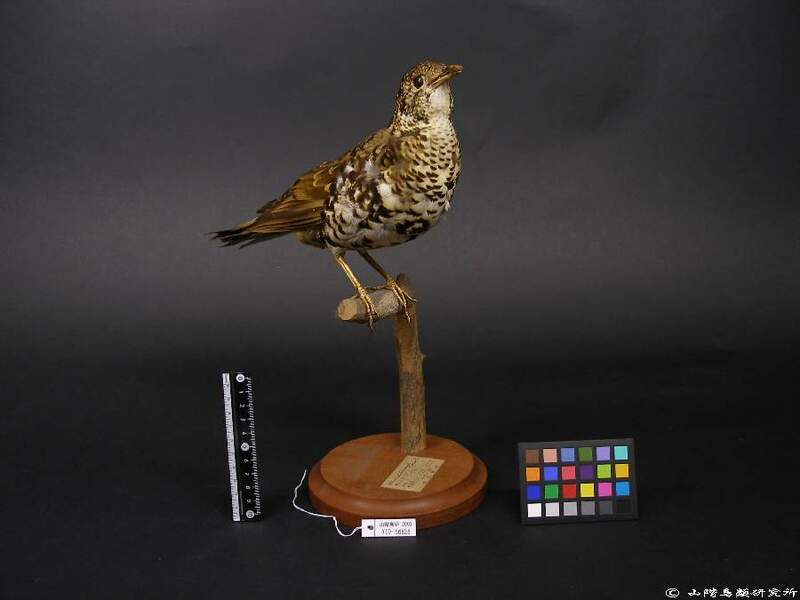 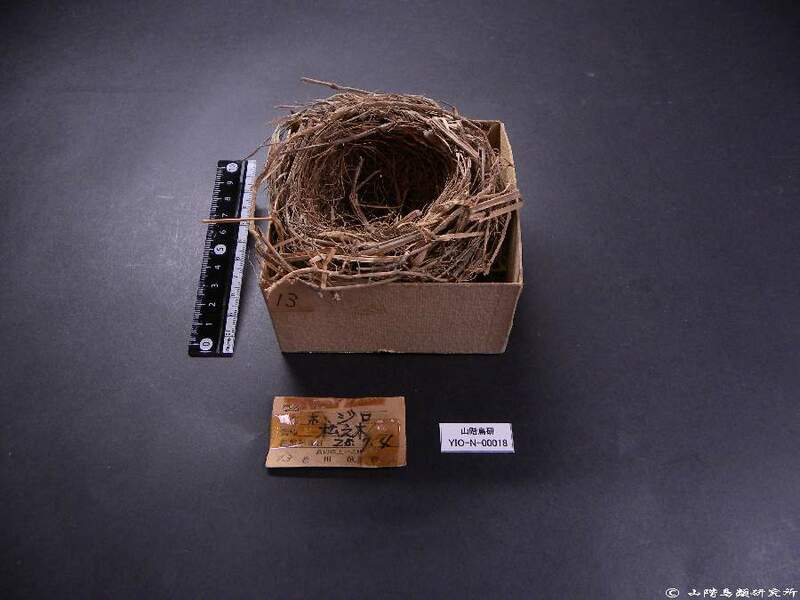 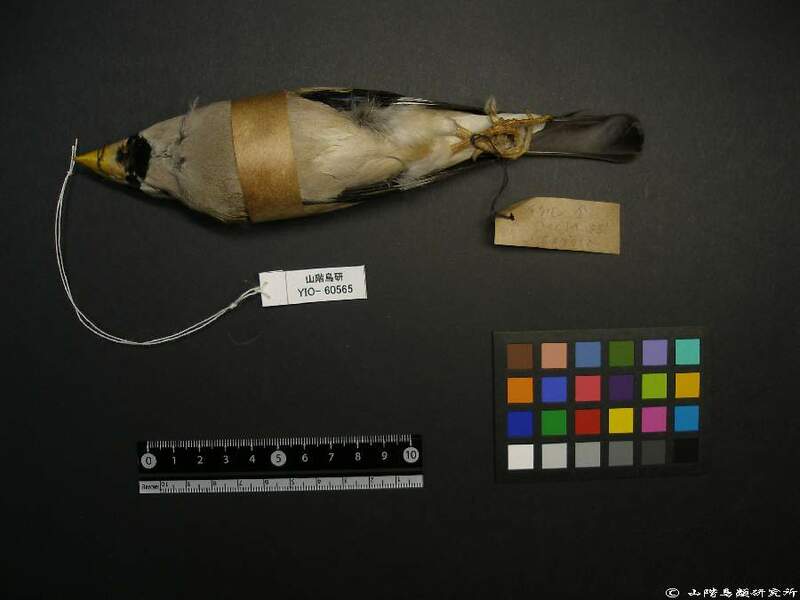 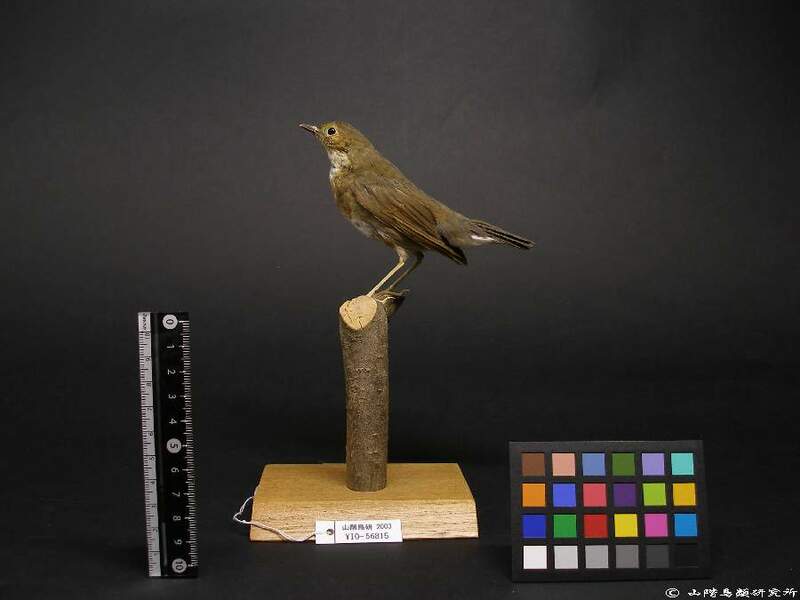 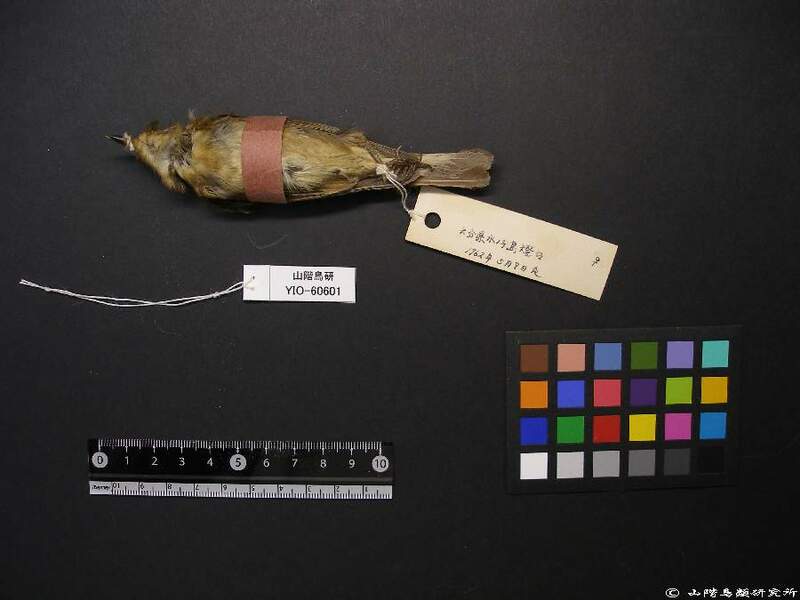 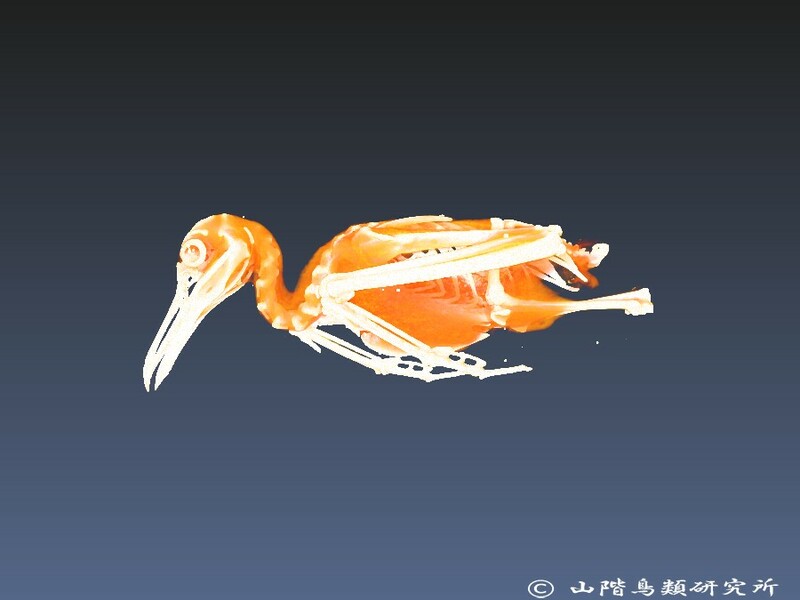 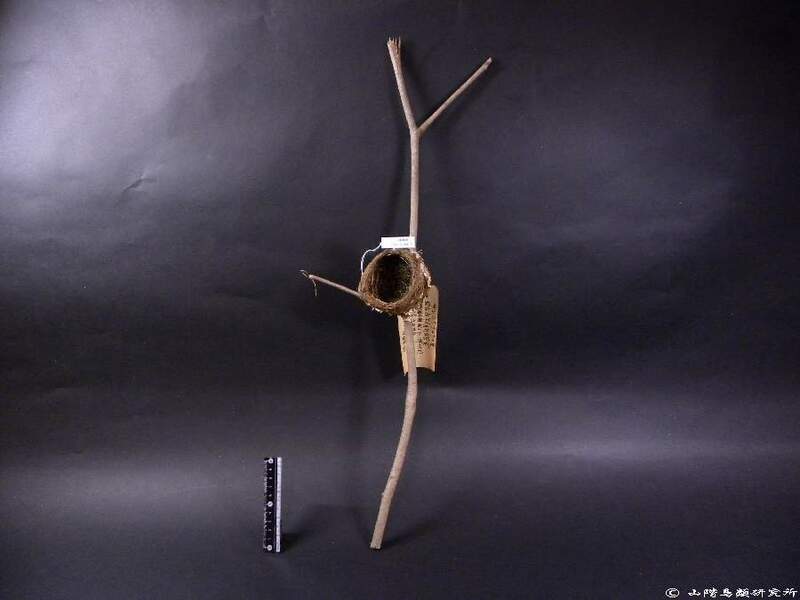 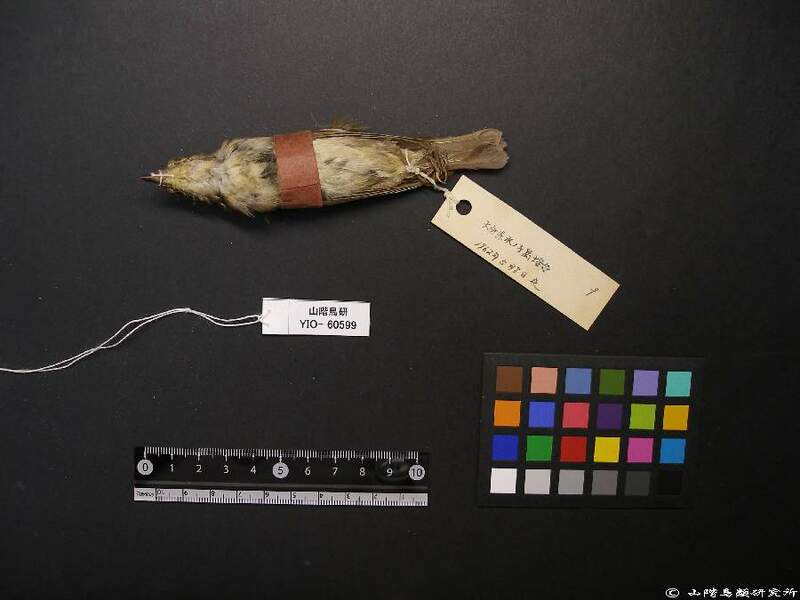 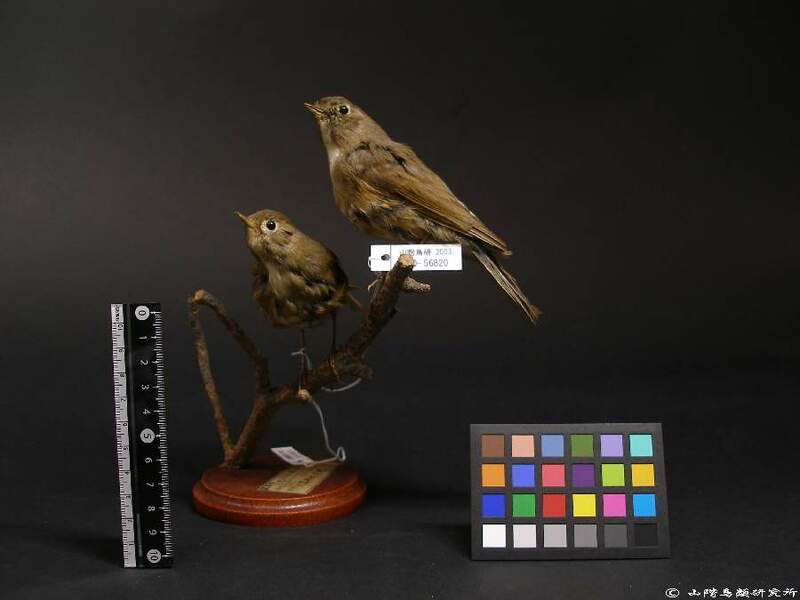 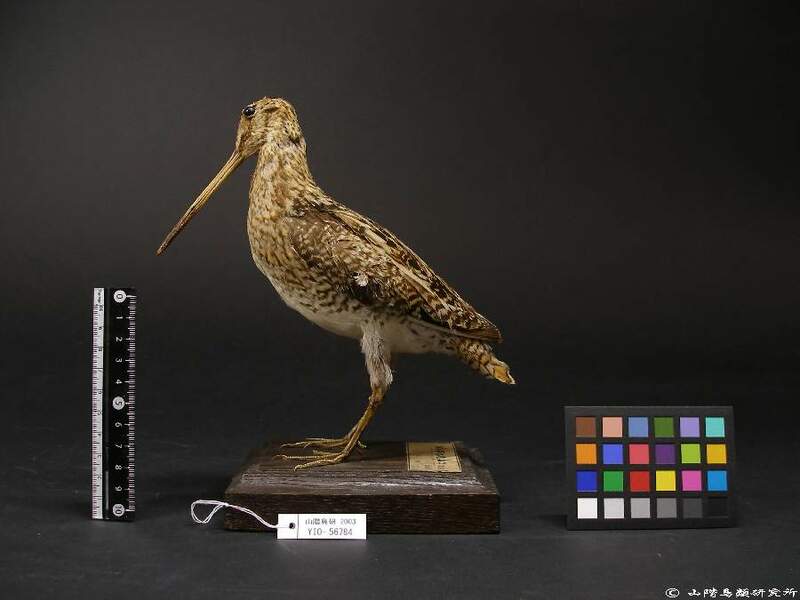 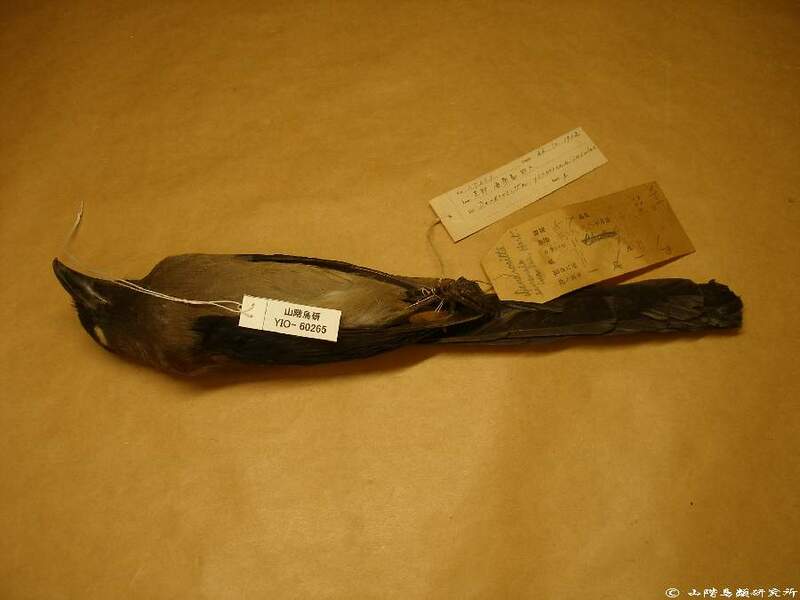 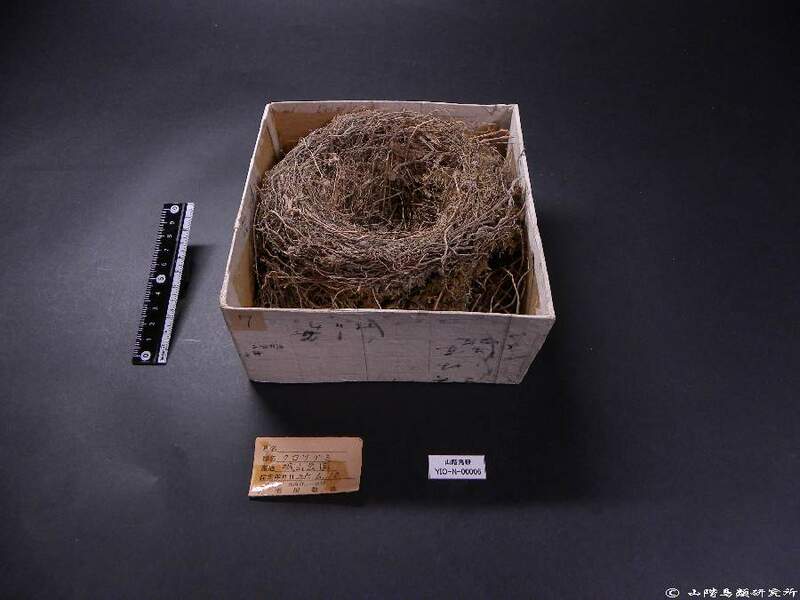 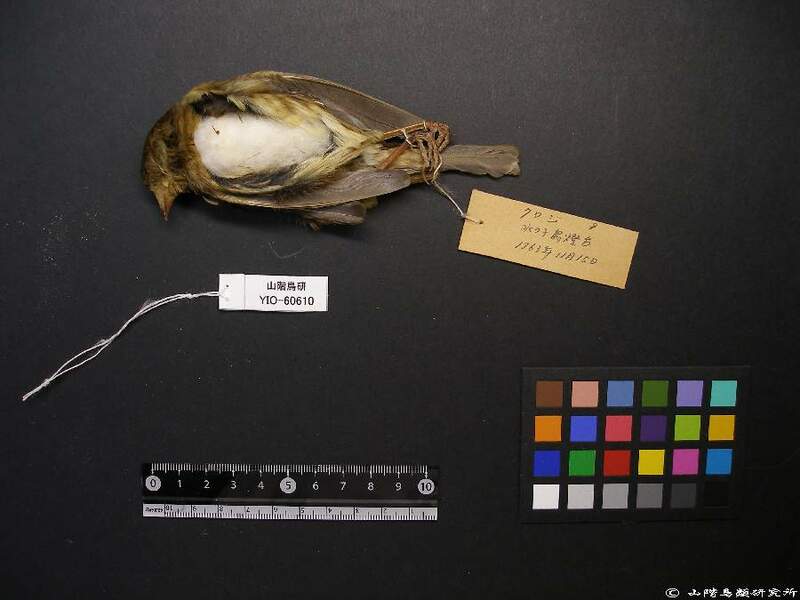 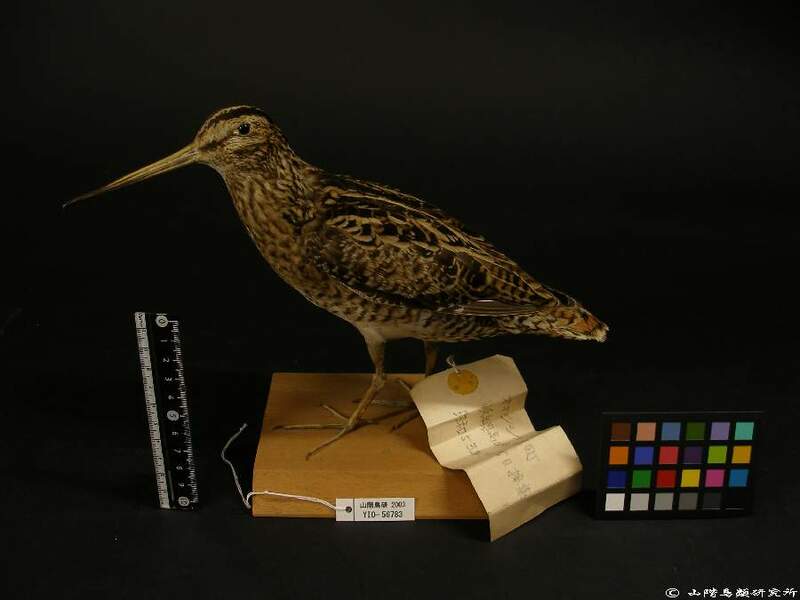 2009.12.28: A database of 60,565 specimens compiled by the Yamashina Institute for Ornithology was published online. 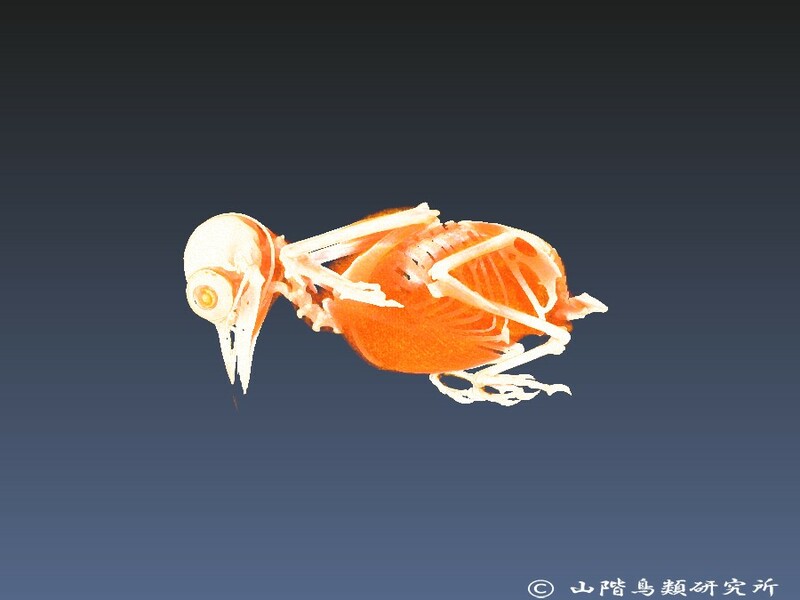 You can search for free word(s) using the "Quick Search" box situated in the upper right corner. 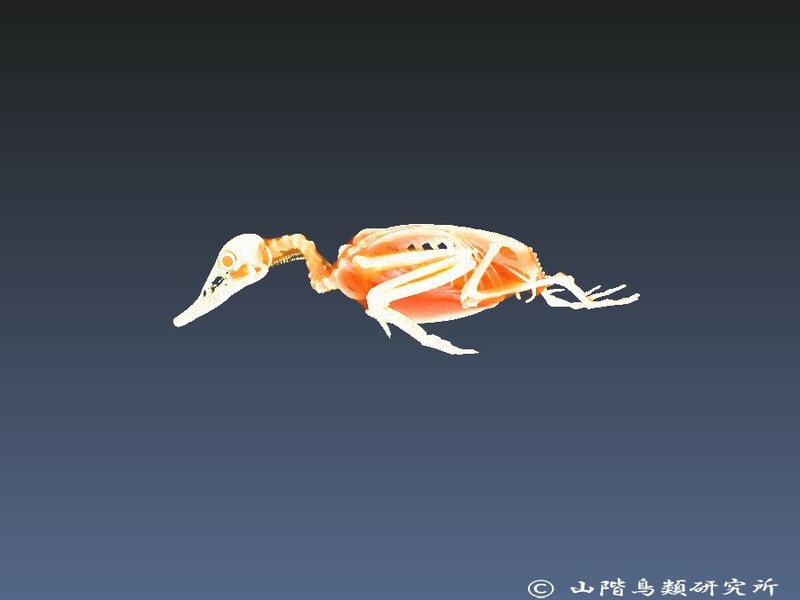 Please go to "Keyword Search" for detailed search conditions. 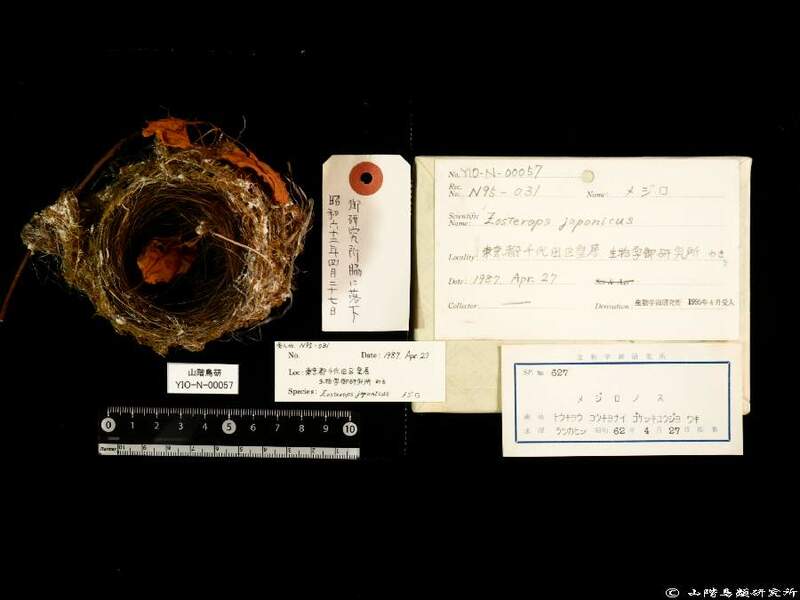 To search for a taxonomical system, please go to the "Taxonomy Search" page. 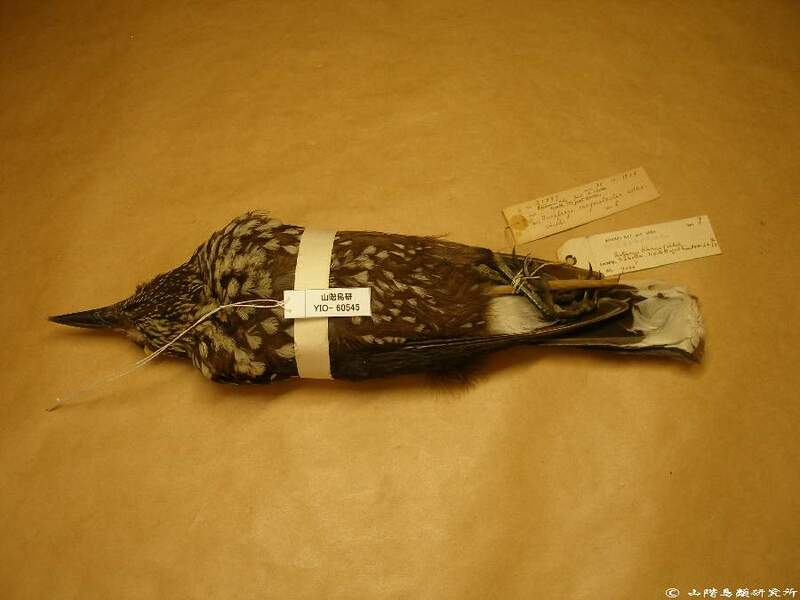 The checked specimens are listed on the "Specimen Checked" page. 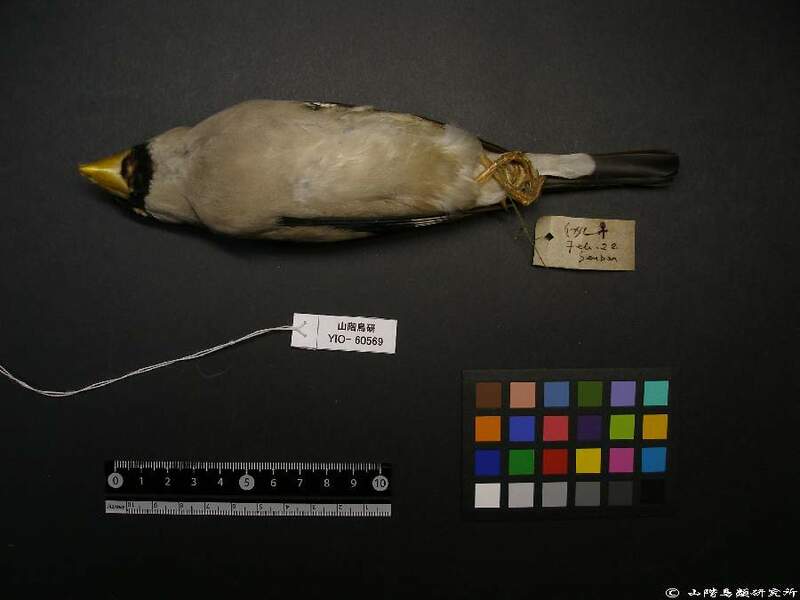 All photographs, text, and images on this website are protected by copyright held by the Yamashina Institute for Ornithology. 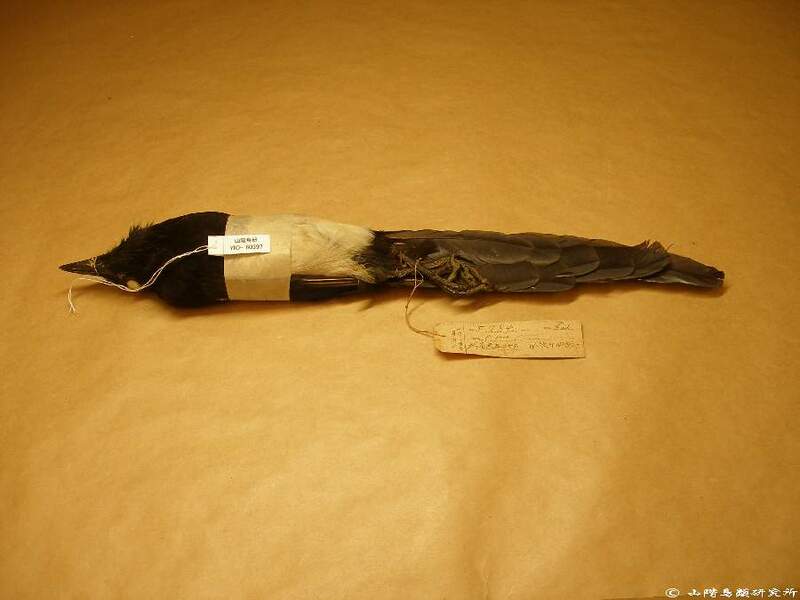 We strictly prohibit any unauthorised copying, reprinting, or processing of this material. 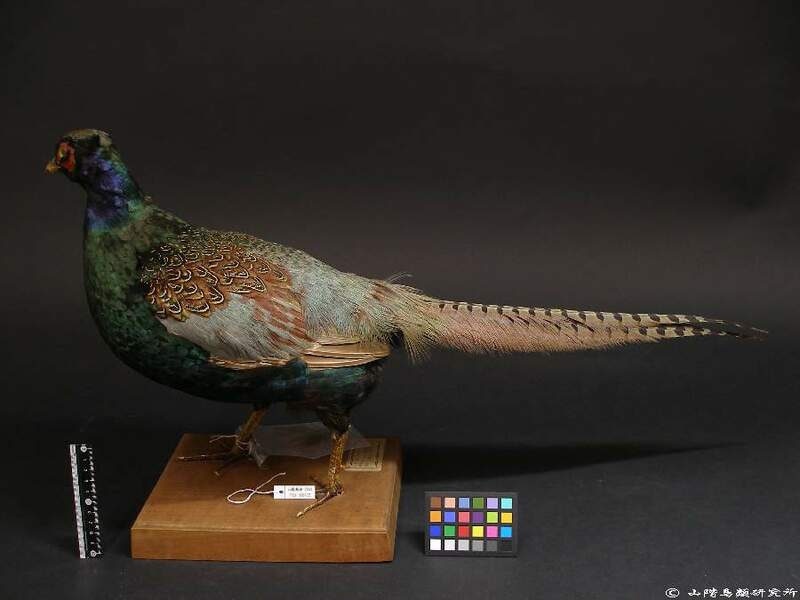 We will not be liable for any losses or damage arising from the use of this website. 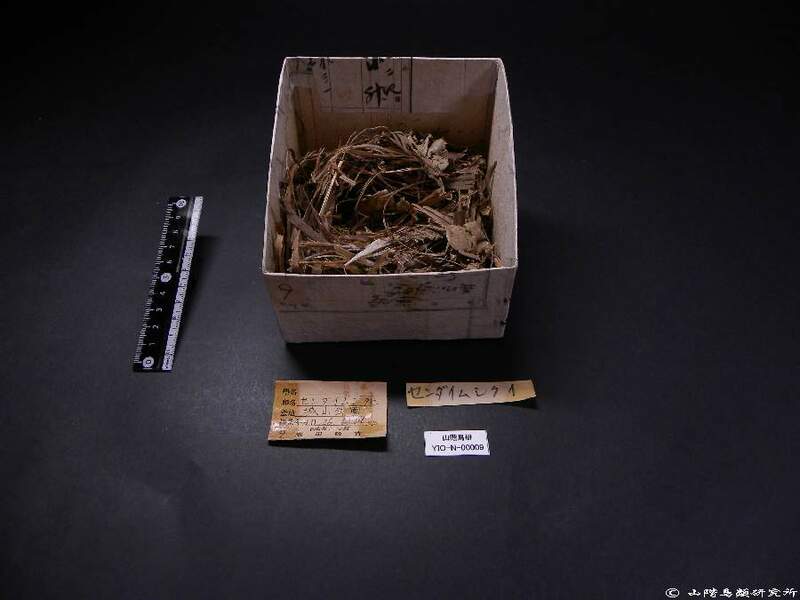 We strongly recommend that you confirm that there are no inconsistencies between the data and the label descriptions. 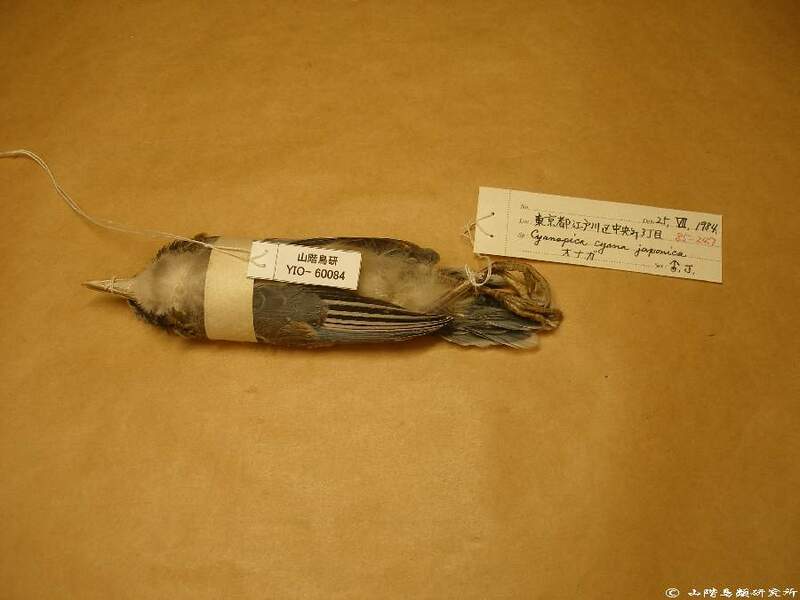 The taxonomy, scientific names, and English names have been taken from "A World List of Birds" (Yamashina 1986). 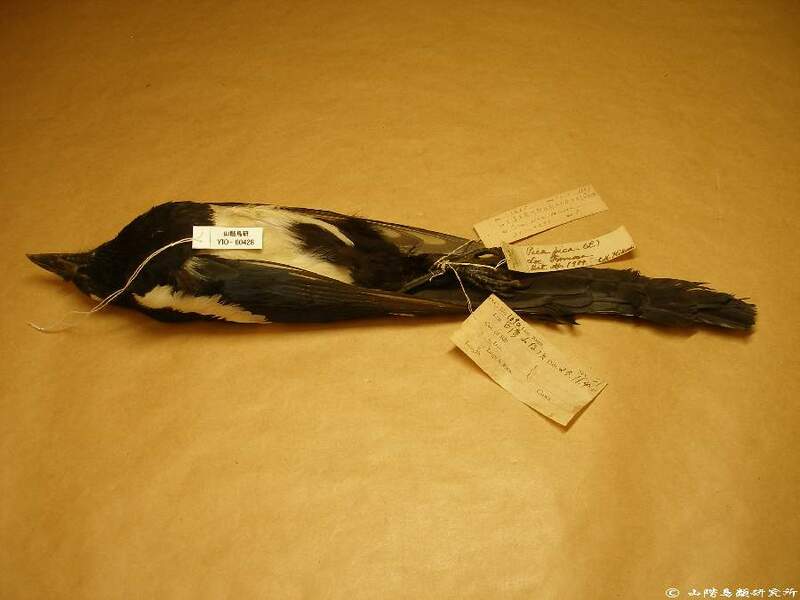 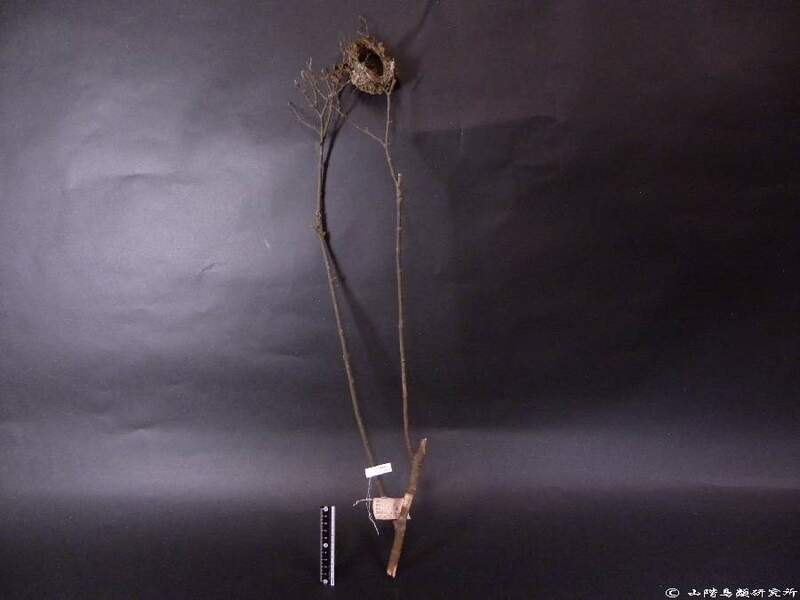 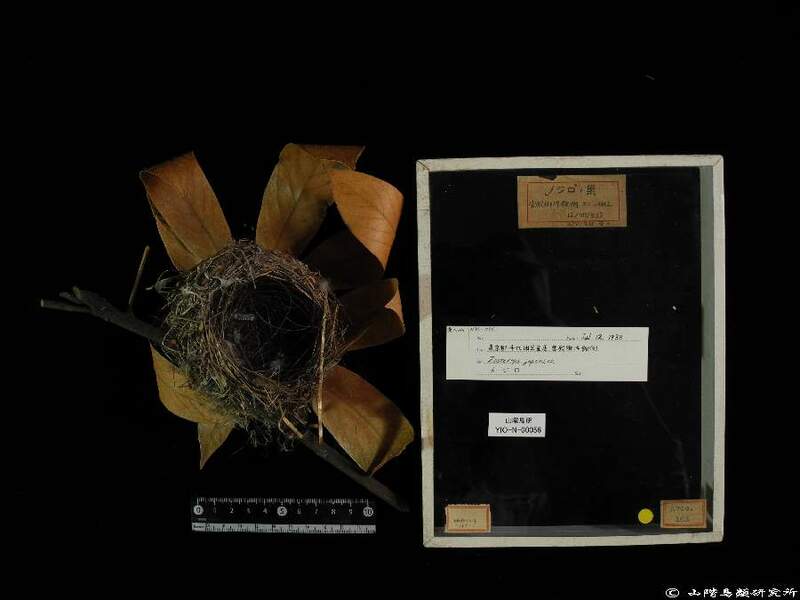 The database includes already registered specimens. 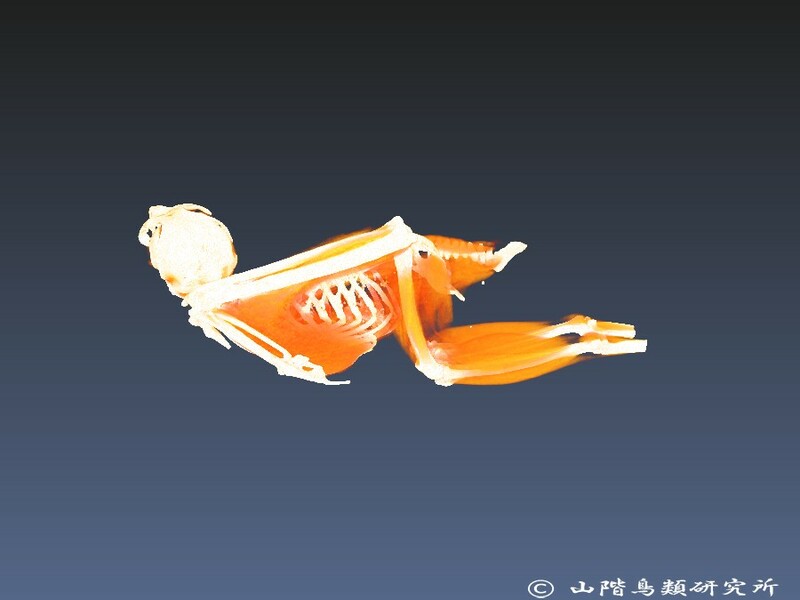 The data will be updated as required. 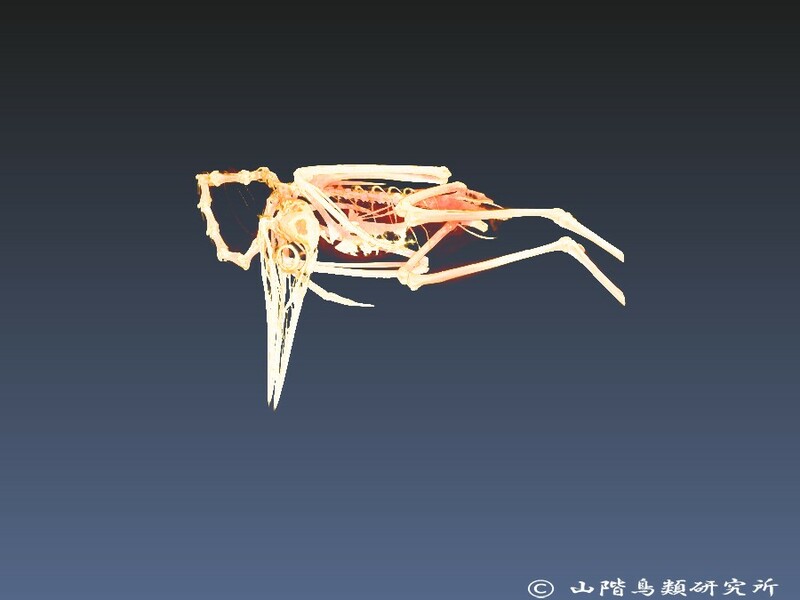 This database has been supported by funds from the Japanese Ministry of Education, Culture, Sports, Science and Technology since 2001. 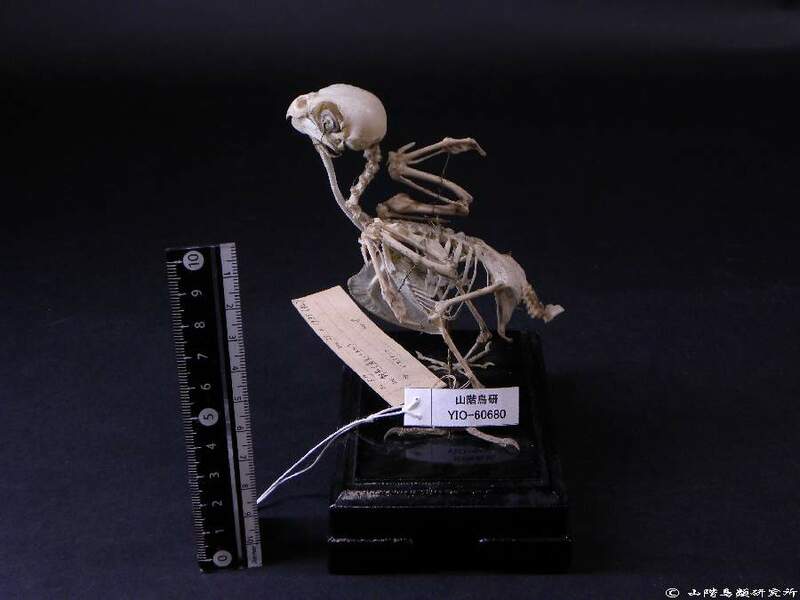 To send us your opinions, to make inquiries, and to report any bugs, please contact us at "specimen@yamashina.or.jp" (person in charge: T. Yamasaki).